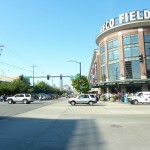 Safeco Field: for some reason, everybody’s favorite ballpark. 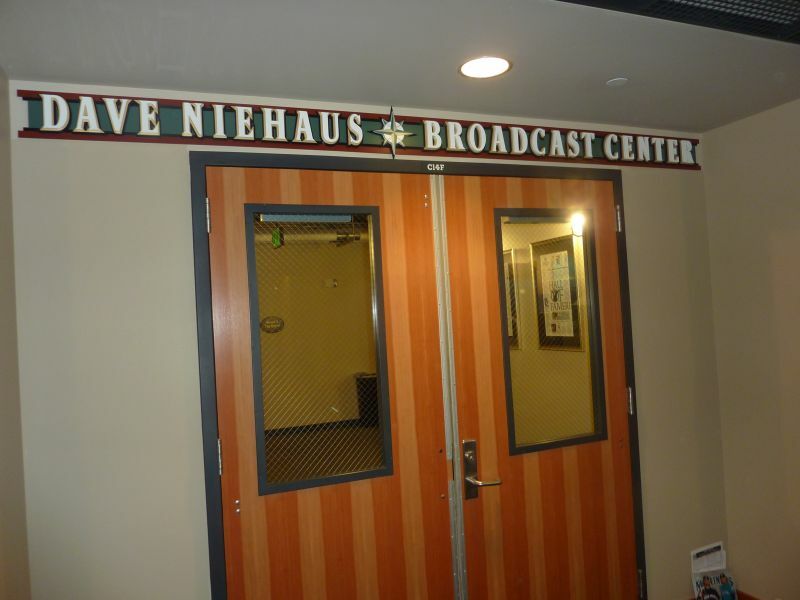 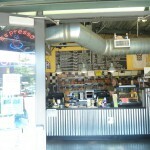 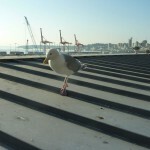 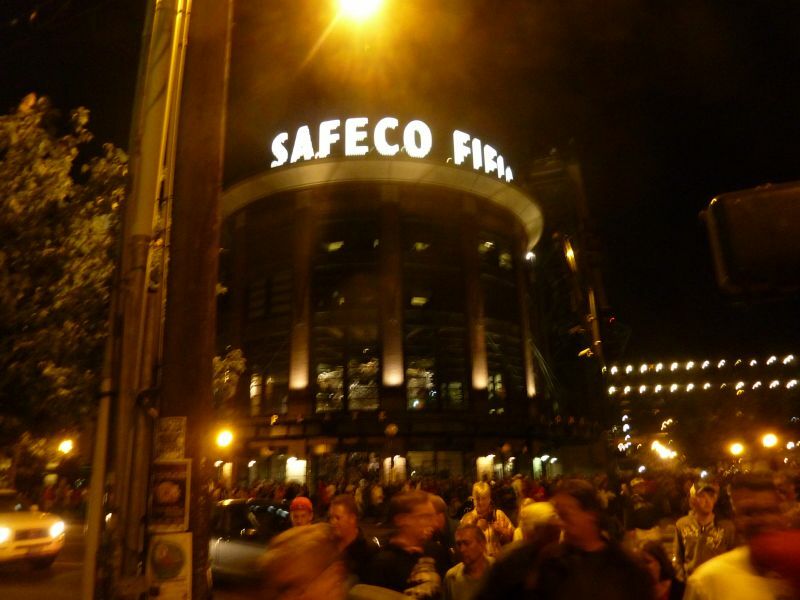 The media darling of Seattle. 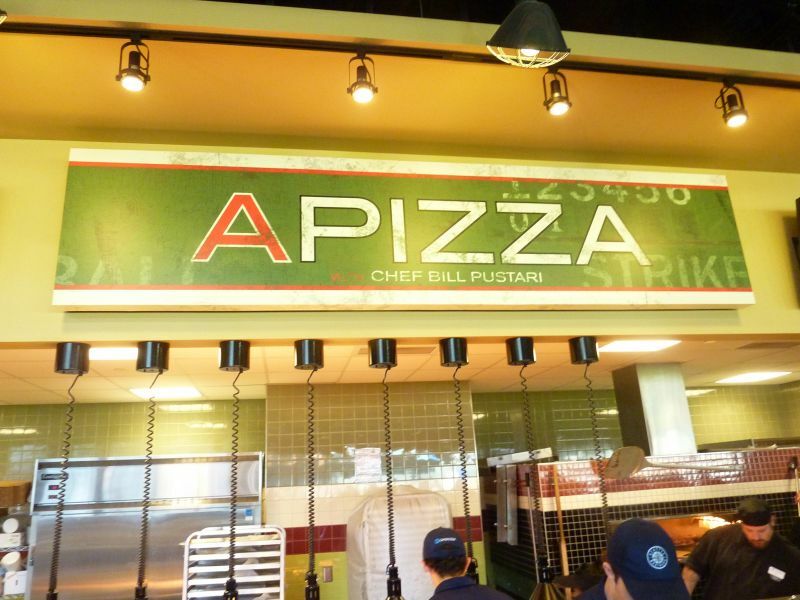 A modern marvel. According to team officials, architects, and Mariner broadcasters, the best ballpark ever built. 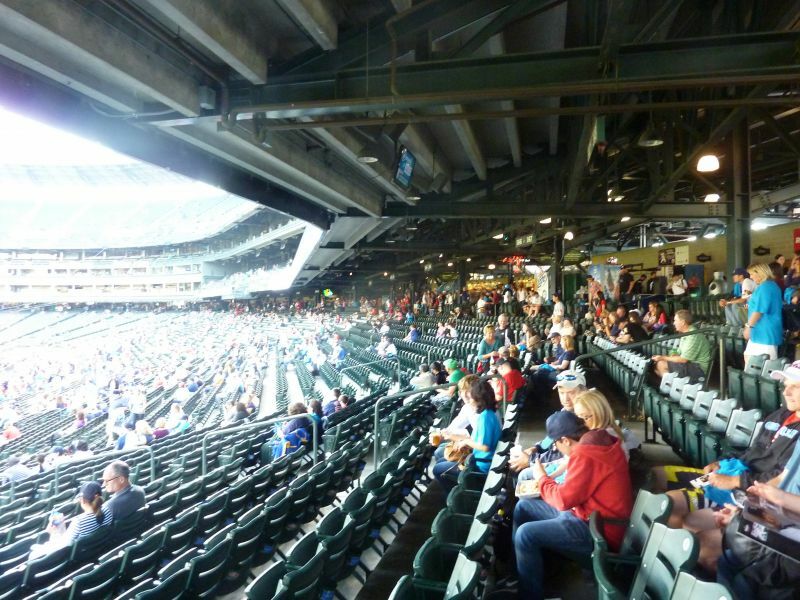 It has always felt like a disproportionate amount of people on the net love Safeco Field. 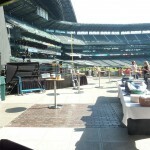 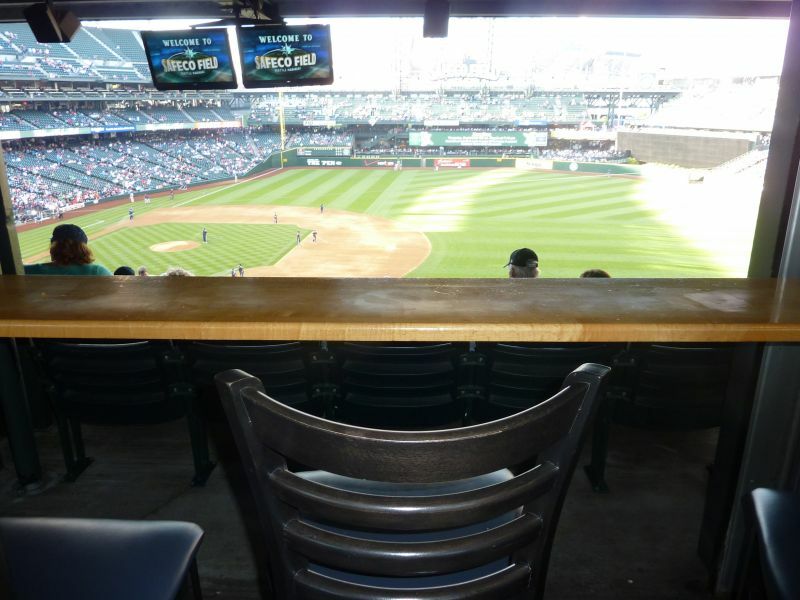 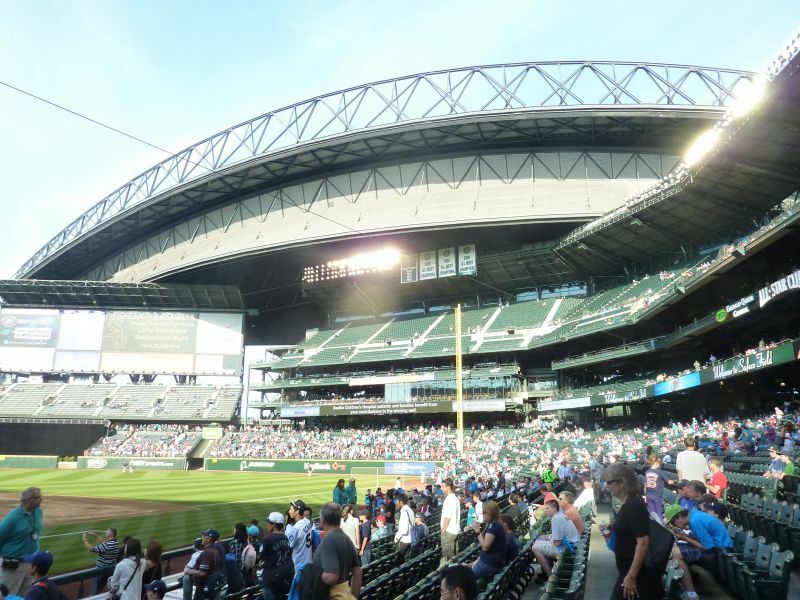 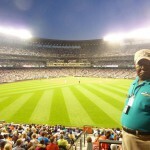 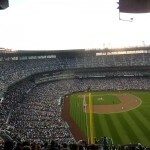 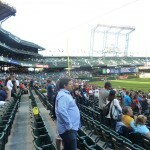 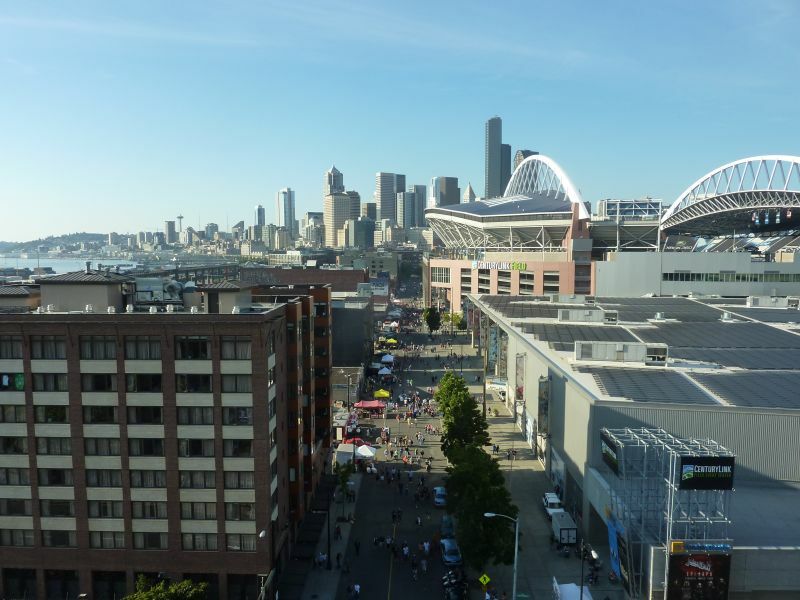 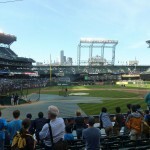 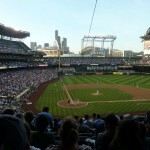 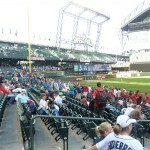 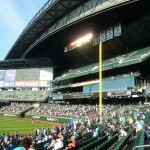 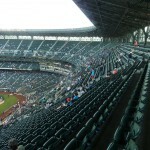 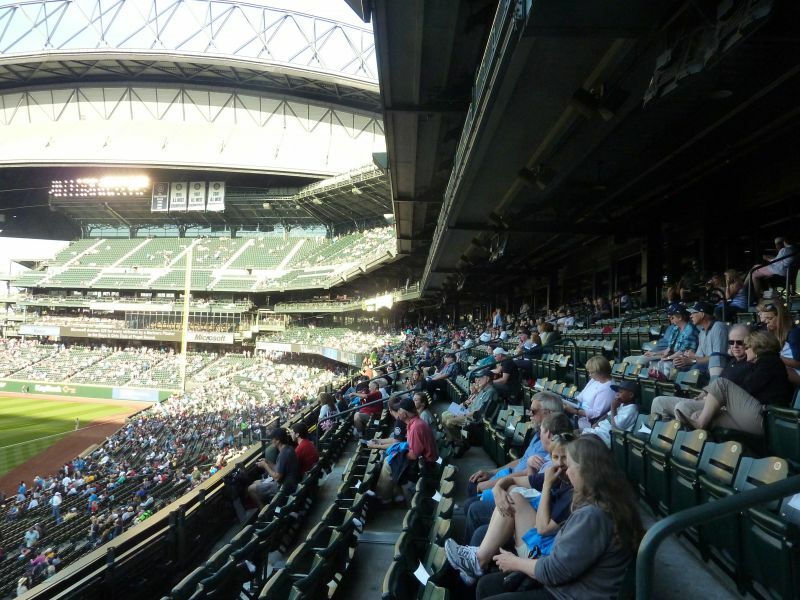 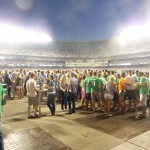 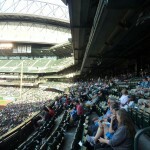 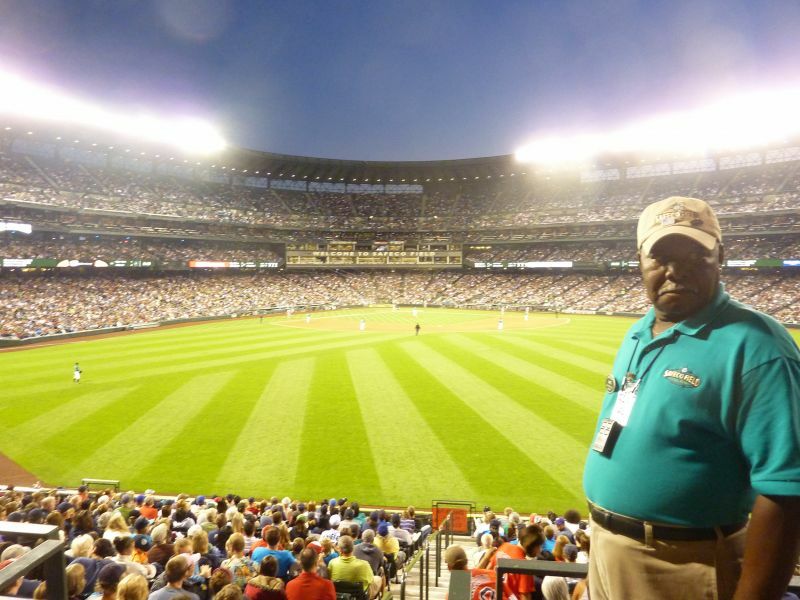 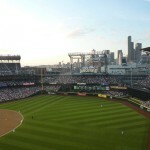 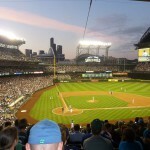 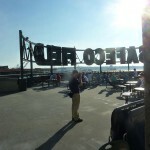 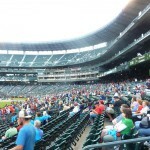 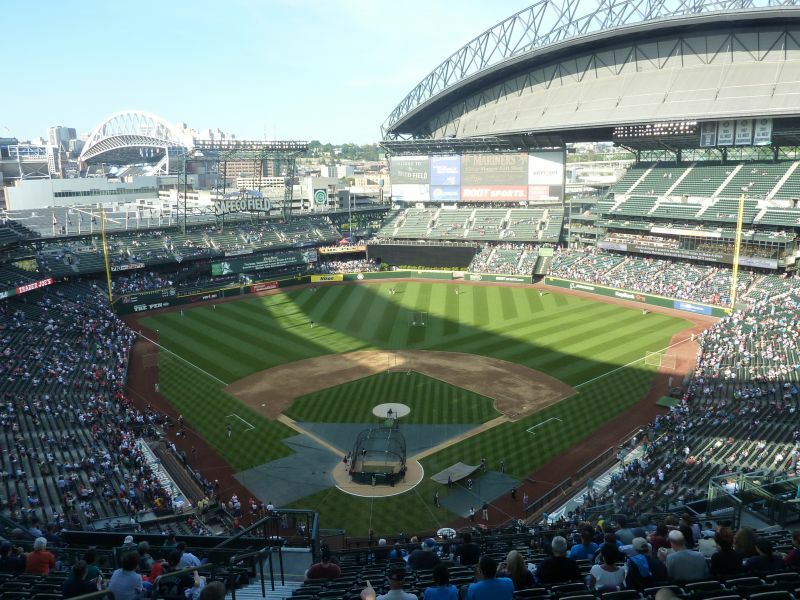 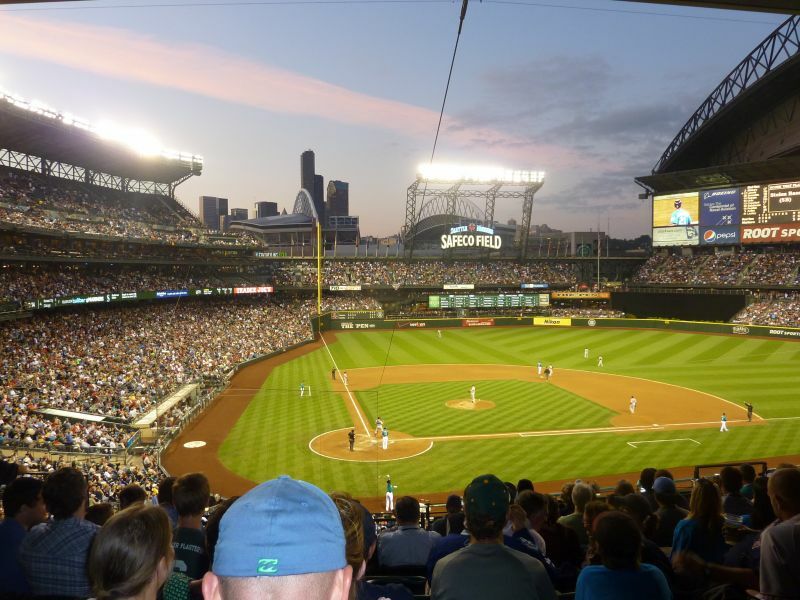 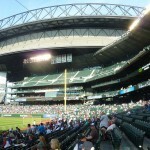 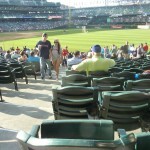 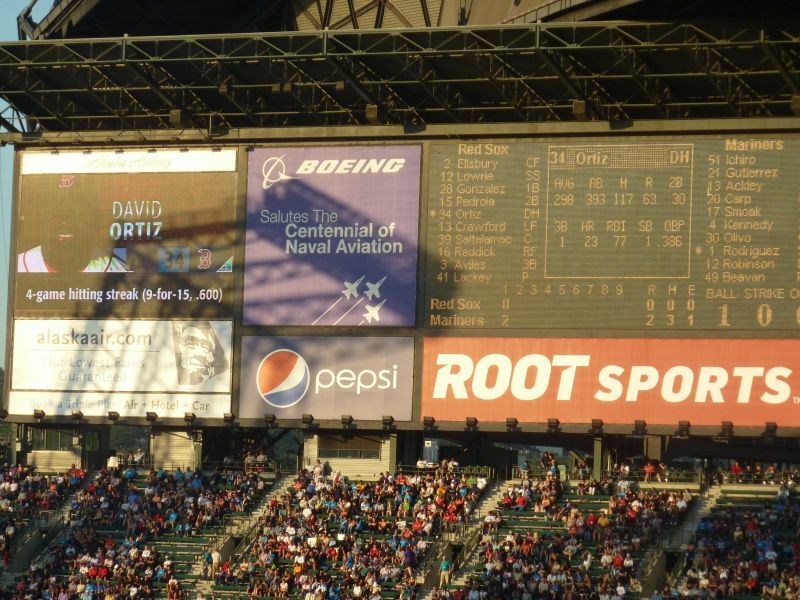 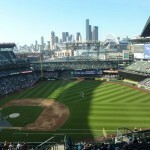 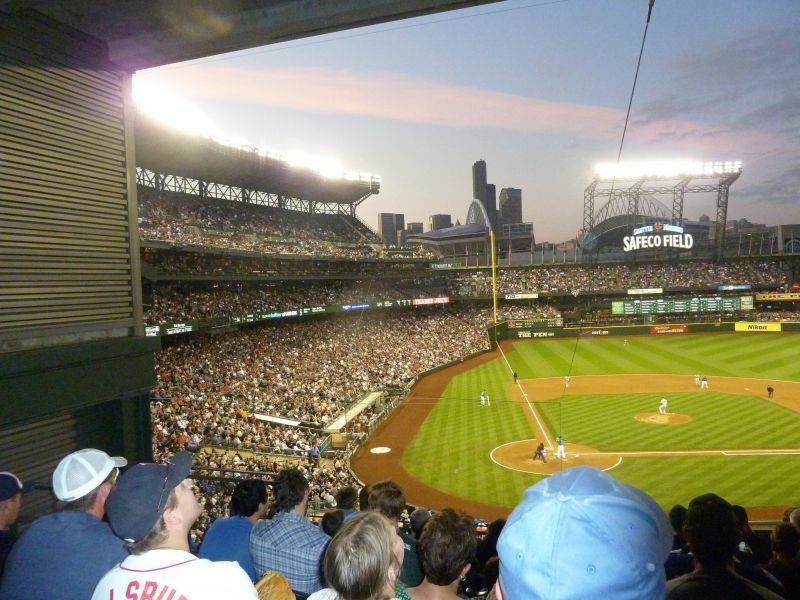 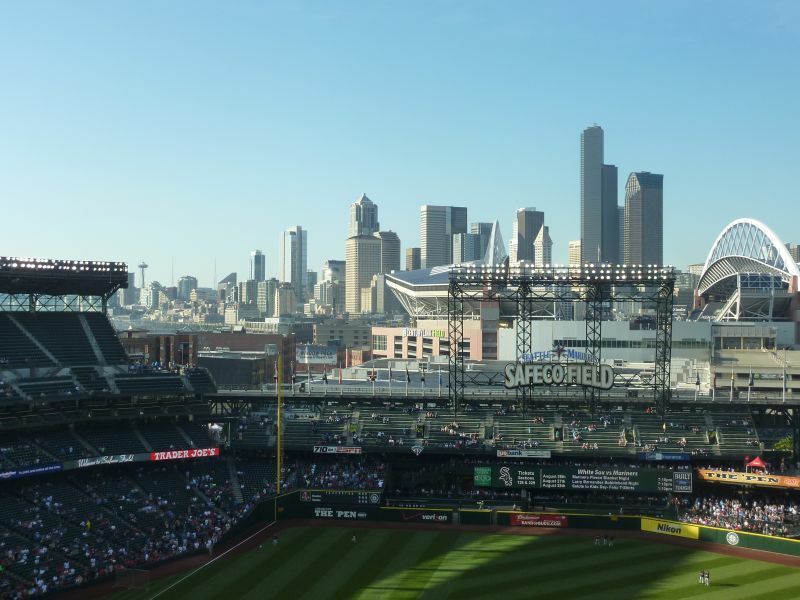 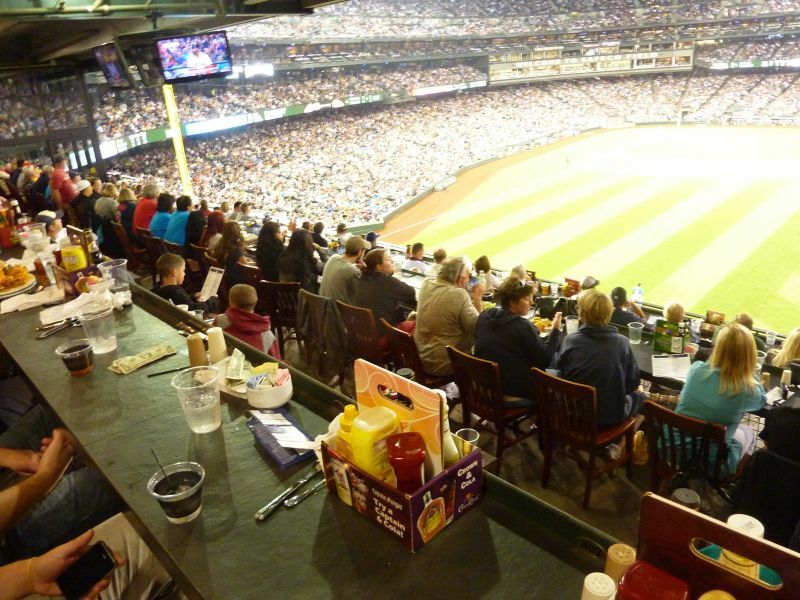 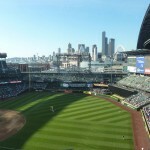 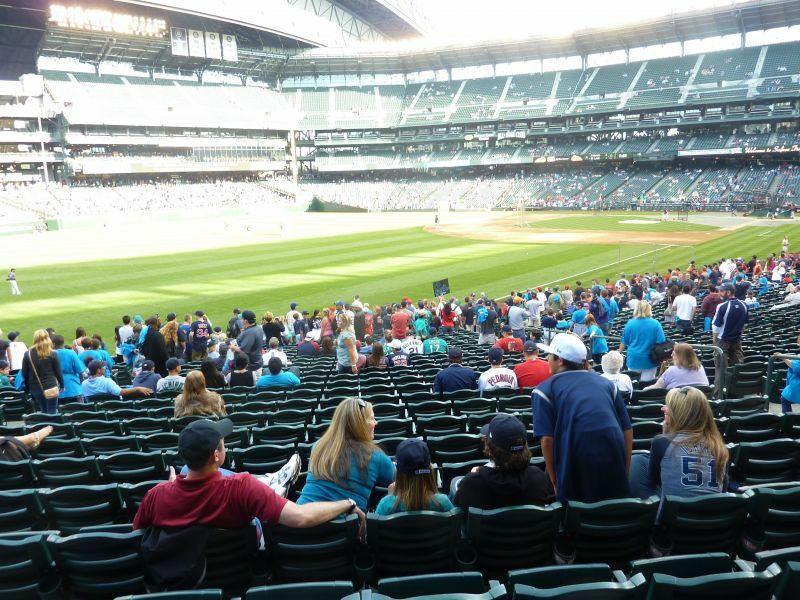 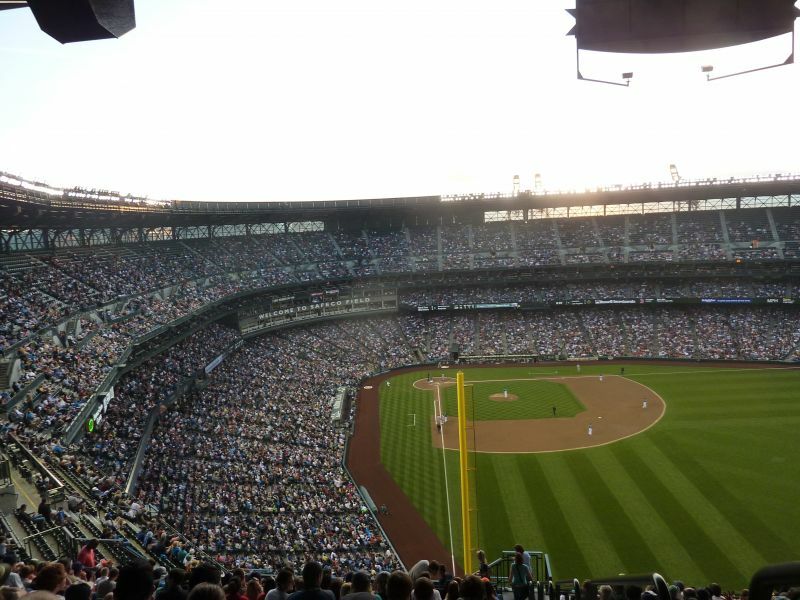 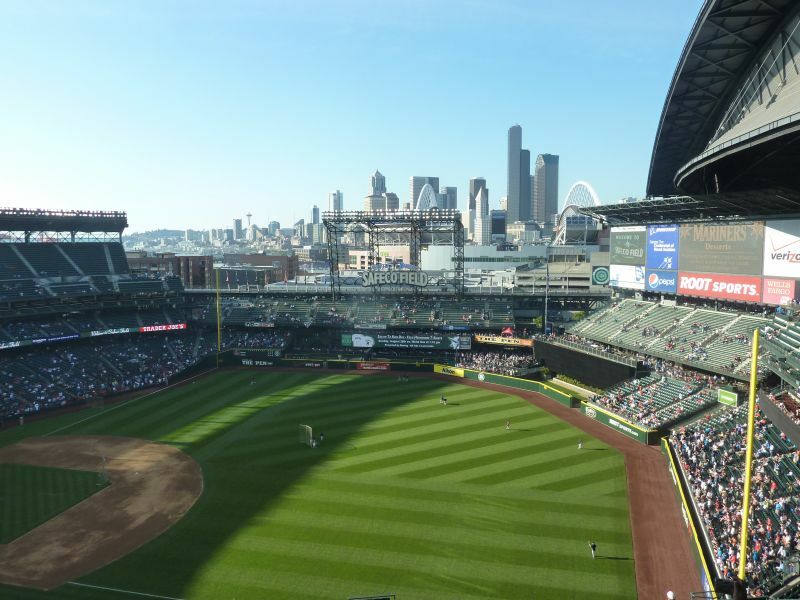 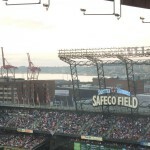 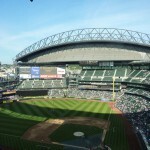 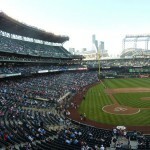 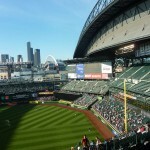 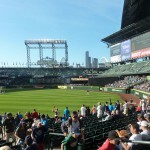 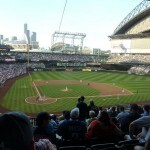 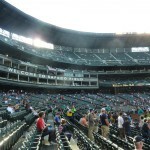 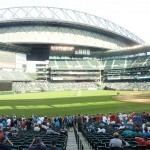 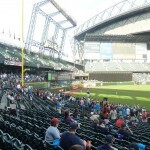 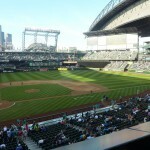 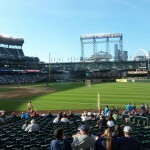 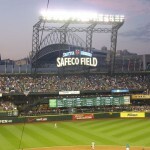 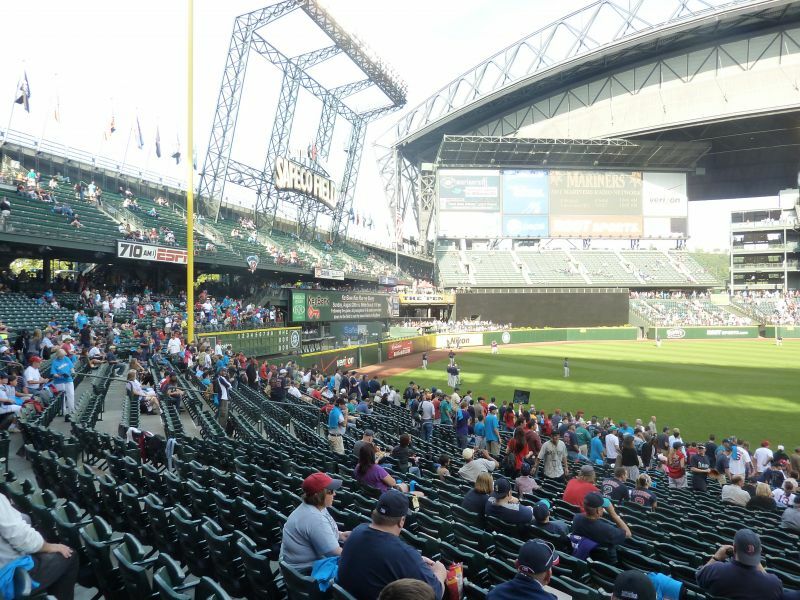 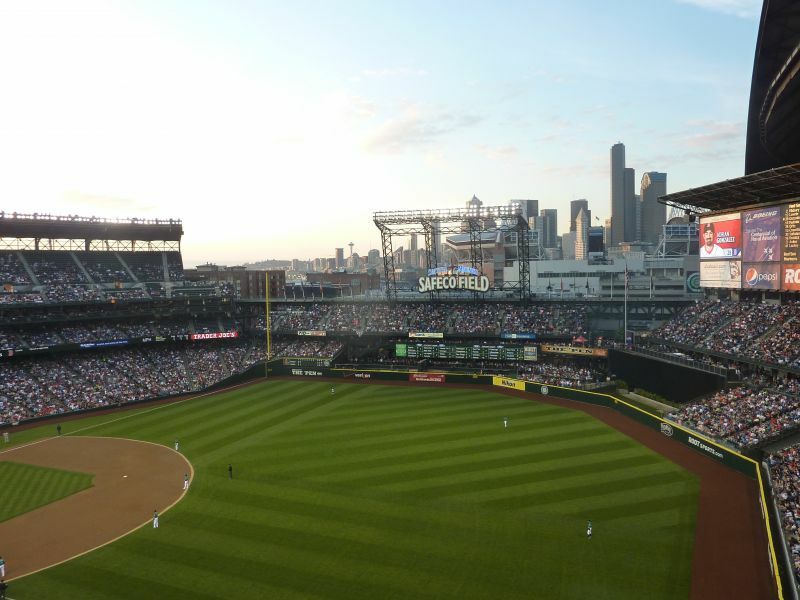 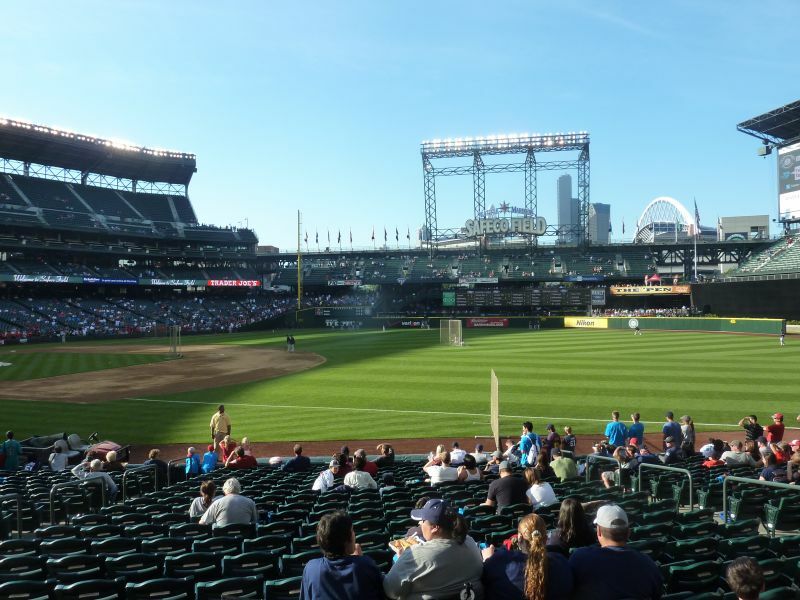 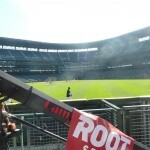 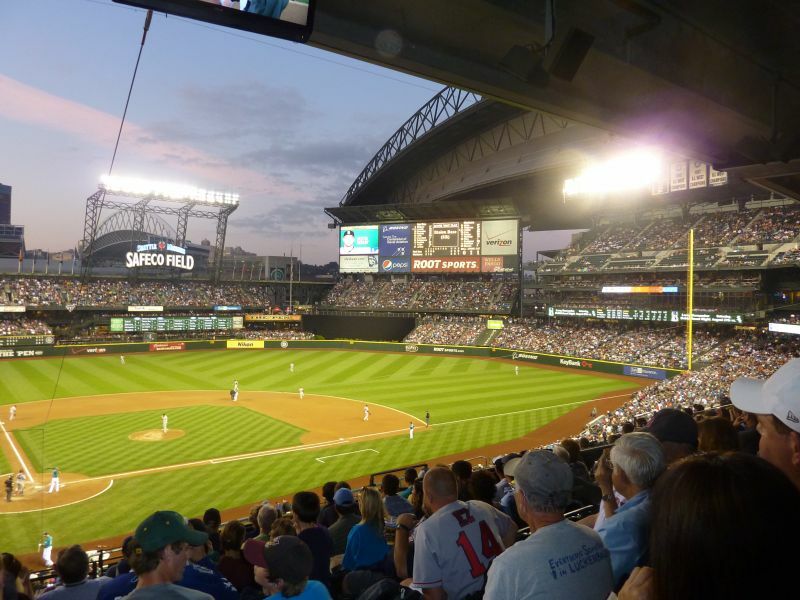 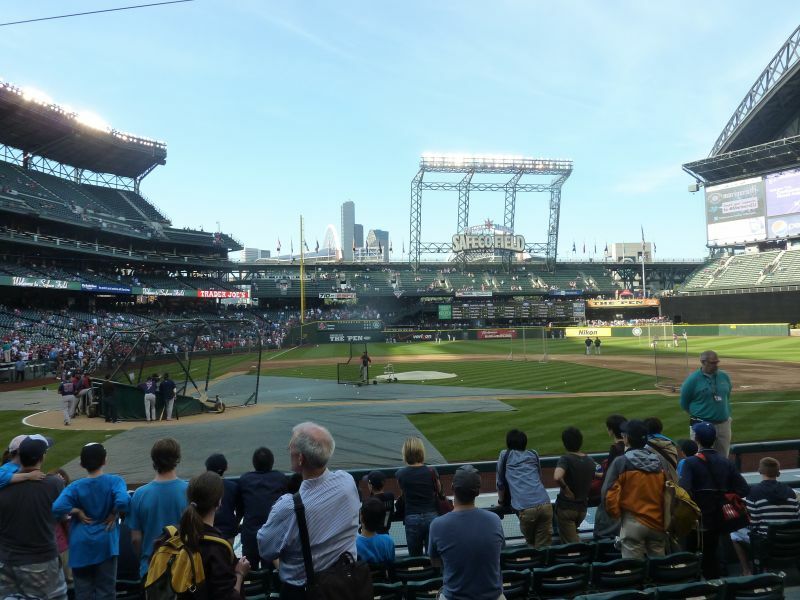 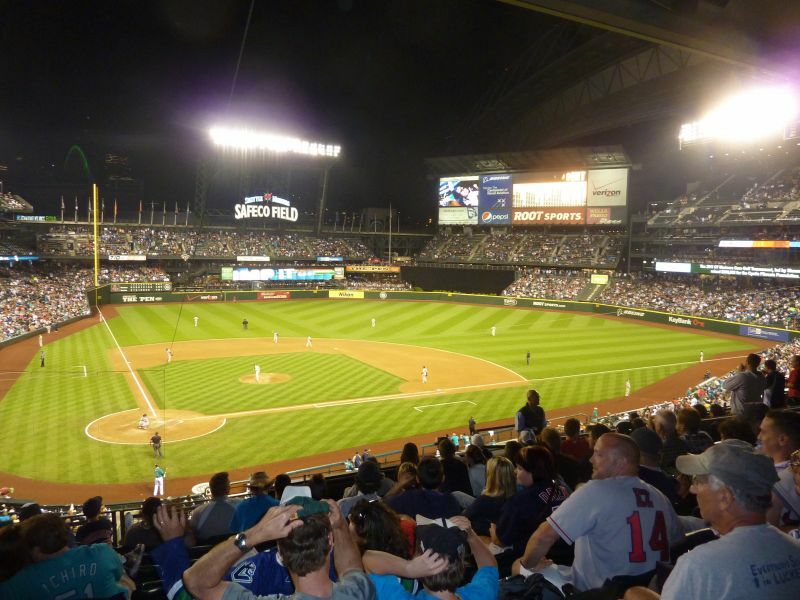 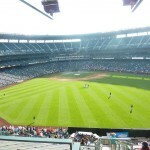 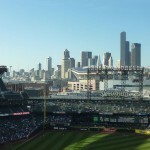 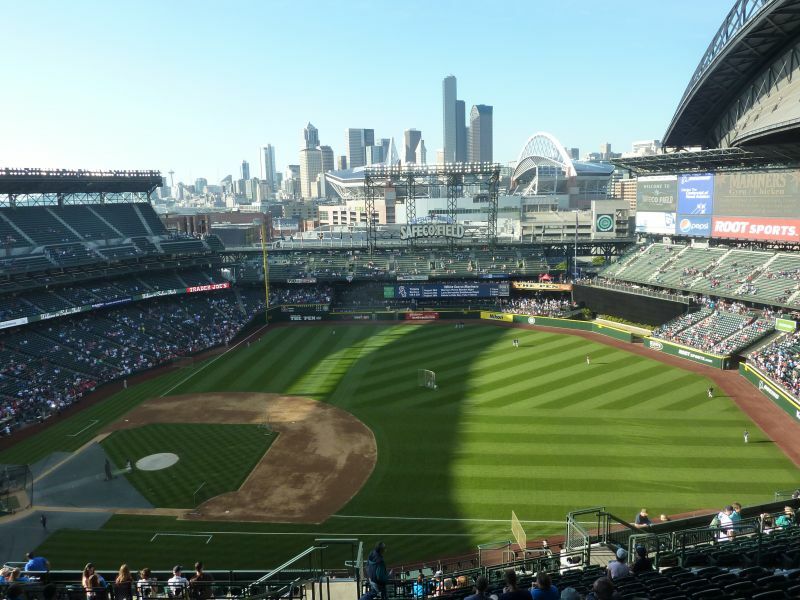 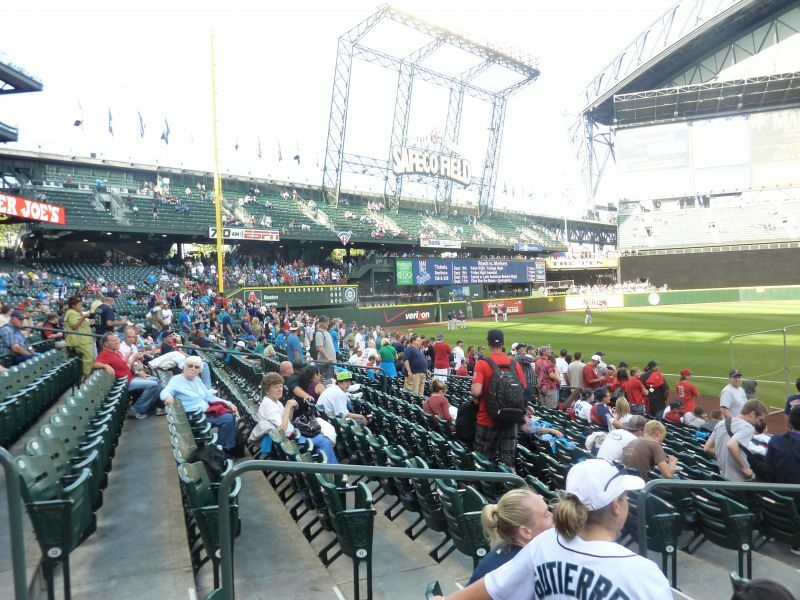 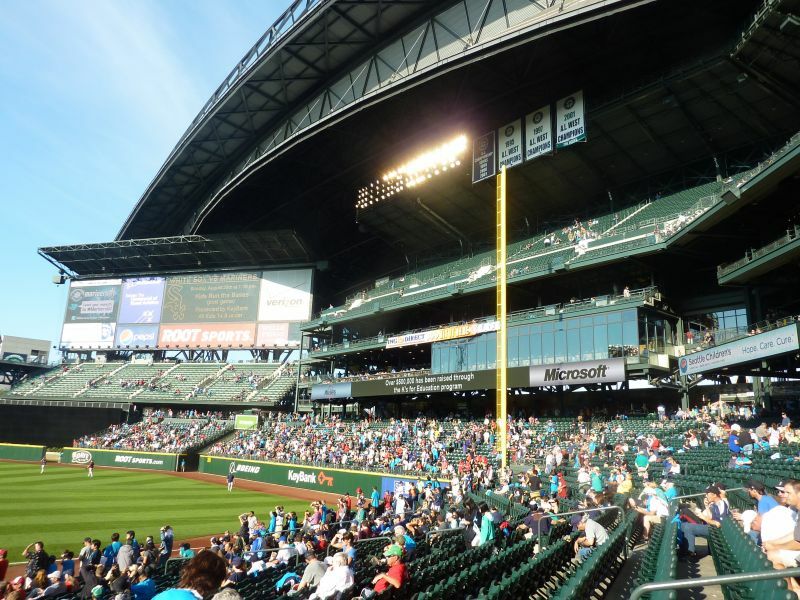 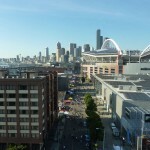 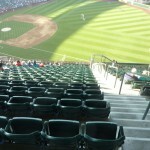 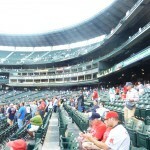 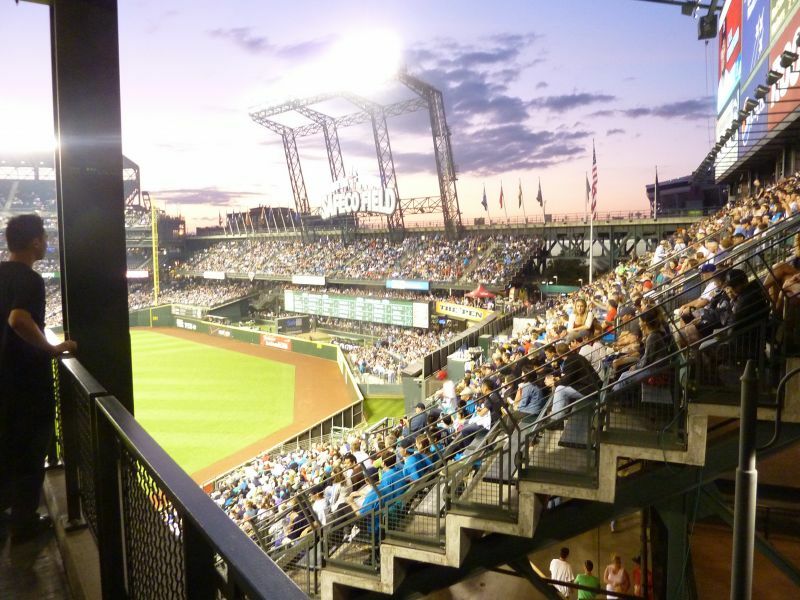 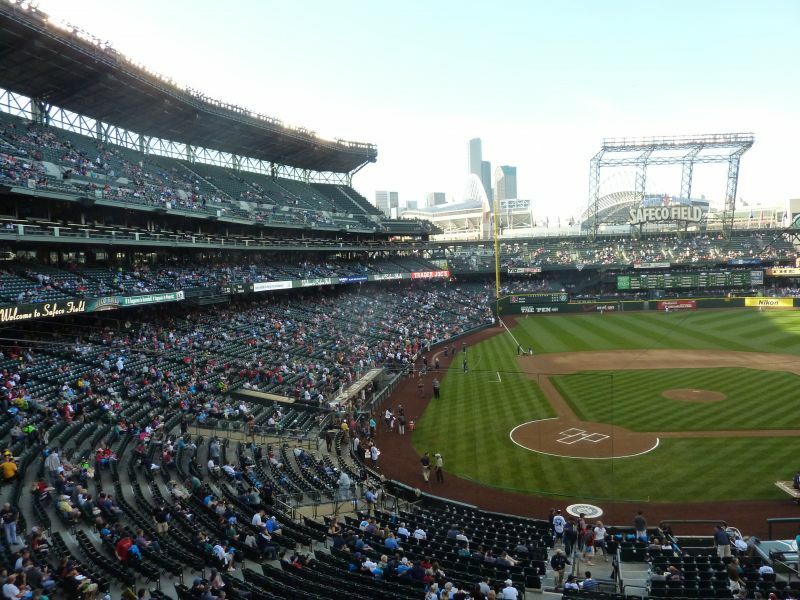 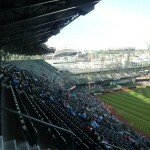 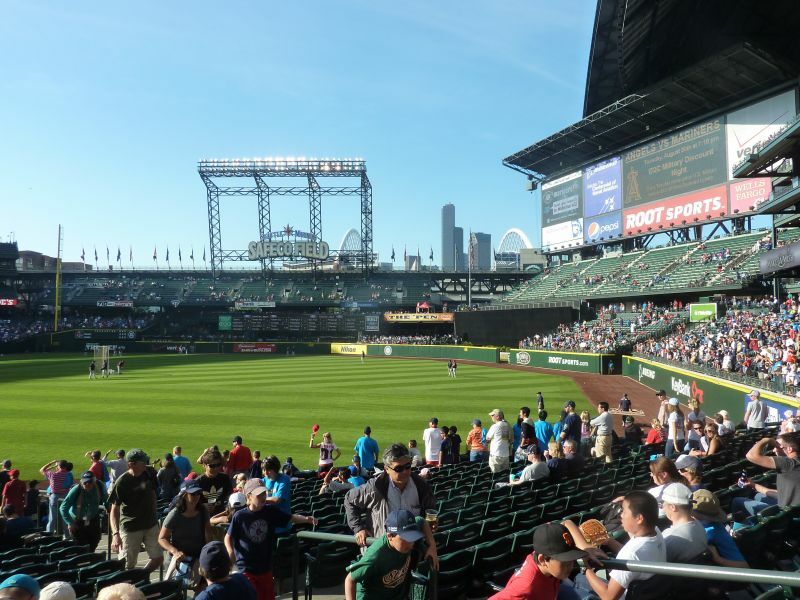 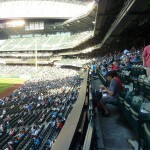 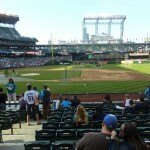 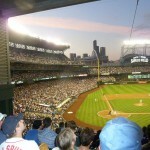 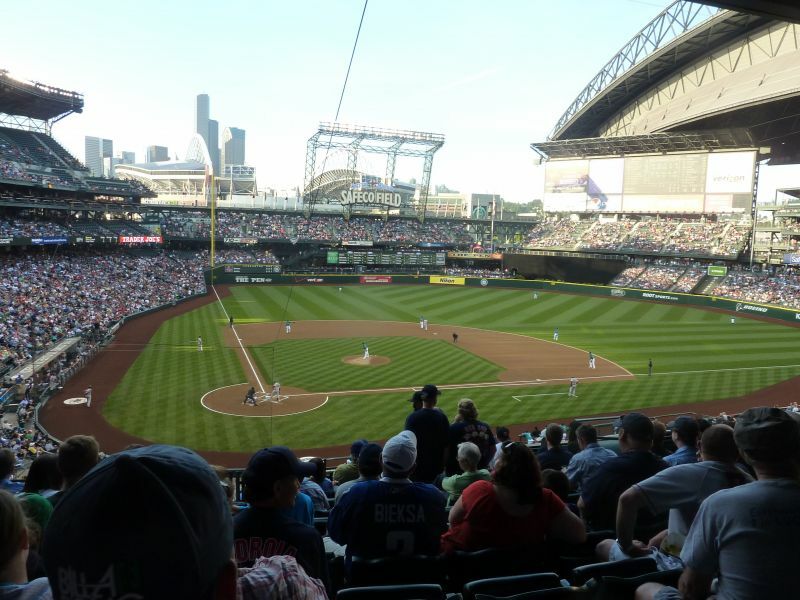 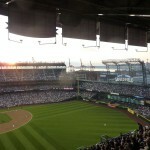 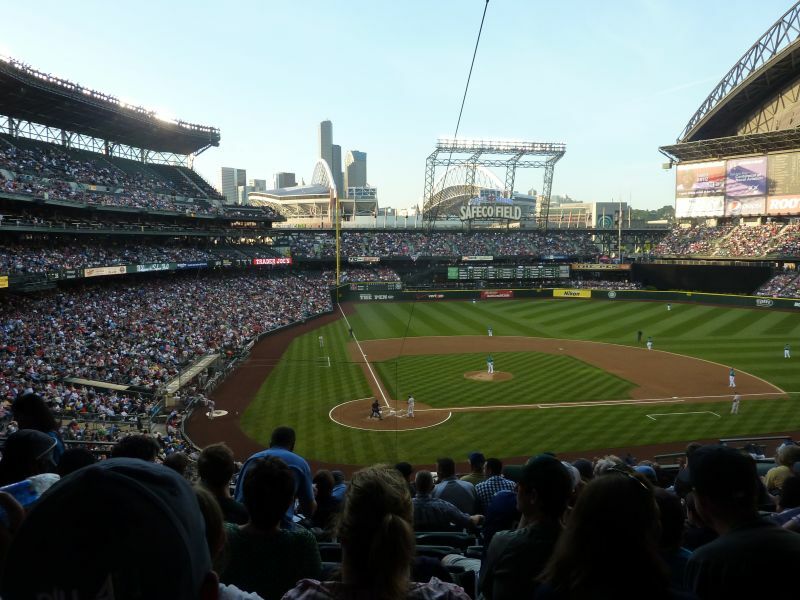 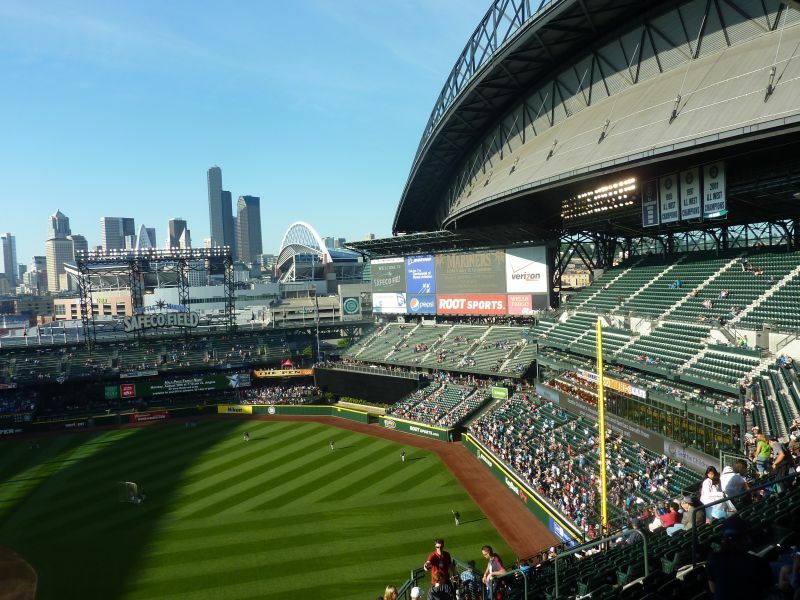 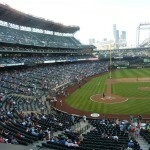 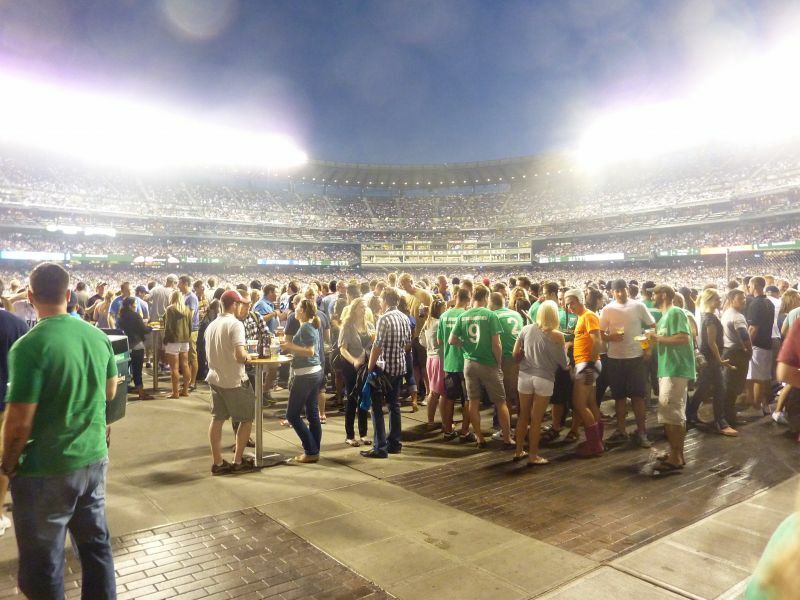 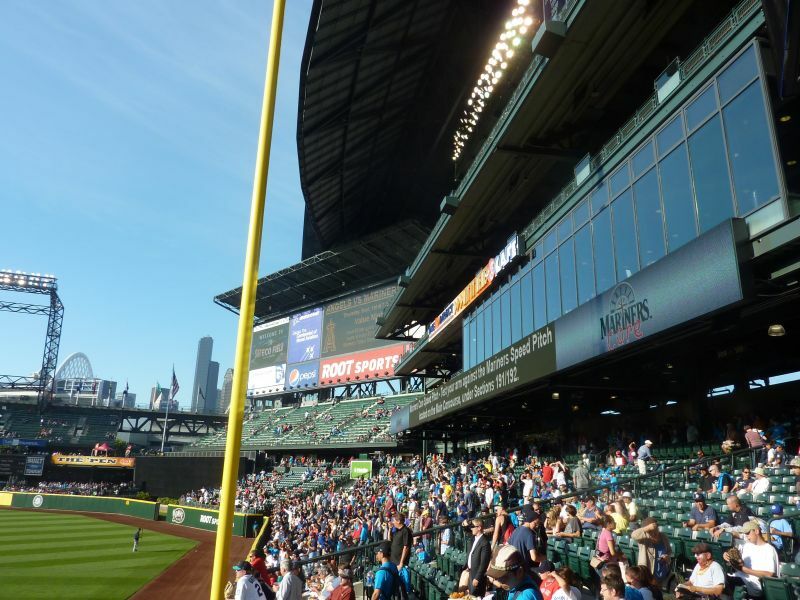 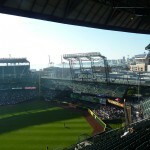 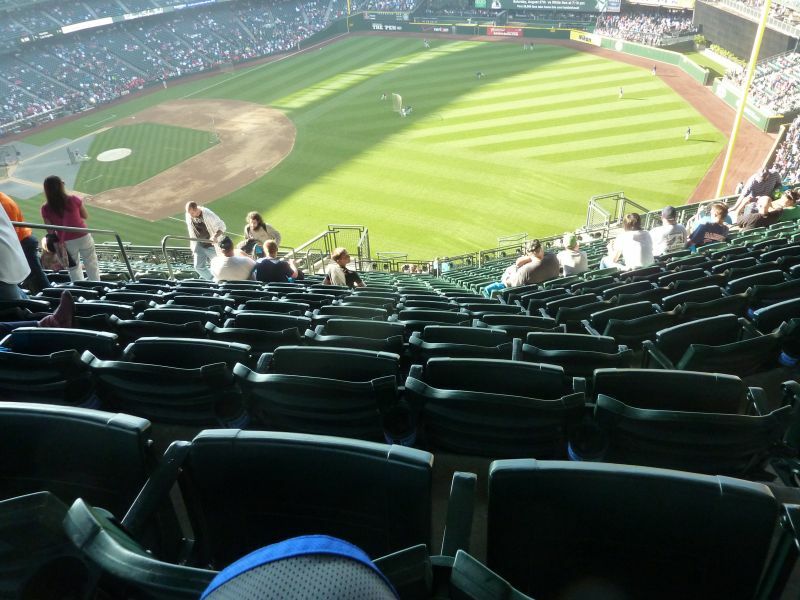 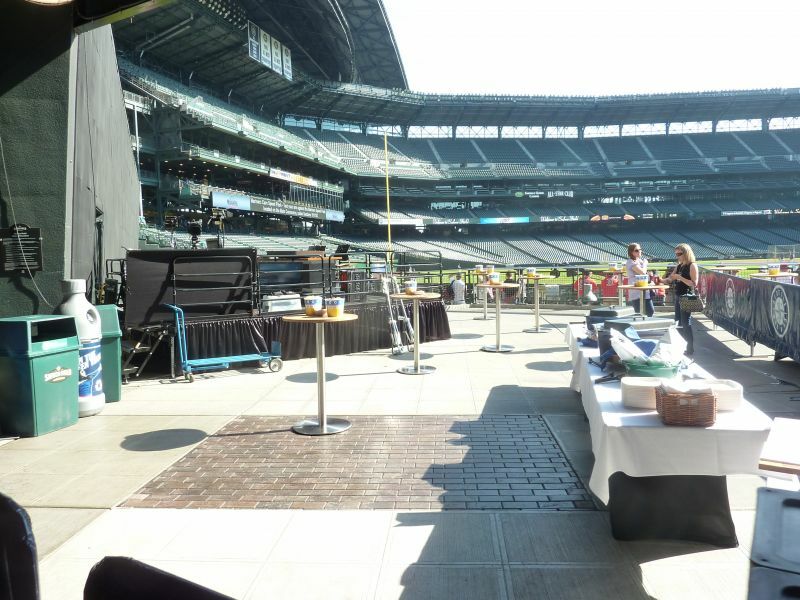 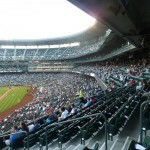 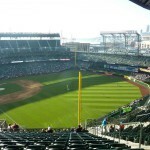 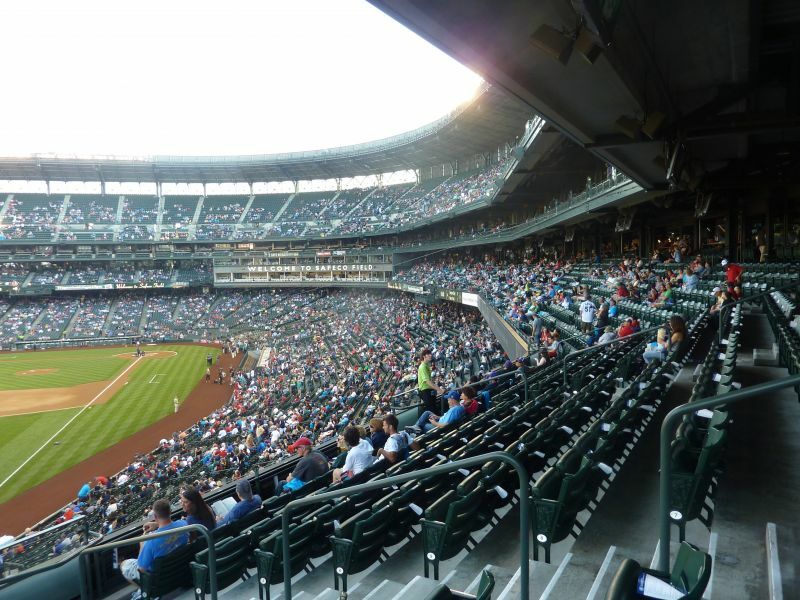 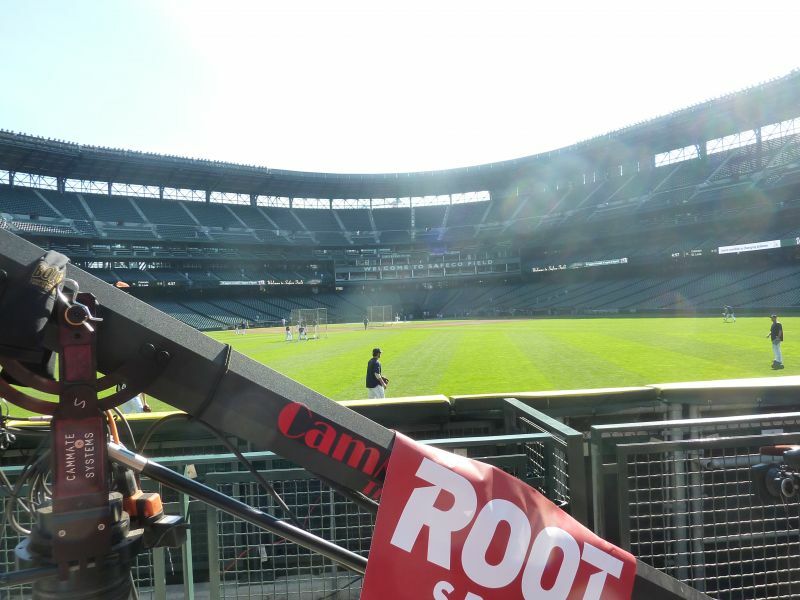 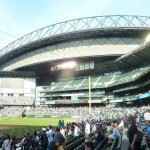 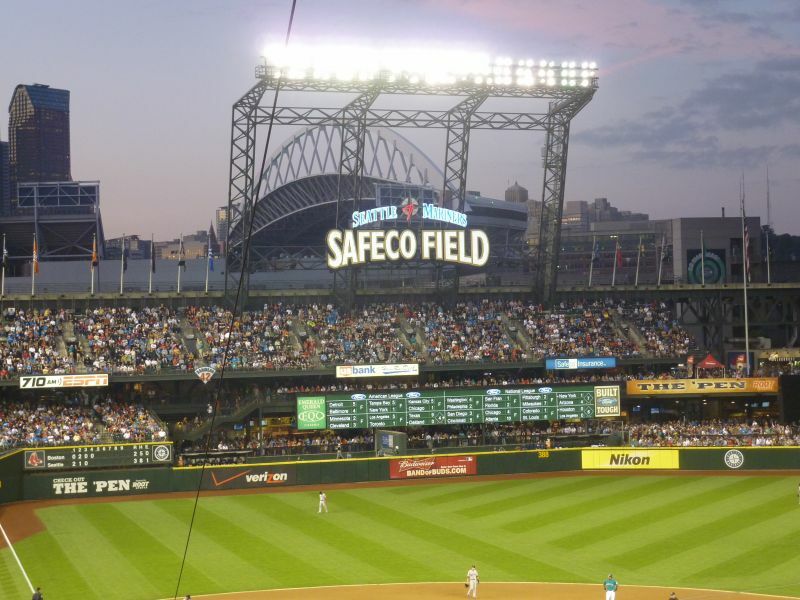 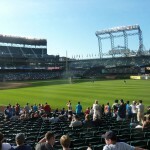 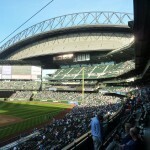 From Baseball Fever to Ballpark Chasers, fans, players, or any website, so many ballpark enthusiasts seem to have a connection to Seattle. 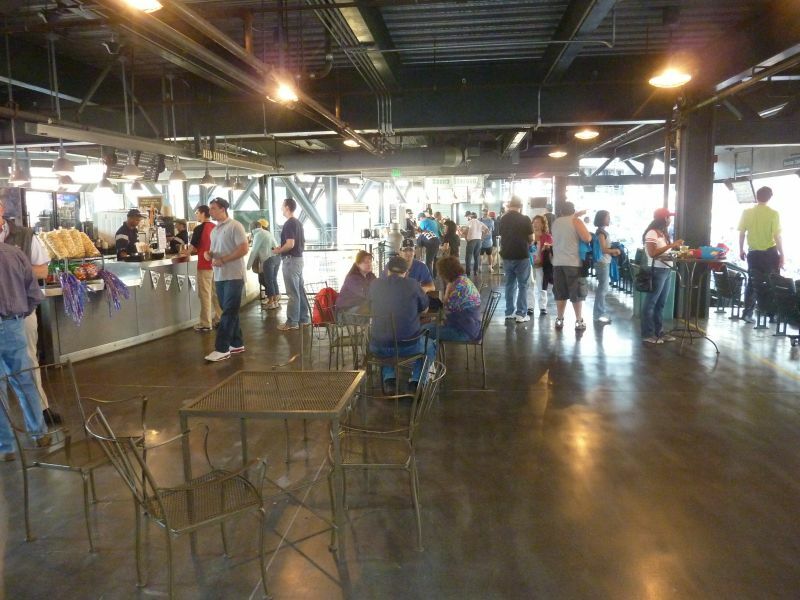 The local media coverage when the ballpark opened was as extensive as I’ve ever seen, and that’s something I research every time before a review. 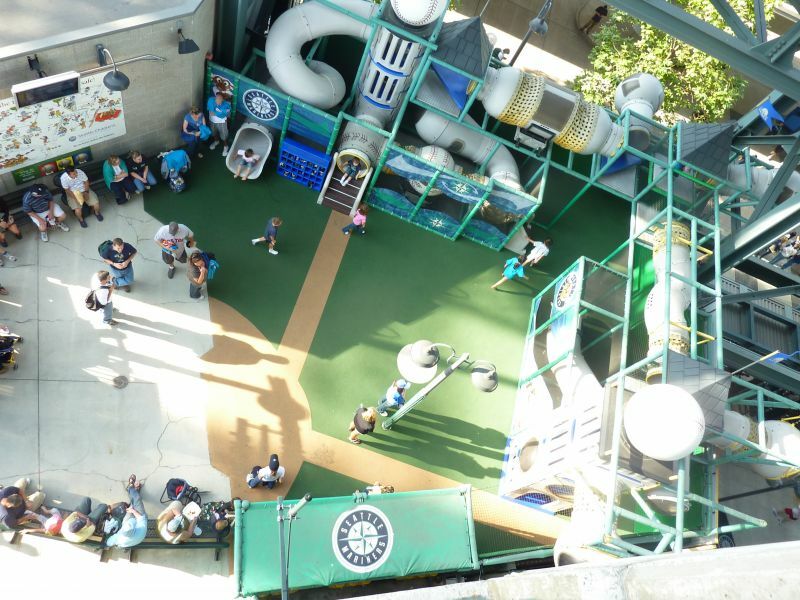 There seems to be a pathological obsession to elevate this park, and for good reason if you’re just looking at the amenities. 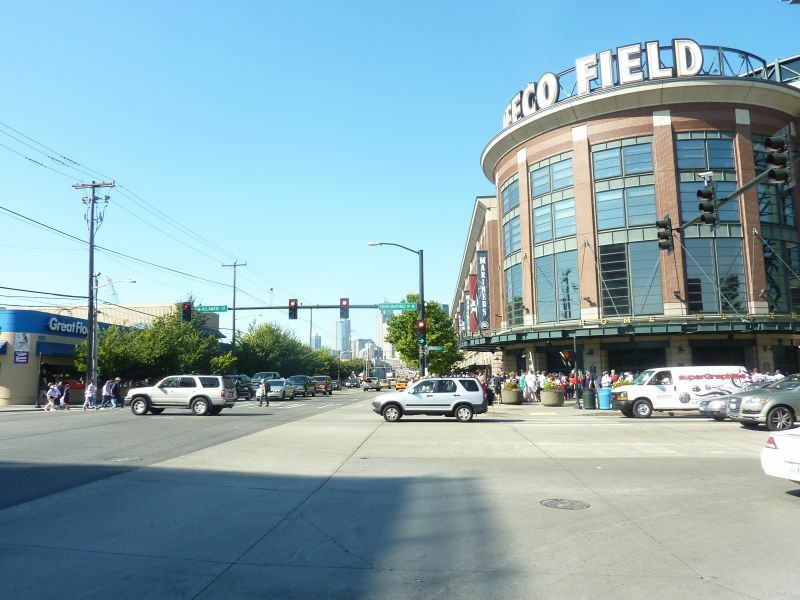 But other than Seattle based architectural critic John Pastier and a few other contrarians, I’m puzzled at the total lack acknowledgement that Safeco Field is by and large an aesthetic failure. 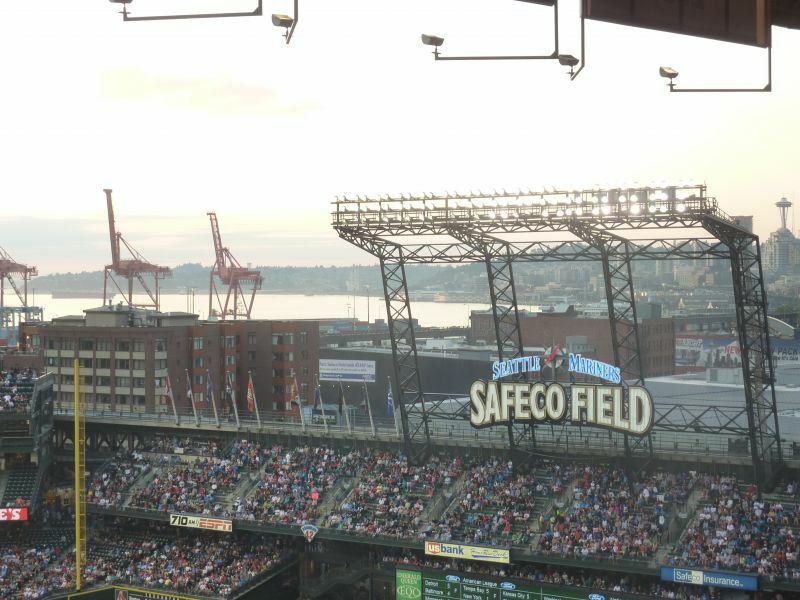 Yes, we get it Seattle. 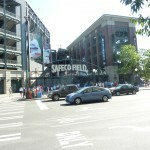 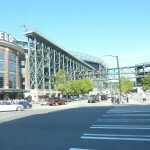 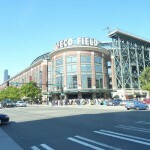 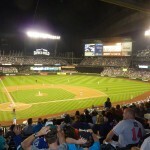 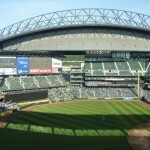 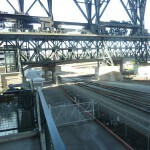 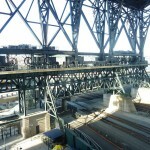 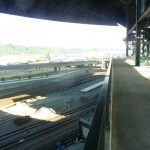 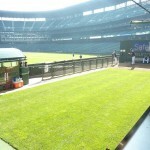 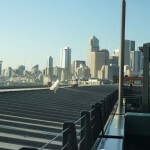 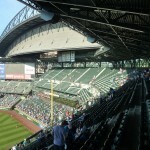 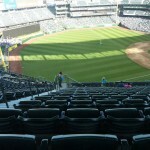 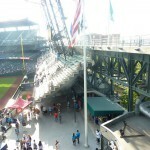 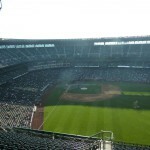 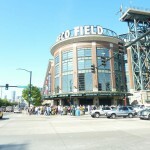 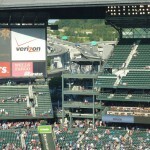 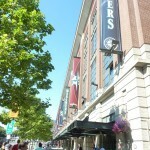 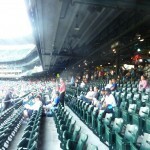 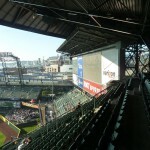 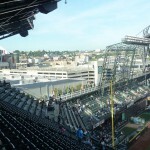 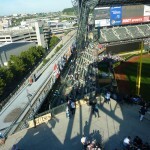 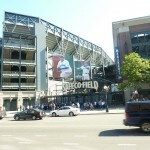 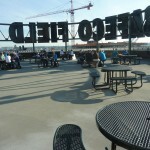 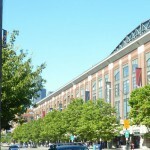 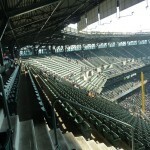 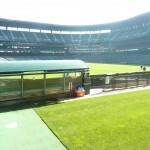 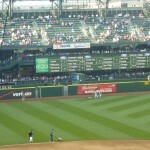 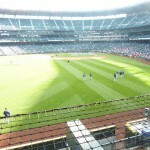 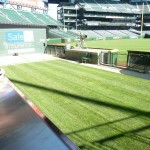 Safeco Field is a true open-air ballpark with a unique retractable roof that doesn’t enclose the field. 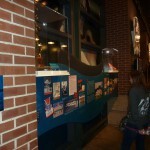 It acts like an umbrella that keeps the rain out! 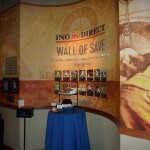 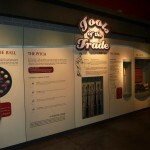 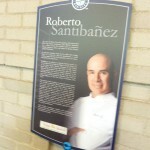 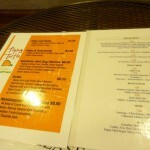 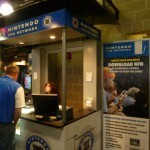 (Admittedly, this is an unbelievably cool concept). 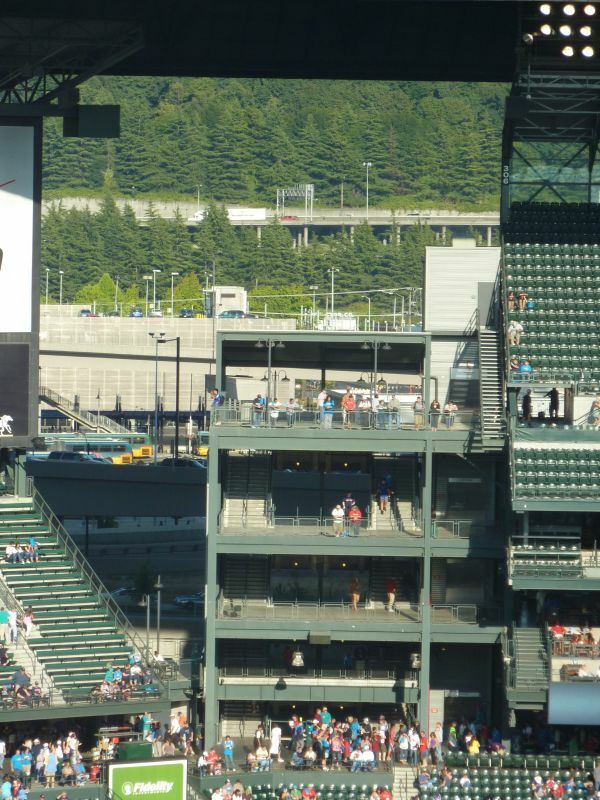 But this engineering marvel doesn’t compensate for the haphazardly constructed outfield grandstand scene, a total lack of interior aesthetic vision, and conflicting architecture. 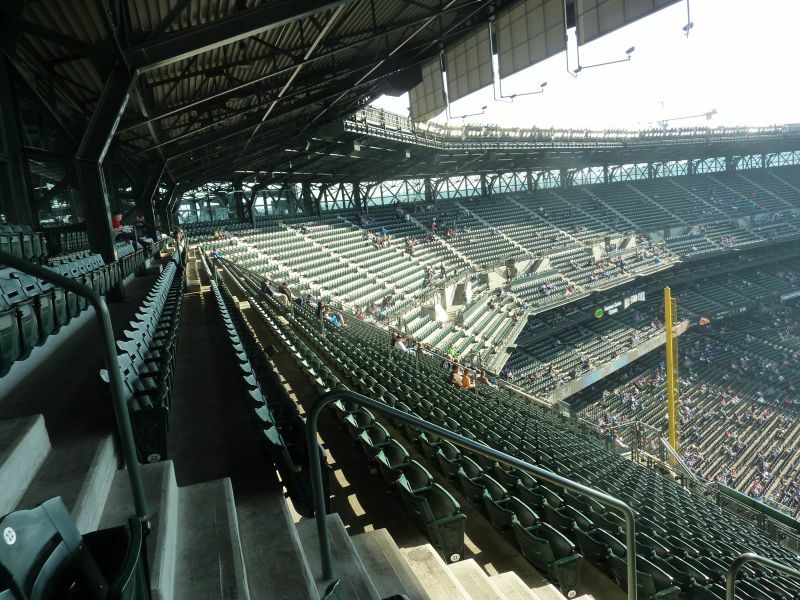 Safeco Field is the most aesthetically overrated ballpark in the majors. 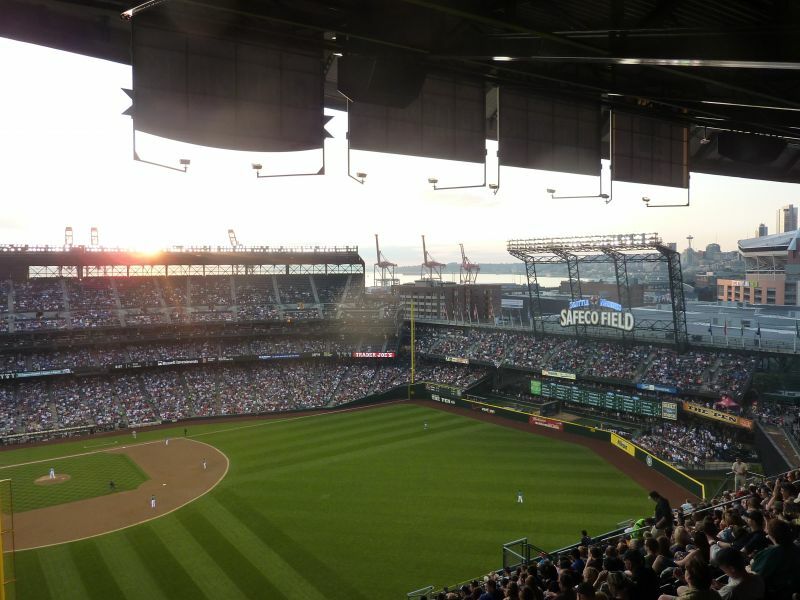 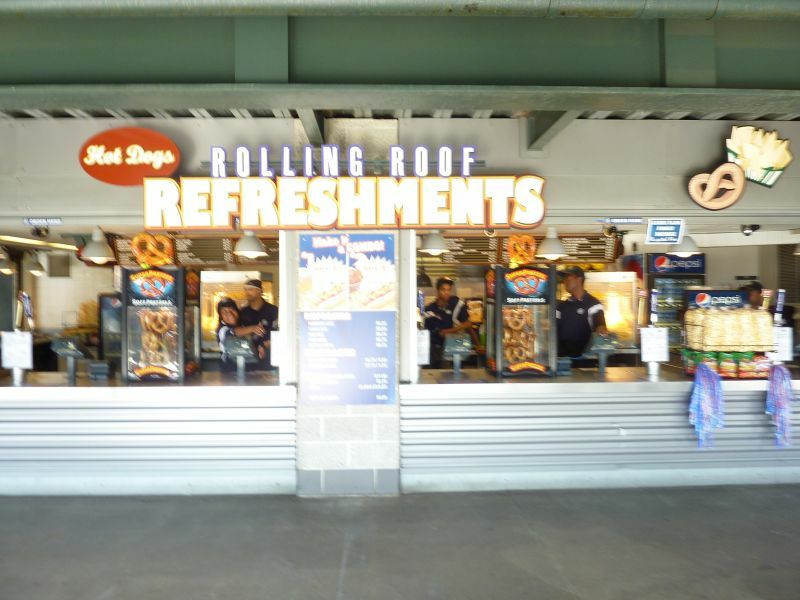 As anyone who didn’t drink the coolaid knows, Safeco Field’s $70 million retractable roof (more than two-thirds the cost of Camden Yards entirely!) 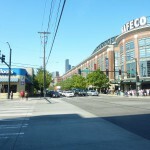 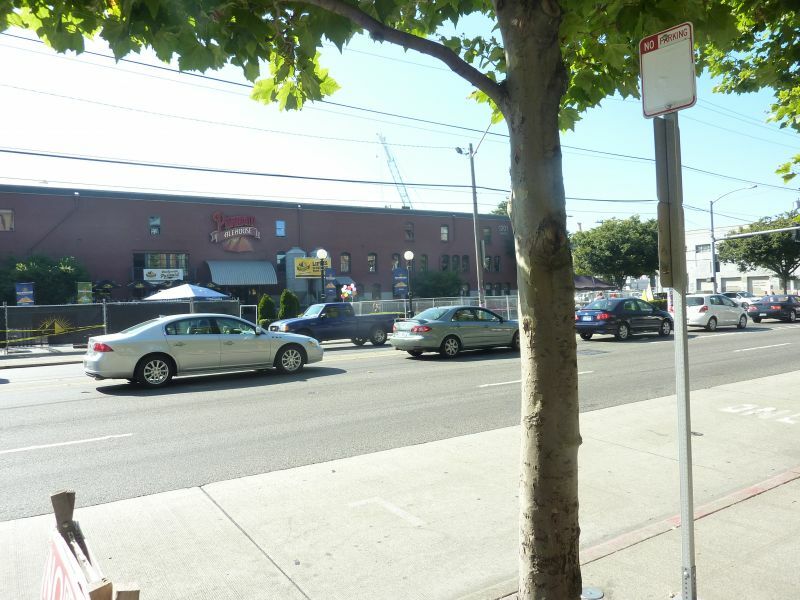 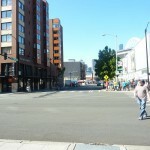 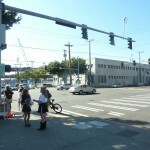 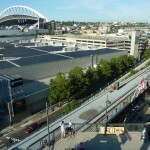 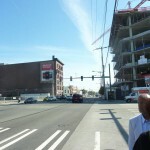 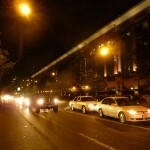 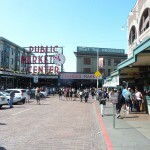 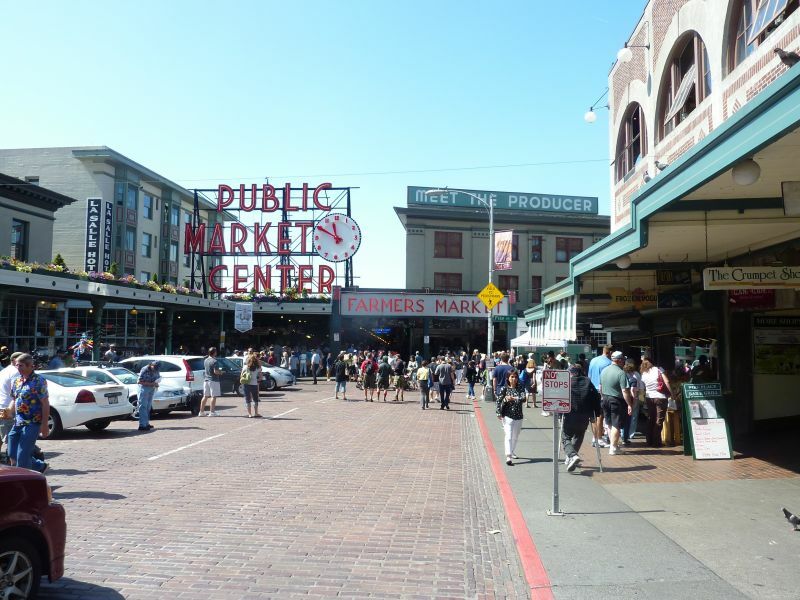 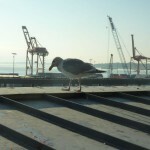 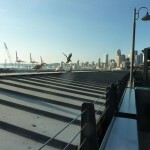 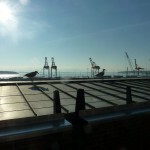 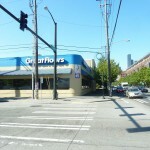 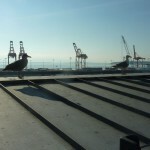 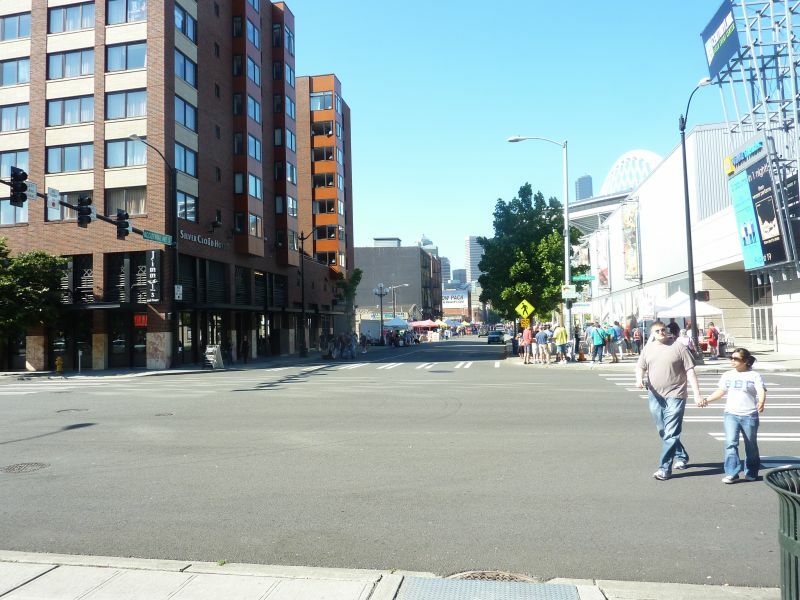 was completely superfluous, as Seattle’s summer months are actually dryer than those in Chicago, Cleveland, or New York. 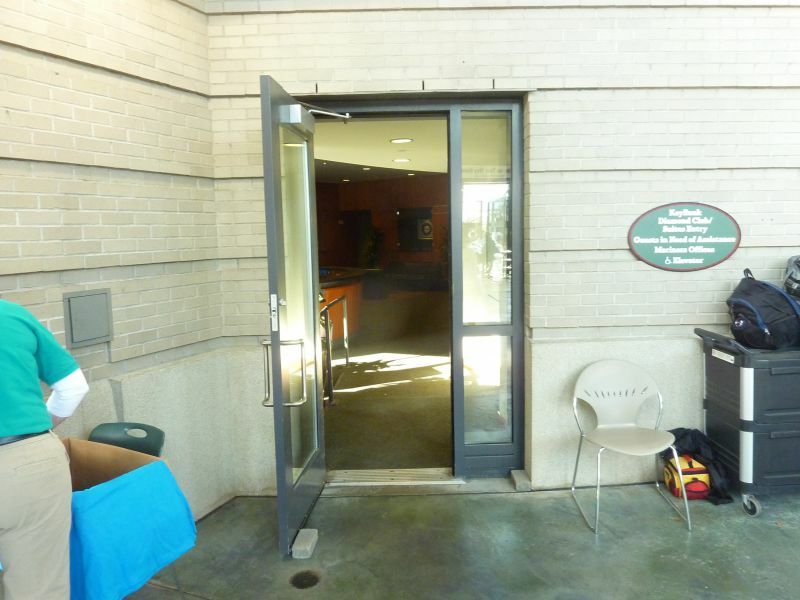 It’s a nice convenience, but I don’t see how that point is arguable. 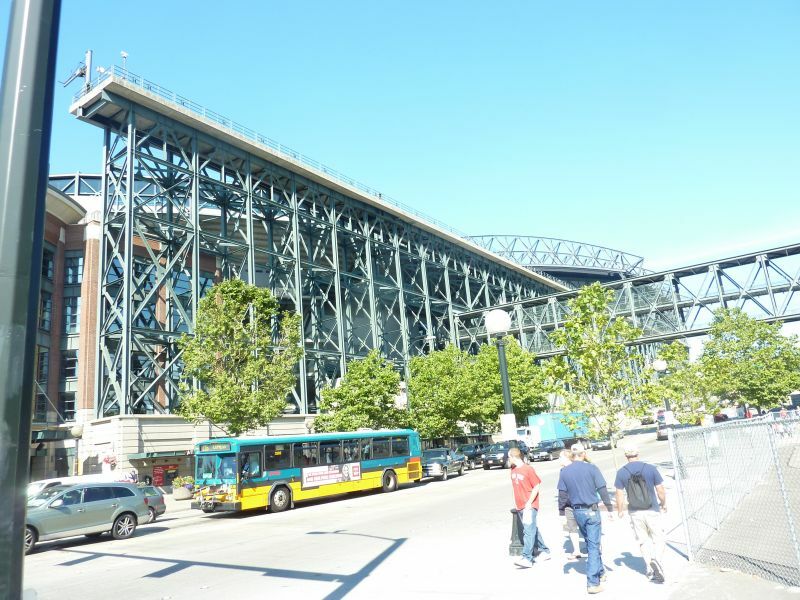 The roof is an eyesore that fights the retro nature of the structure, completely dominating the ballpark in both scale and substance. 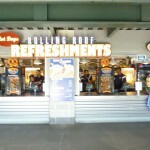 It’s a bad sign when a roof is your “signature feature”. 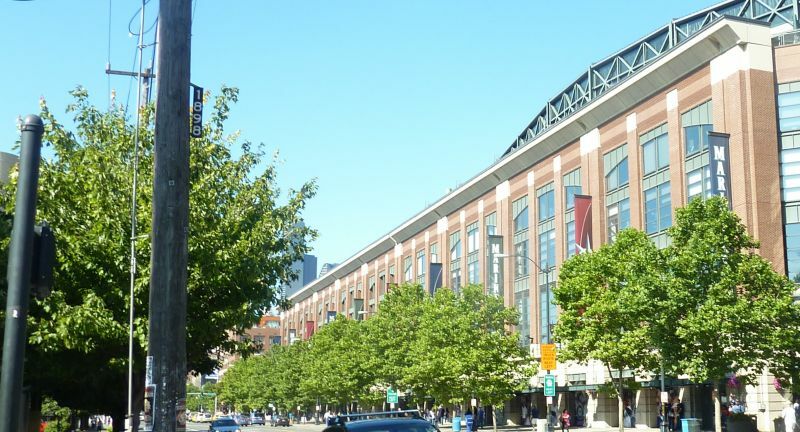 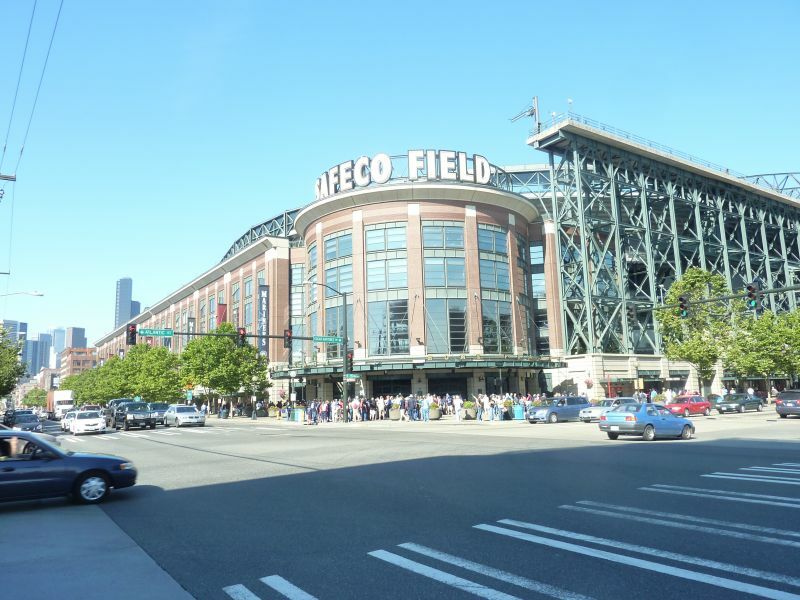 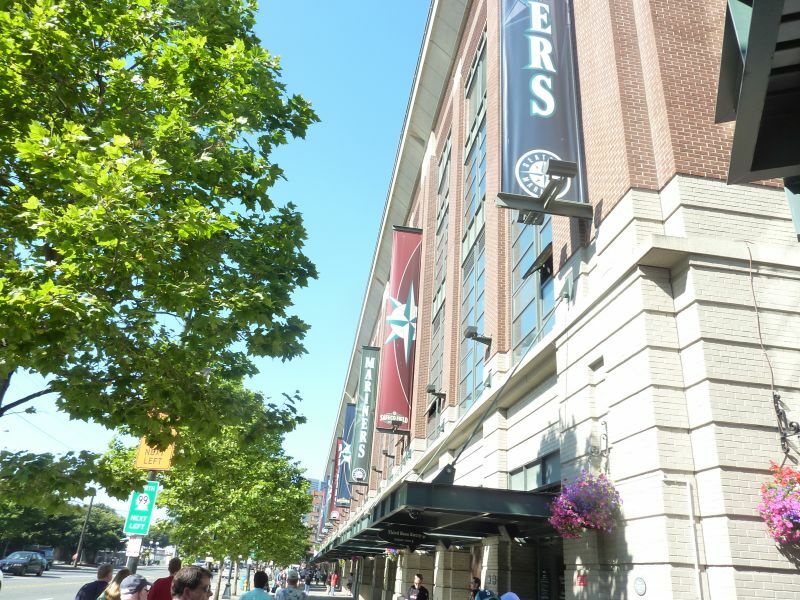 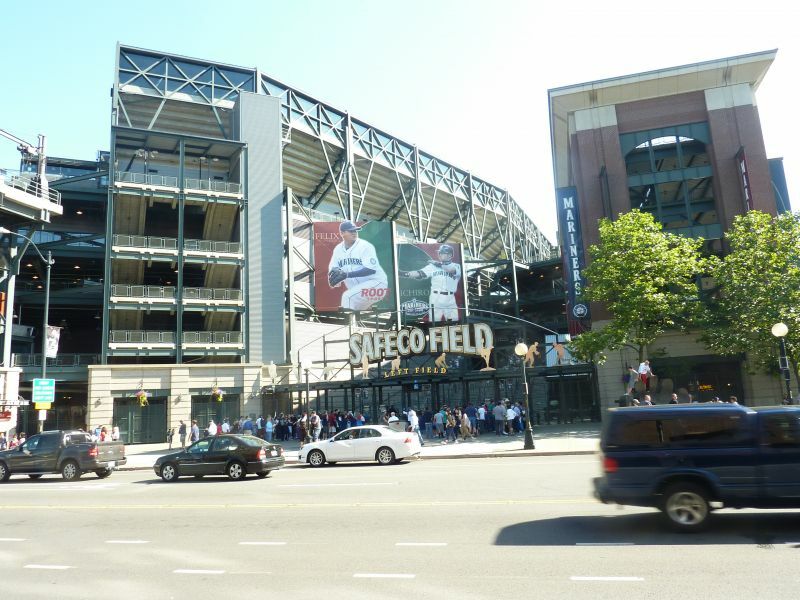 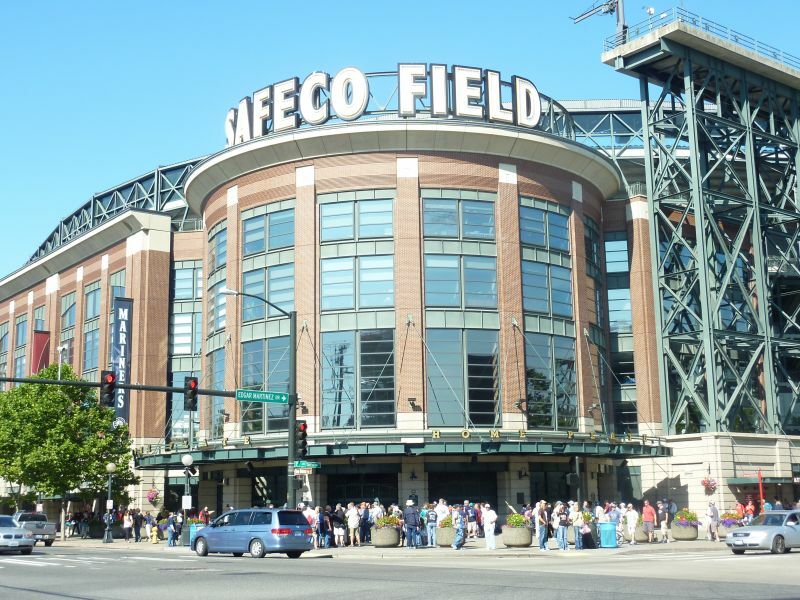 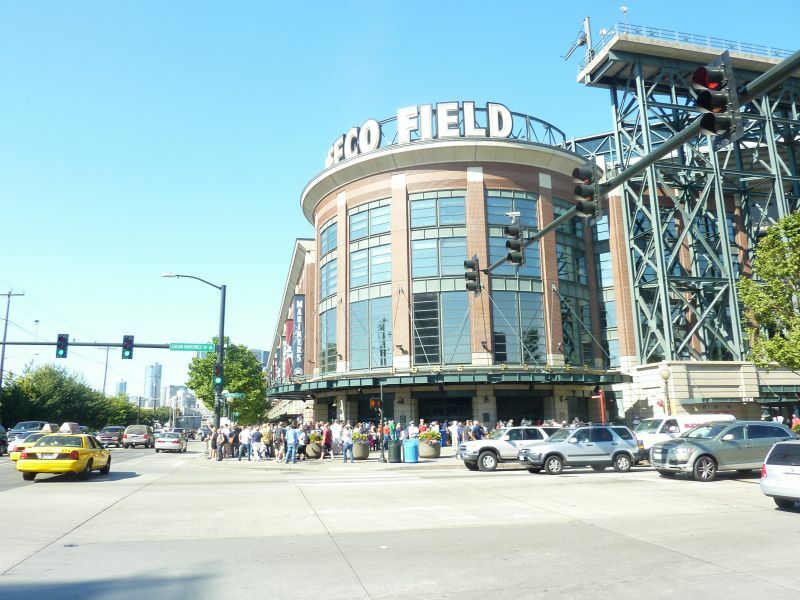 If officials hadn’t given total priority to the retractable roof above all else, Safeco Field could have been better, especially in terms of the painfully confused exterior design. 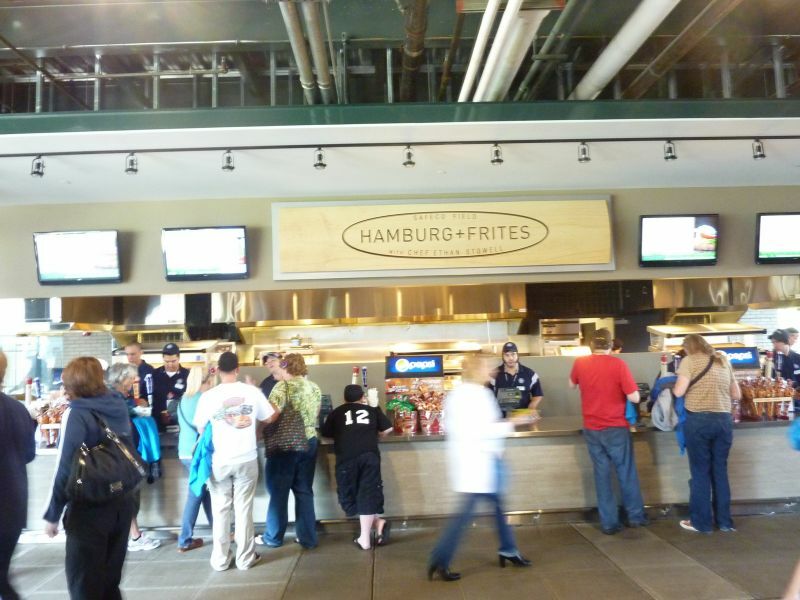 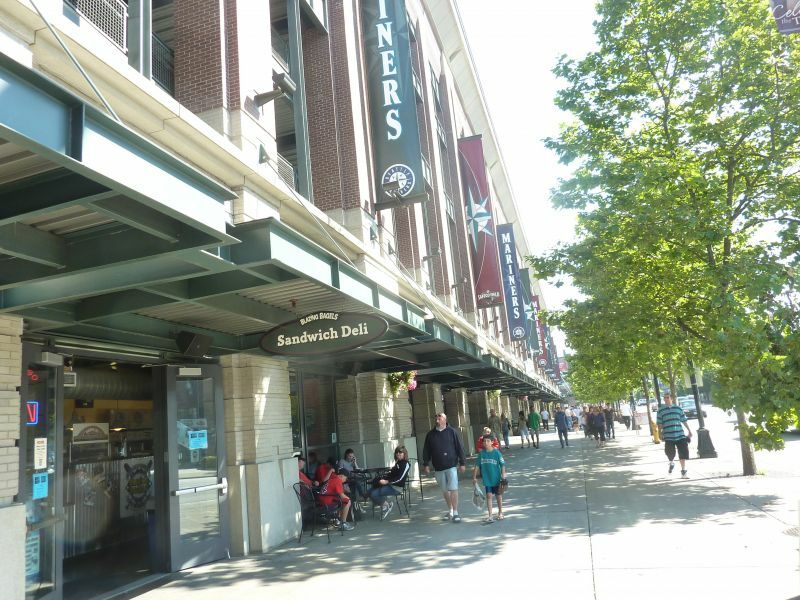 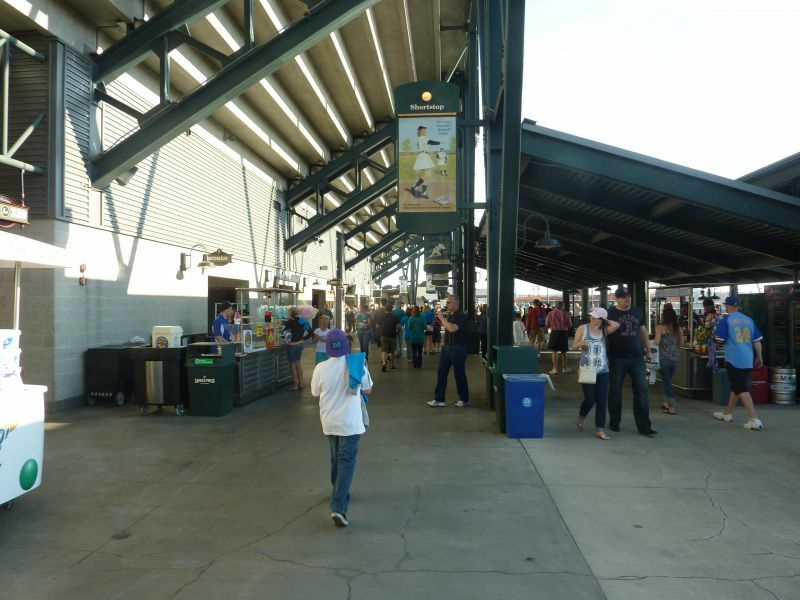 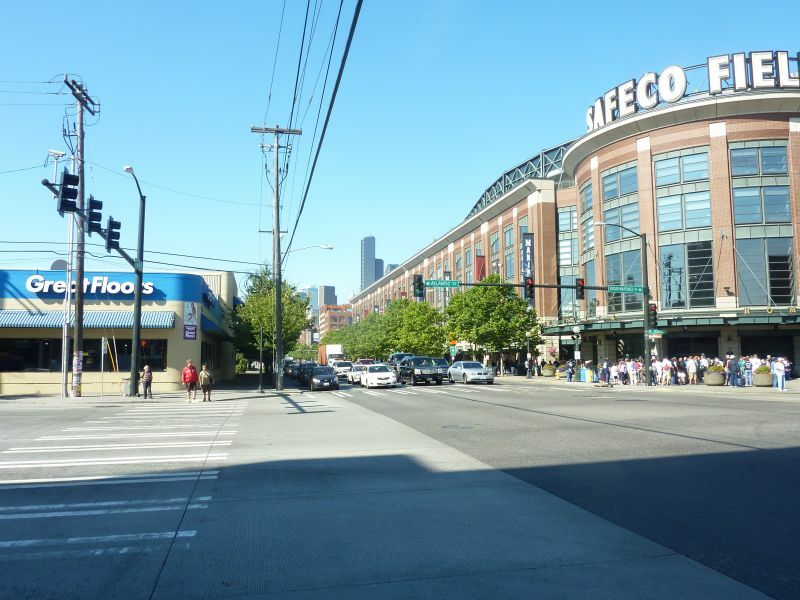 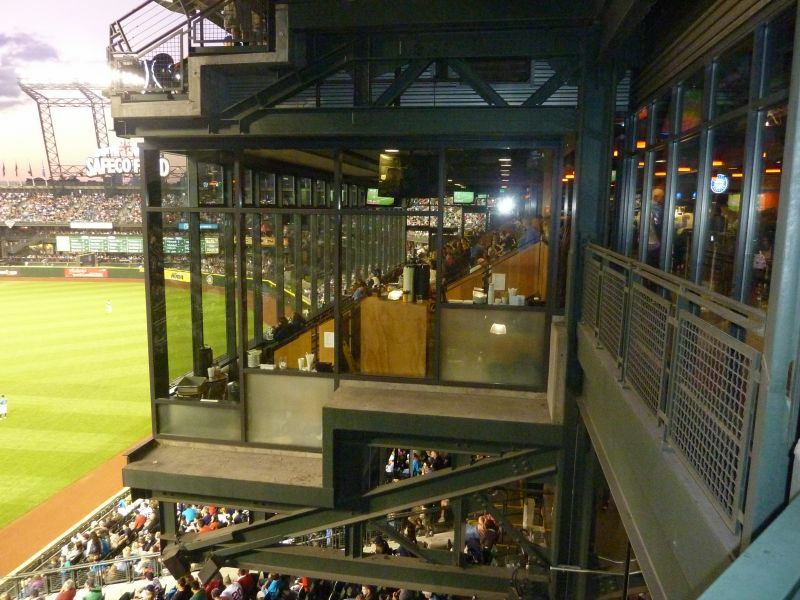 In a ballpark located on the outskirts of downtown, Safeco Field largely fails in contextual integration, building an over scaled self-contained structure that doesn’t acknowledge its surroundings as well as it could, unlike its cousin in Houston. 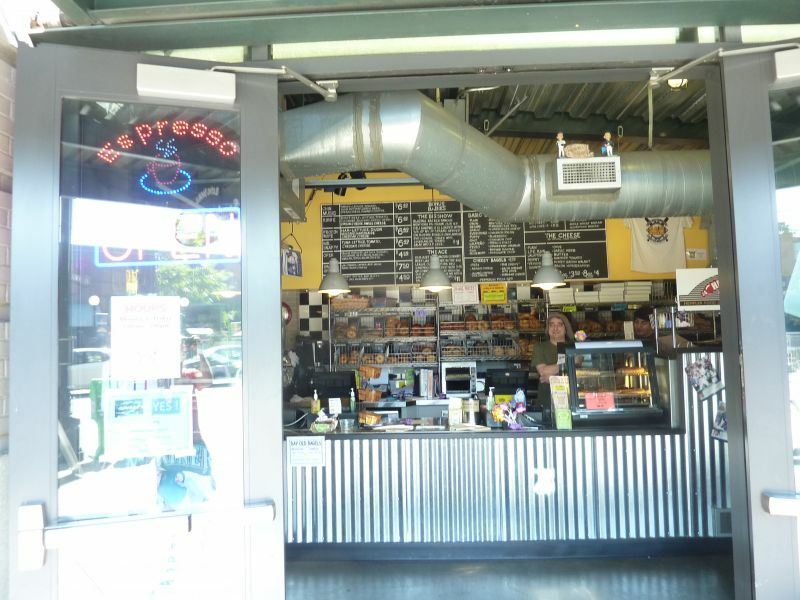 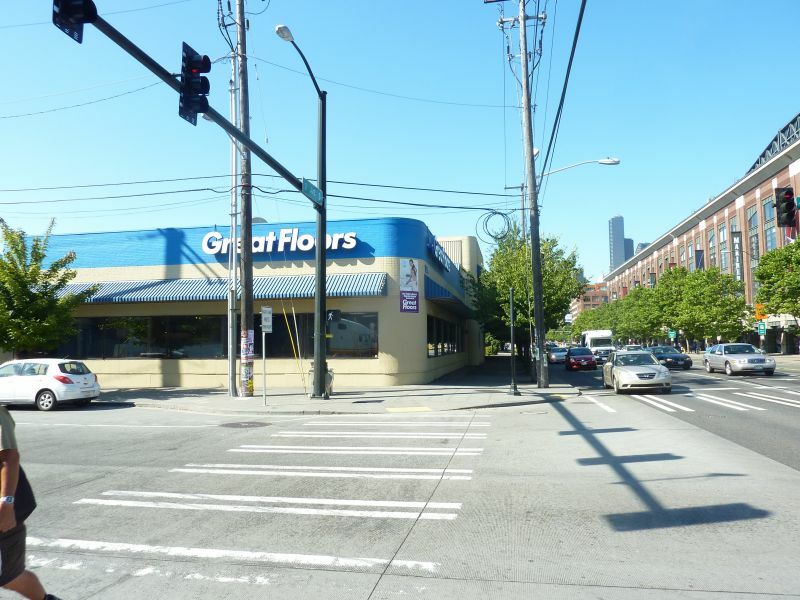 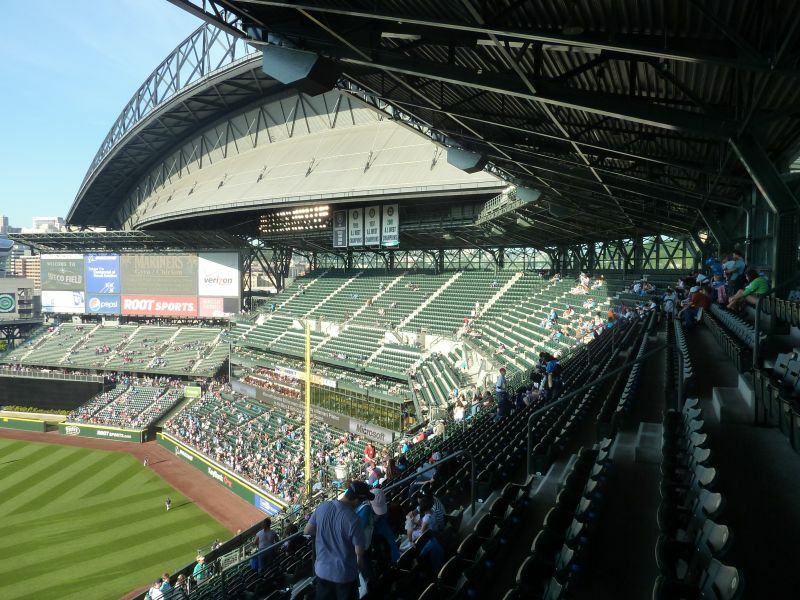 Seattle defies all attempts to provide some sort of signature interior element, whether being contextually based or having a superficial gimmick, other than its bulky metal retractable roof. 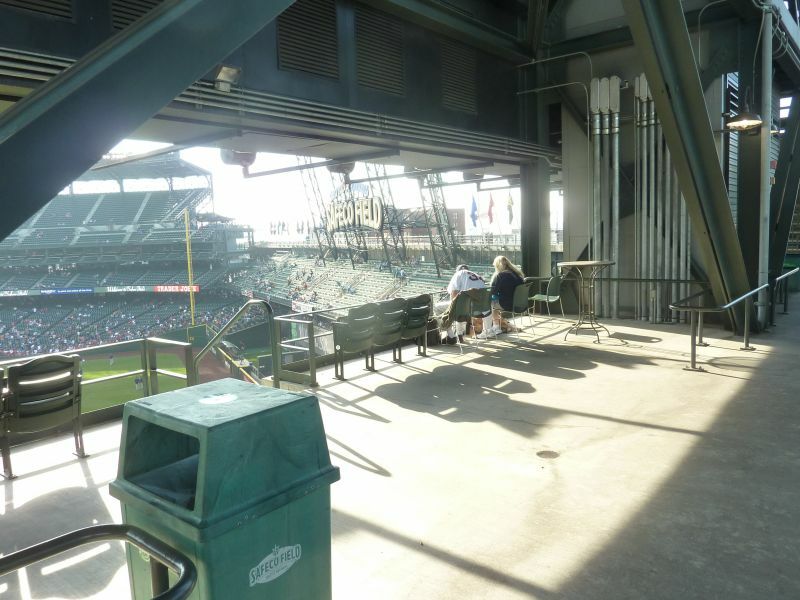 There’s nothing aesthetically attractive or locally distinguishing about Safeco Field if you’re sitting in the lower bowl. 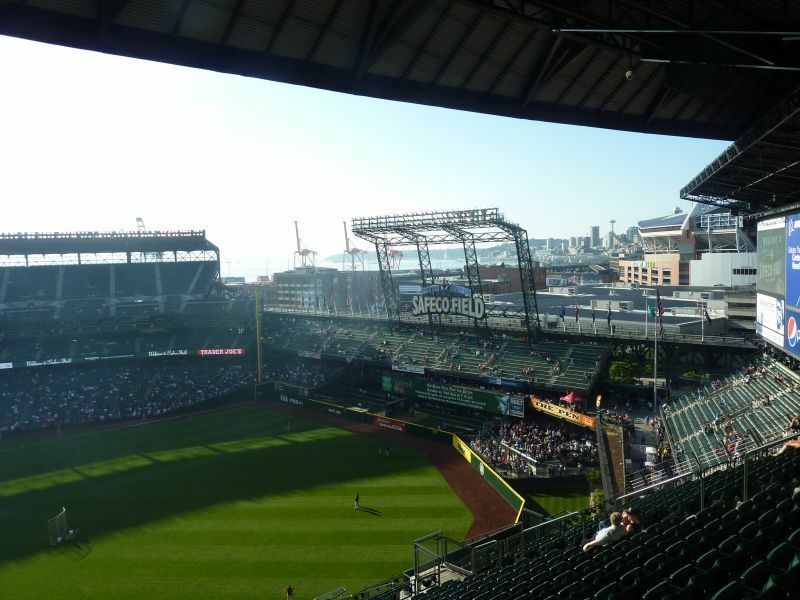 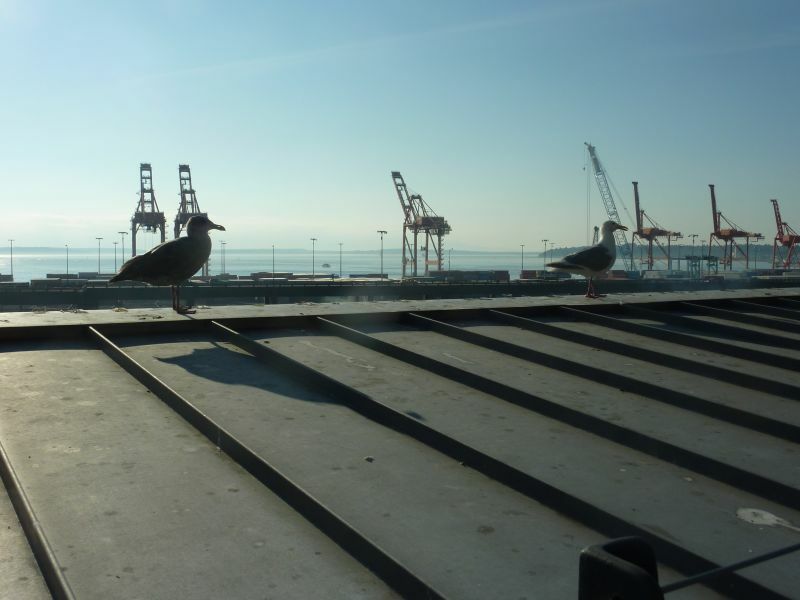 Seattle has the waterfront, the mountains, and the skyline, but Safeco Field doesn’t do enough to acknowledge these elements, because they just had to have that retractable roof. 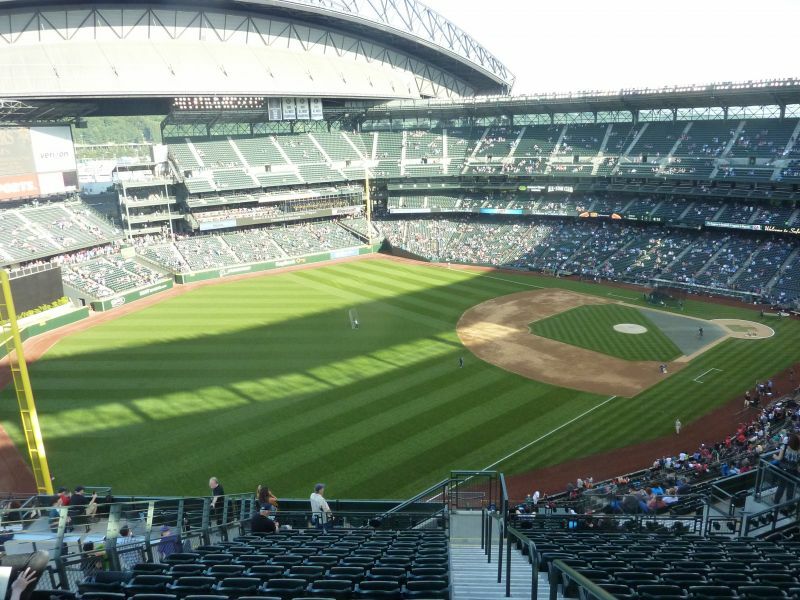 You wouldn’t know much of Seattle’s beauty of you were sitting in the lower bowl. 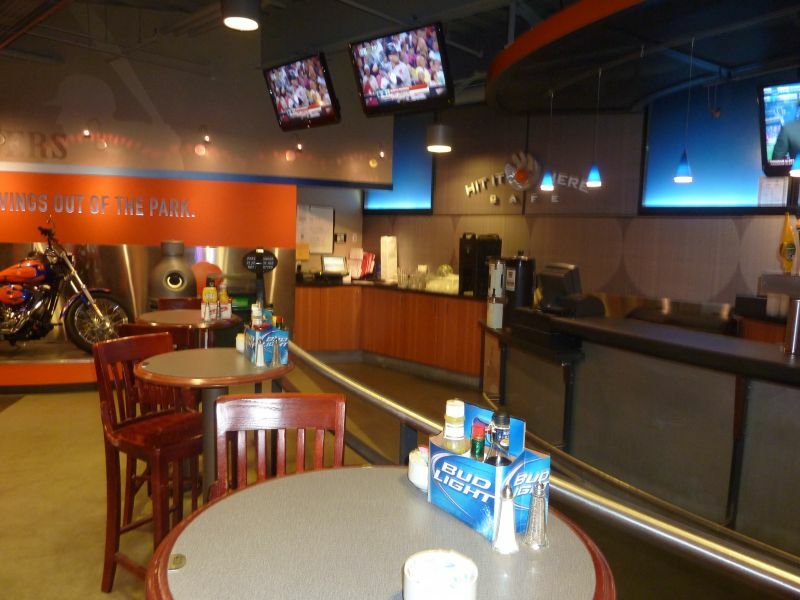 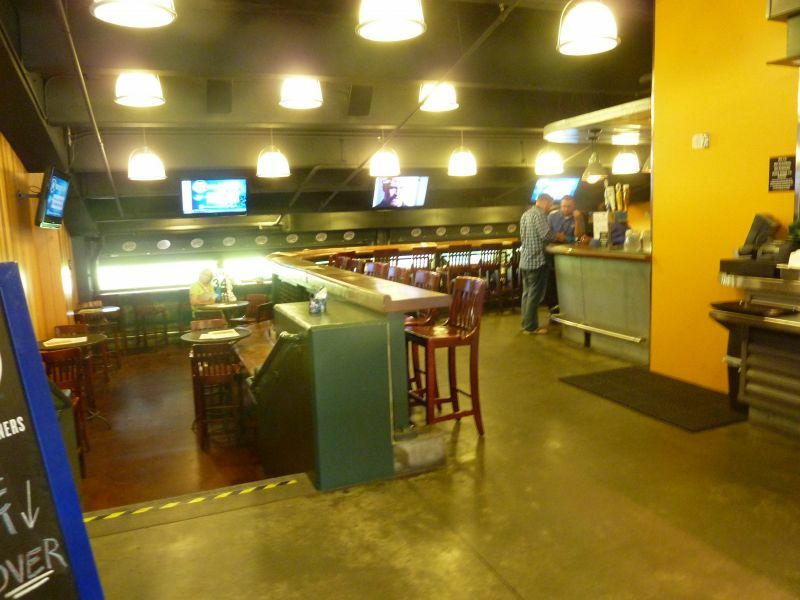 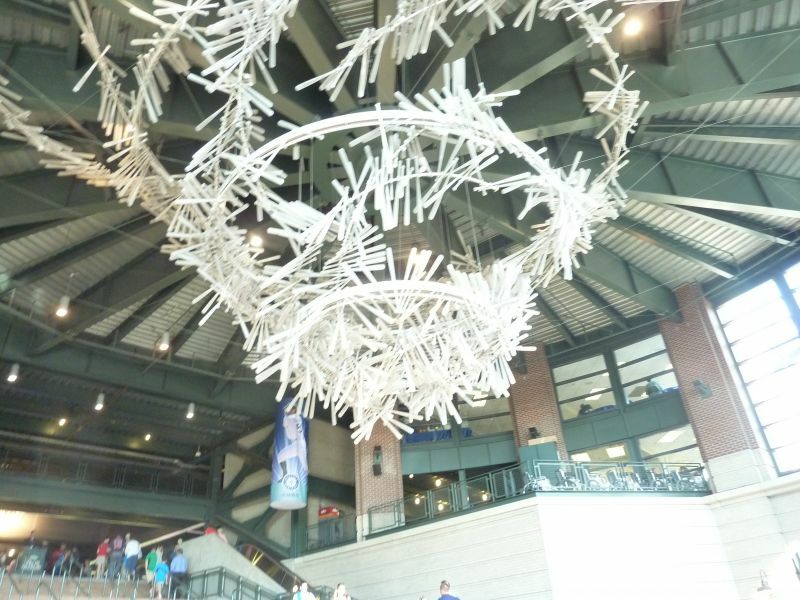 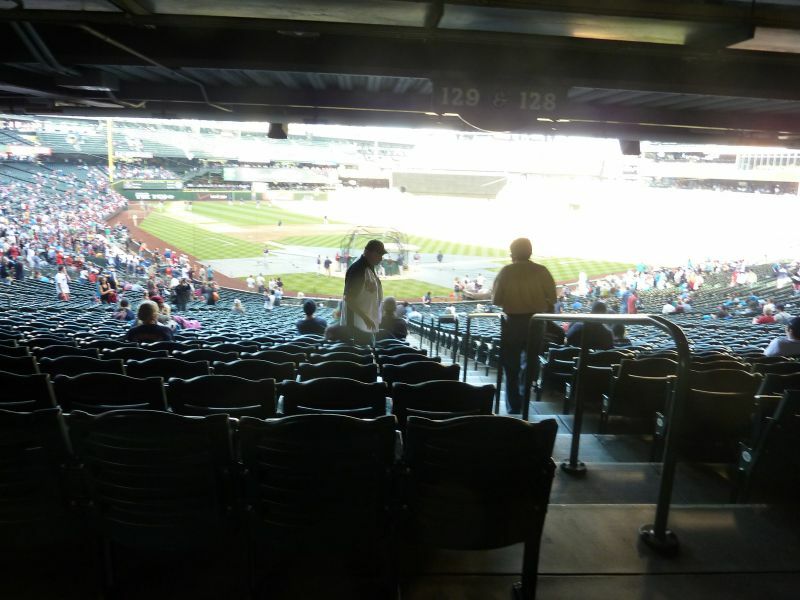 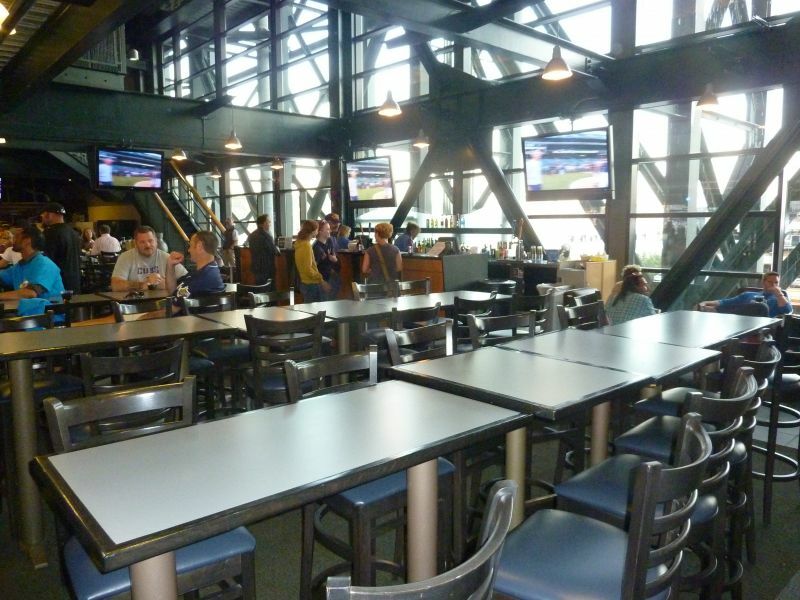 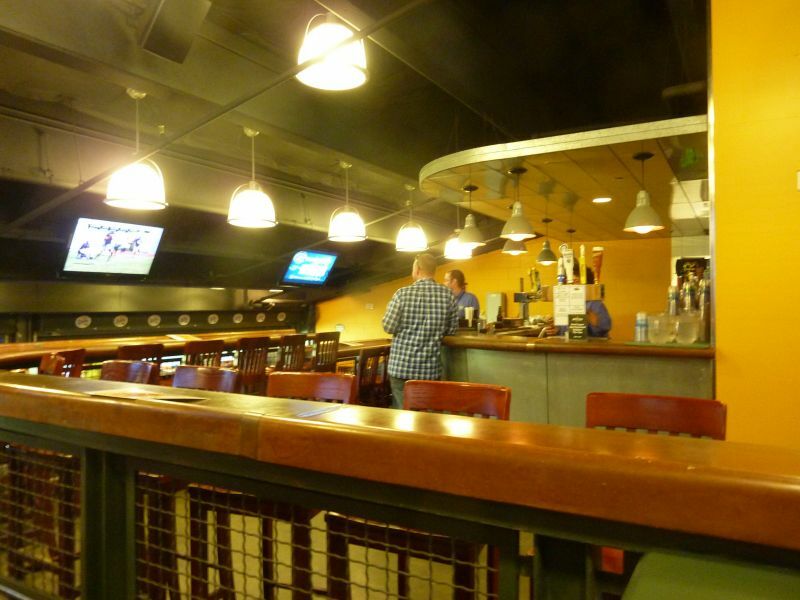 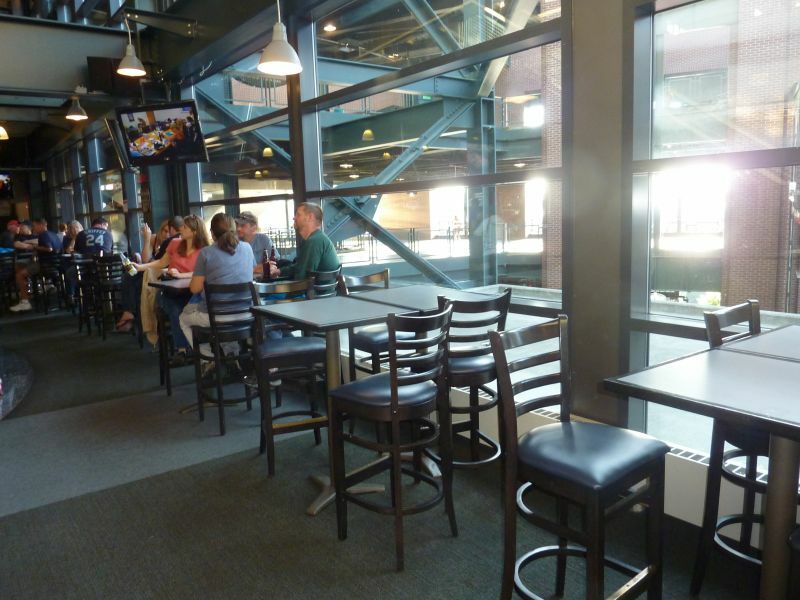 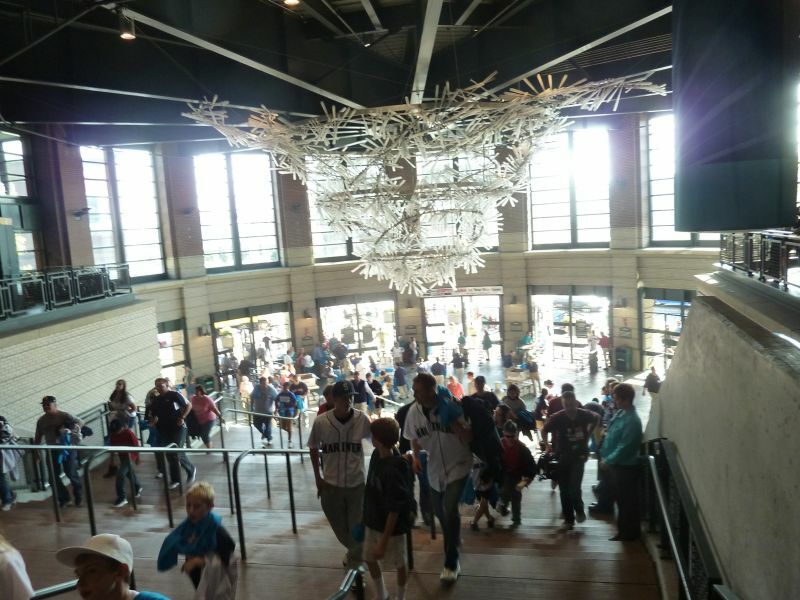 In reality, the interior is just a giant hunk of functional jet-black metal and steel, not that much different than Chase Field or Miller Park. 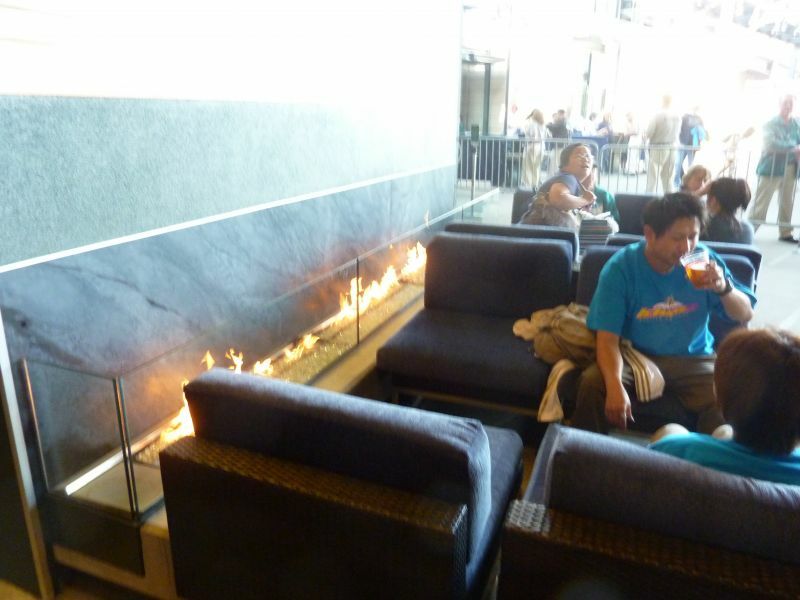 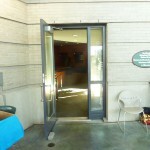 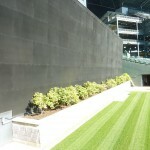 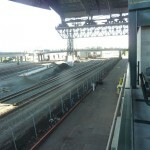 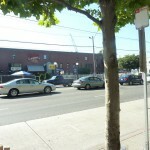 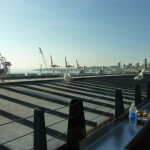 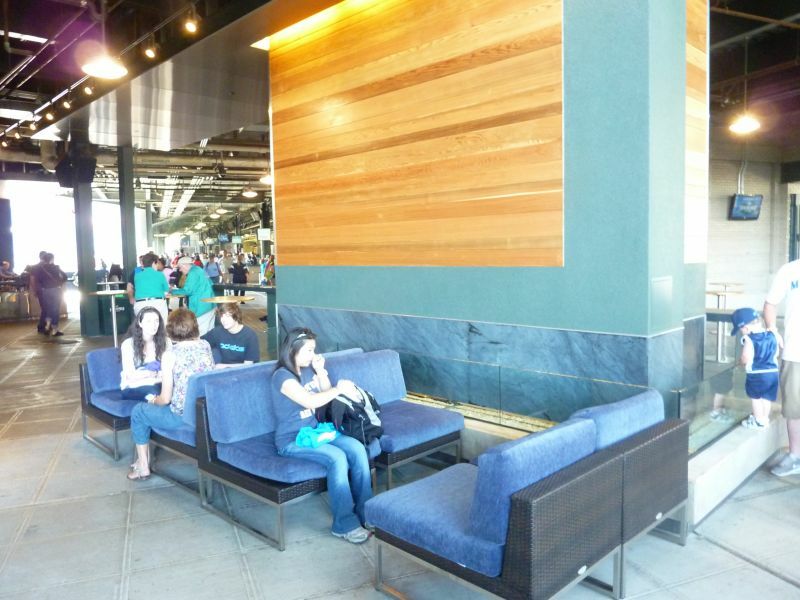 Its only aesthetic success is maintaining an outdoor feel, unlike the aforementioned two. 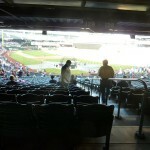 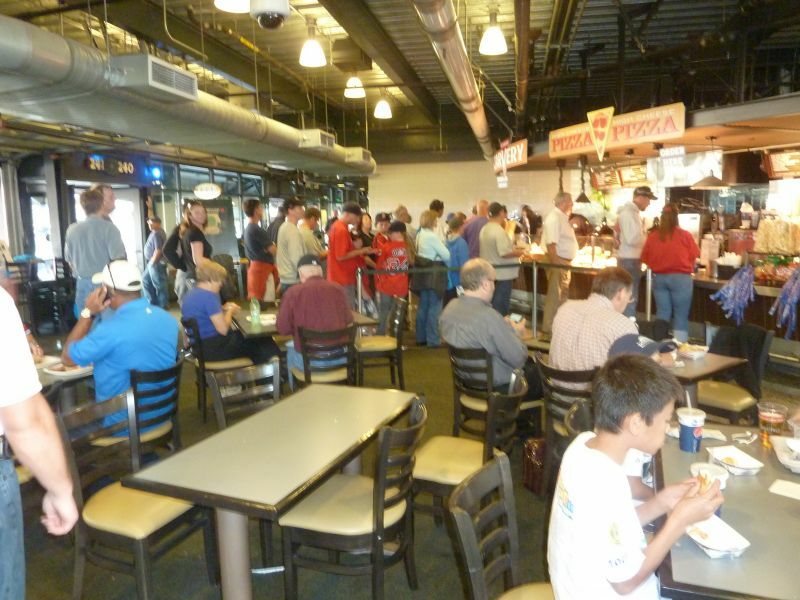 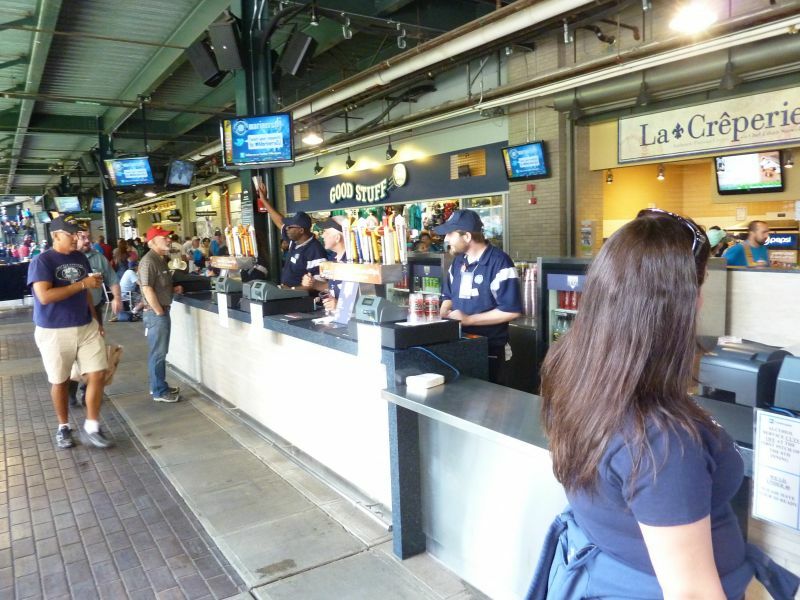 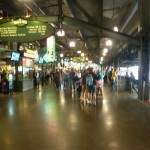 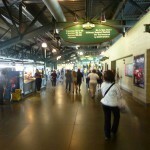 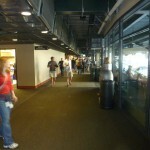 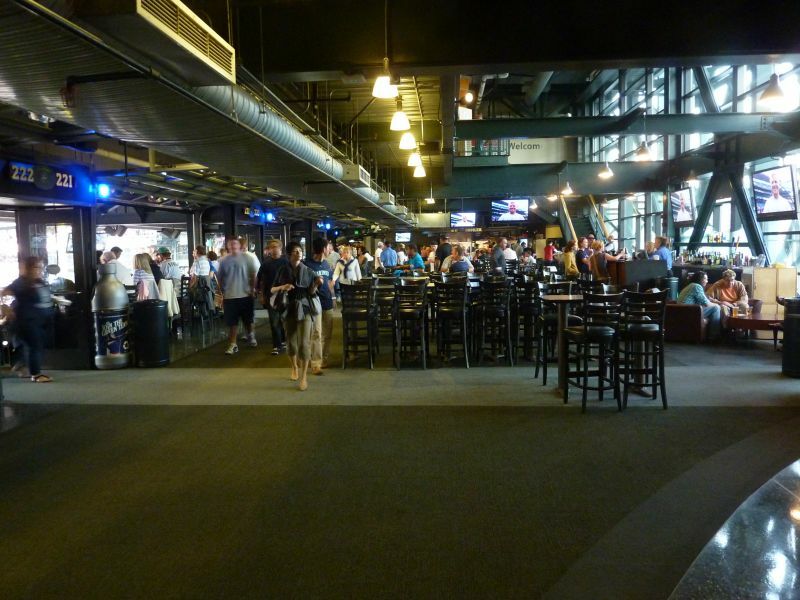 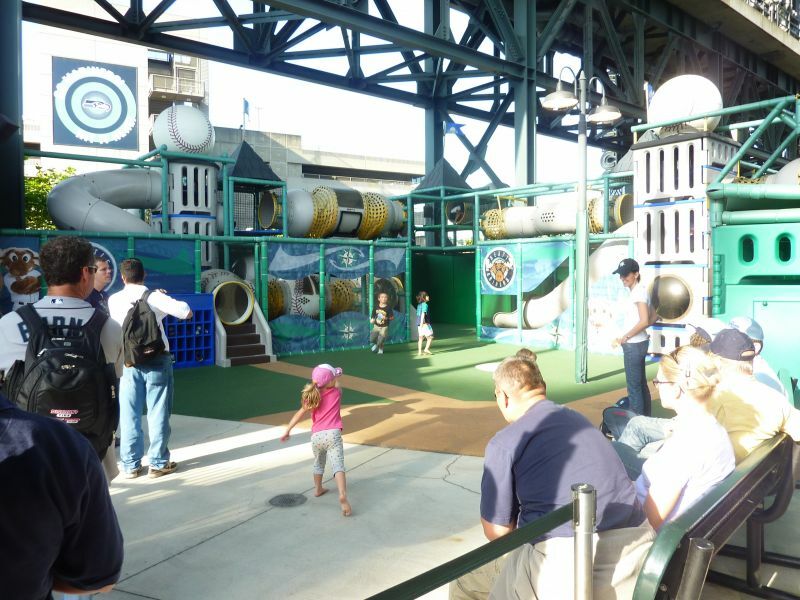 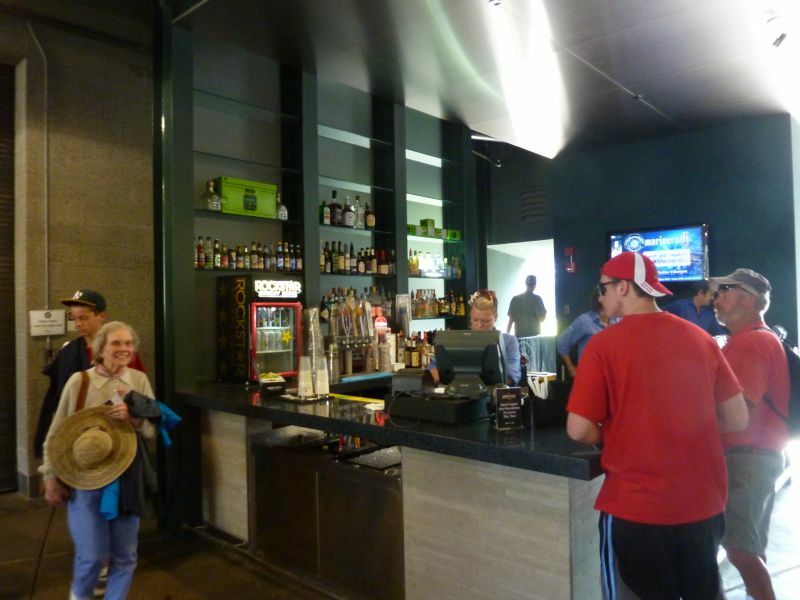 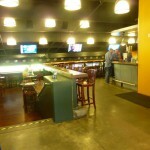 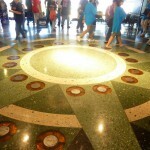 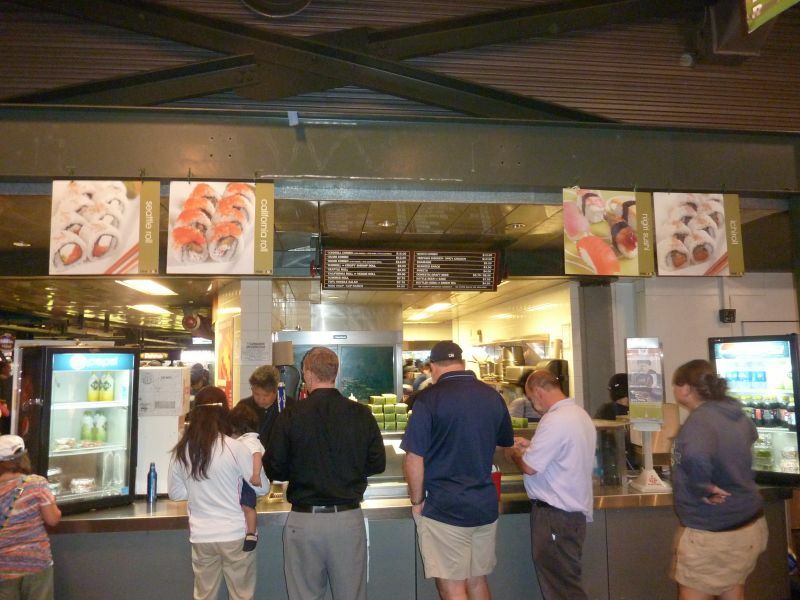 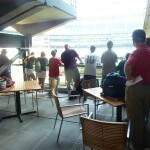 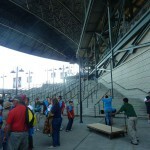 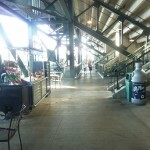 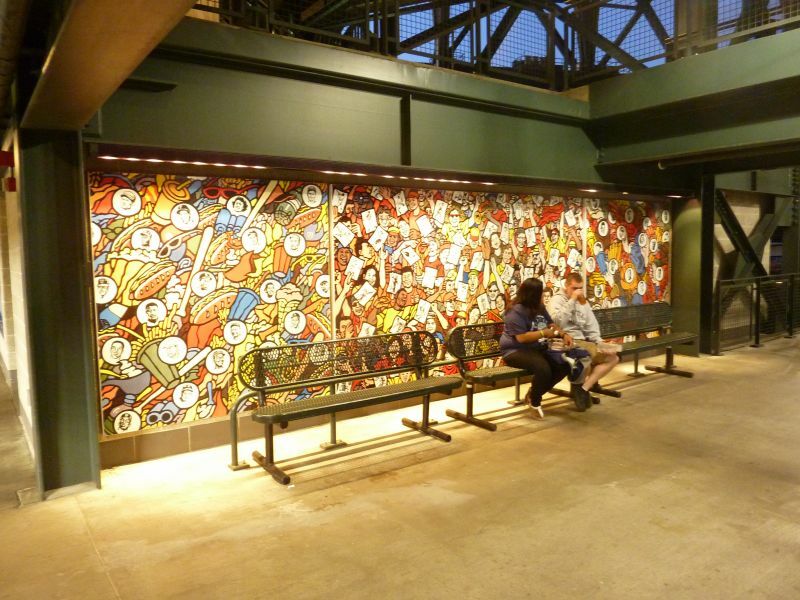 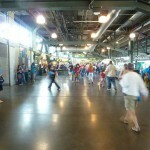 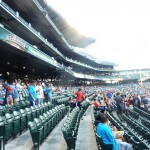 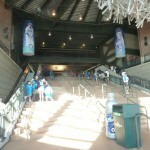 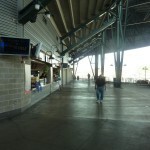 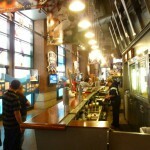 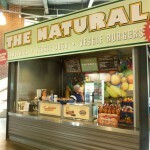 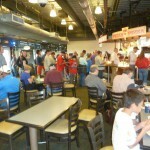 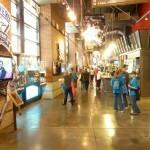 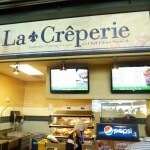 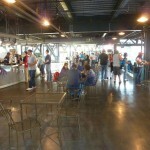 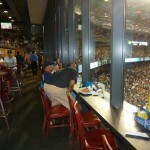 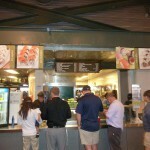 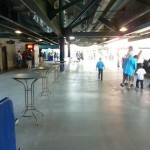 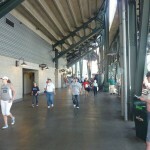 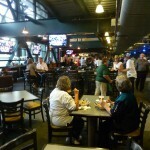 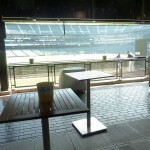 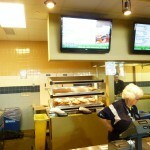 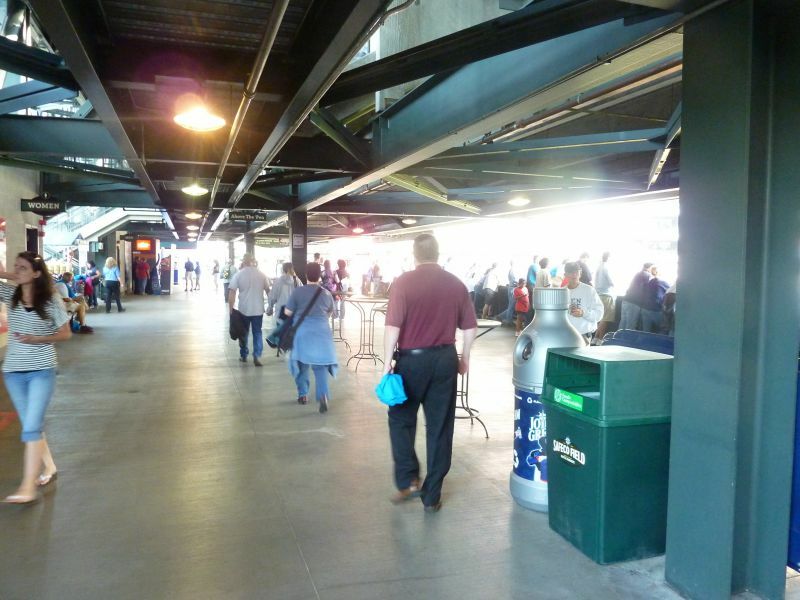 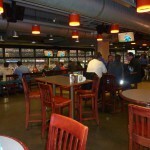 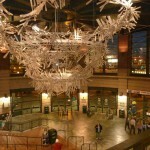 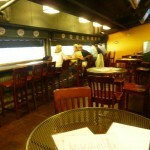 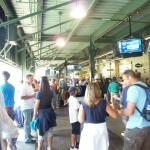 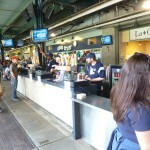 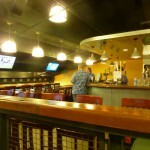 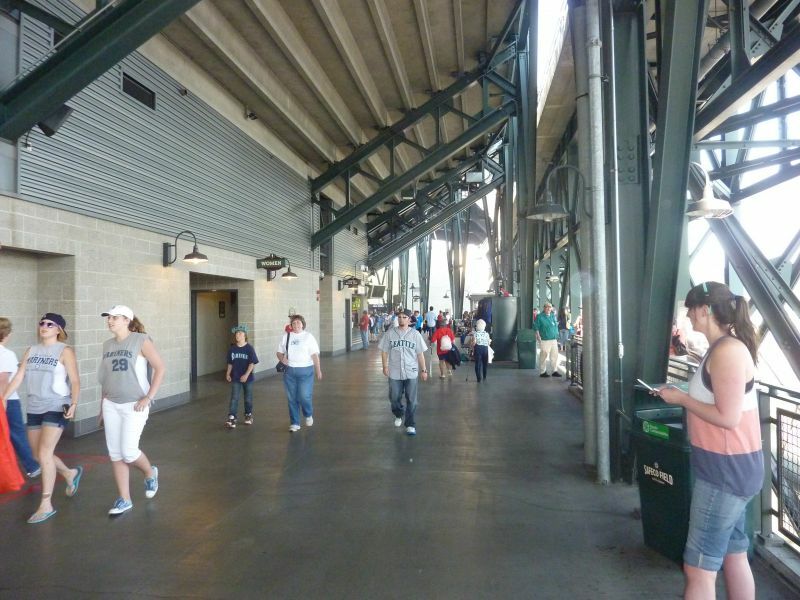 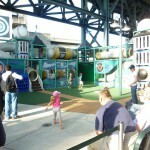 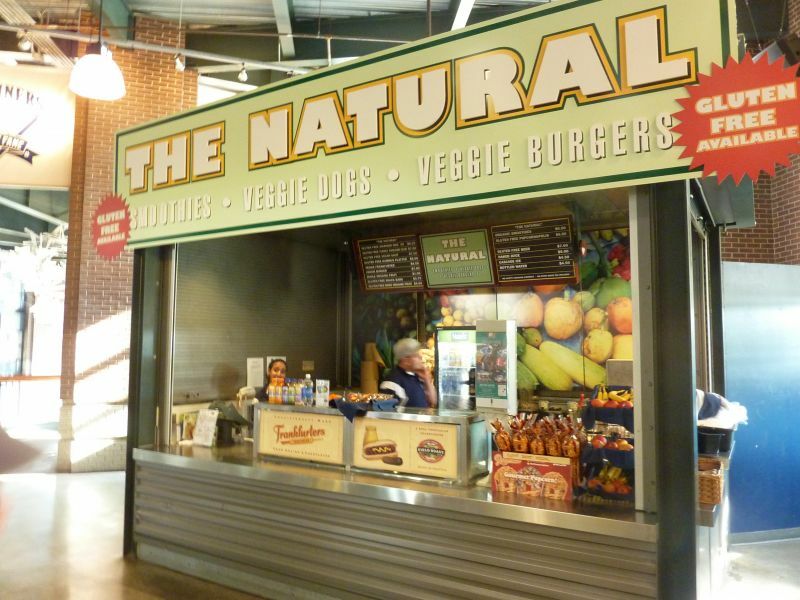 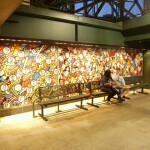 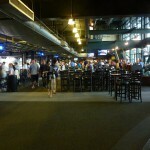 Minute Maid Park’s interior architecture and urban design is far superior, annoying gimmicks aside. 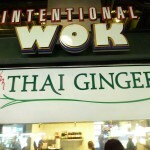 I’ll explain later. 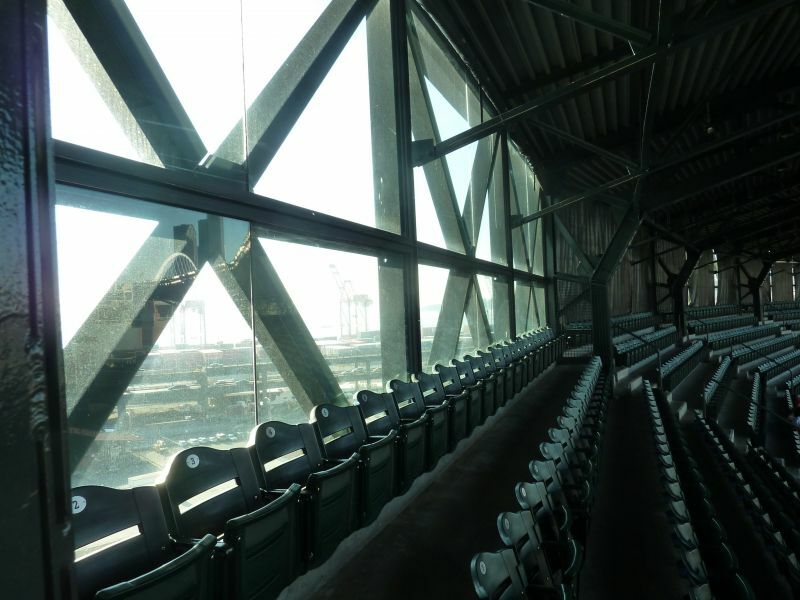 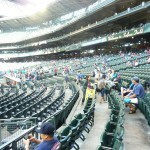 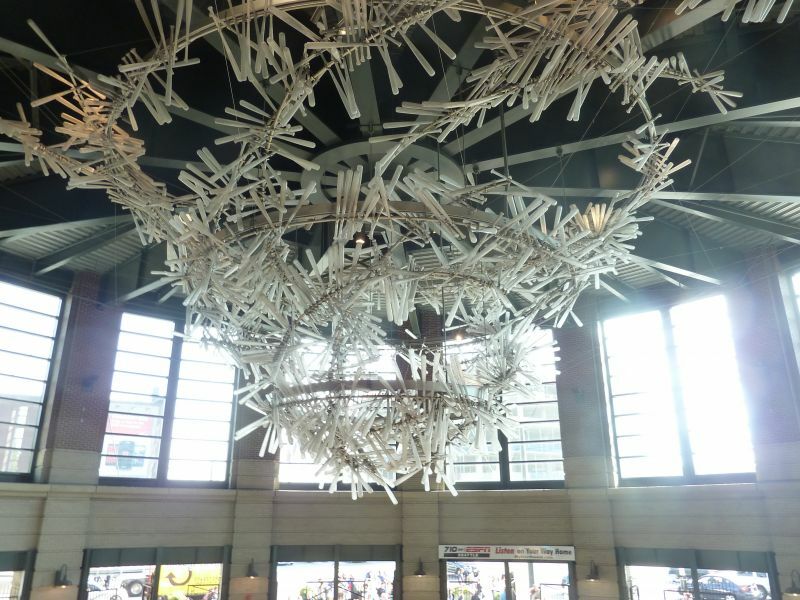 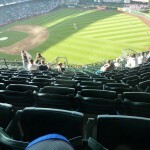 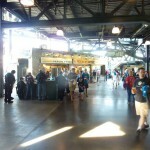 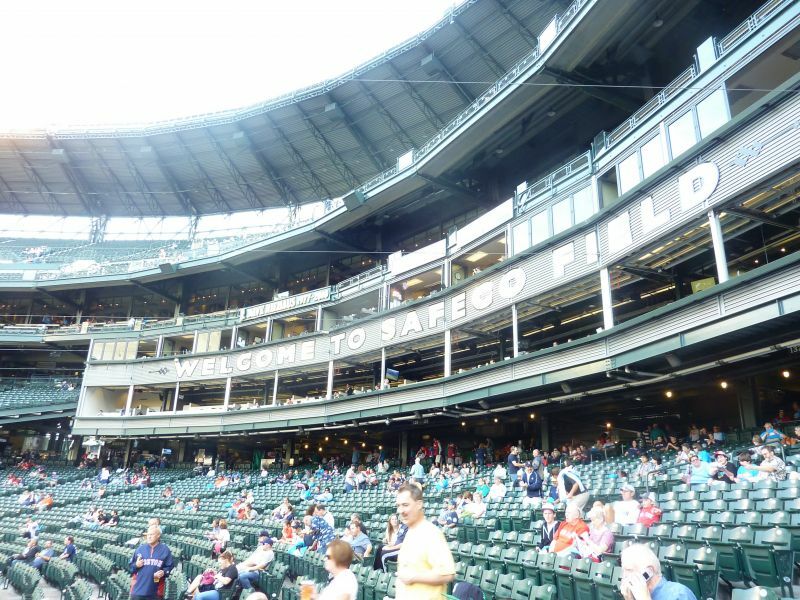 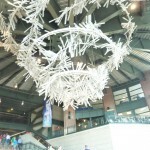 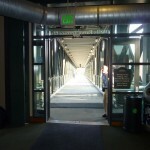 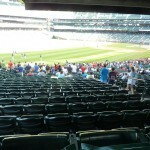 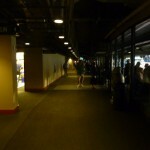 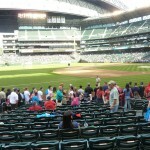 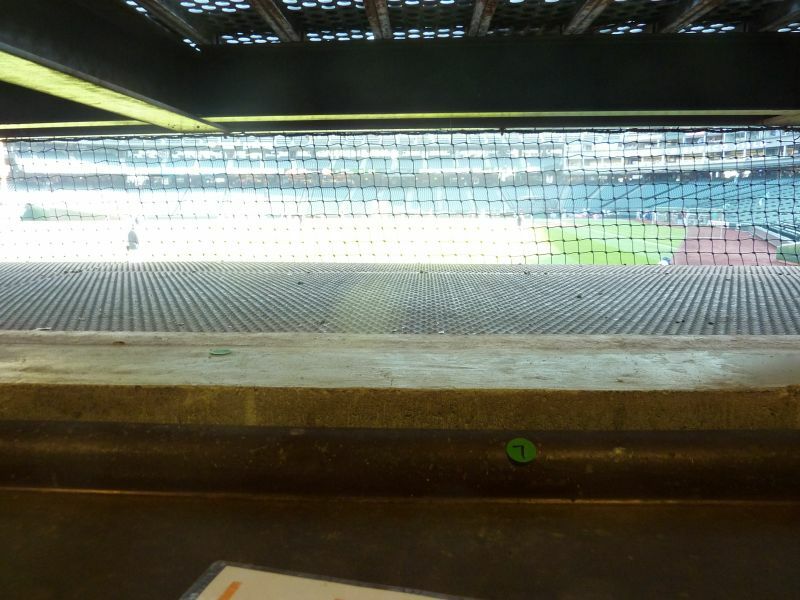 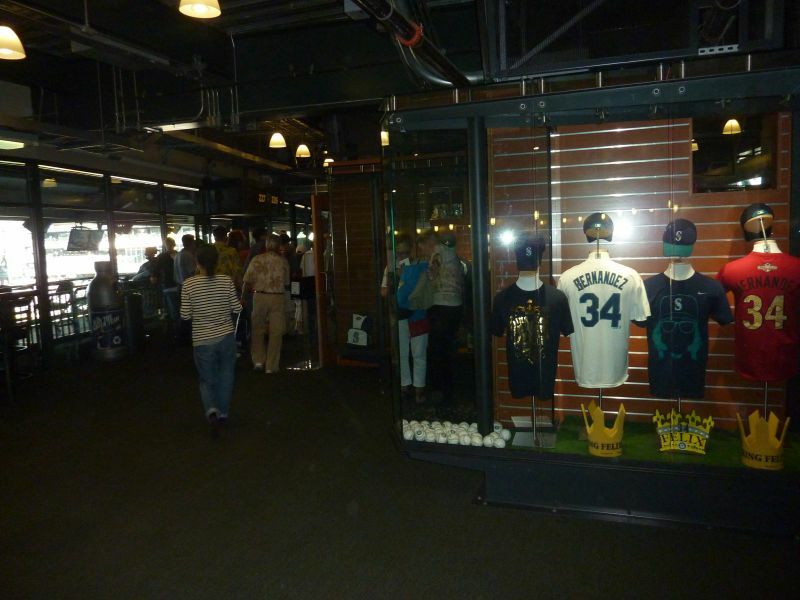 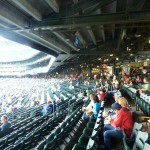 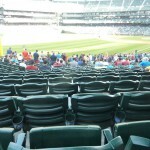 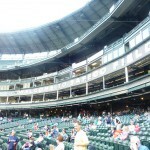 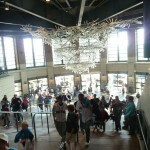 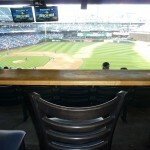 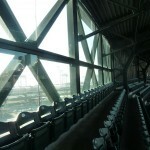 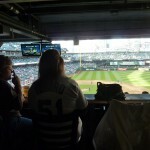 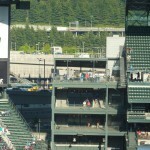 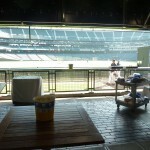 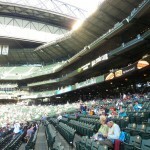 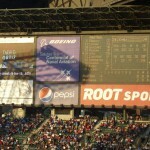 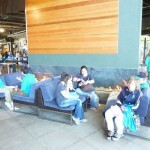 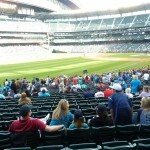 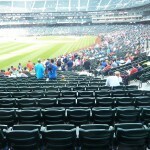 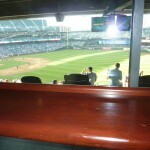 Safeco Field lacks aesthetic vision on the inside. 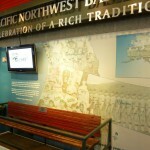 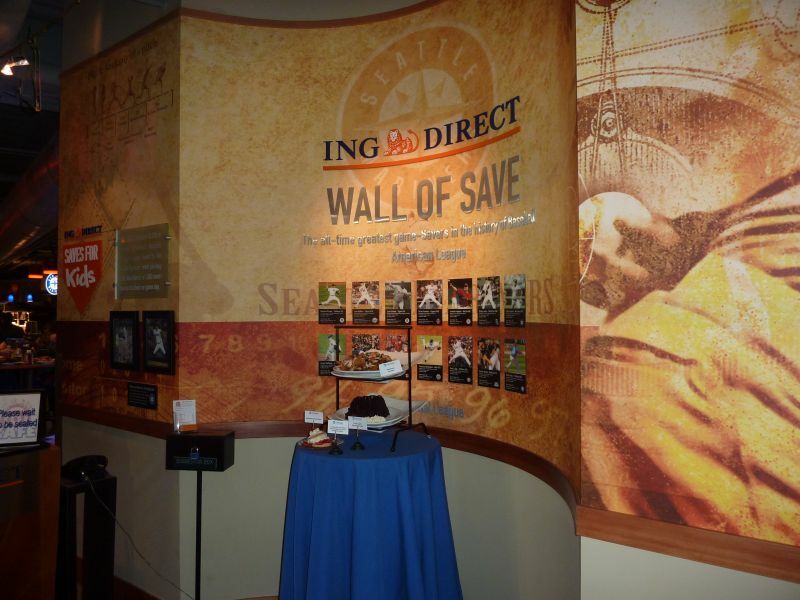 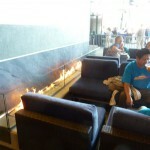 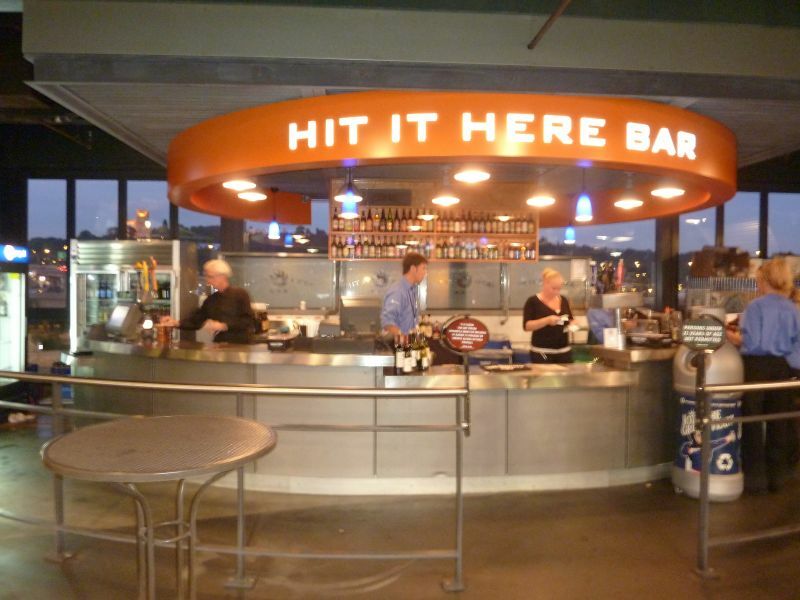 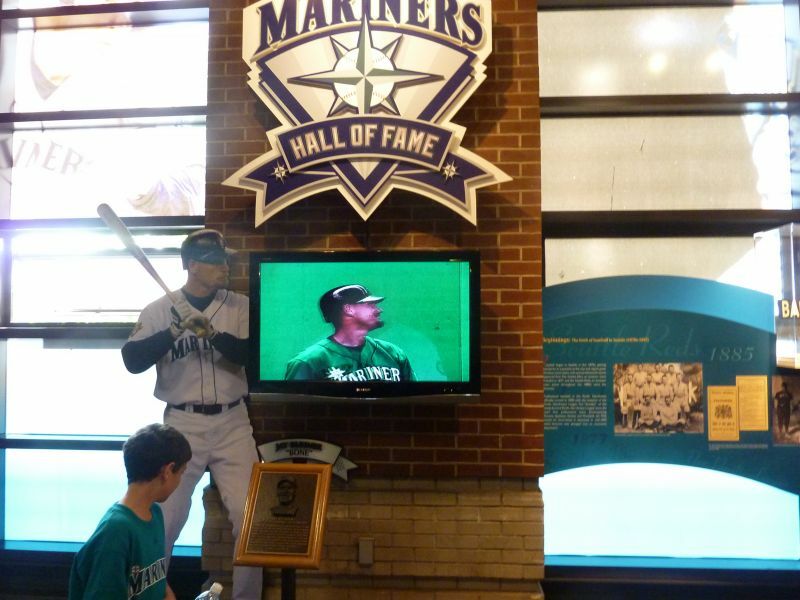 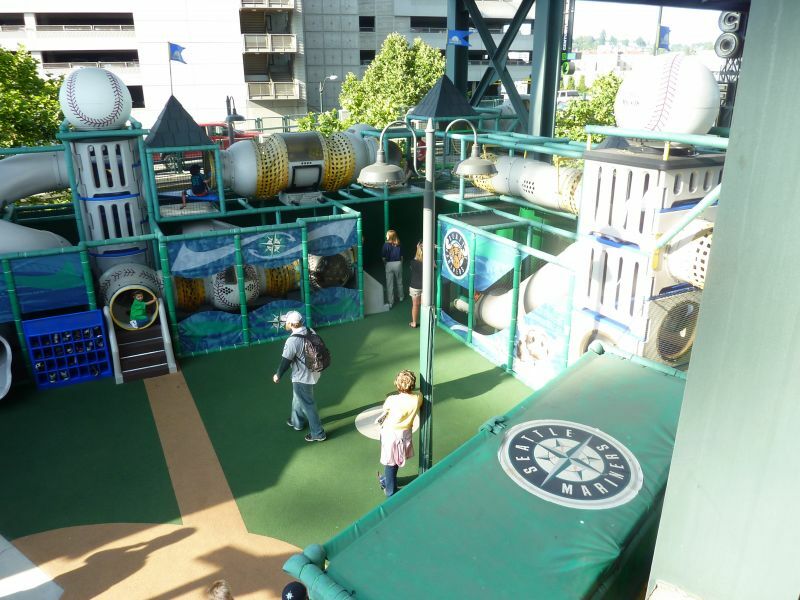 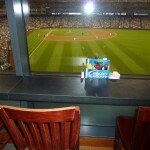 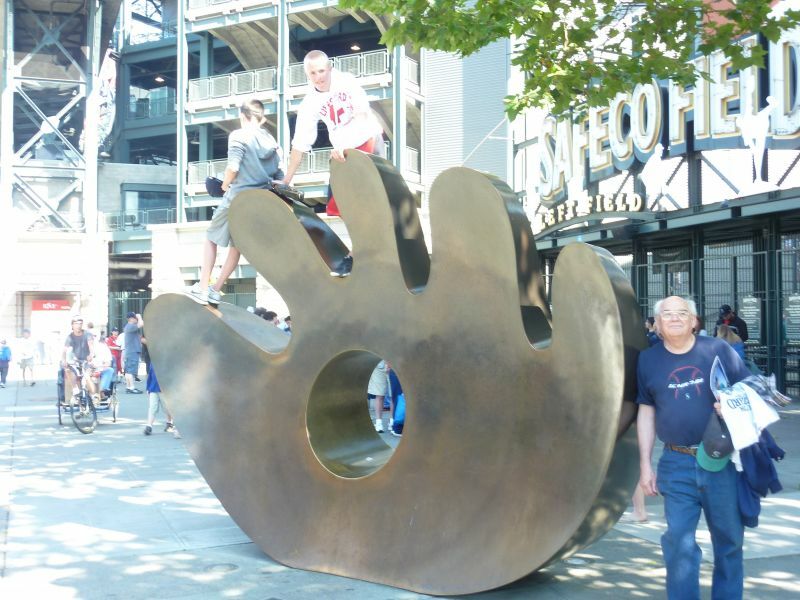 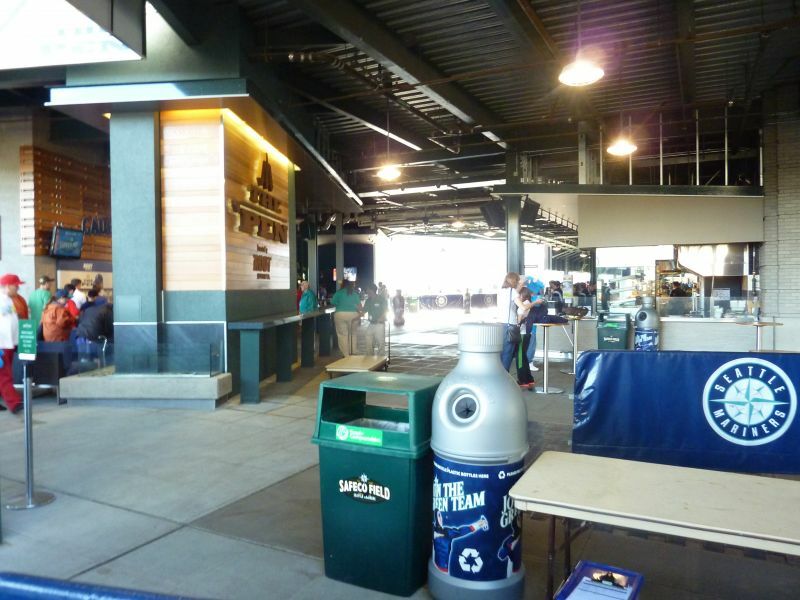 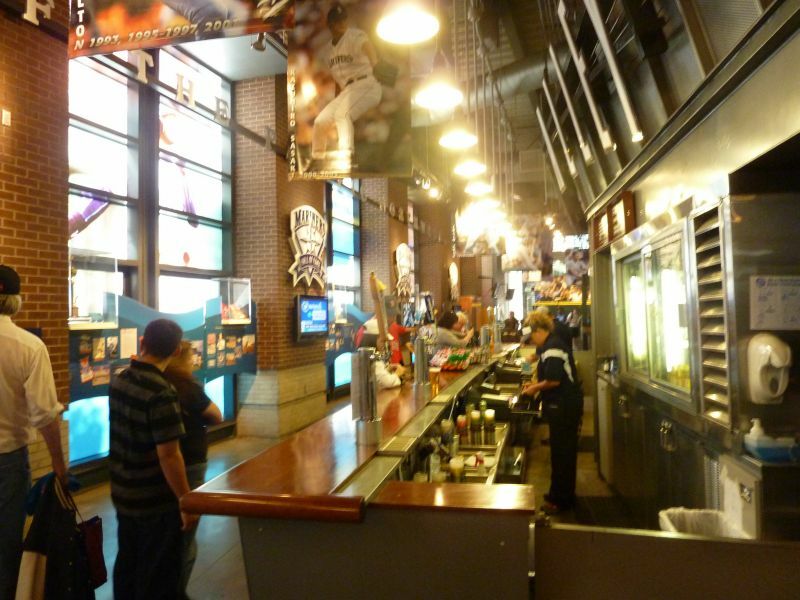 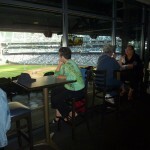 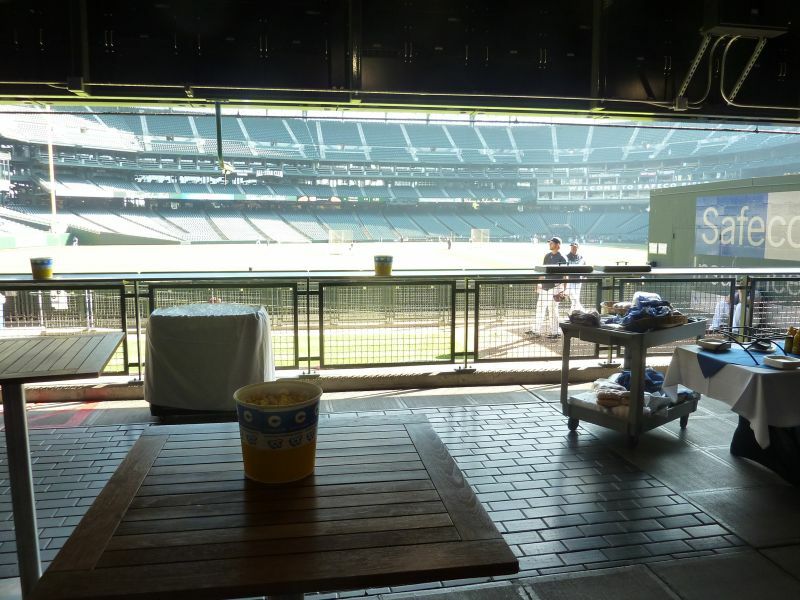 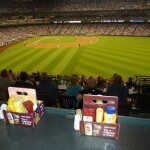 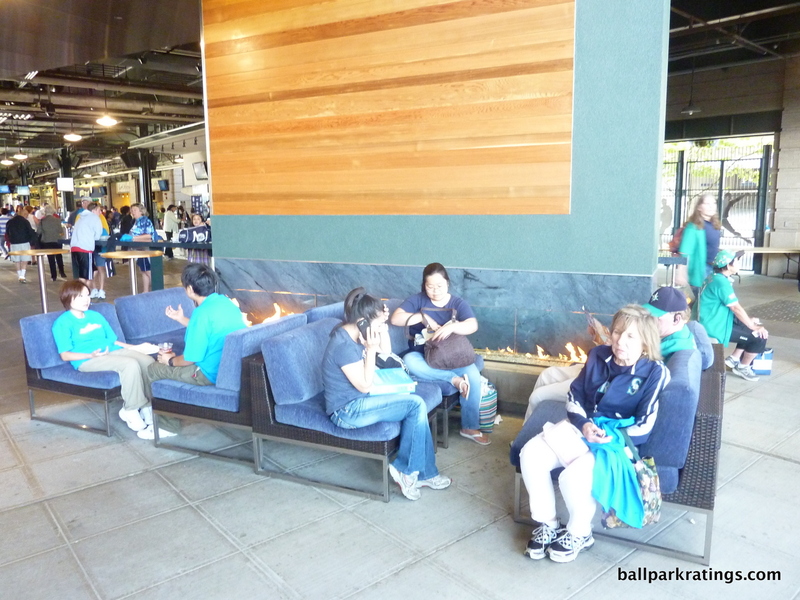 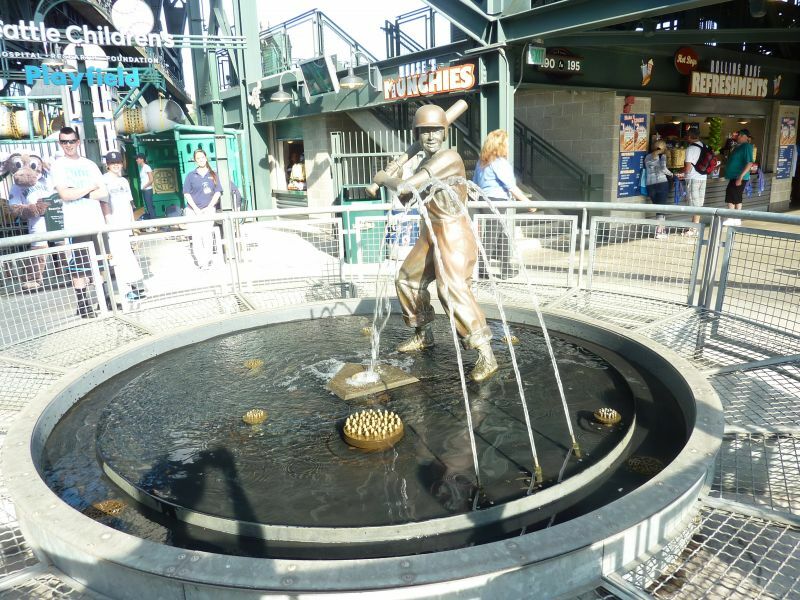 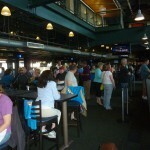 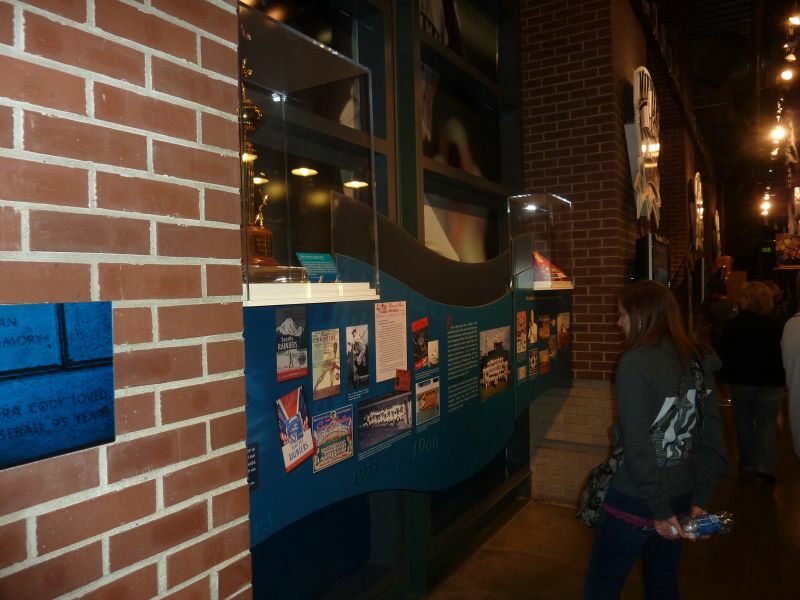 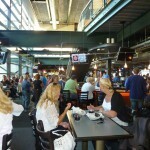 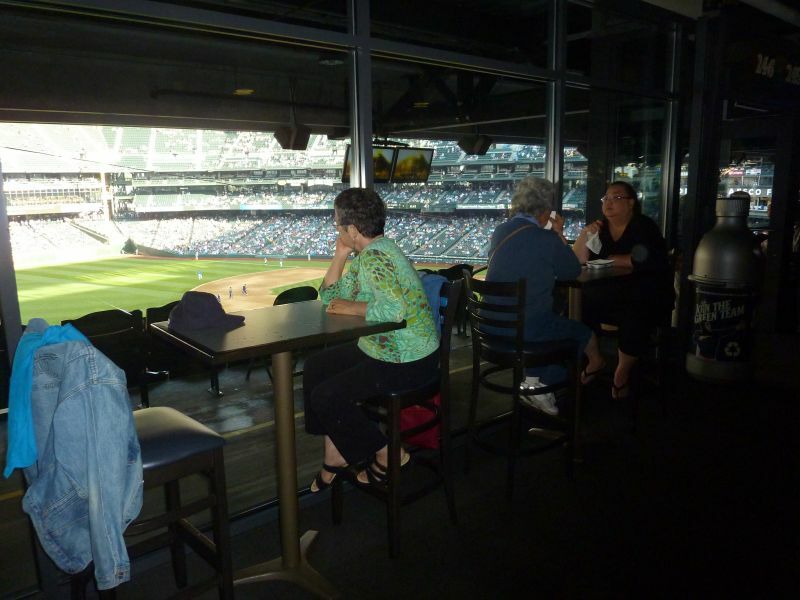 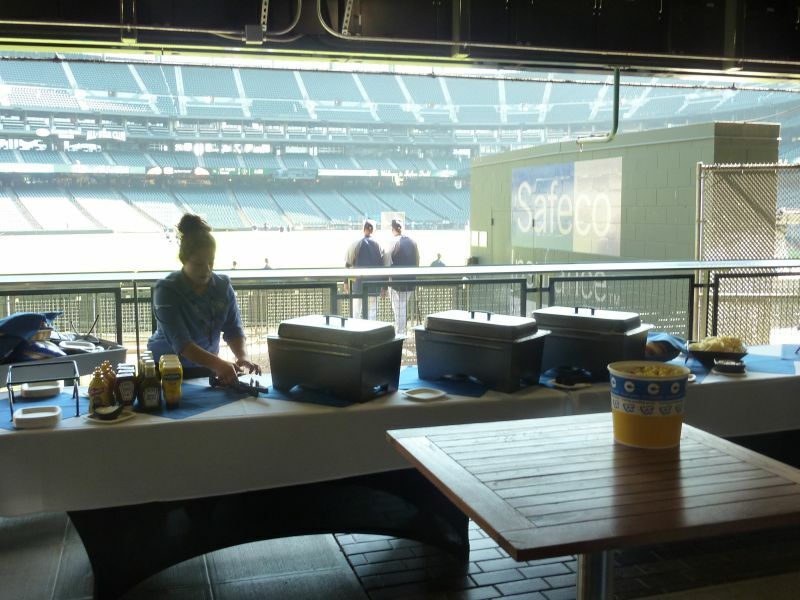 What’s funny is that in terms of amenities, Safeco might be the best in baseball. 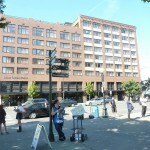 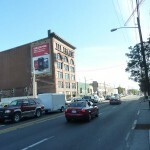 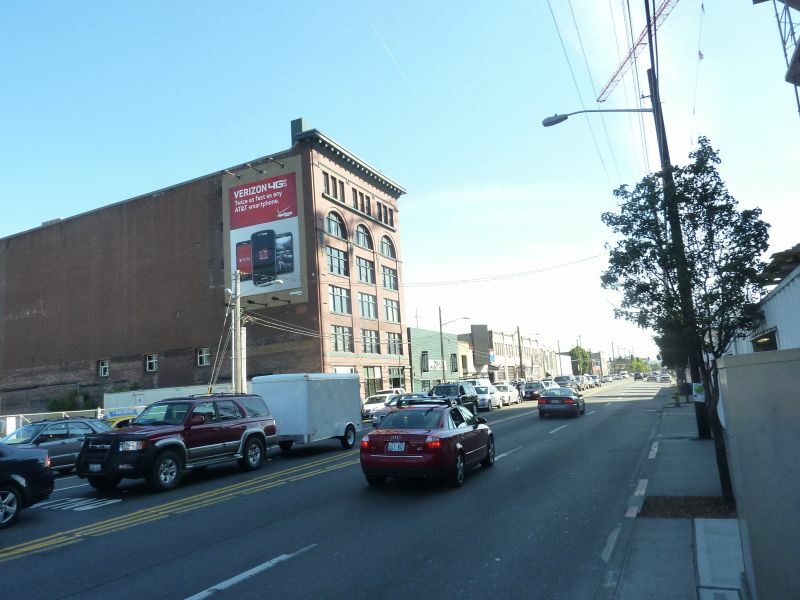 I guess its just overshadowed by the undeserved architectural acclamations. 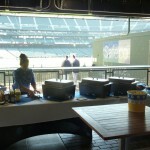 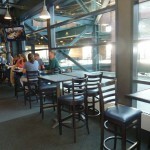 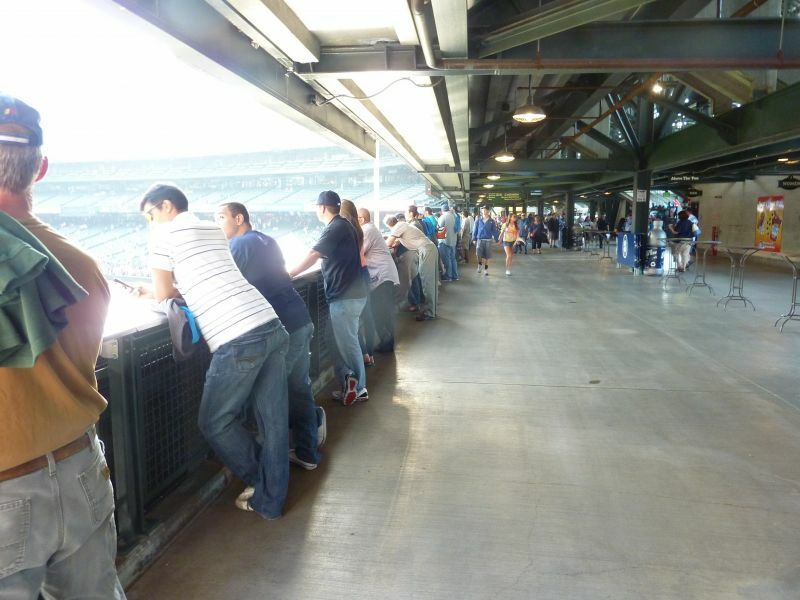 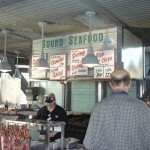 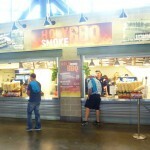 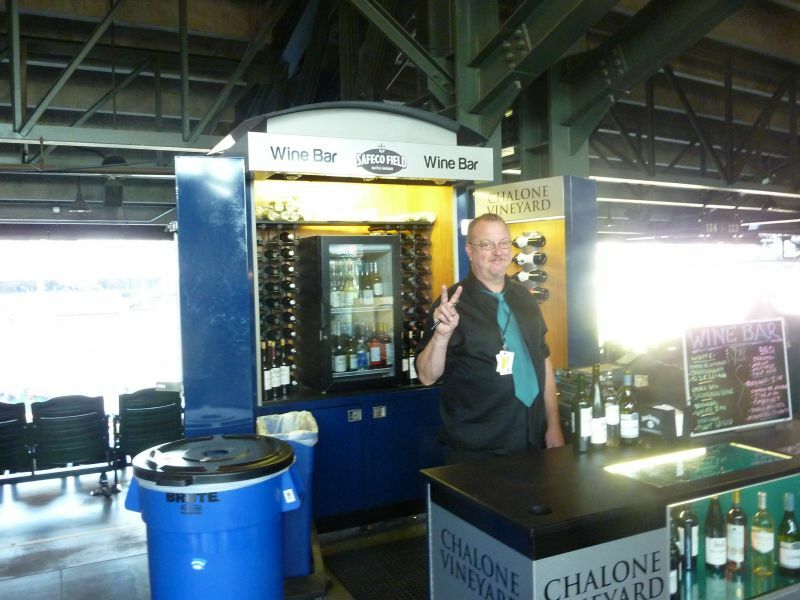 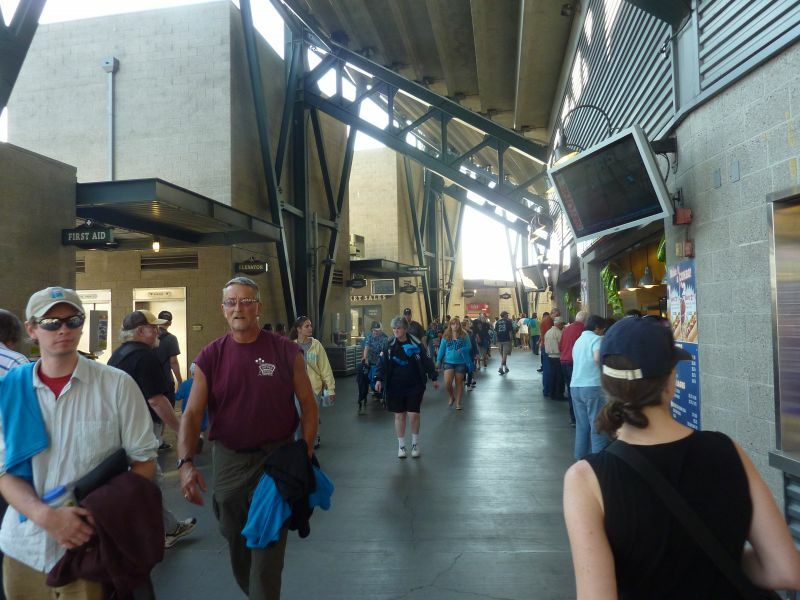 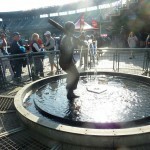 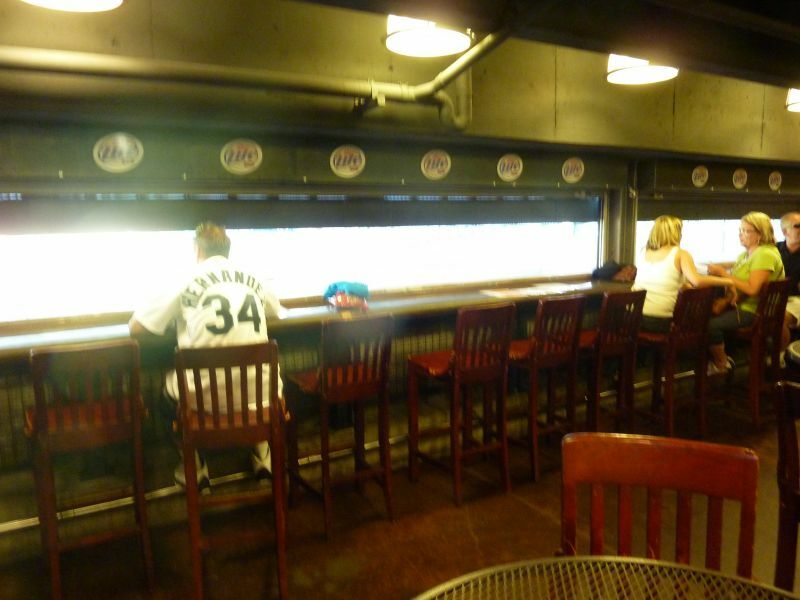 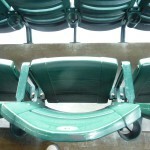 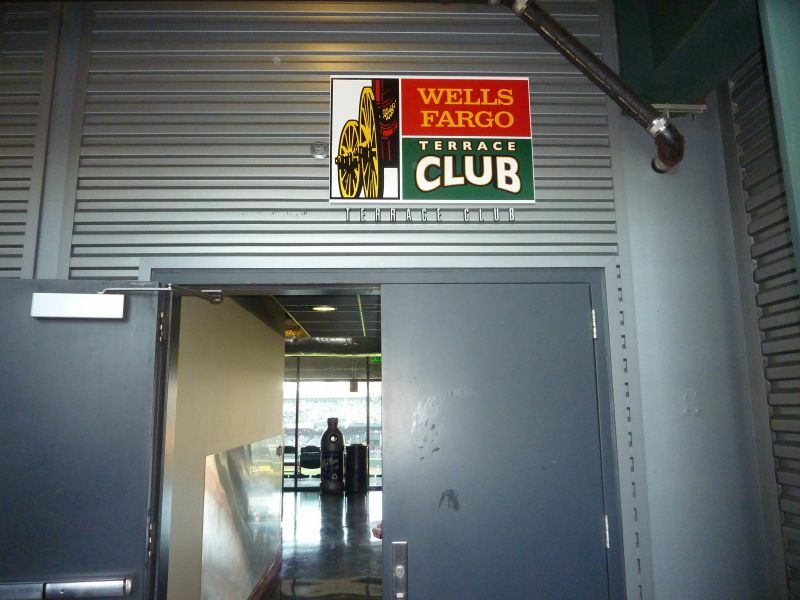 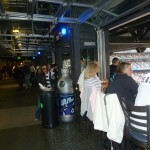 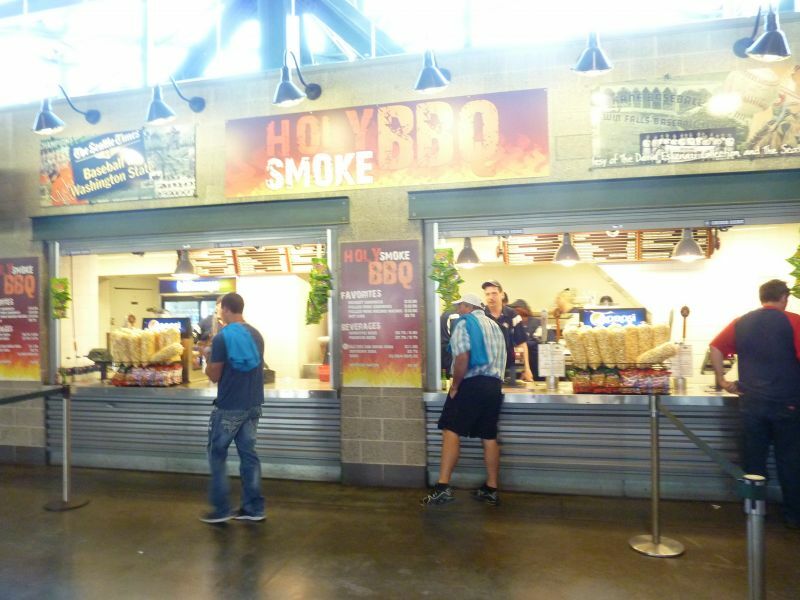 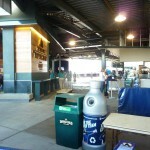 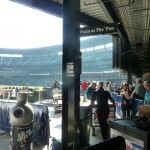 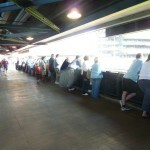 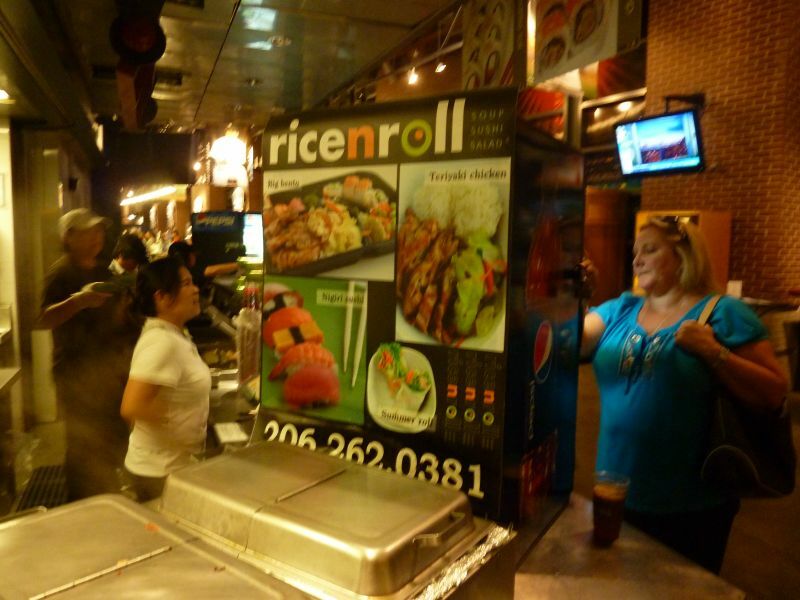 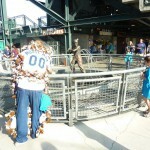 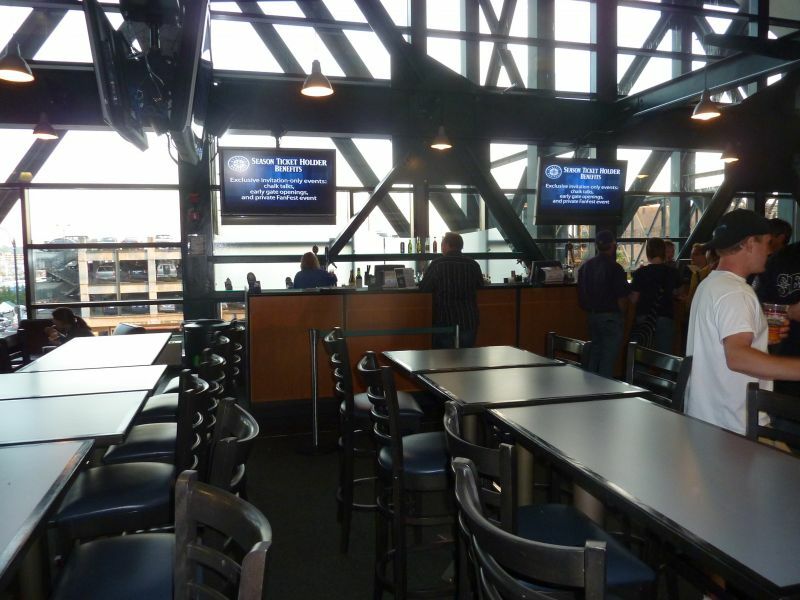 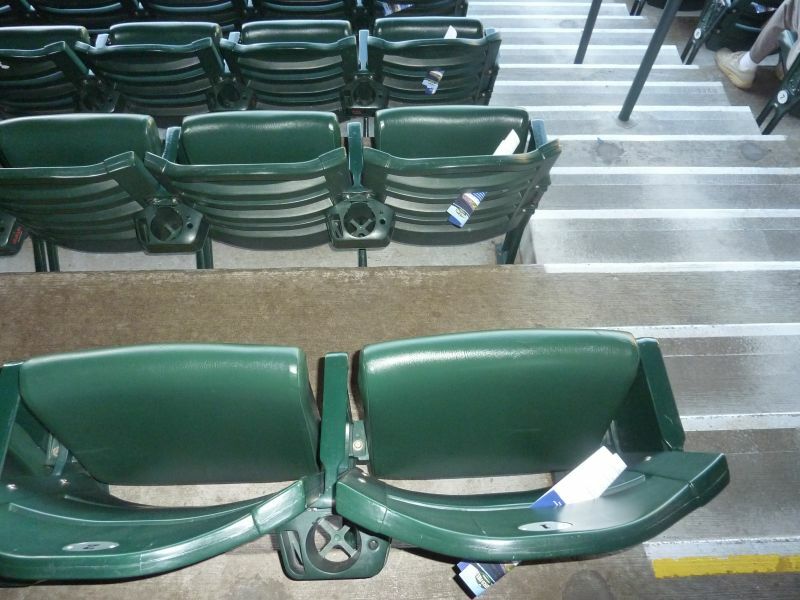 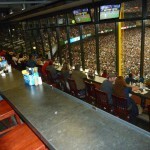 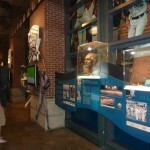 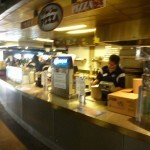 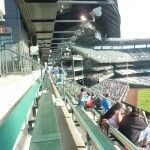 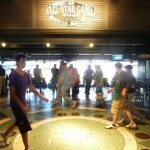 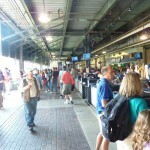 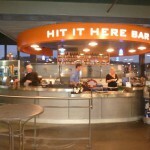 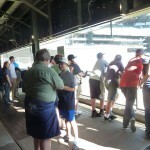 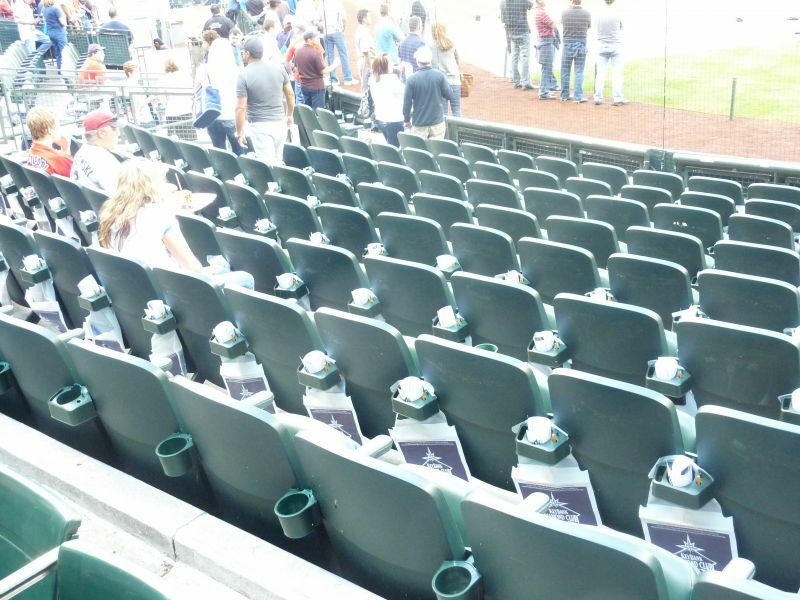 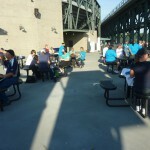 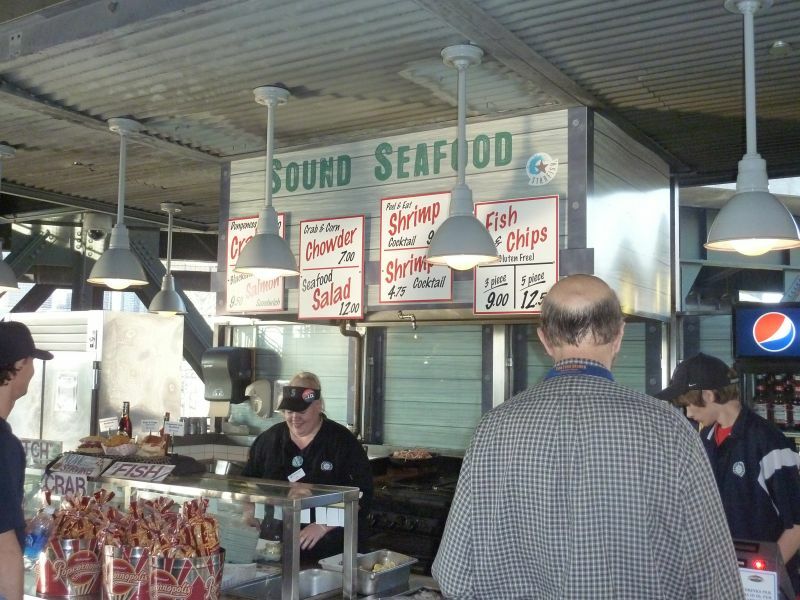 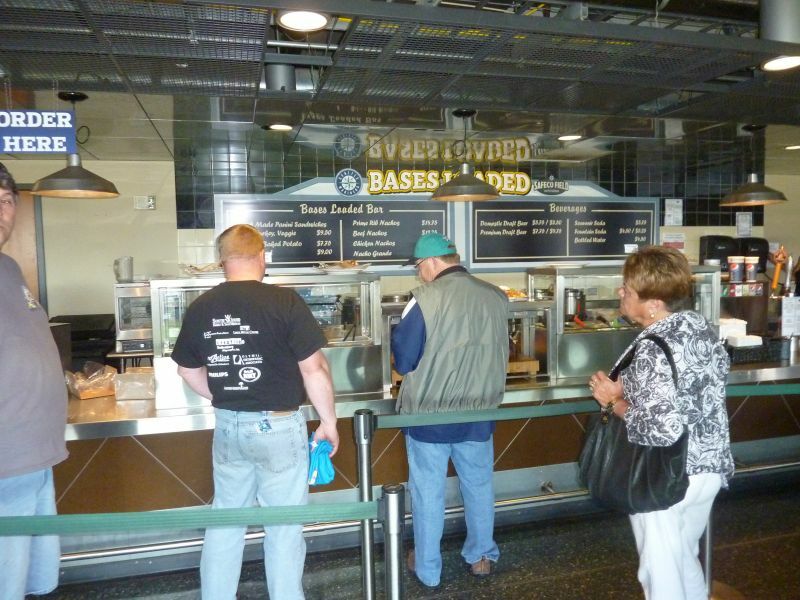 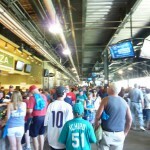 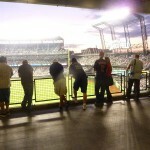 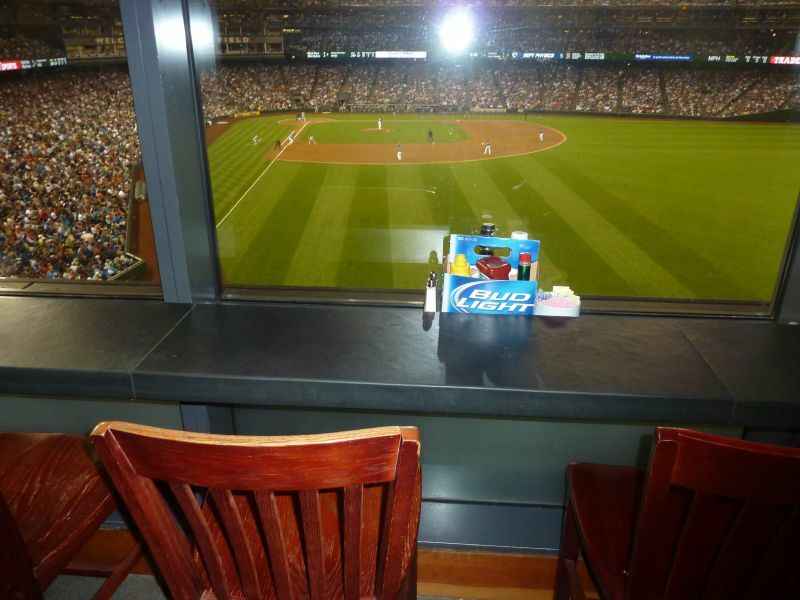 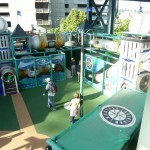 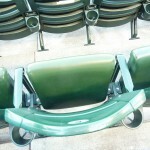 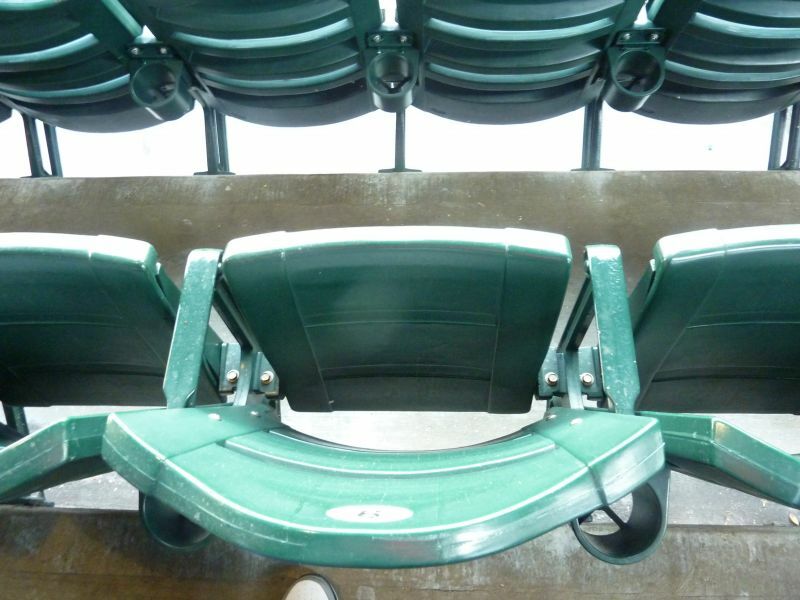 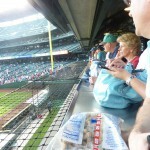 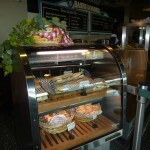 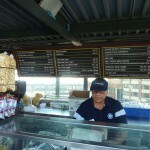 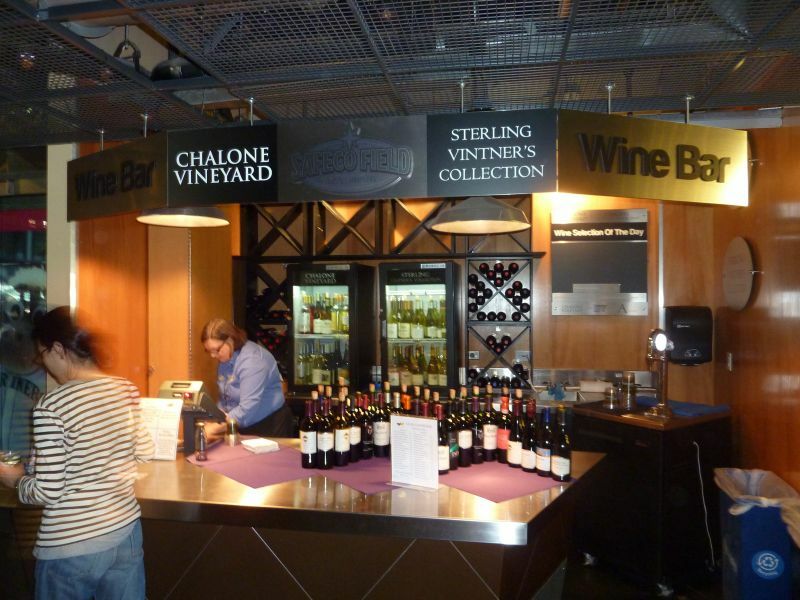 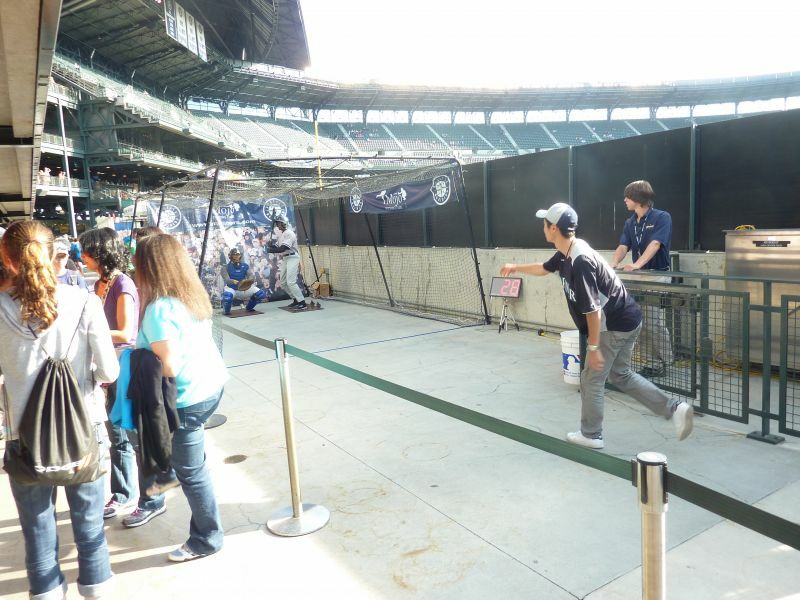 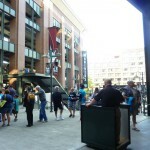 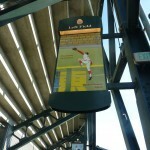 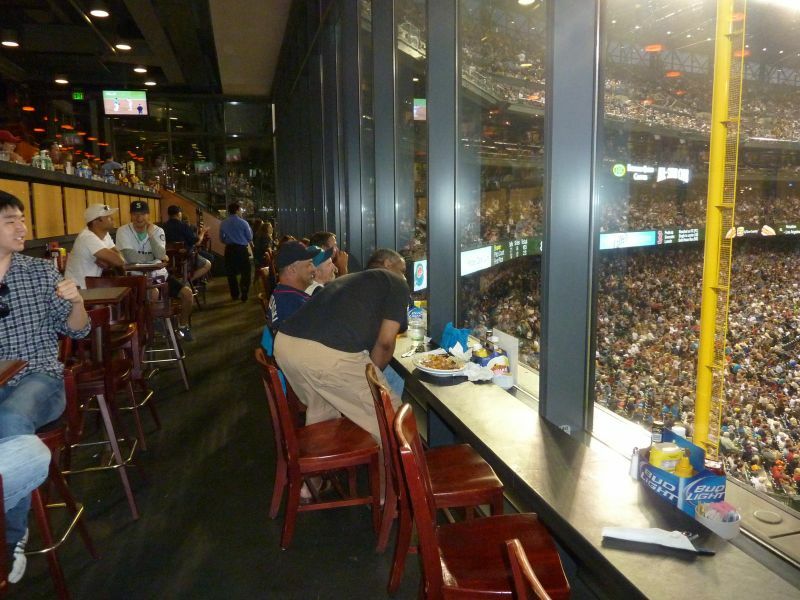 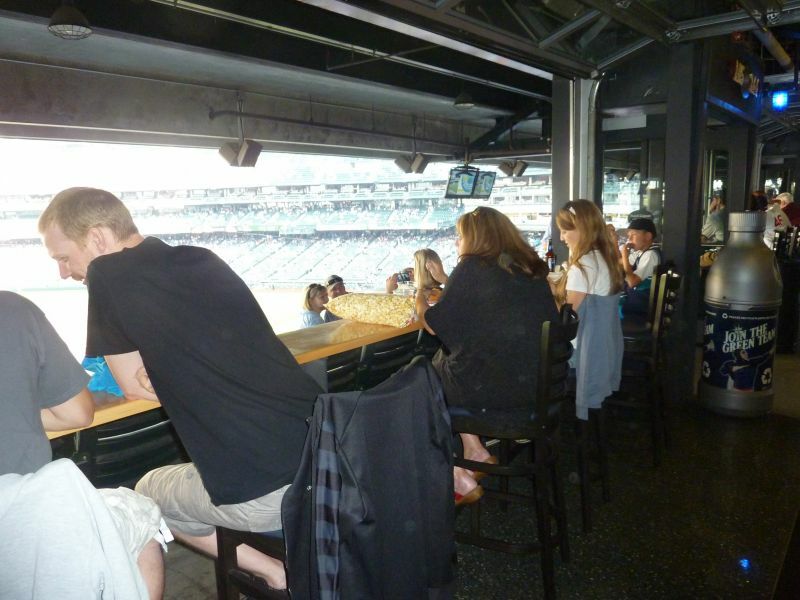 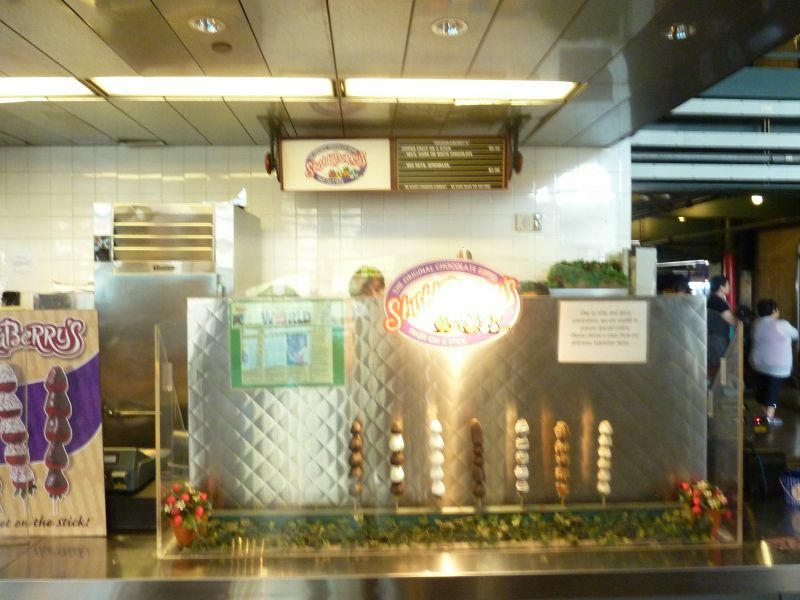 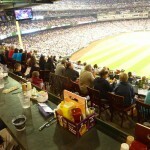 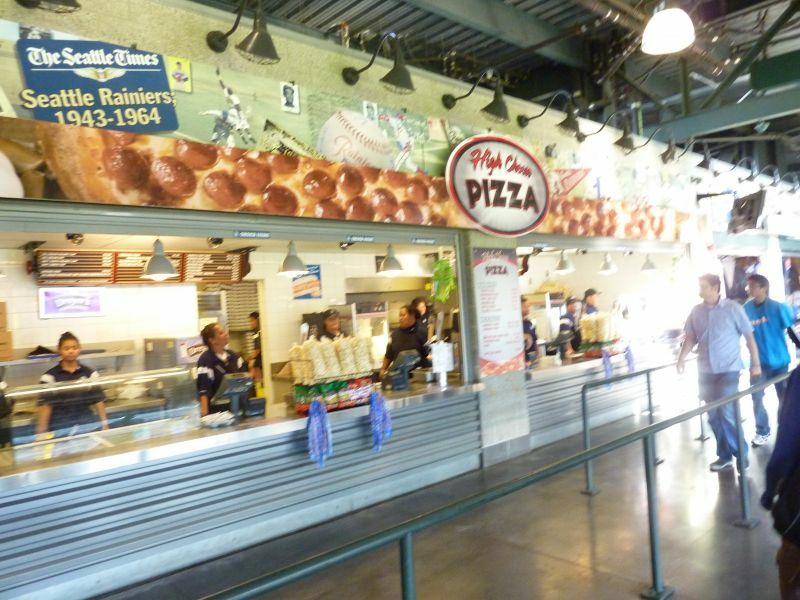 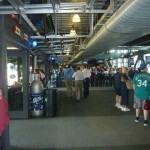 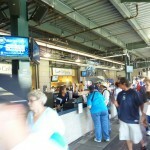 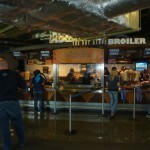 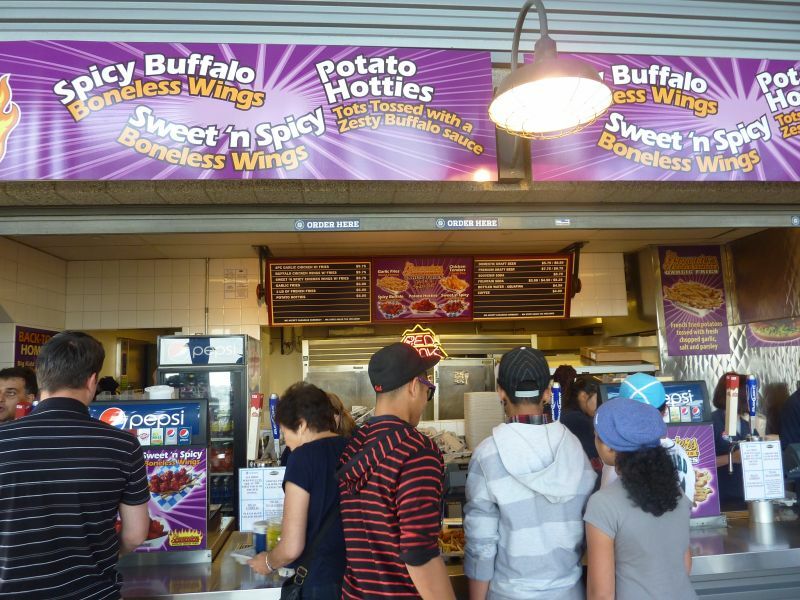 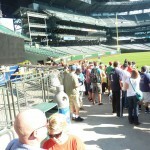 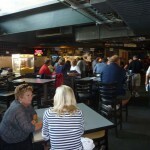 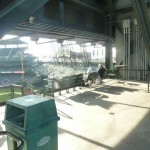 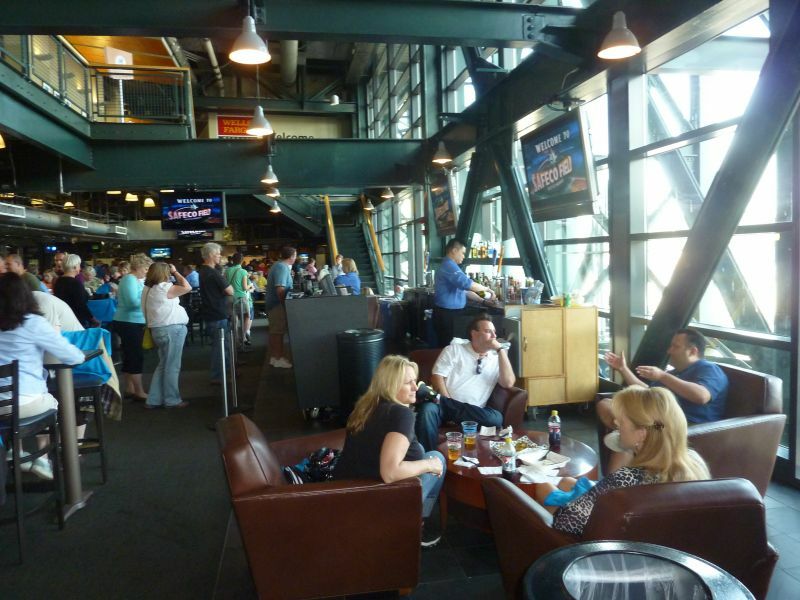 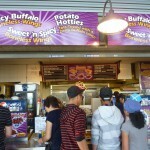 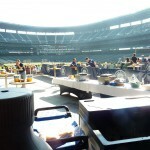 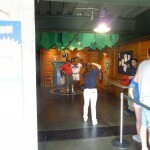 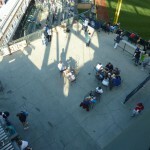 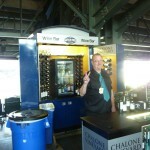 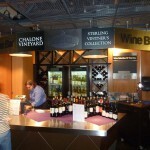 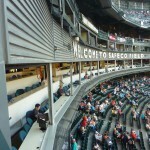 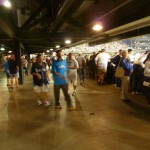 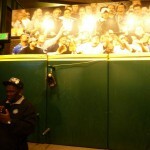 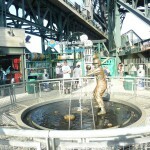 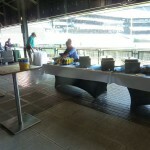 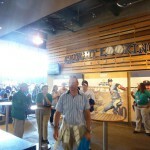 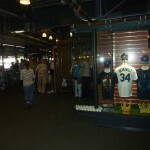 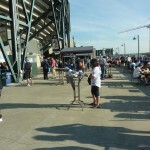 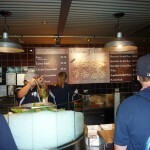 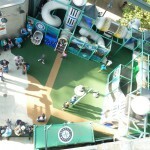 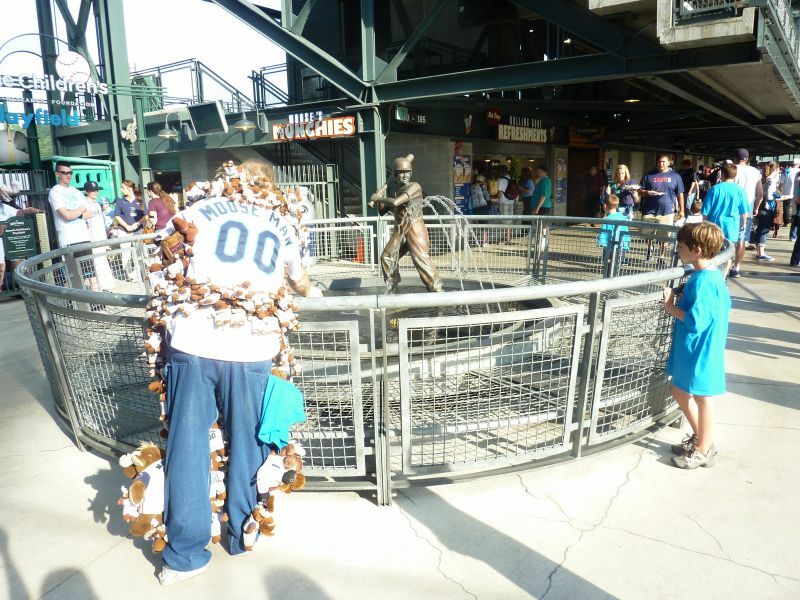 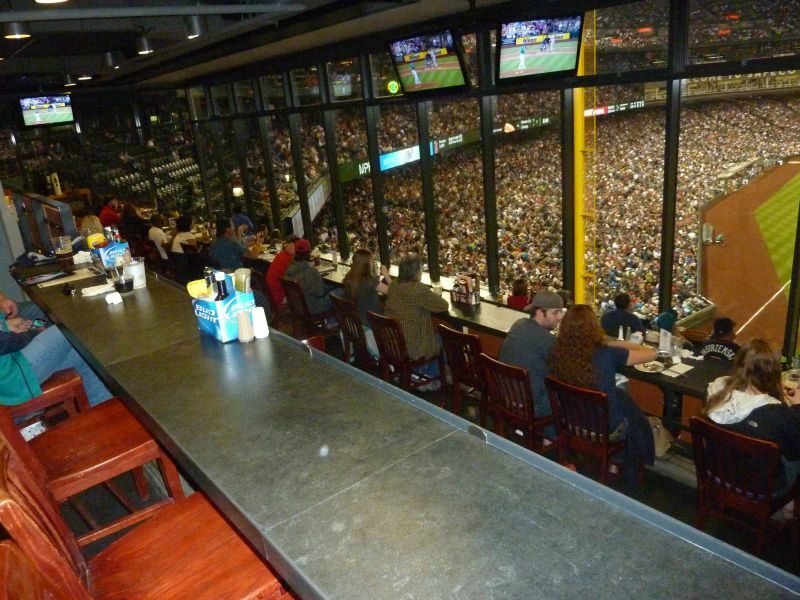 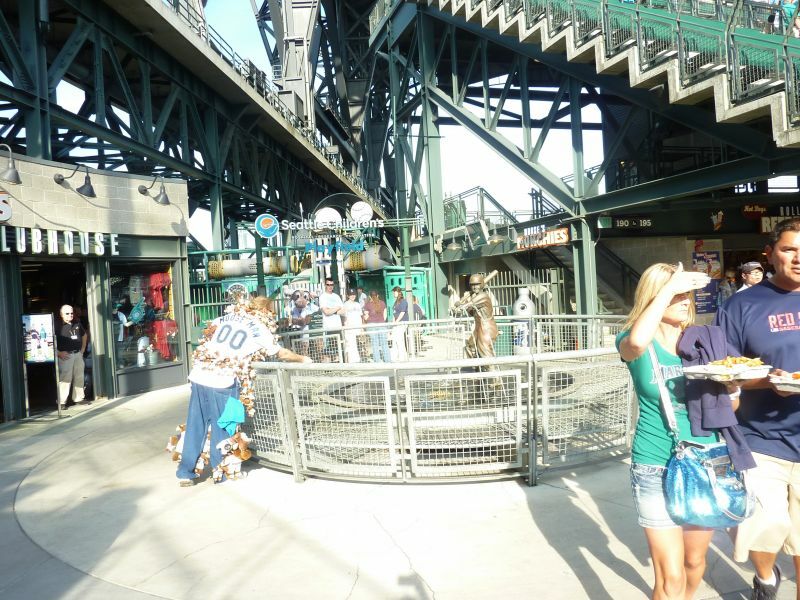 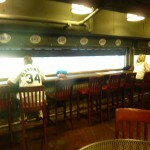 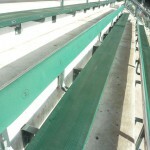 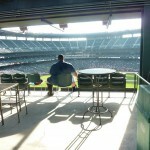 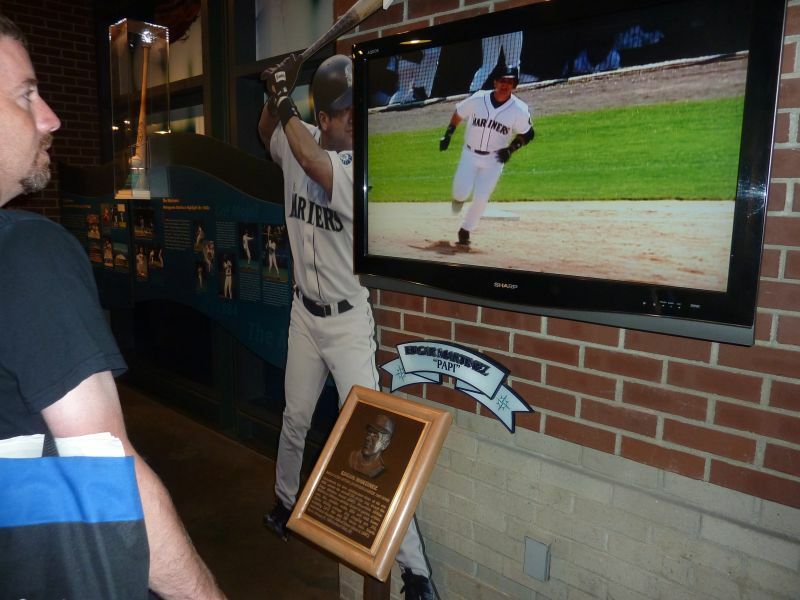 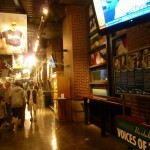 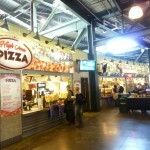 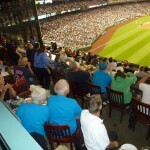 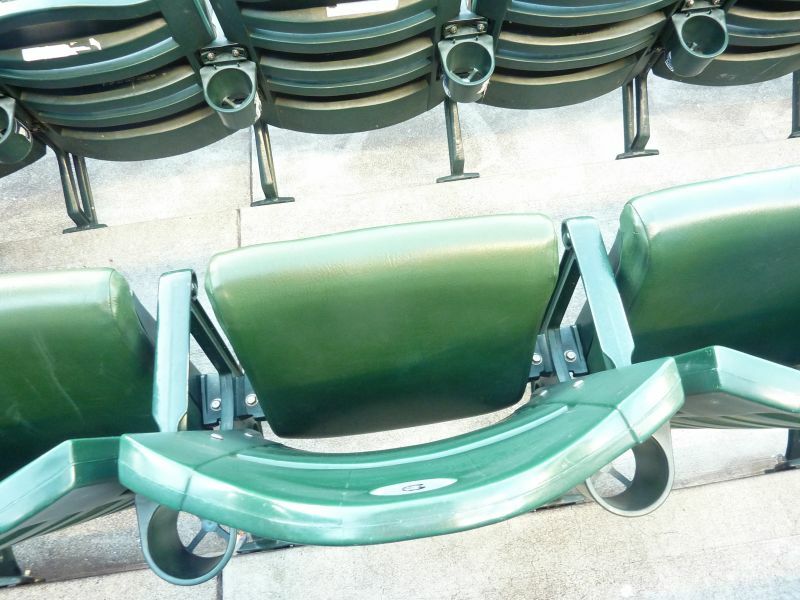 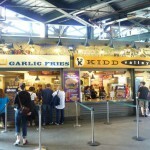 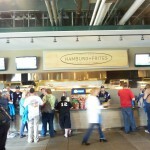 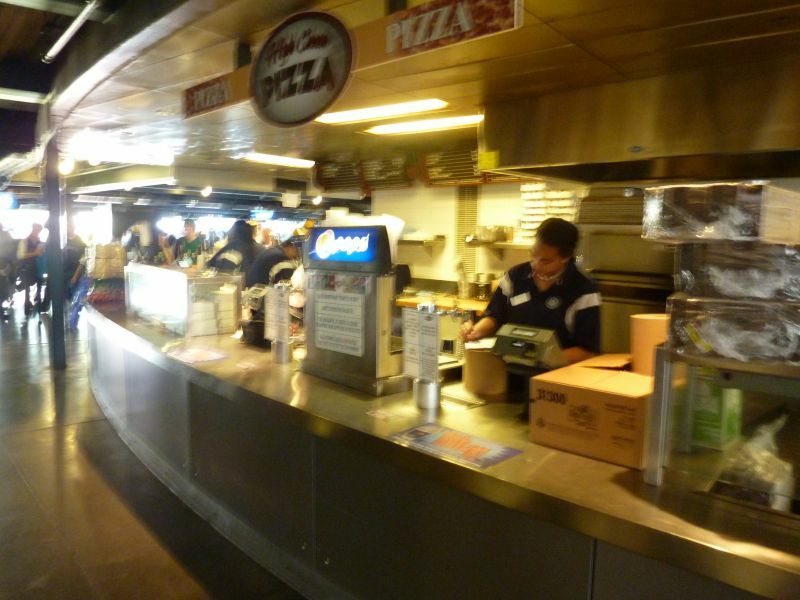 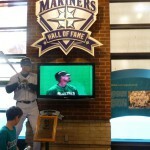 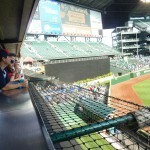 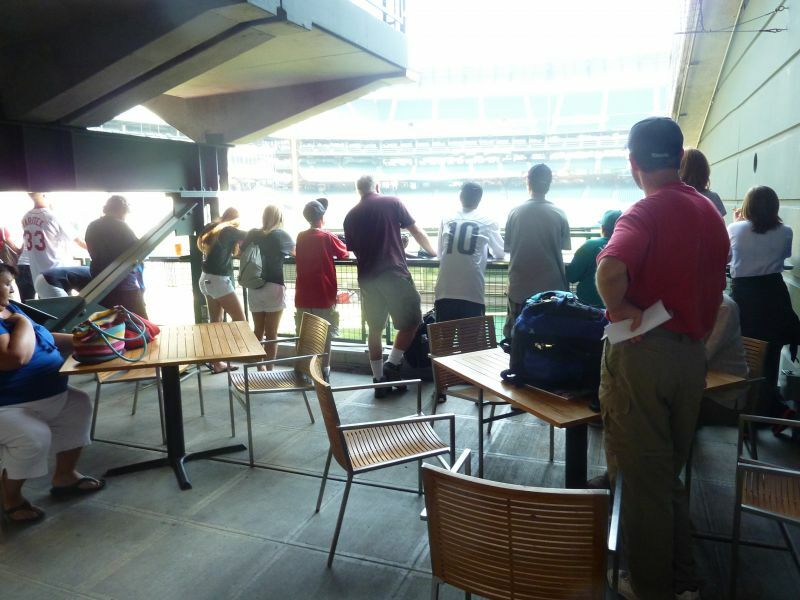 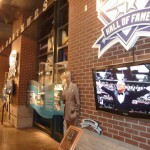 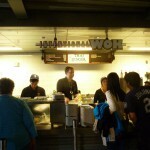 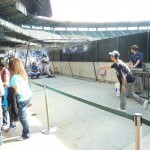 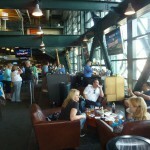 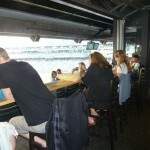 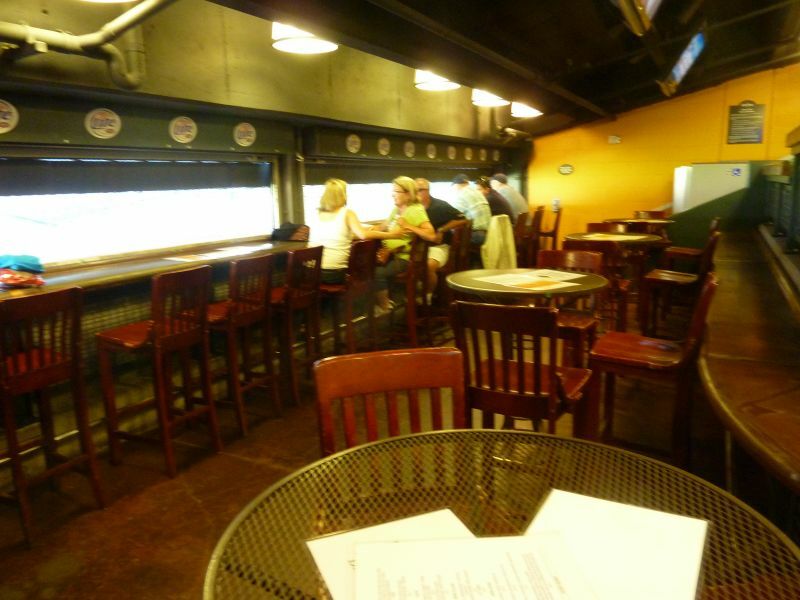 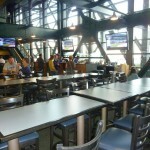 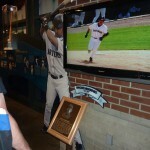 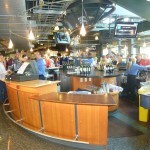 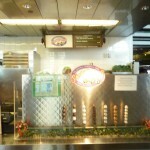 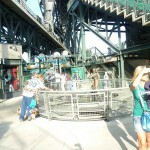 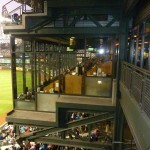 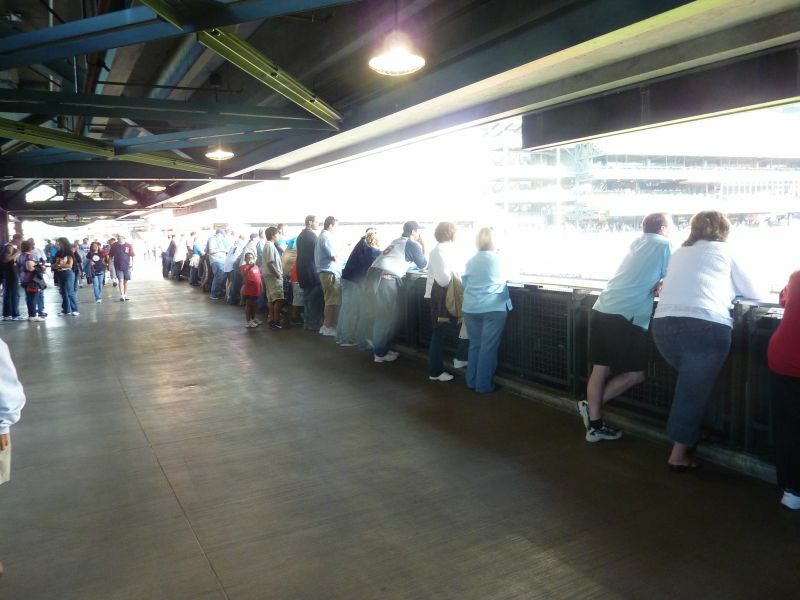 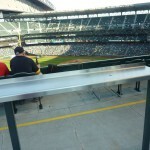 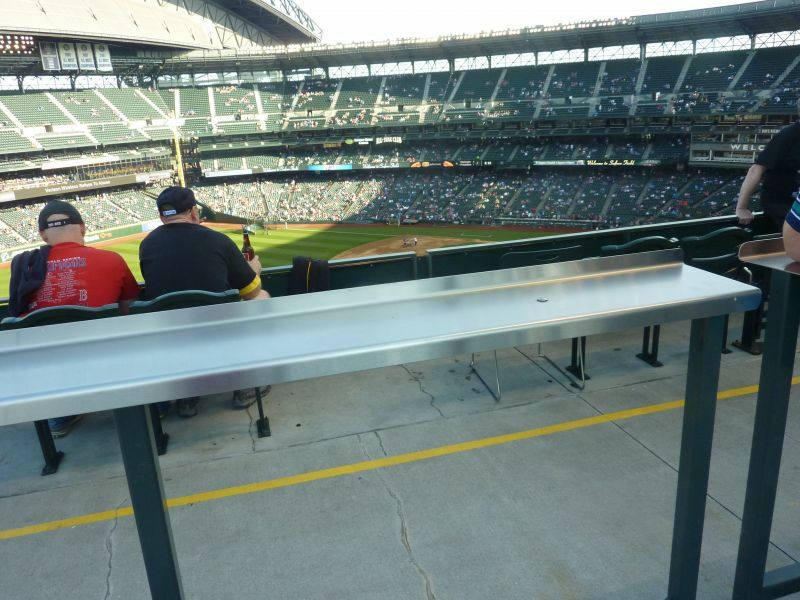 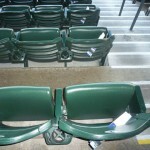 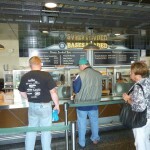 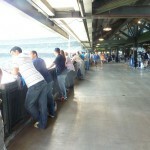 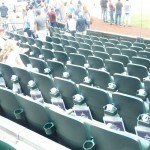 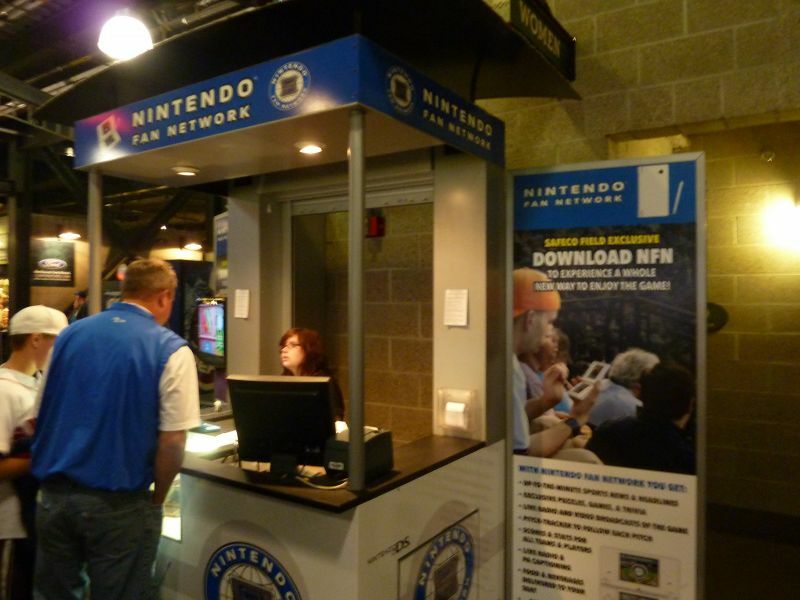 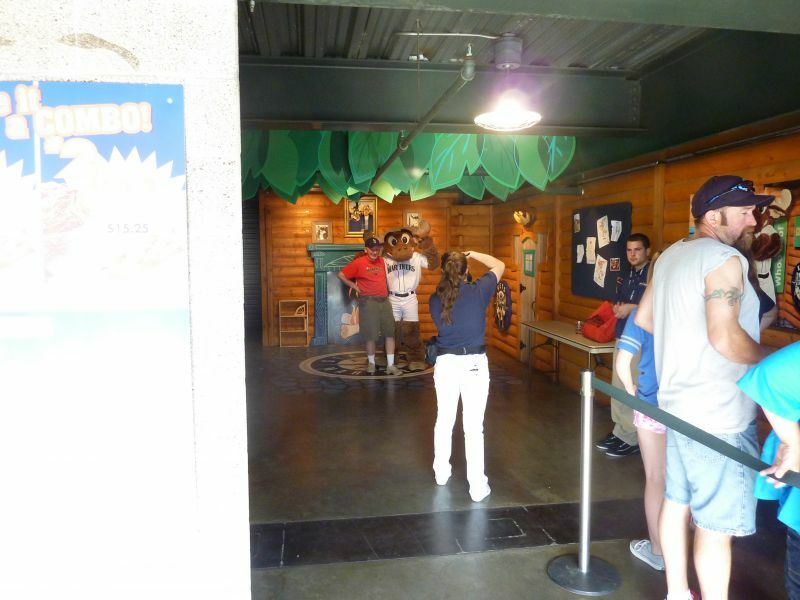 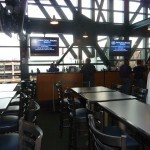 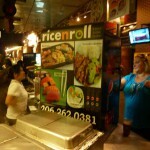 Safeco Field provides fans with so many little innovative conveniences unmatched even 12 years later. 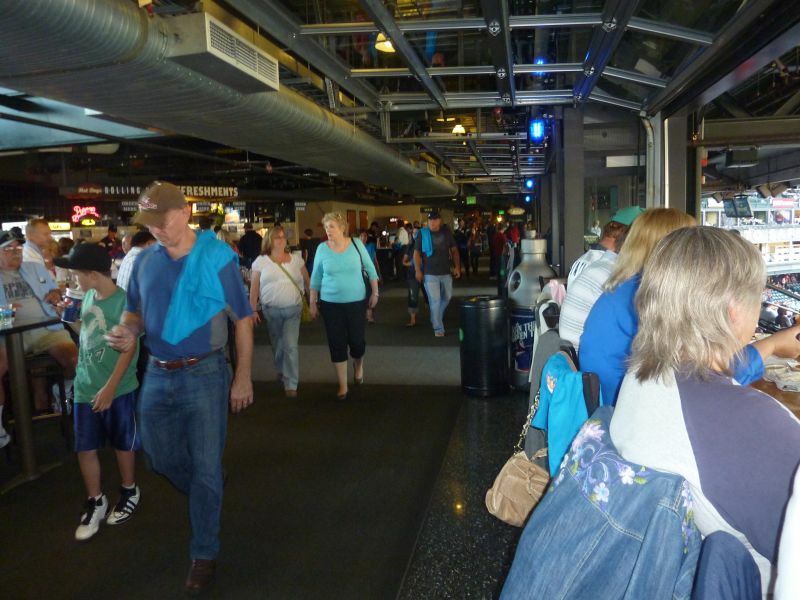 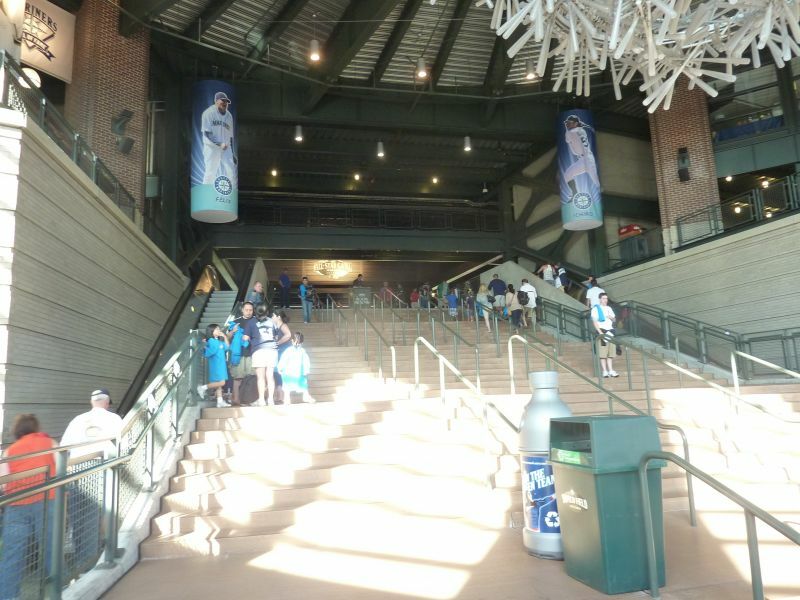 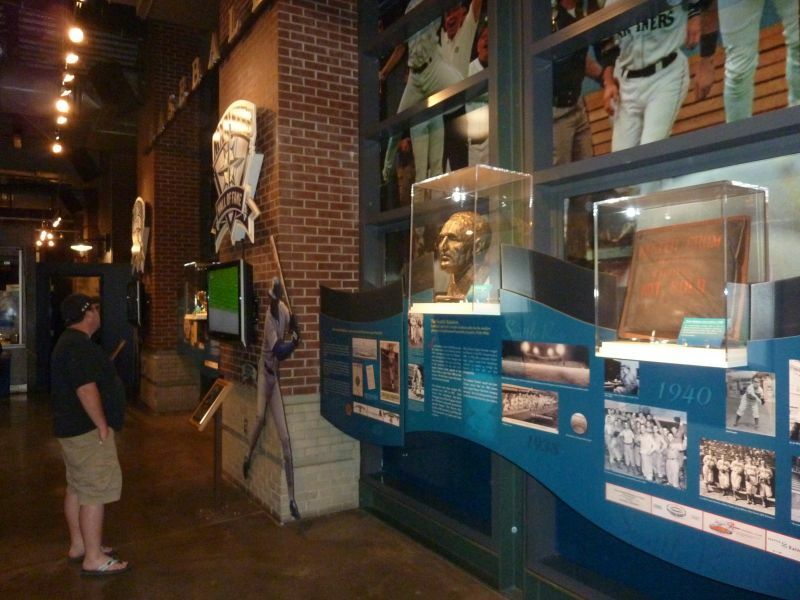 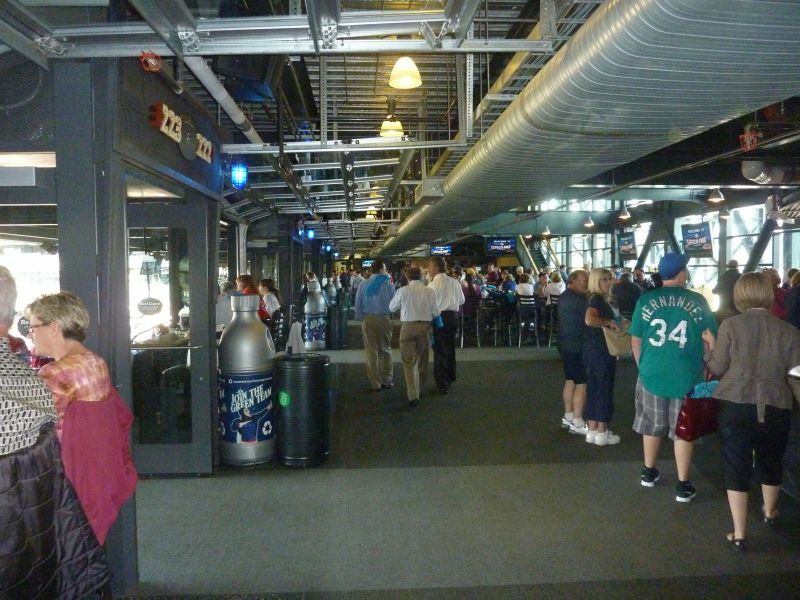 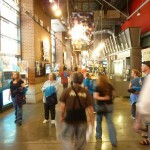 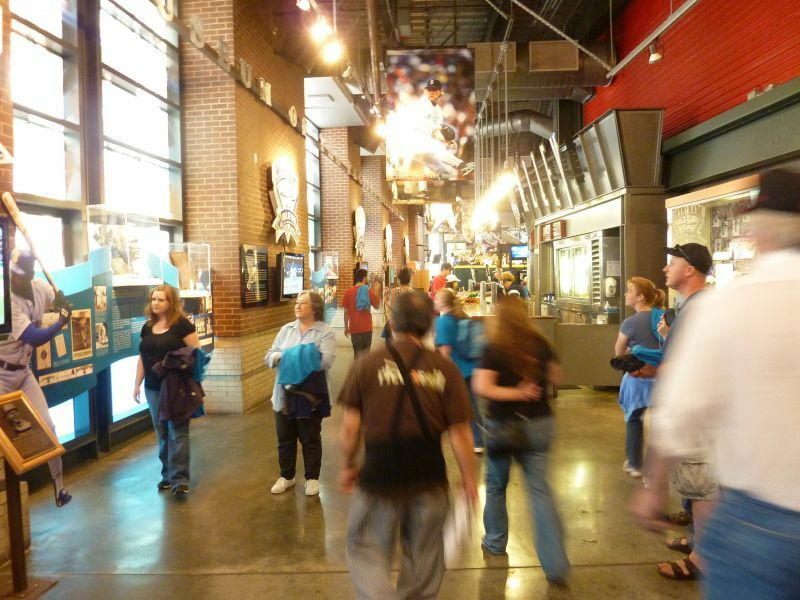 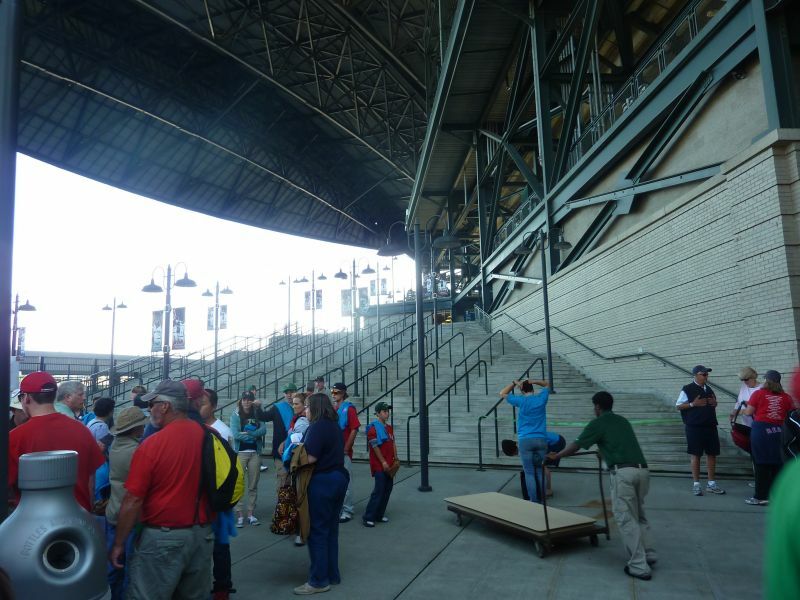 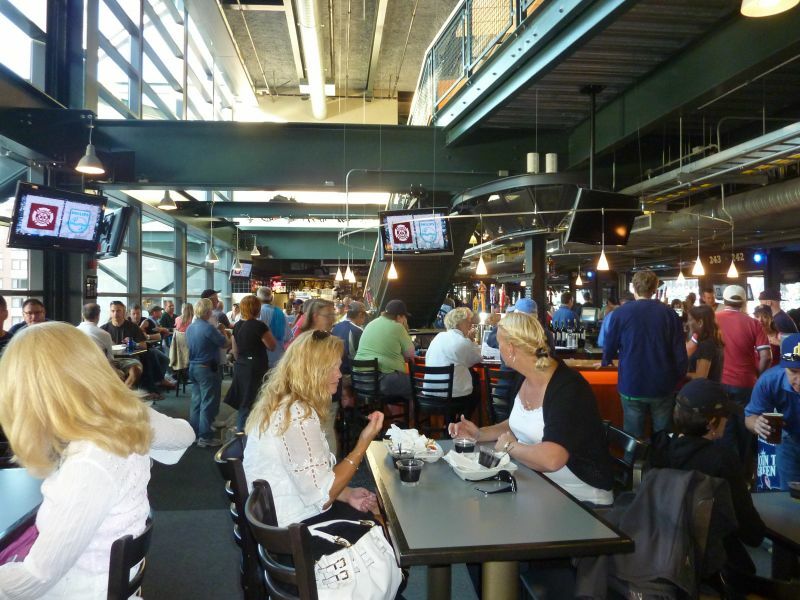 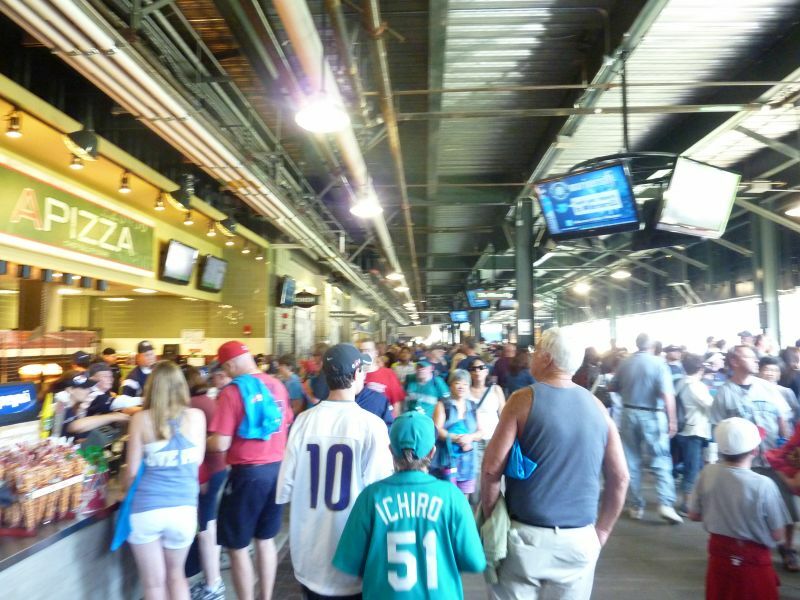 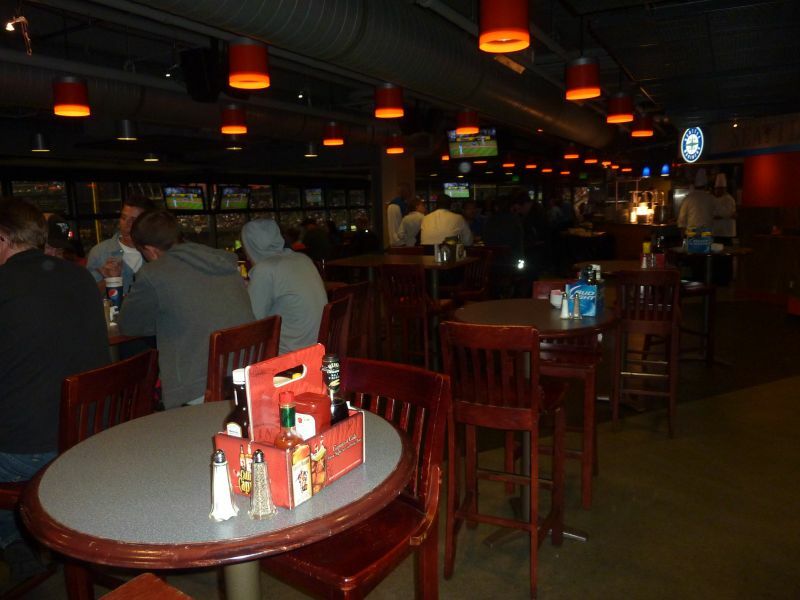 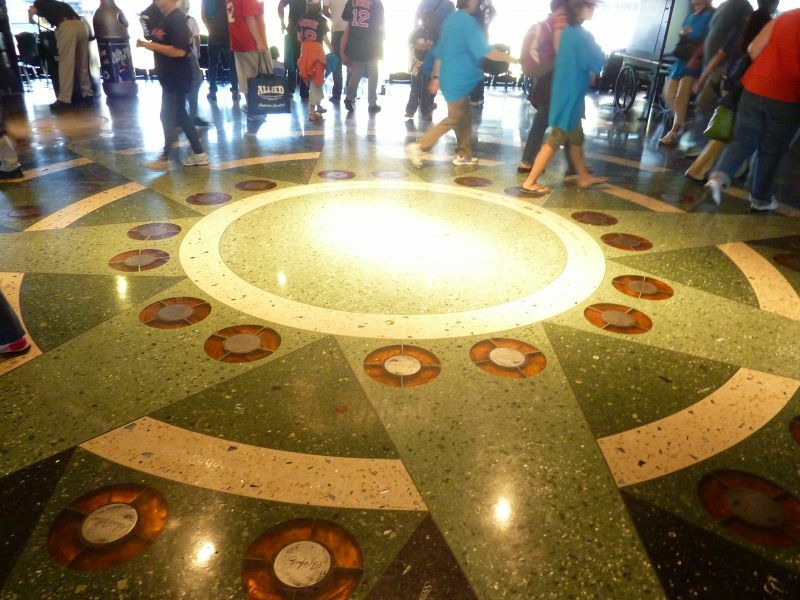 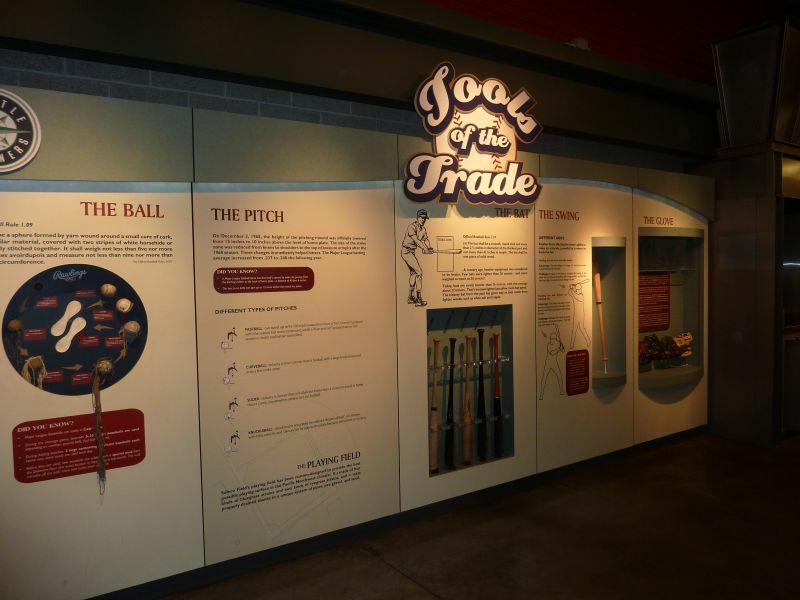 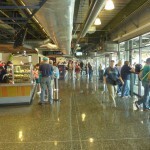 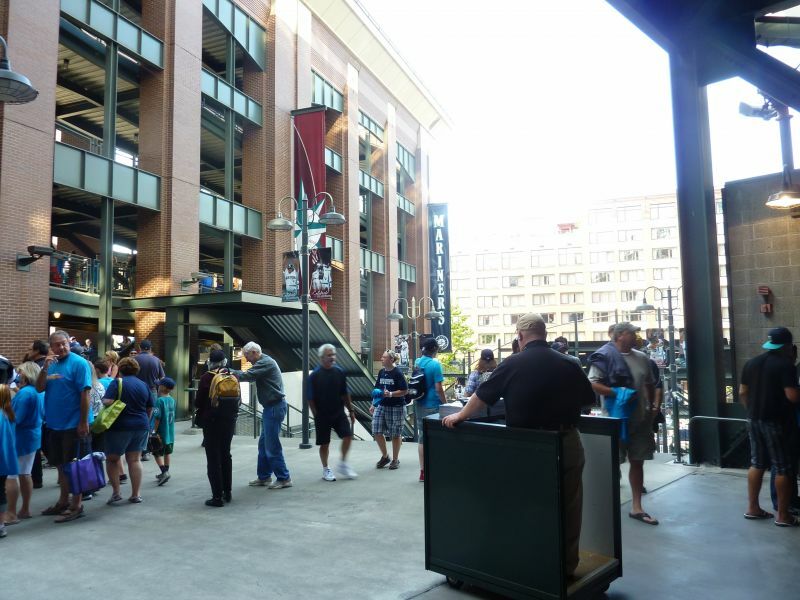 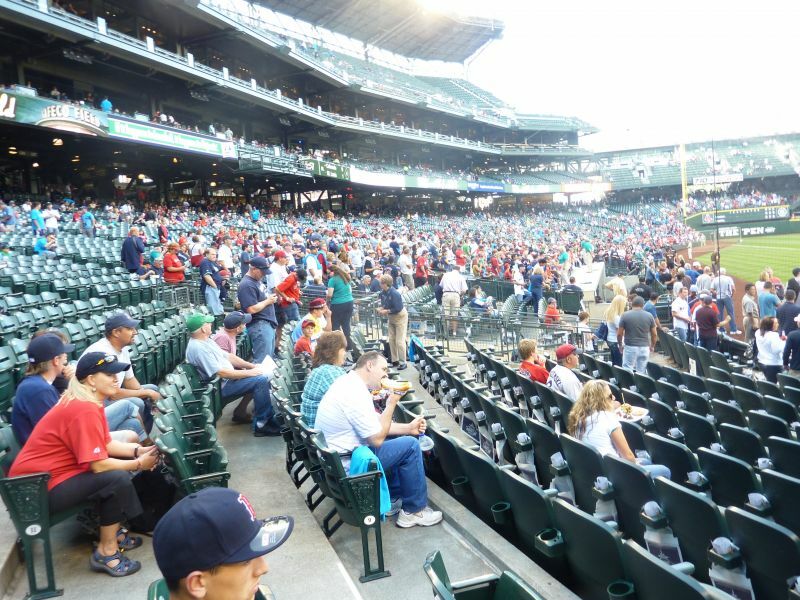 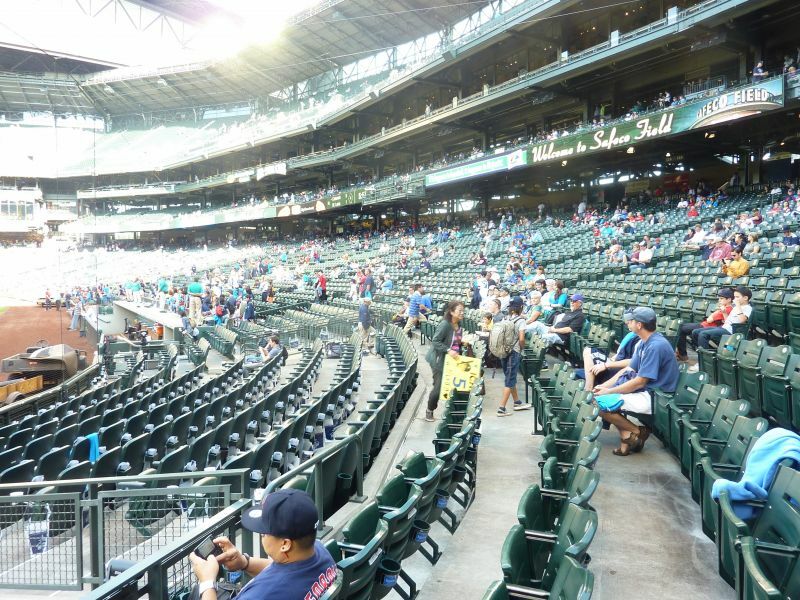 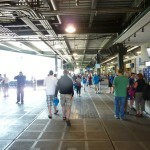 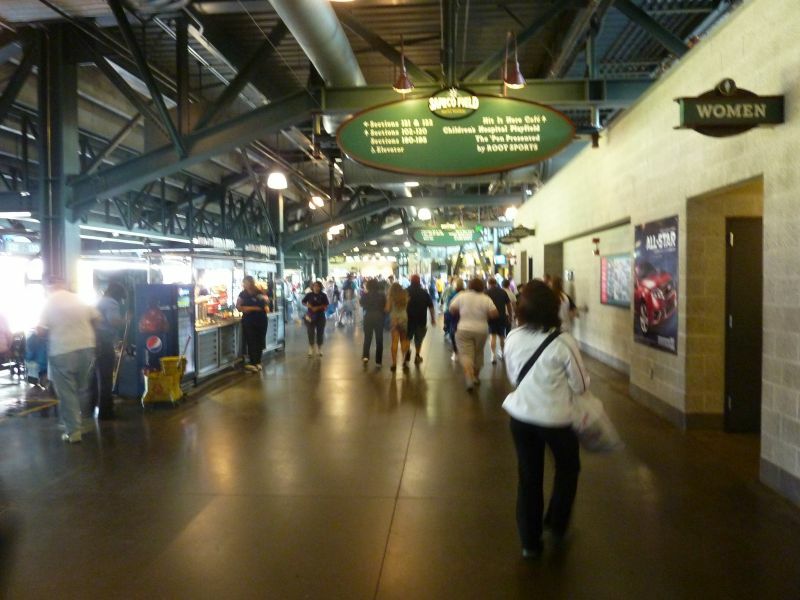 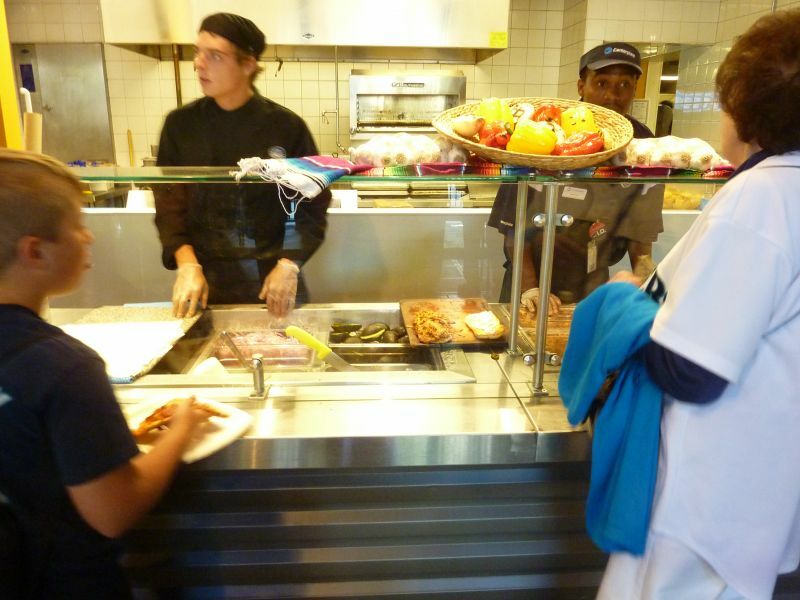 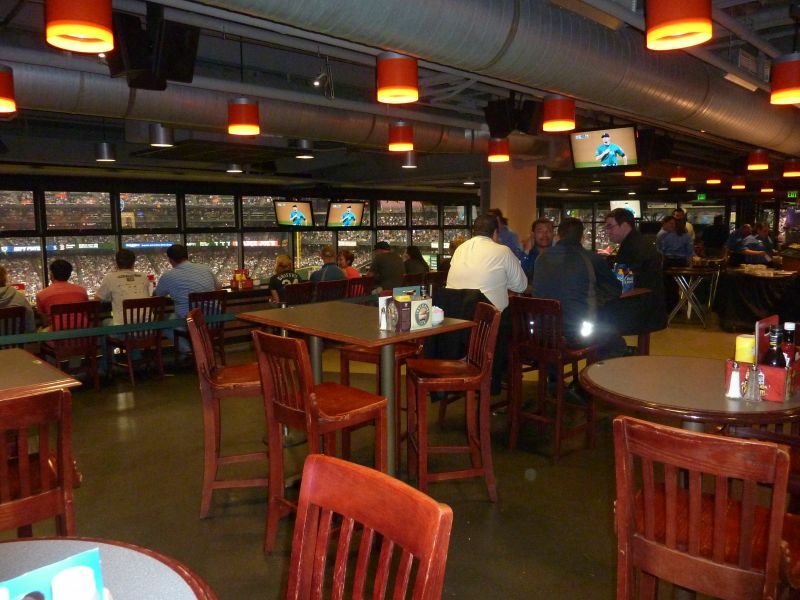 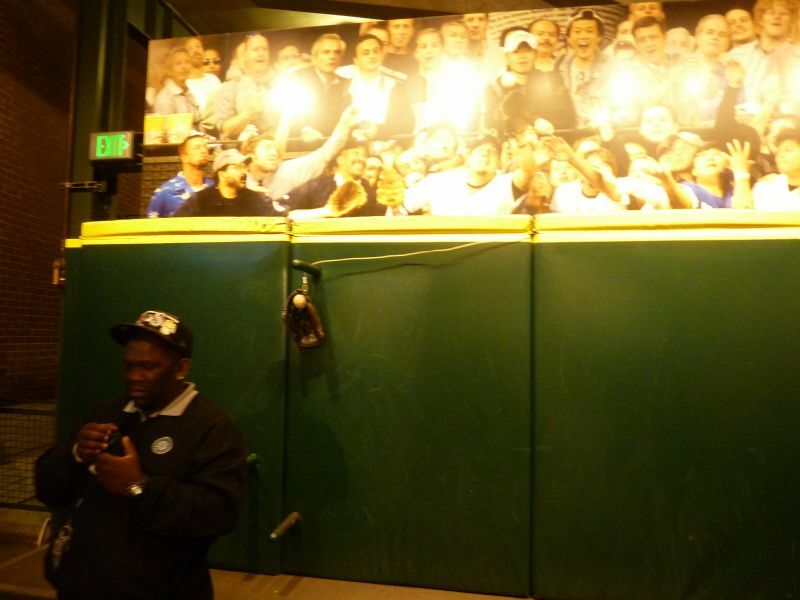 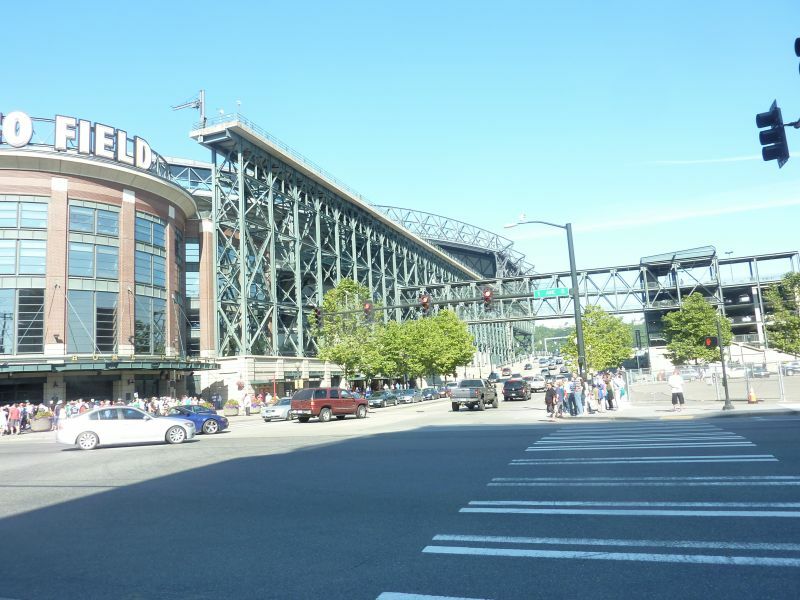 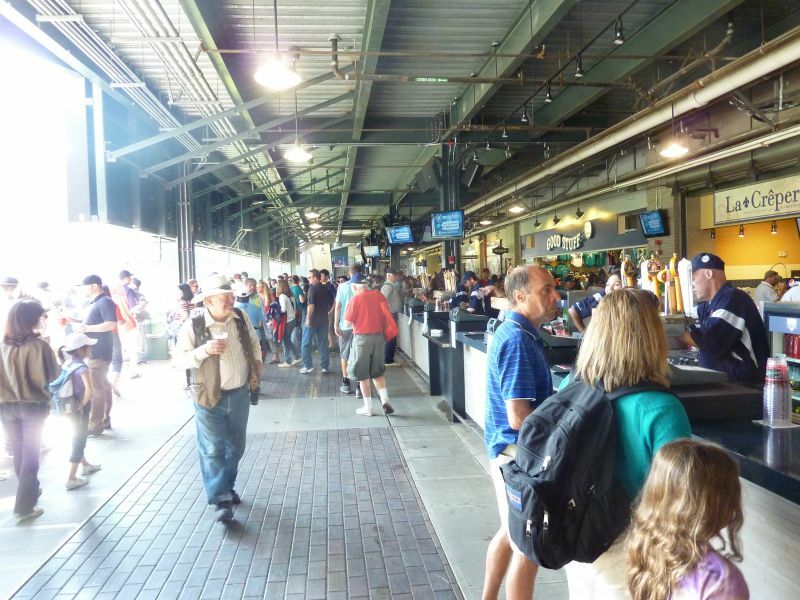 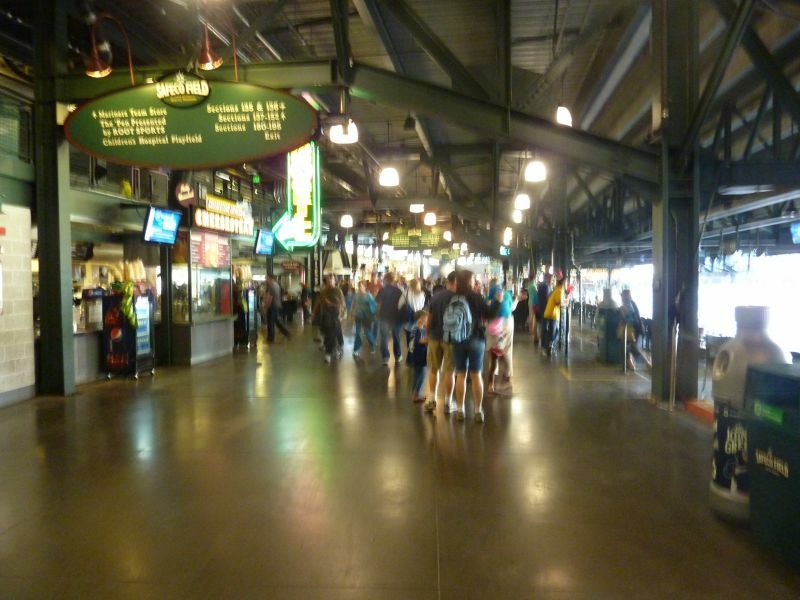 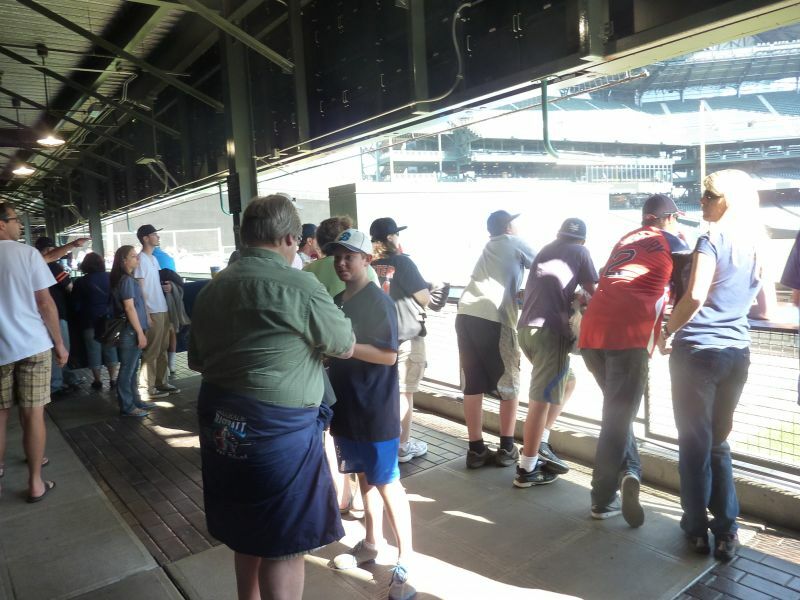 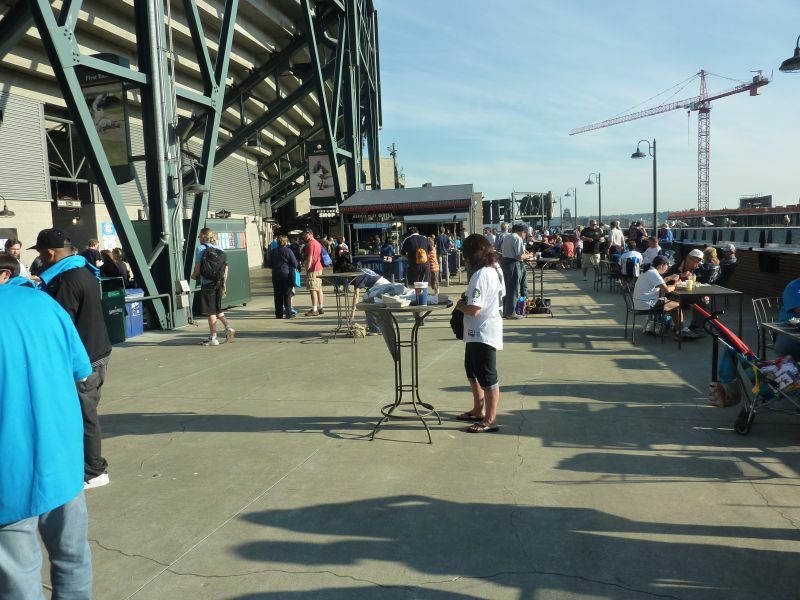 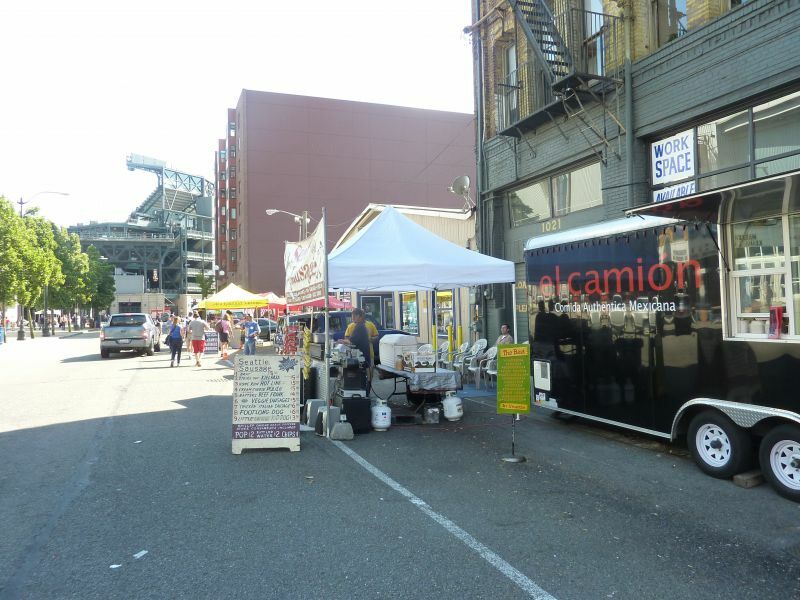 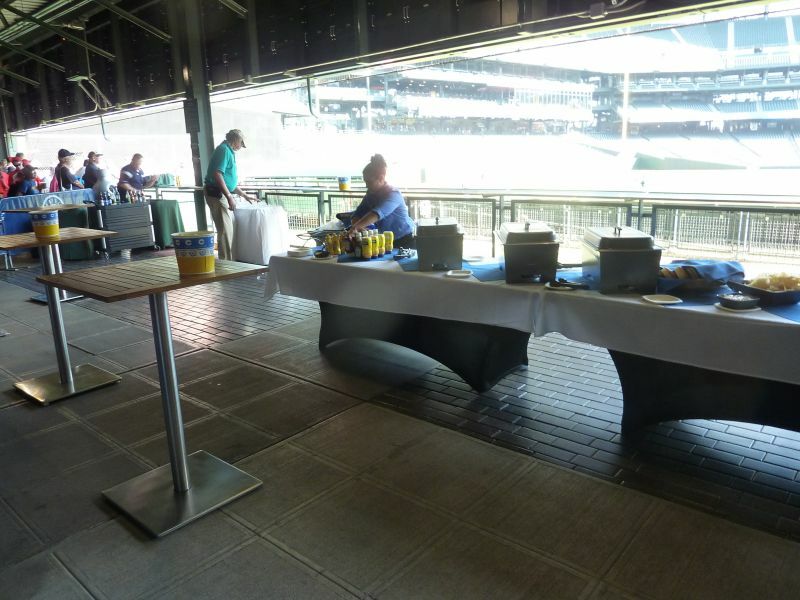 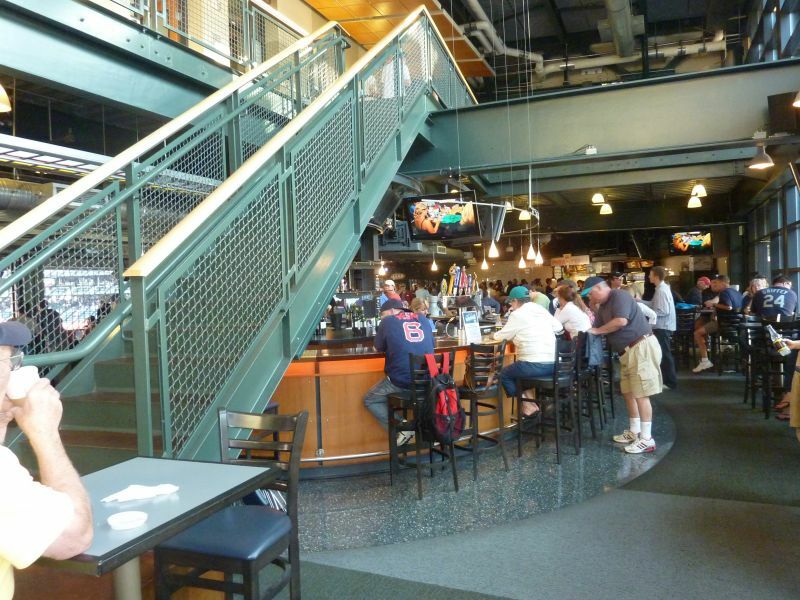 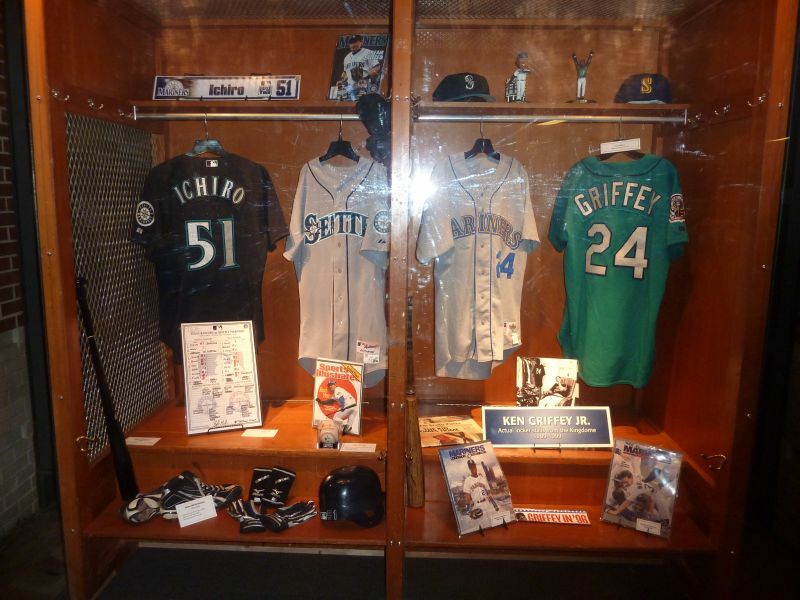 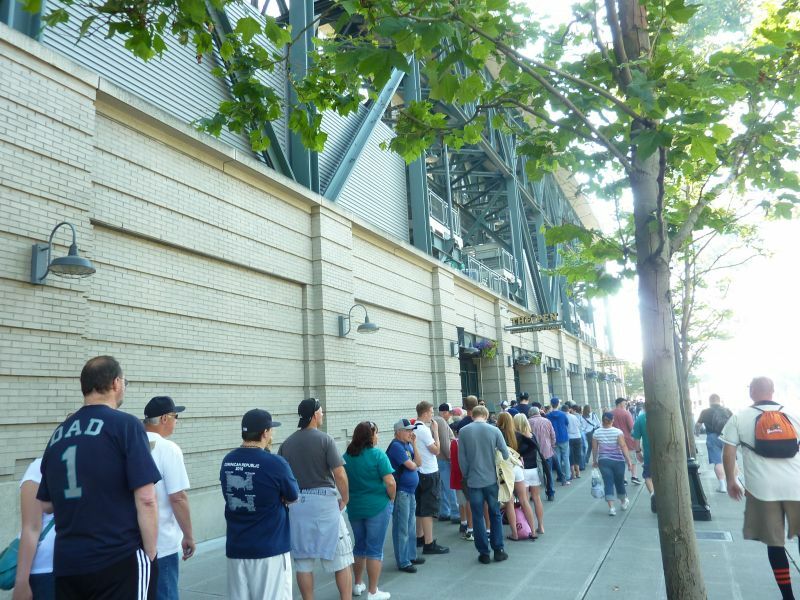 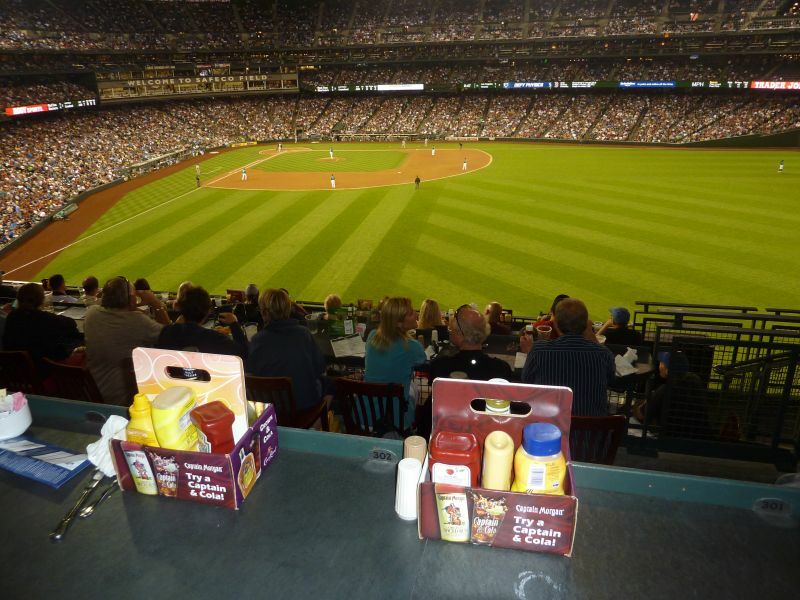 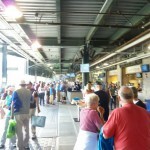 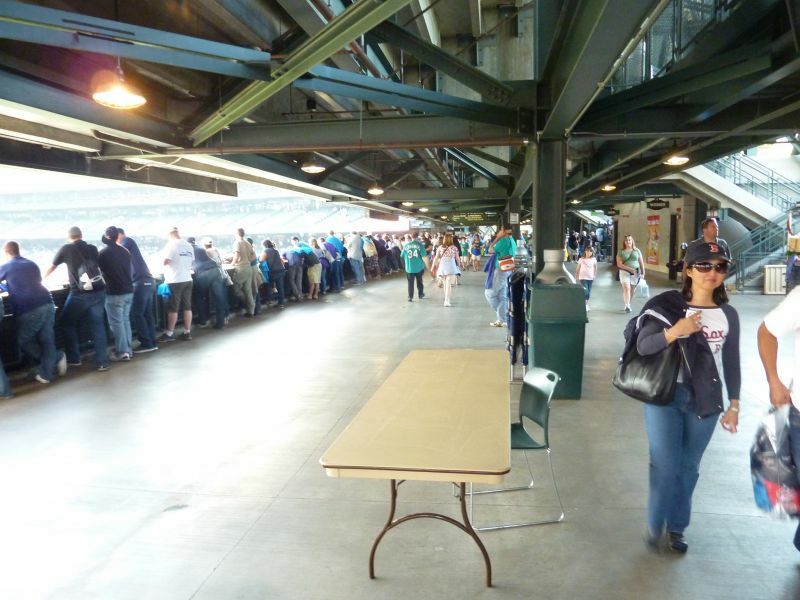 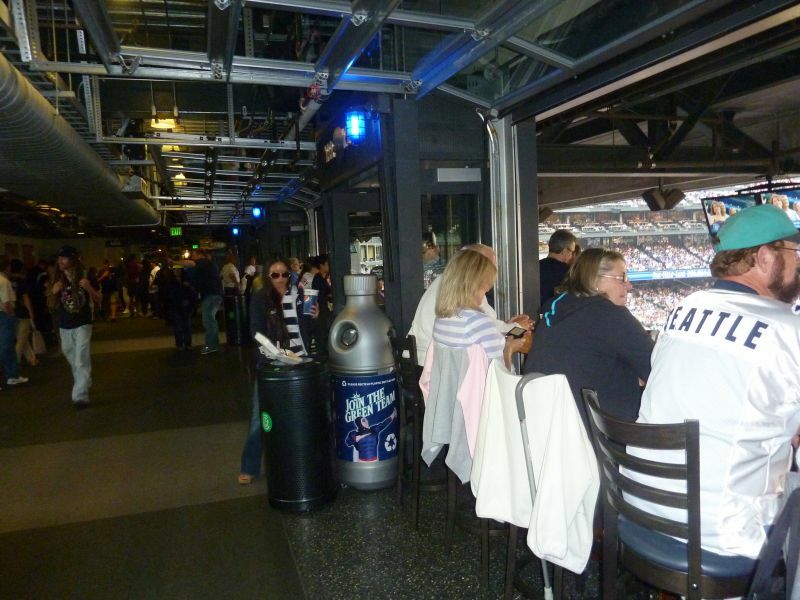 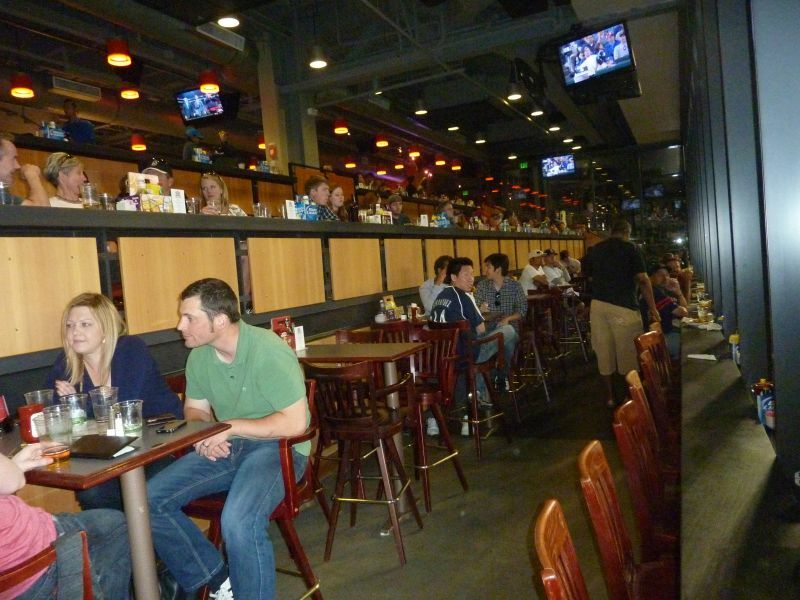 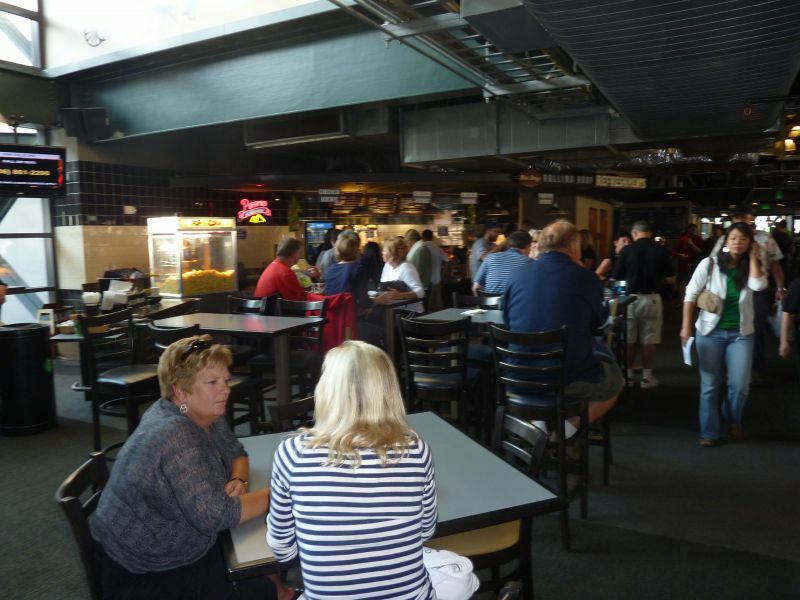 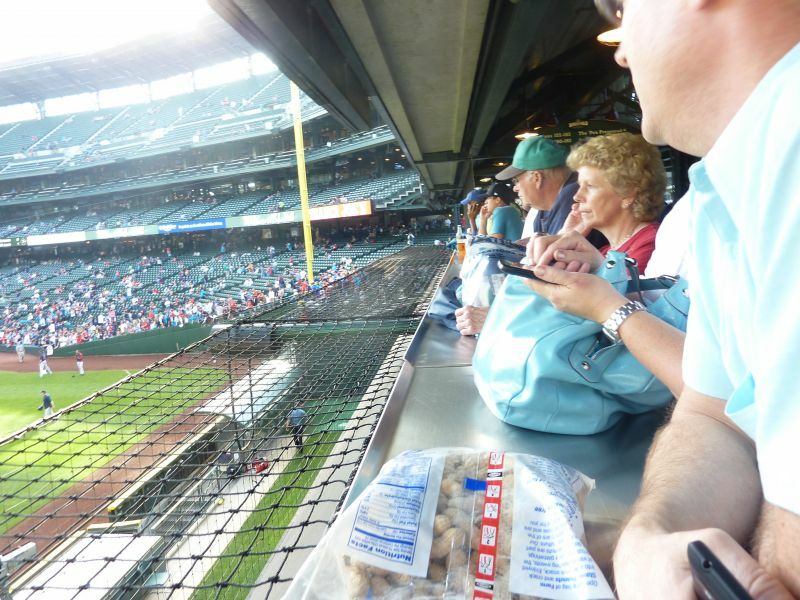 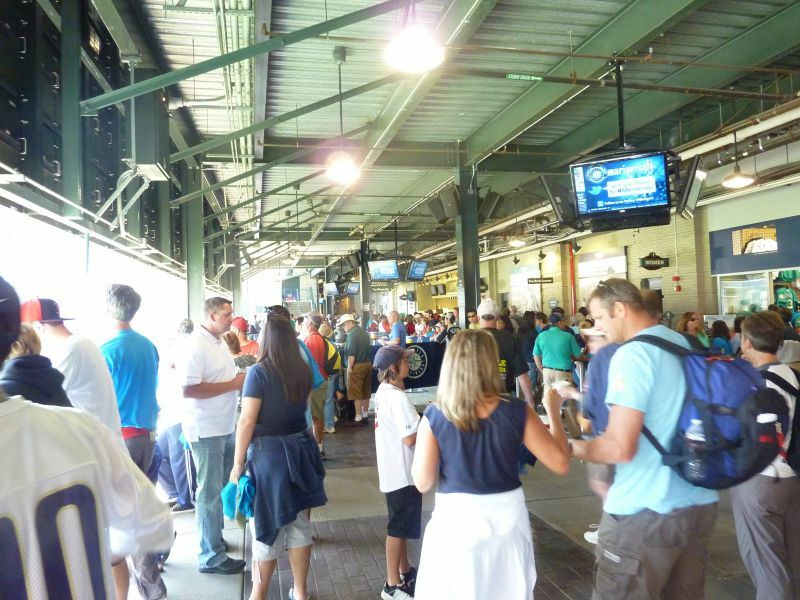 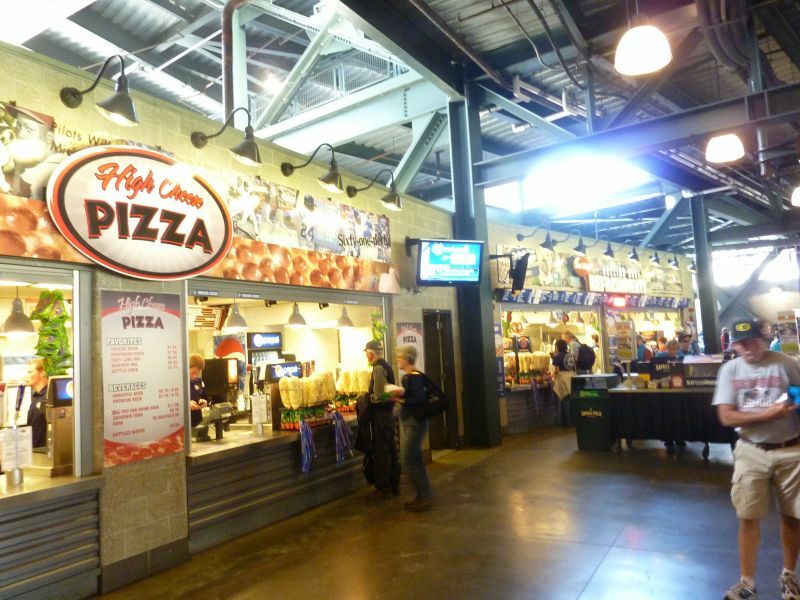 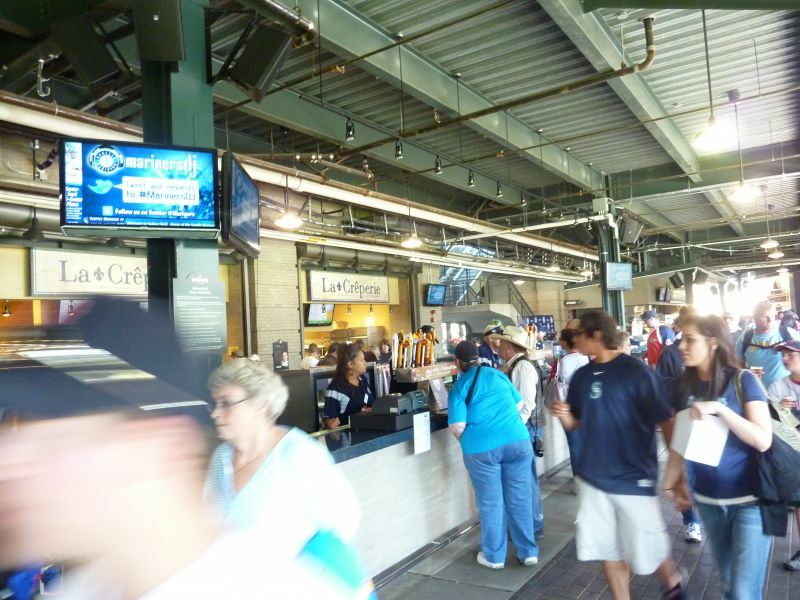 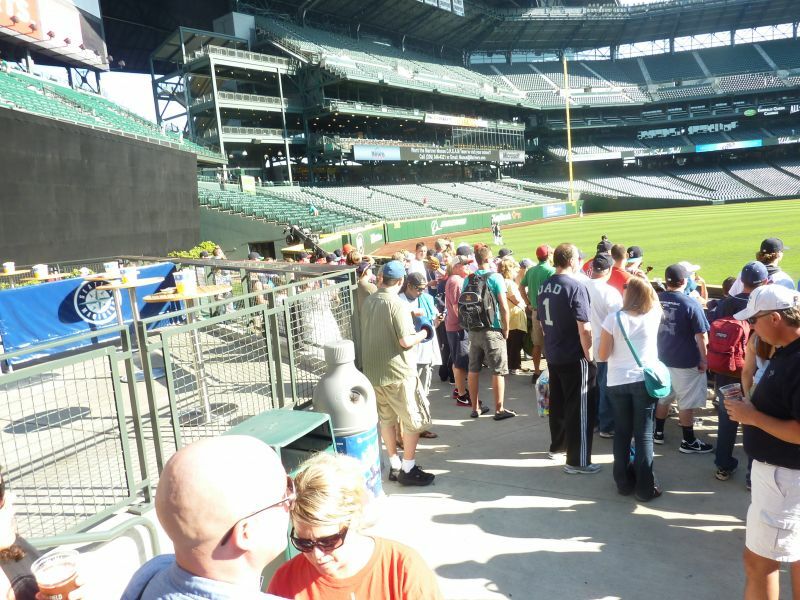 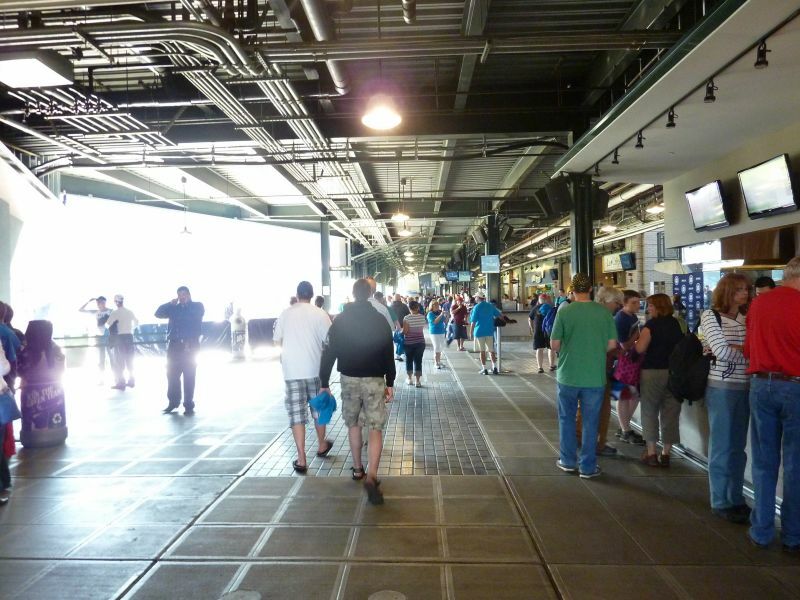 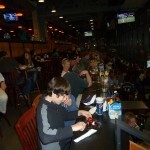 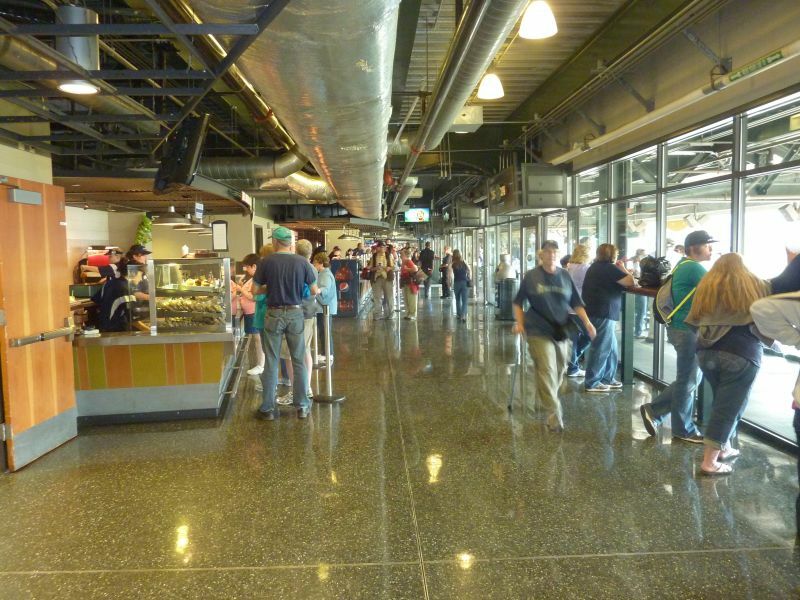 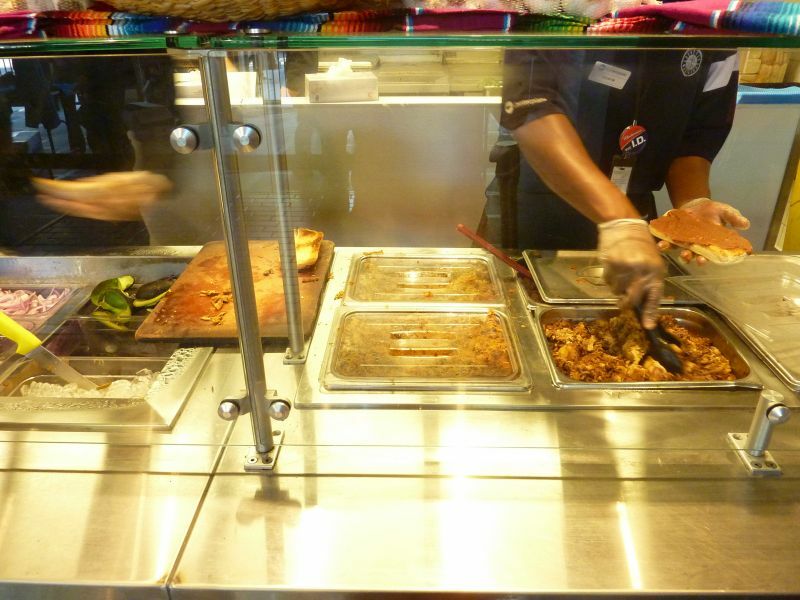 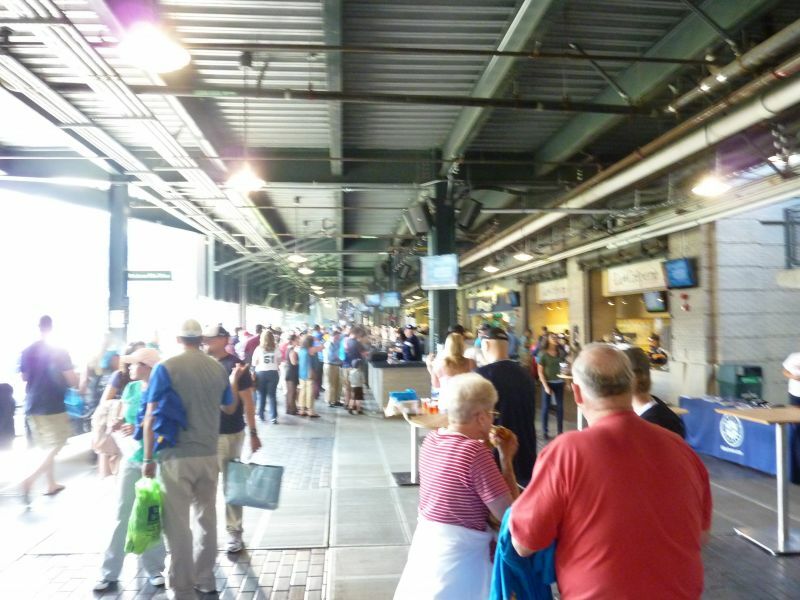 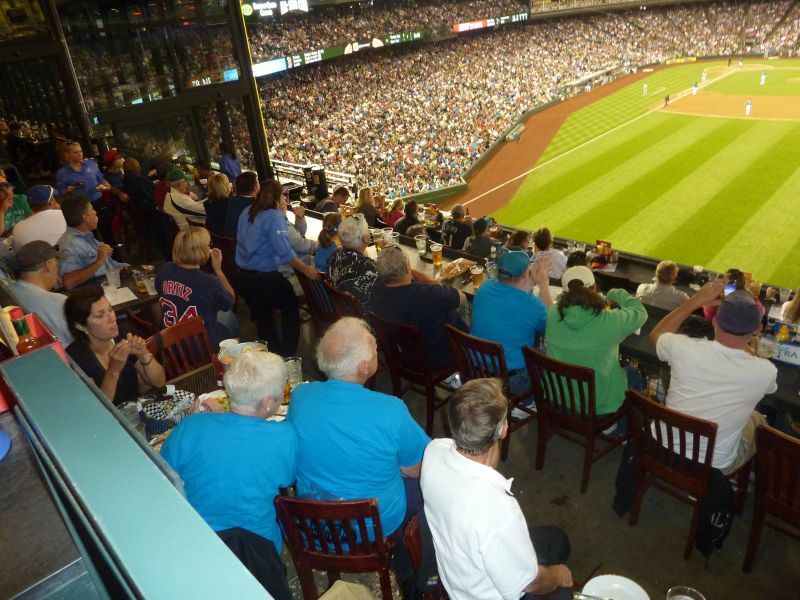 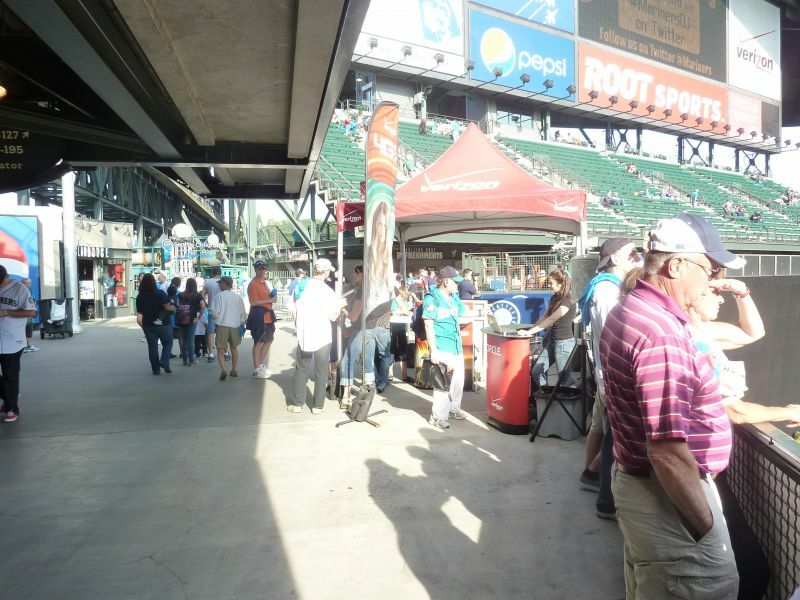 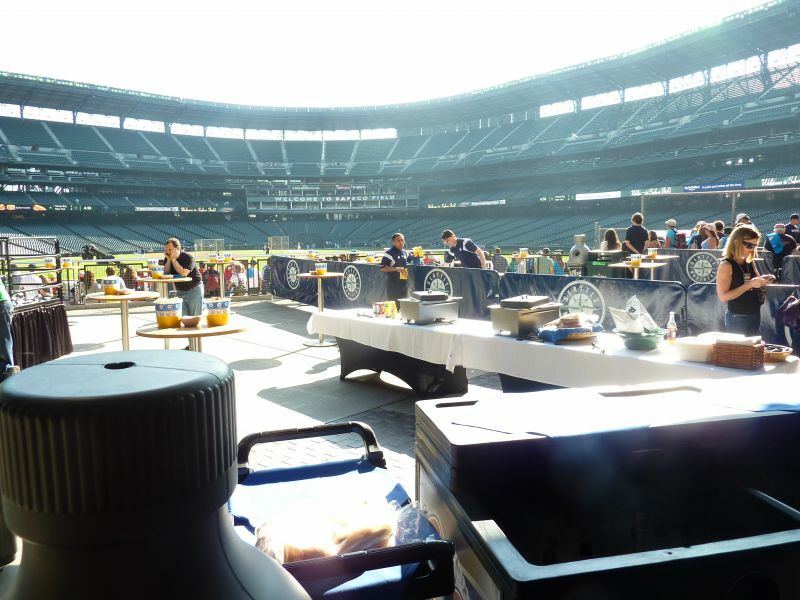 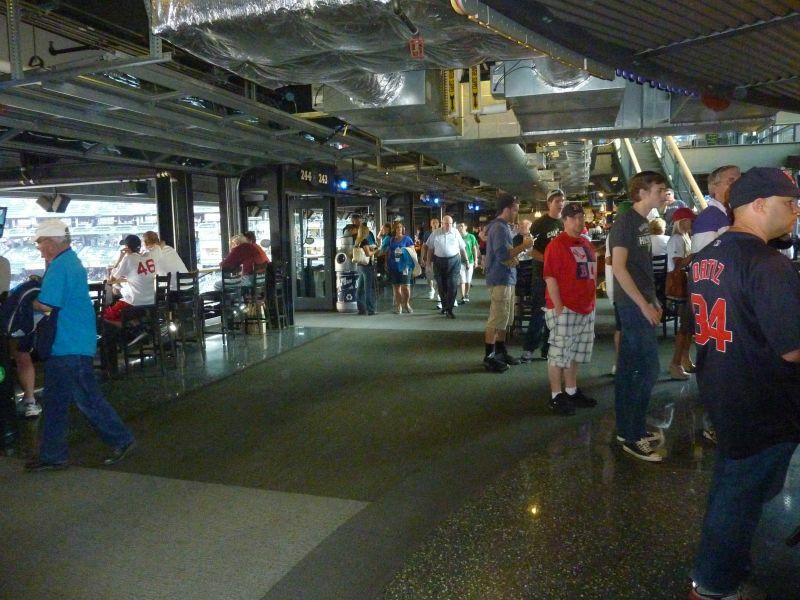 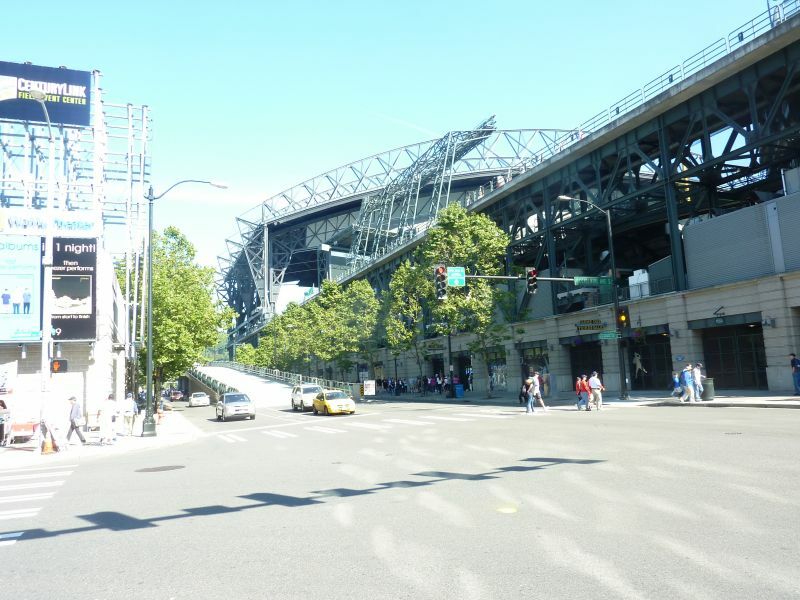 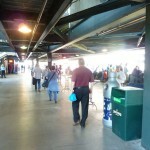 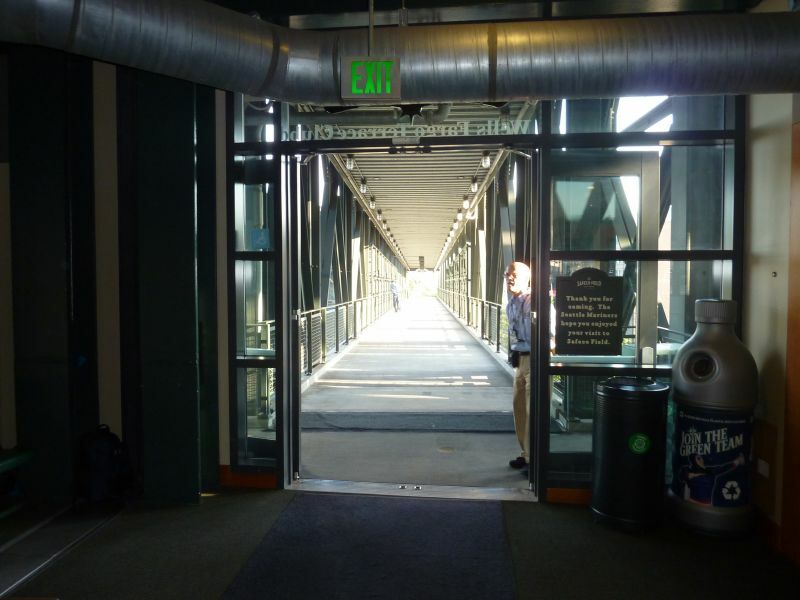 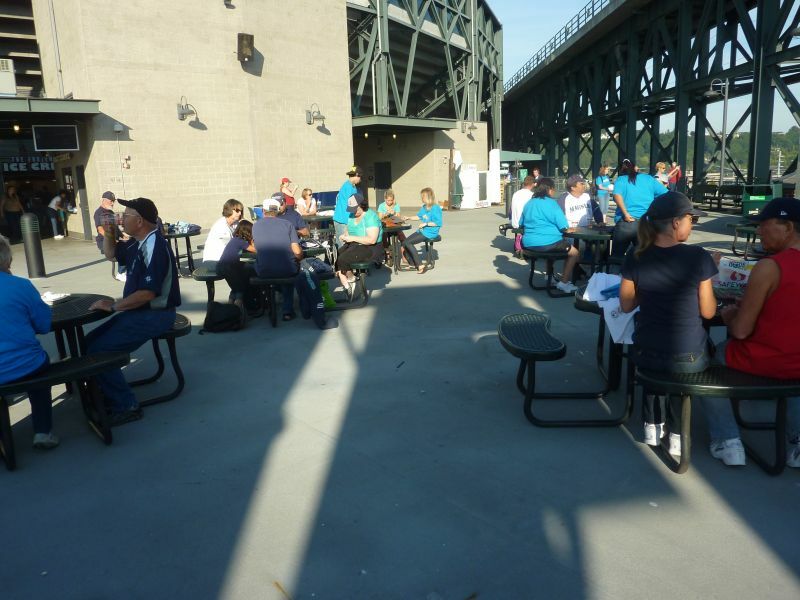 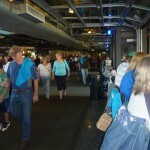 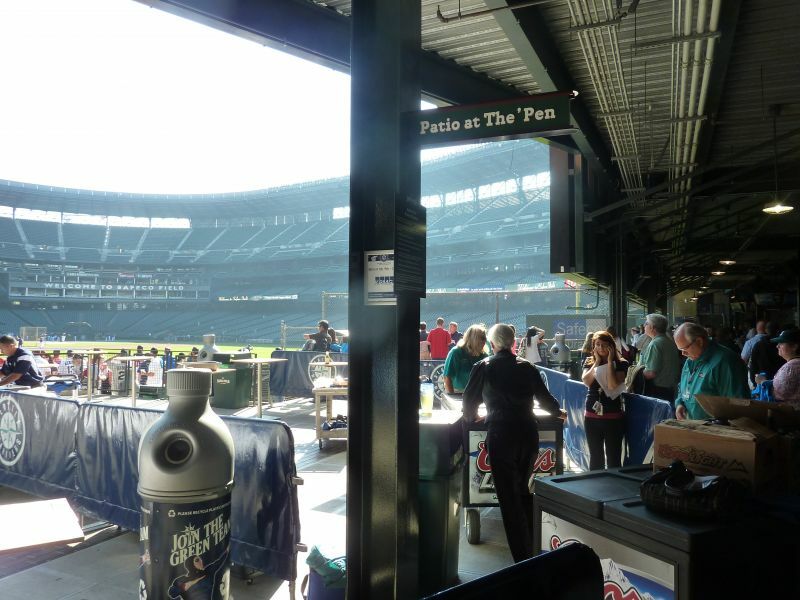 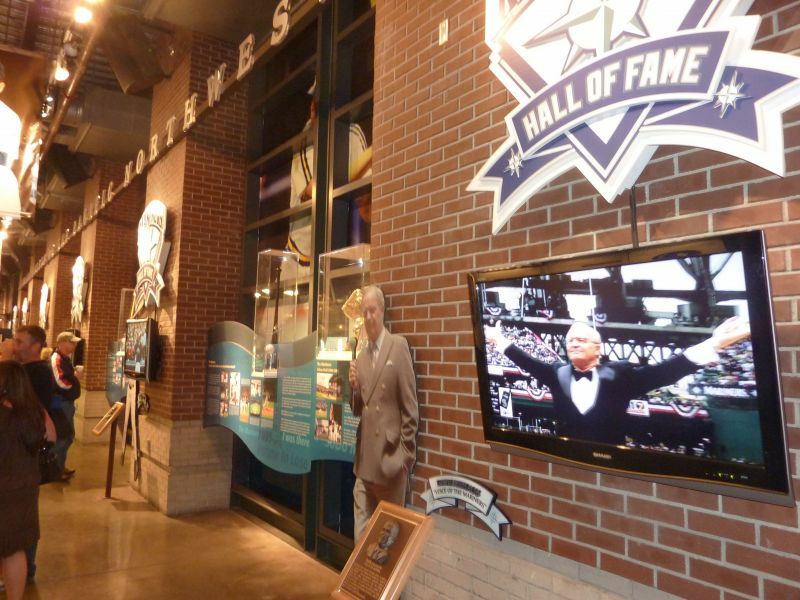 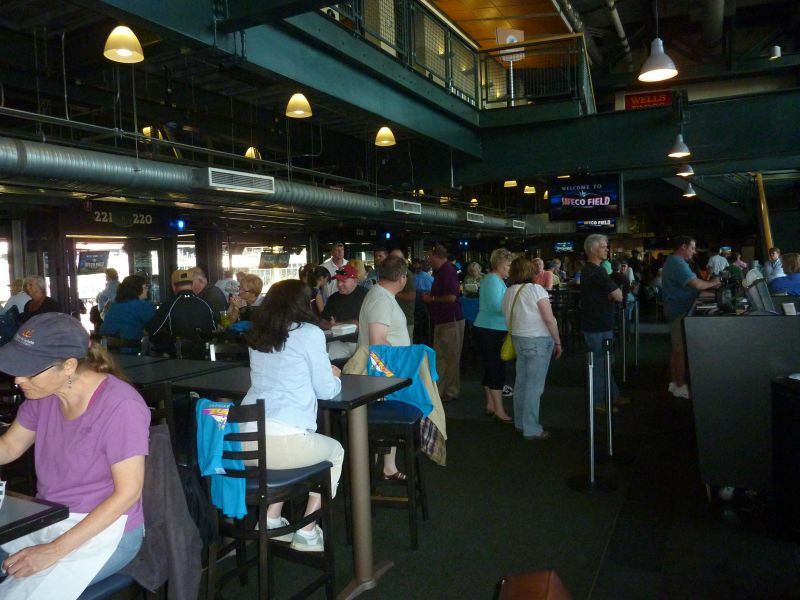 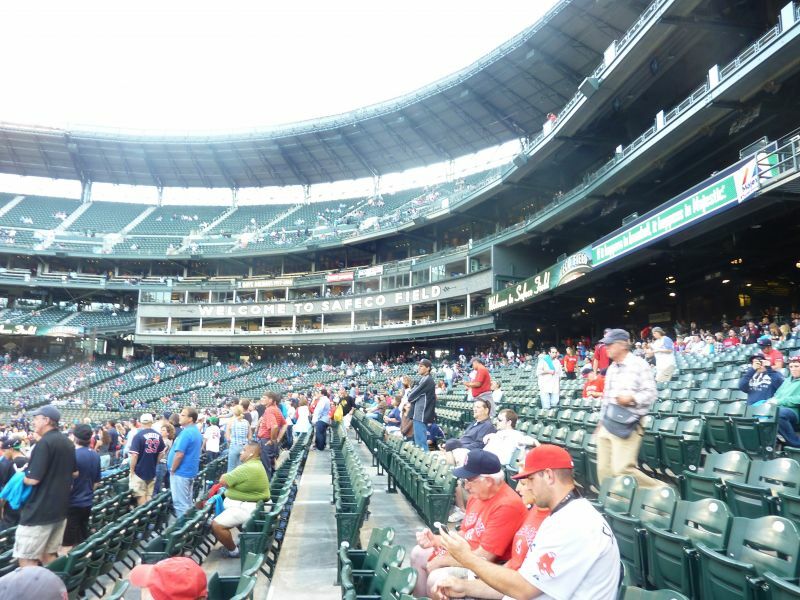 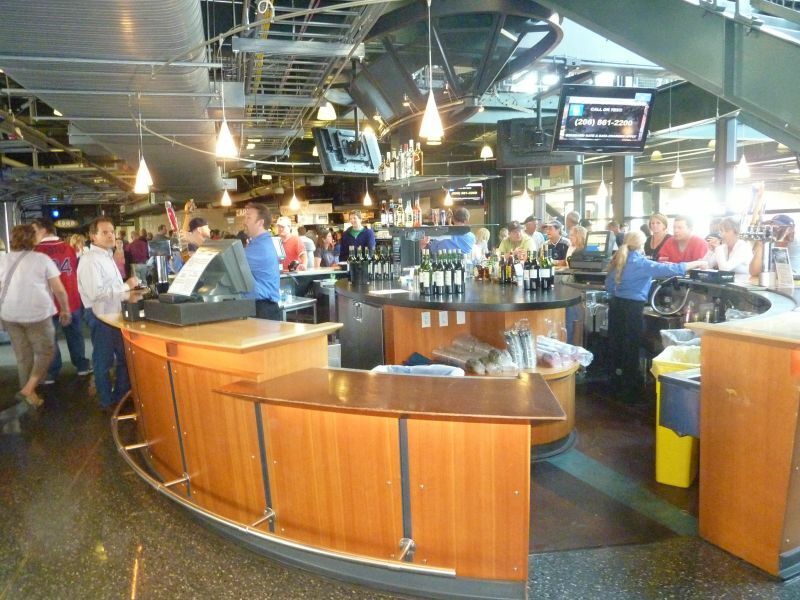 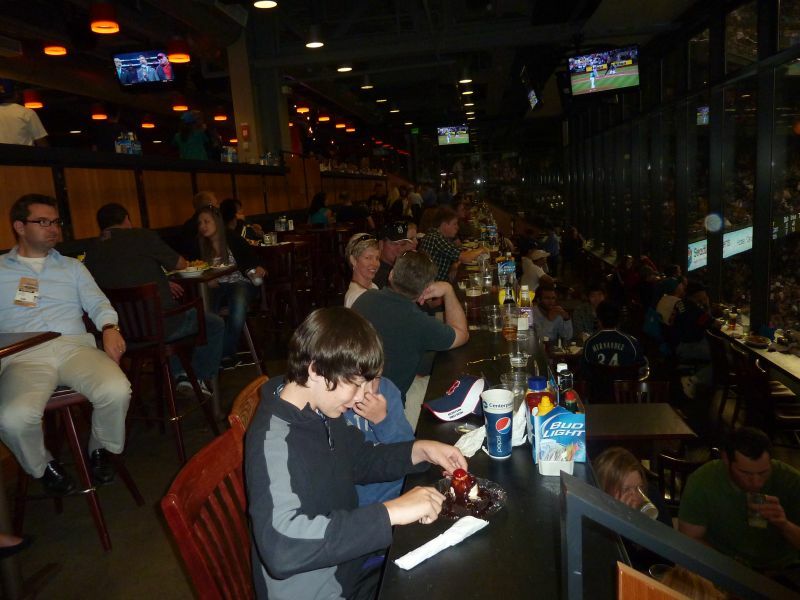 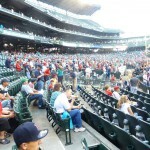 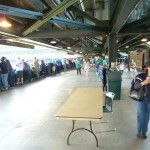 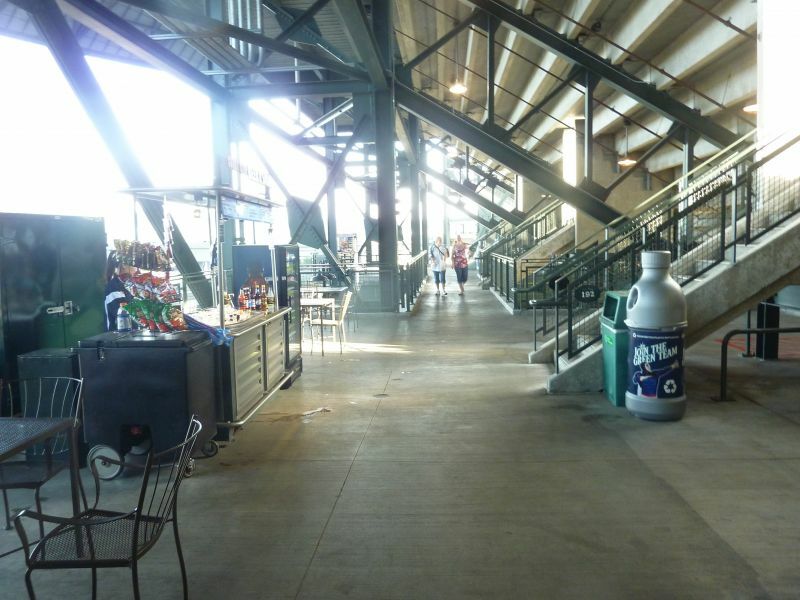 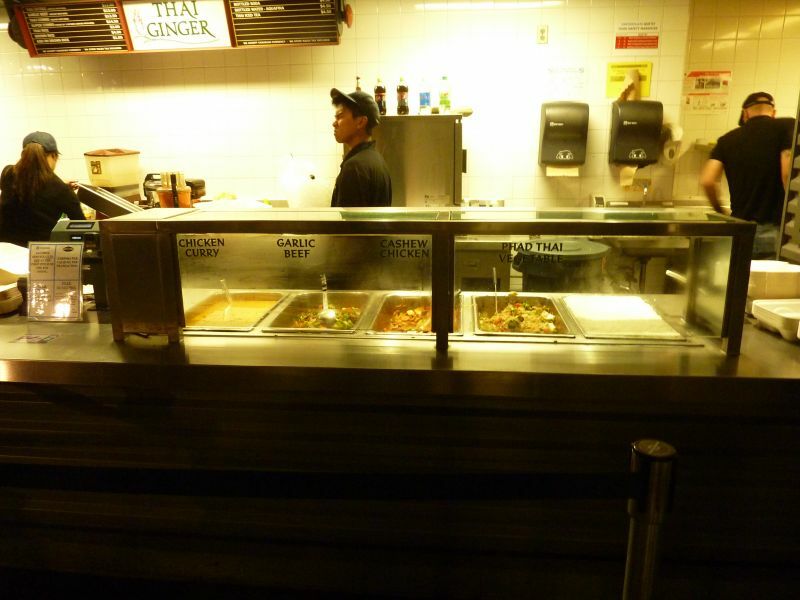 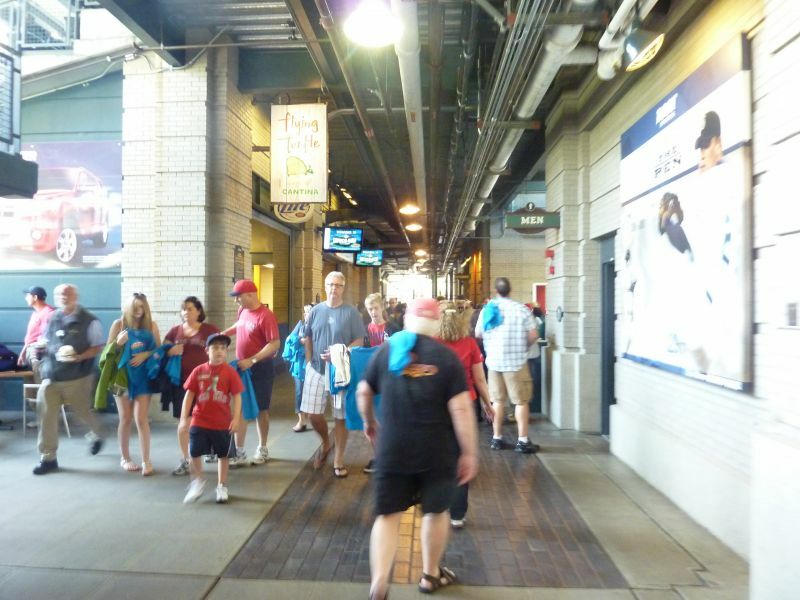 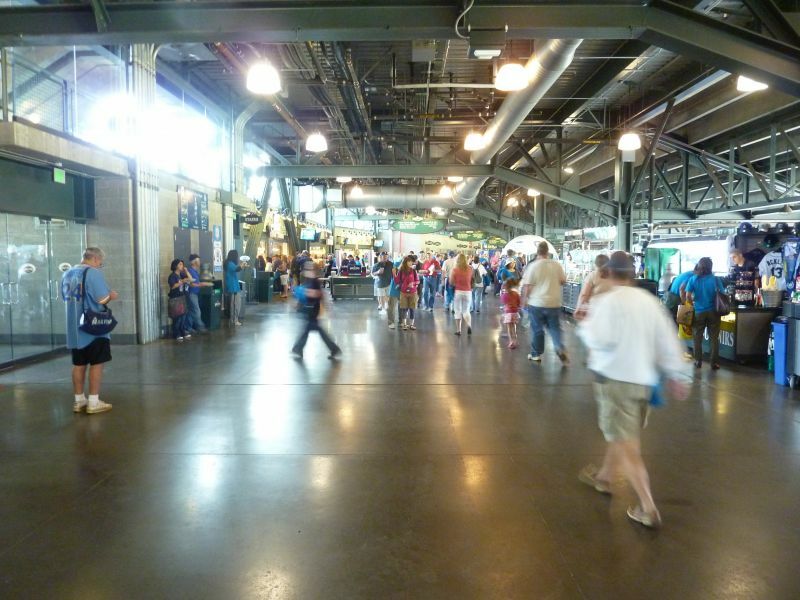 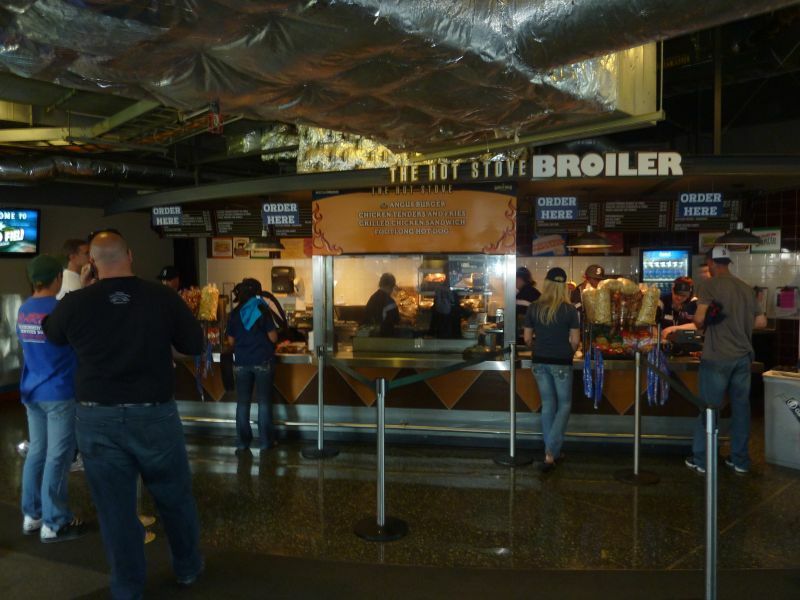 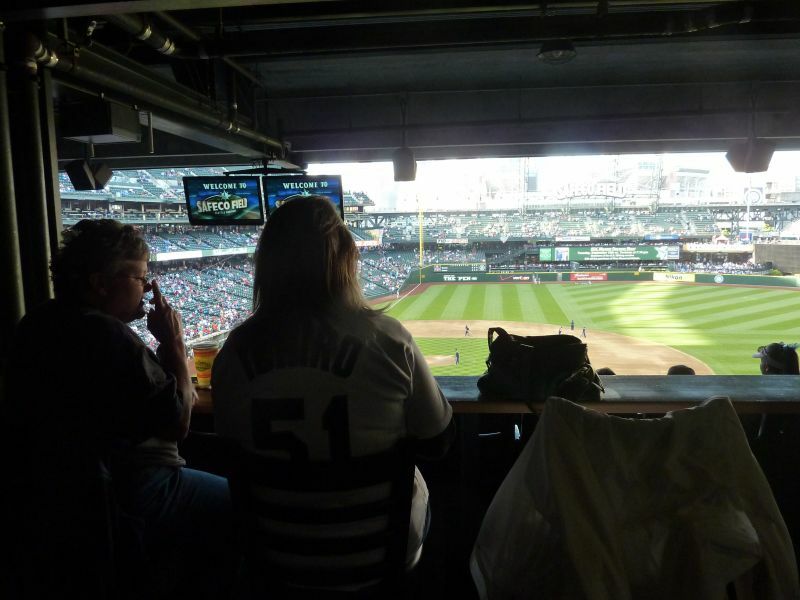 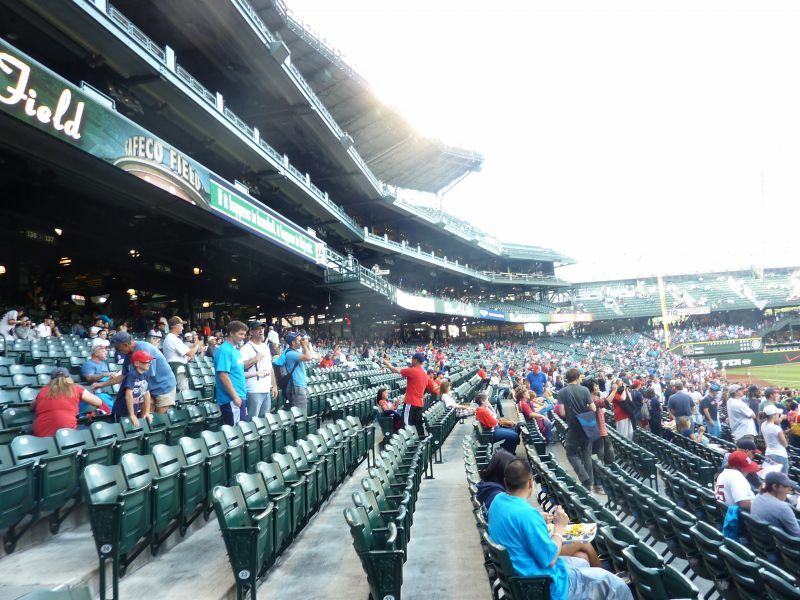 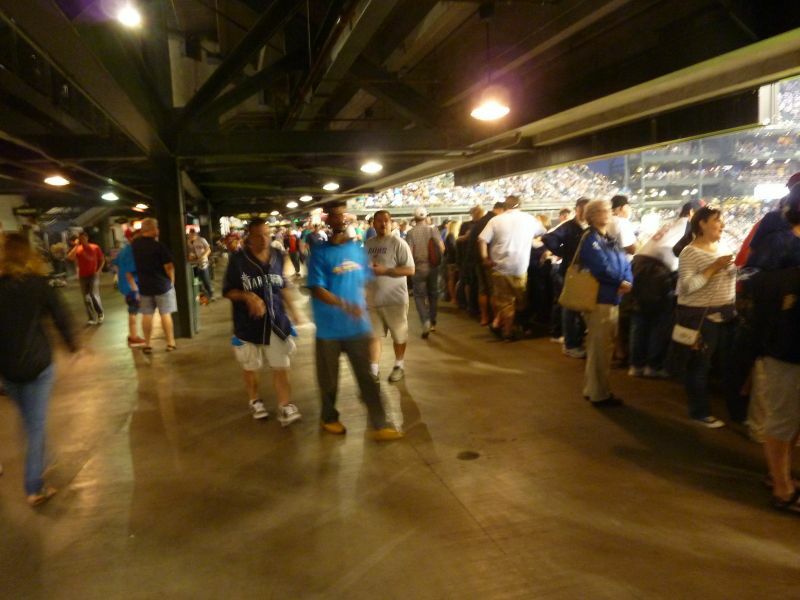 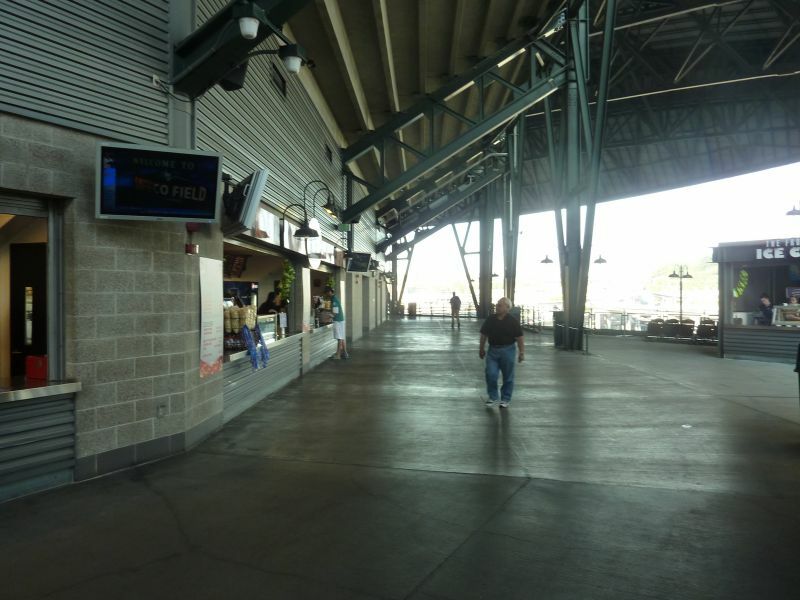 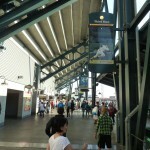 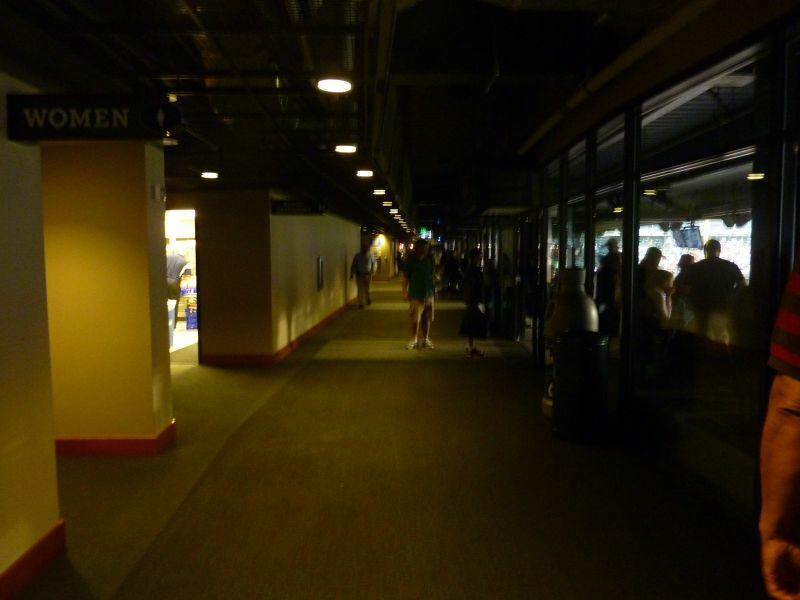 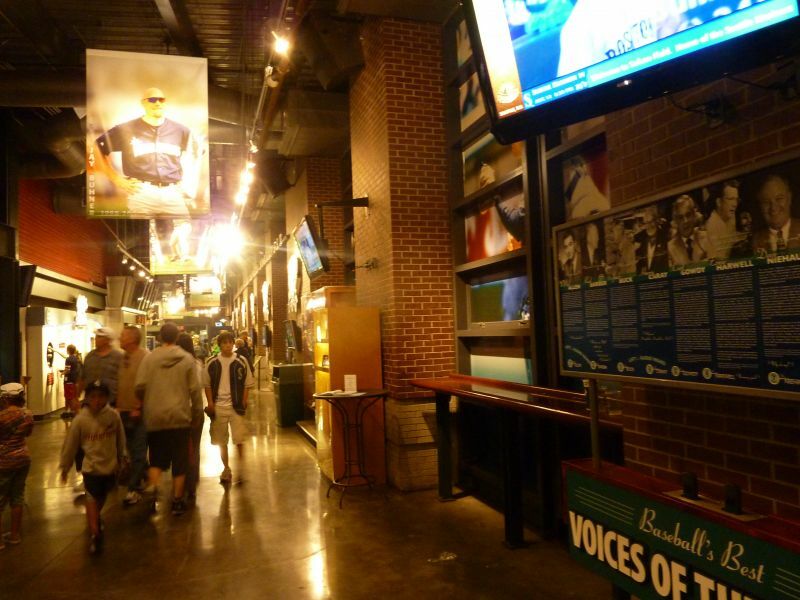 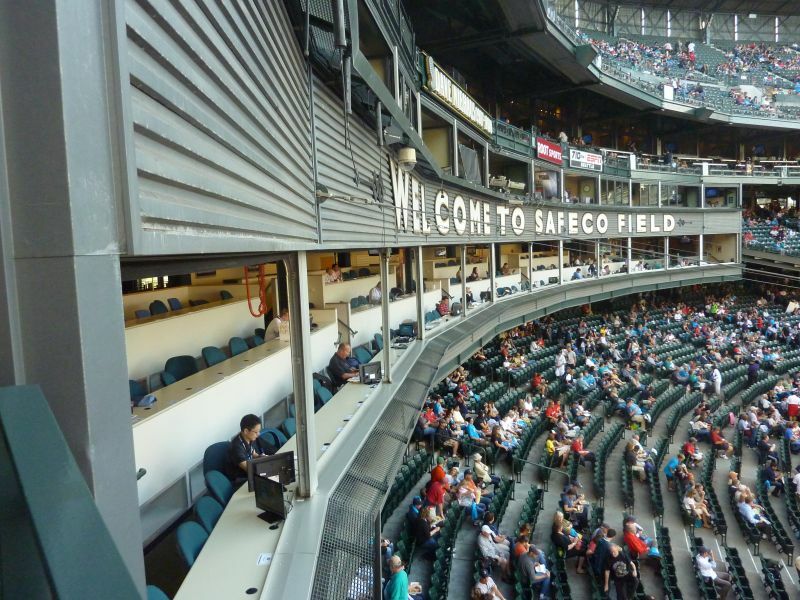 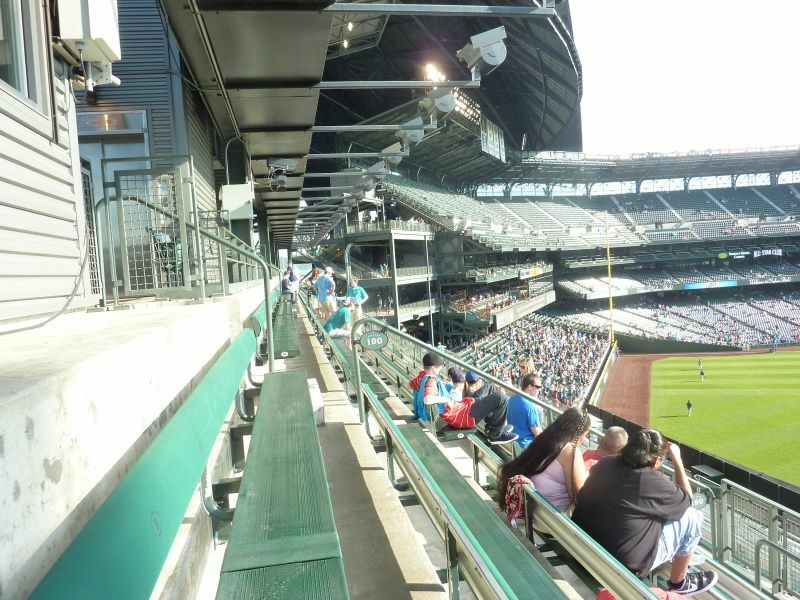 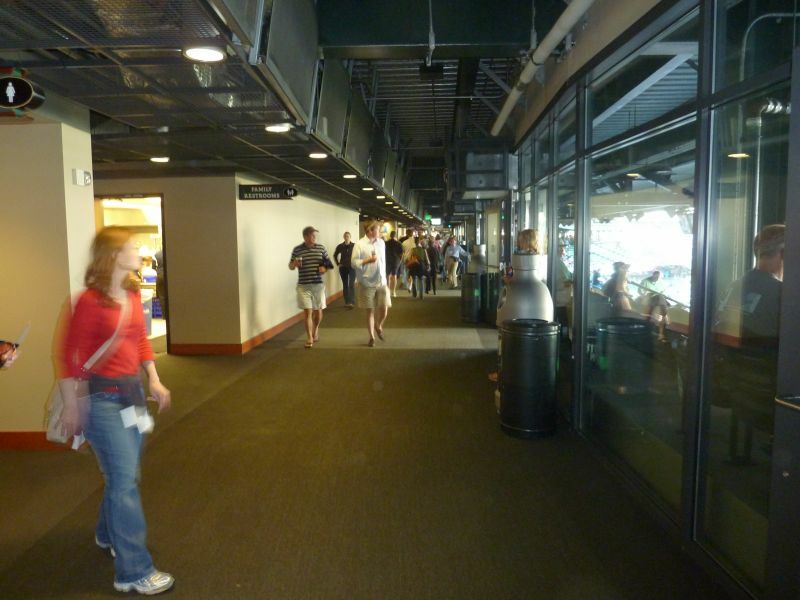 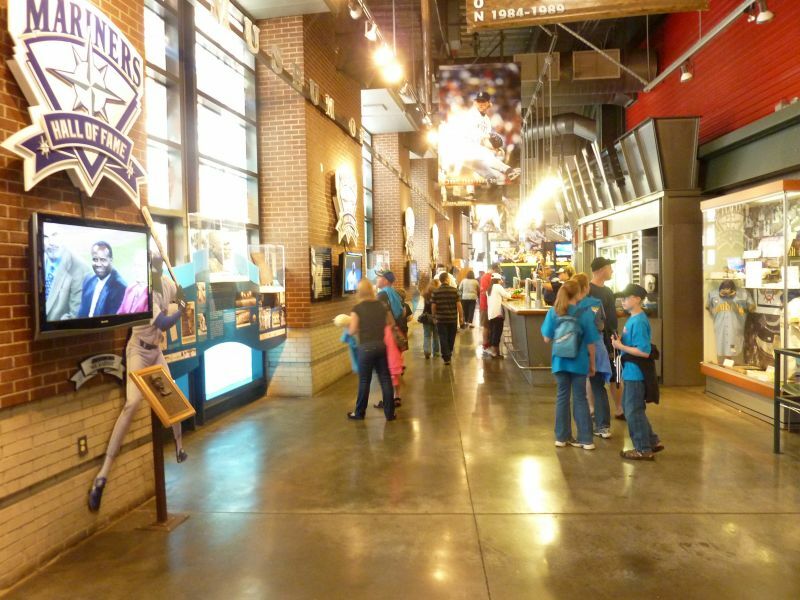 The concourses are extremely wide; it has more incredible standing room areas than any park built to date; Safeco has more artistic projects than any other venue; the food is truly spectacular; the Hall of Fame is awesome; etc; etc. 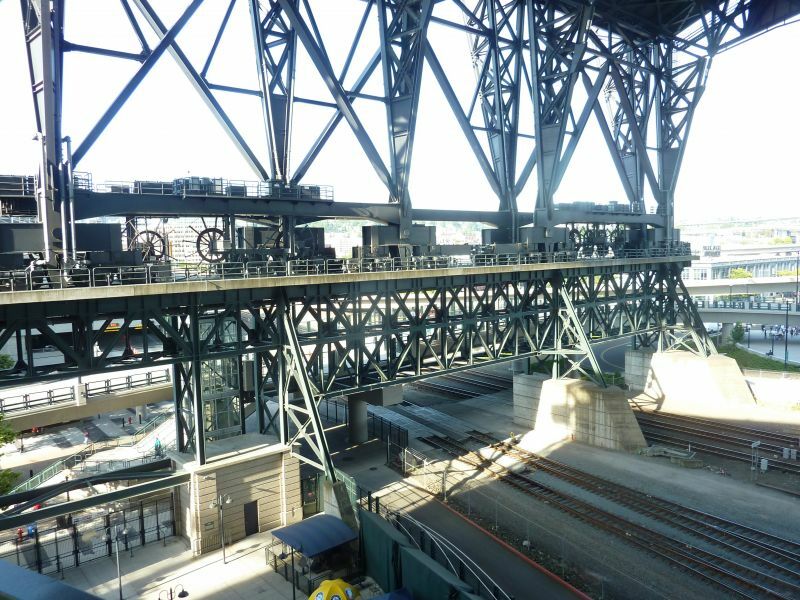 At over $500 million, it’s an extremely ornate facility, with no lavish expense withheld. 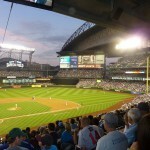 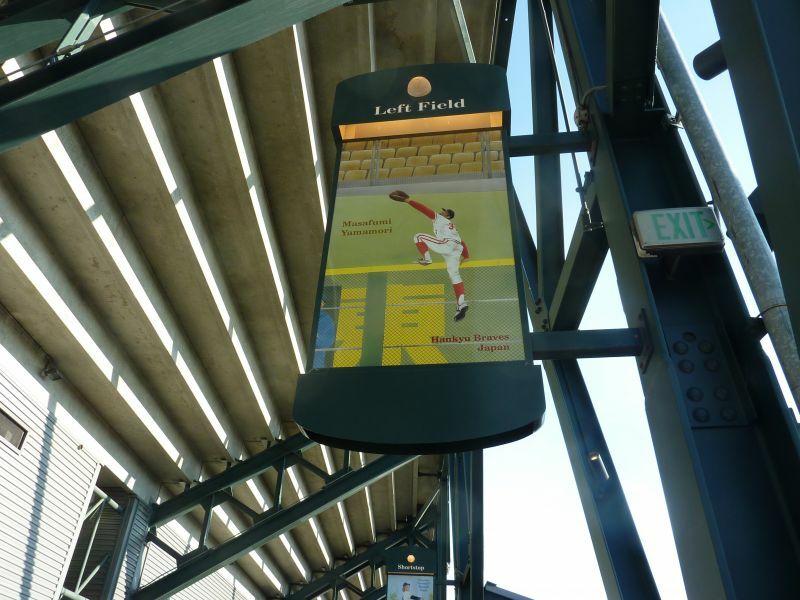 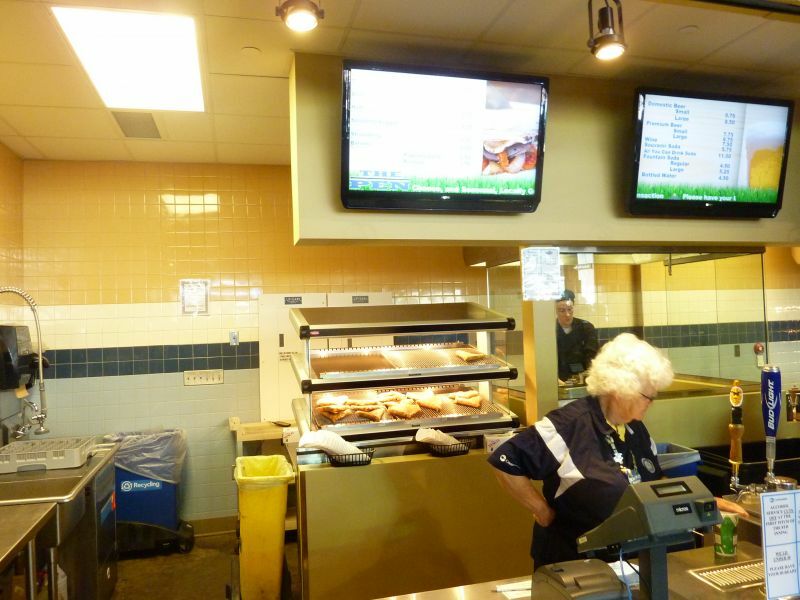 And now in 2013, with the addition of the new videoboard, it may be the most objectively superior experience in the majors. 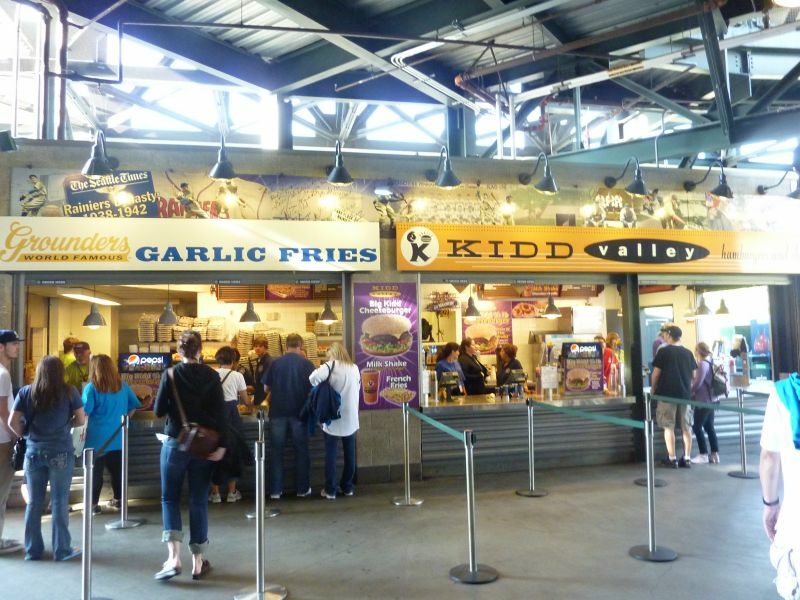 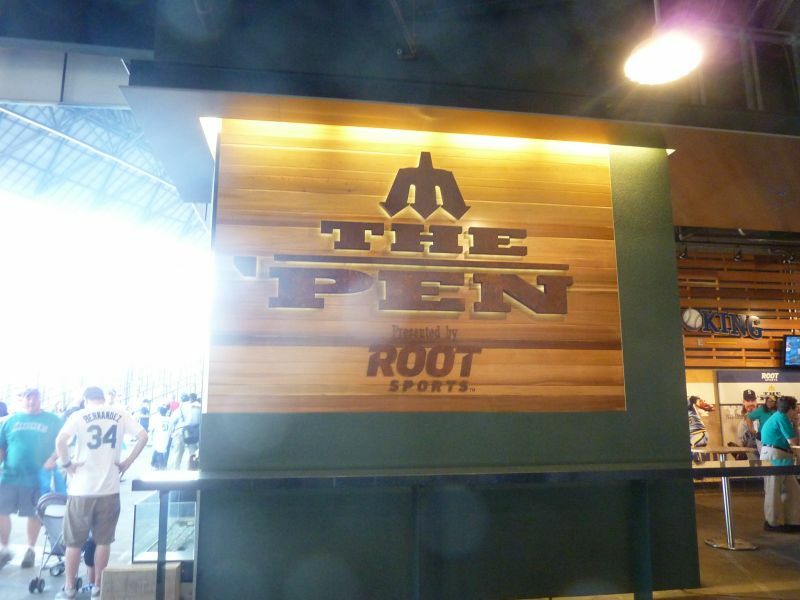 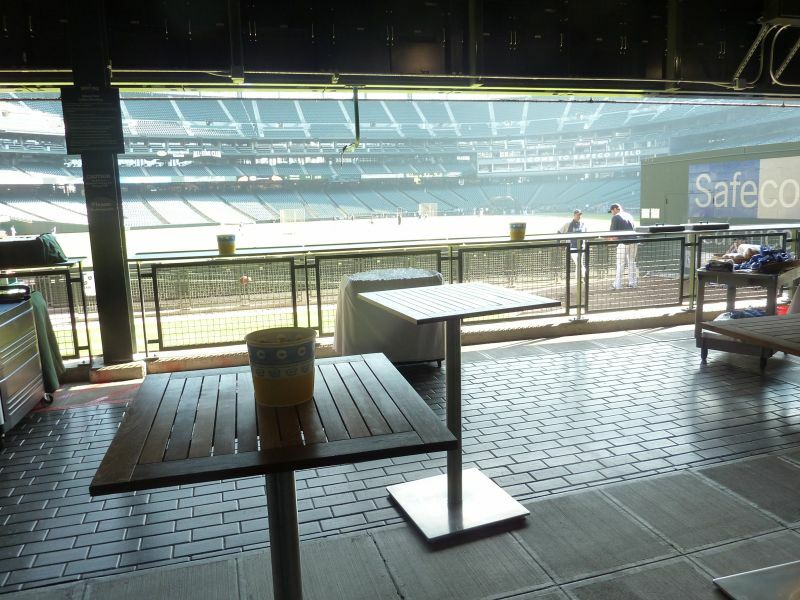 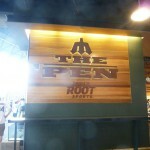 When you take it all together, Safeco Field is probably the most fan friendly facility in sports, especially with the addition of “The Pen” in 2011 and Edgar’s Cantina in 2013. 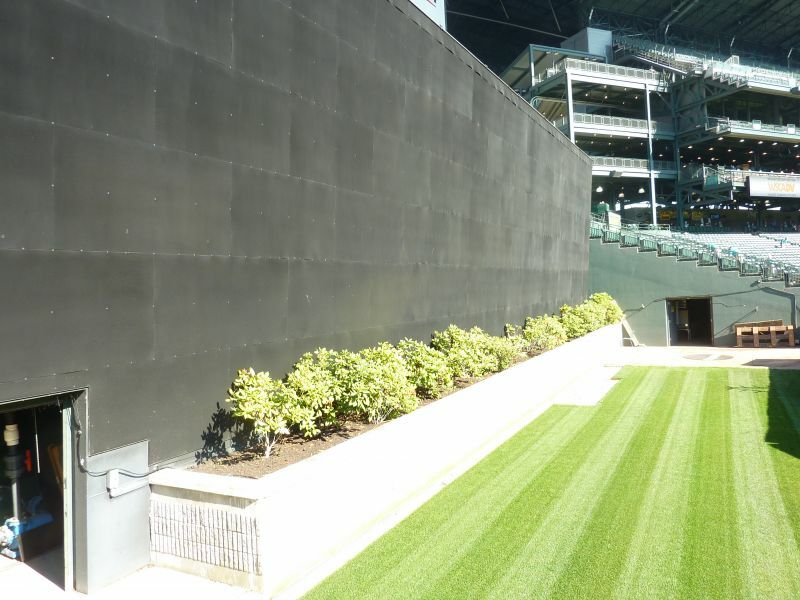 In no other ballpark, can any fan walk right up to the centerfield wall or have an unobstructed view of the bullpens only inches away. 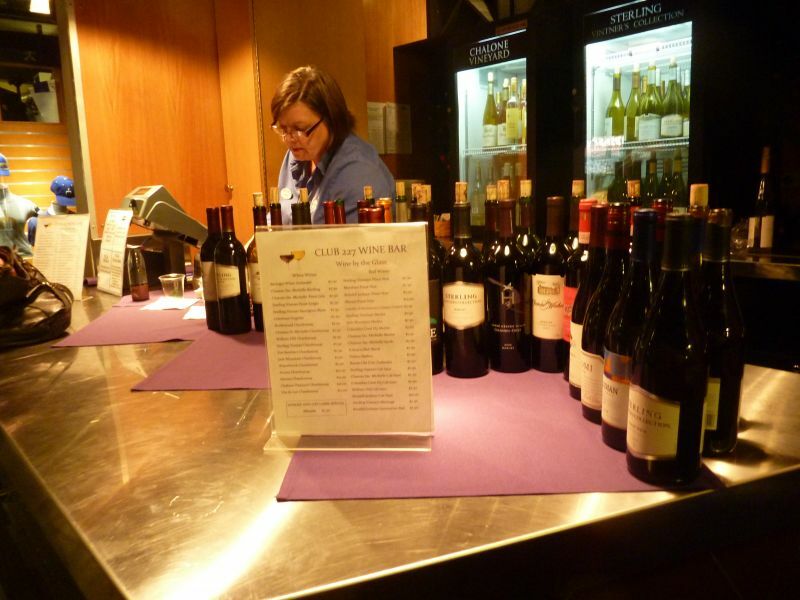 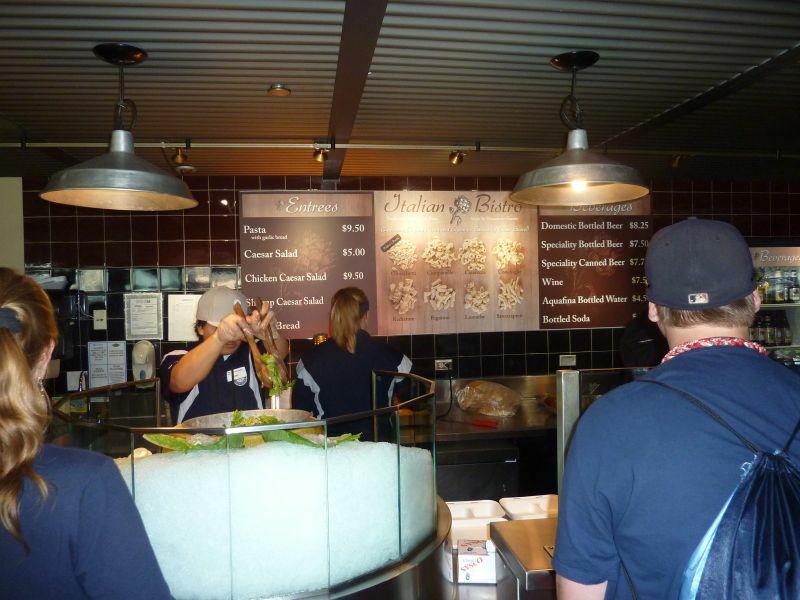 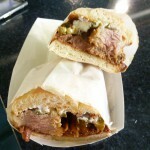 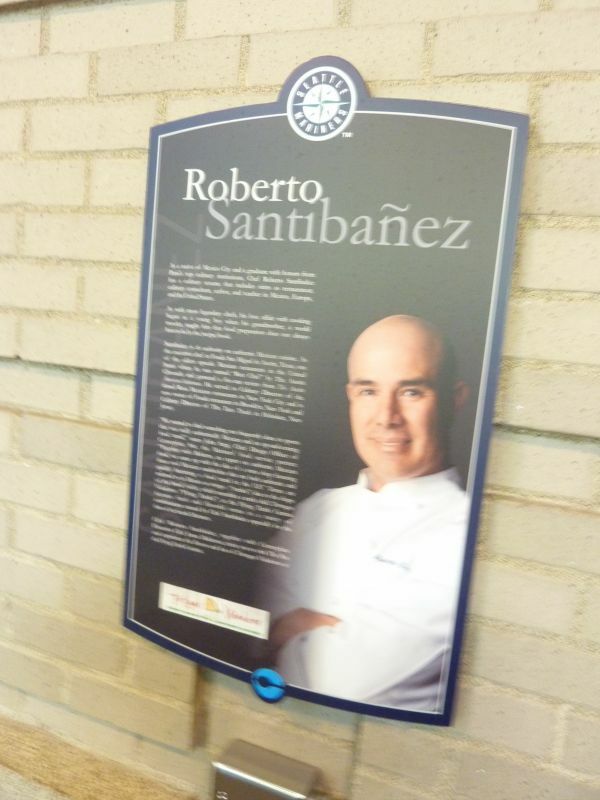 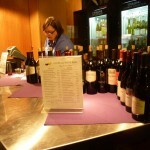 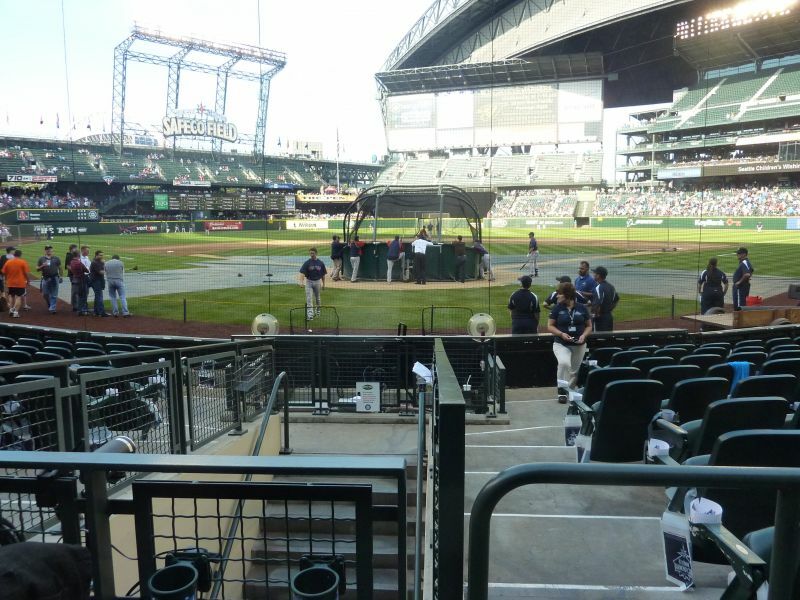 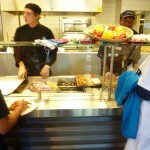 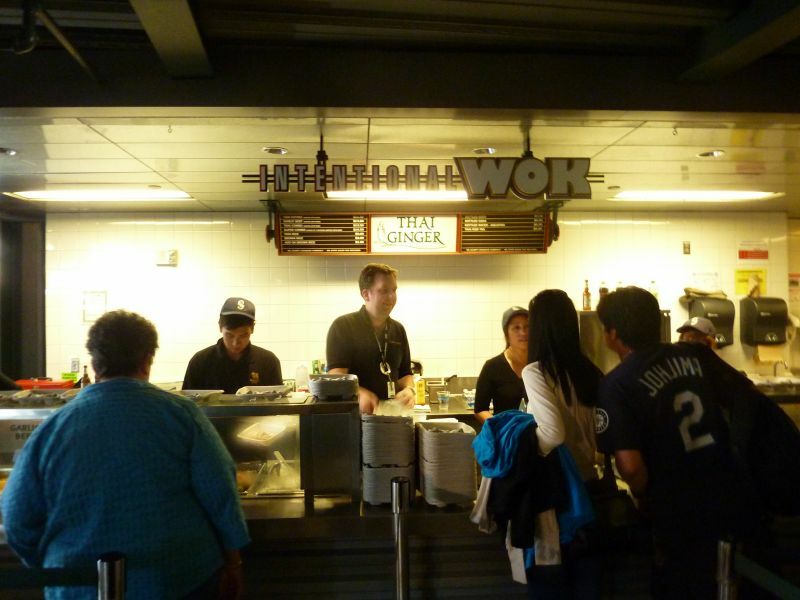 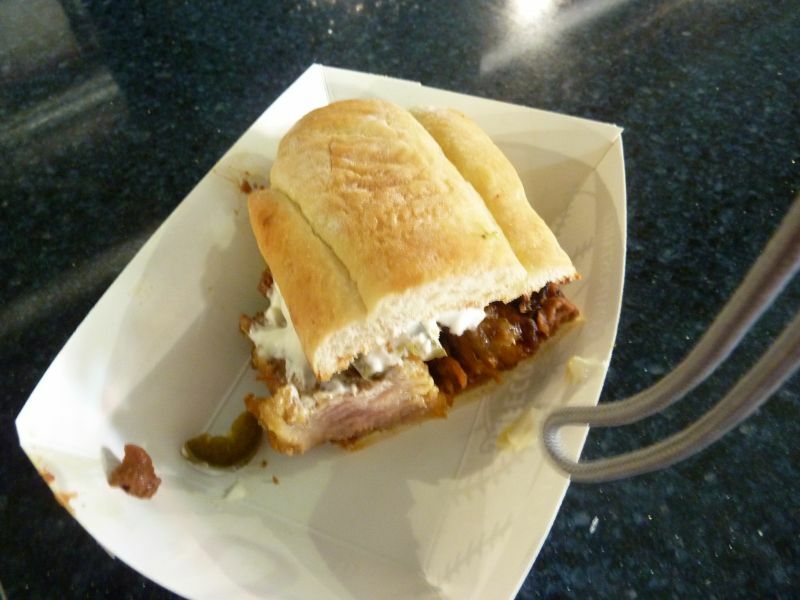 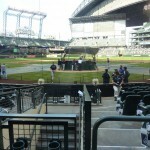 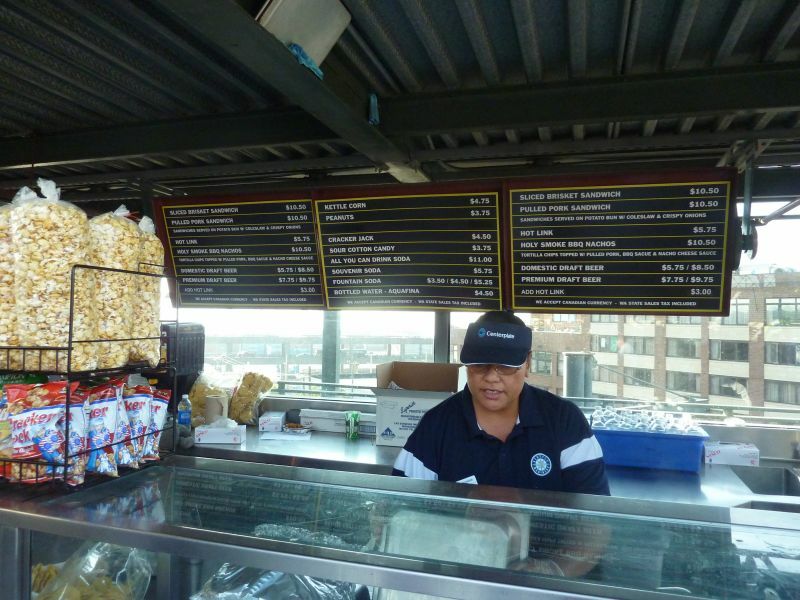 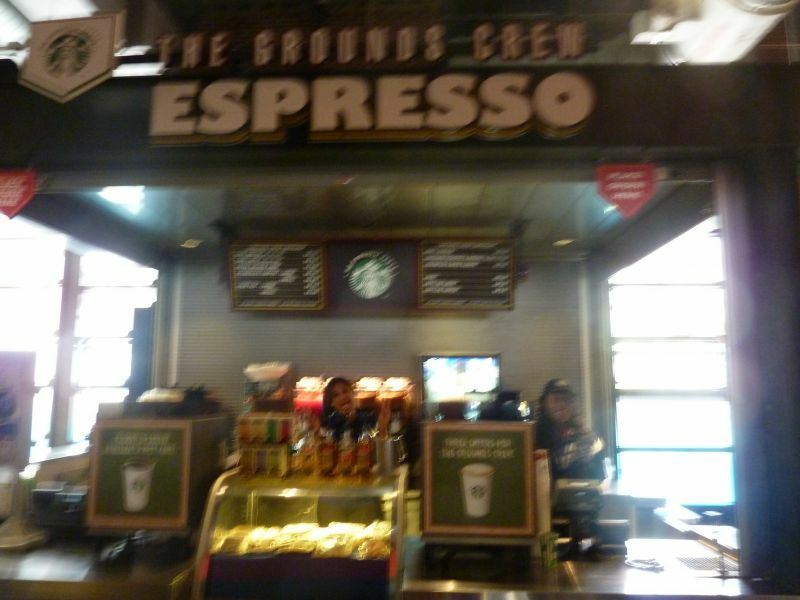 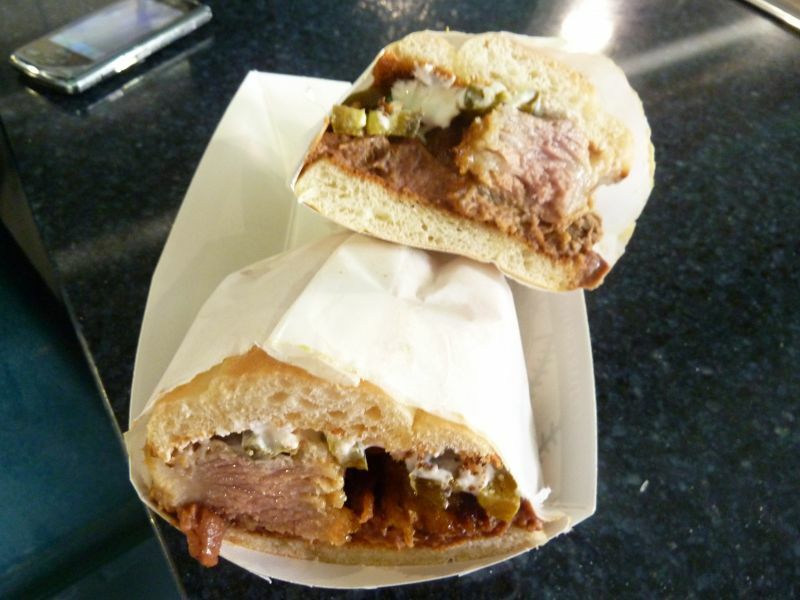 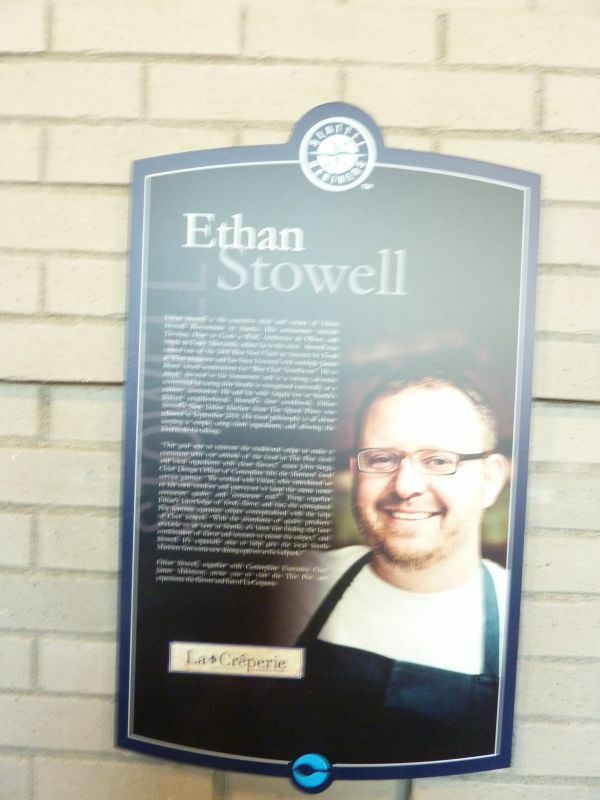 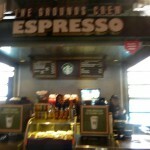 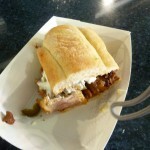 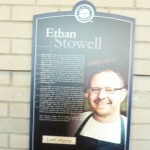 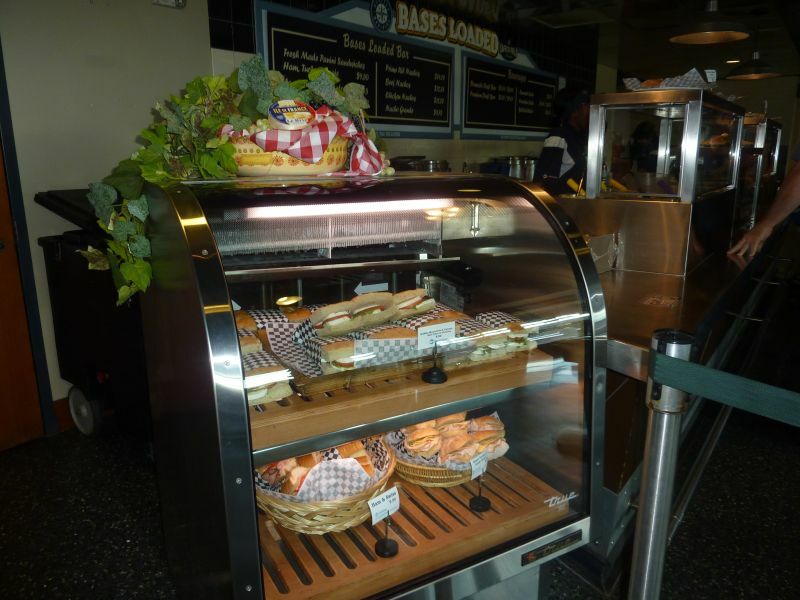 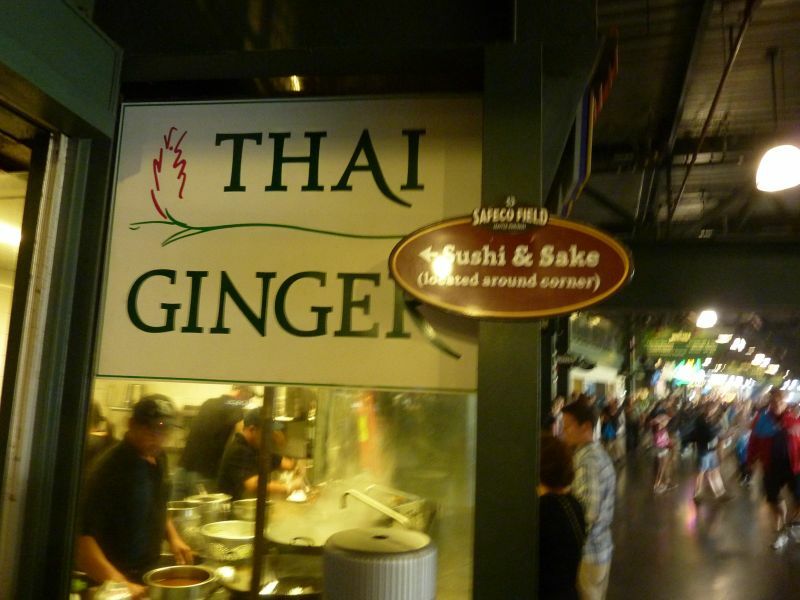 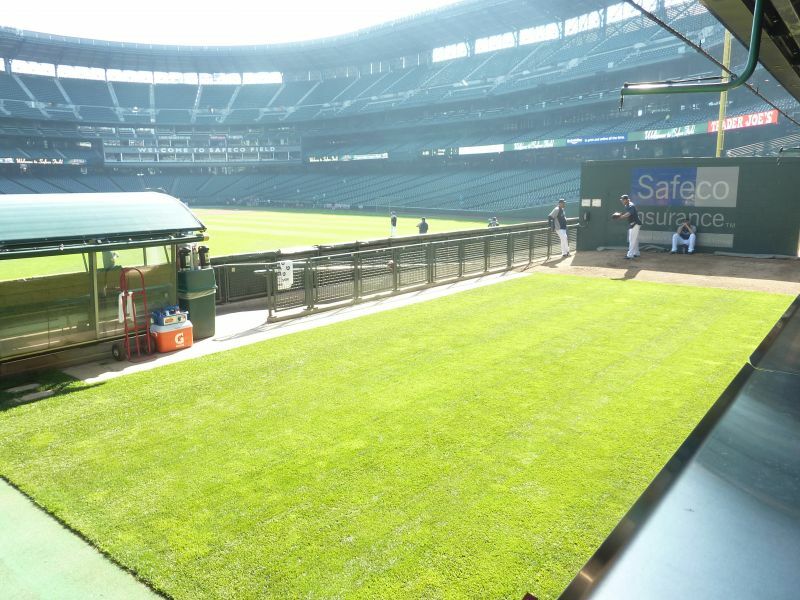 Safeco does so many little things right. 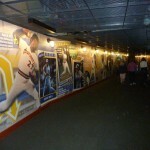 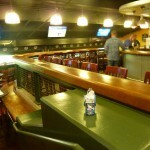 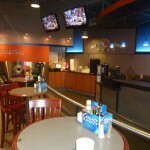 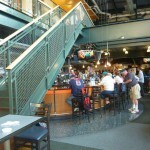 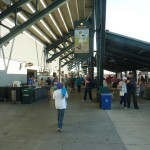 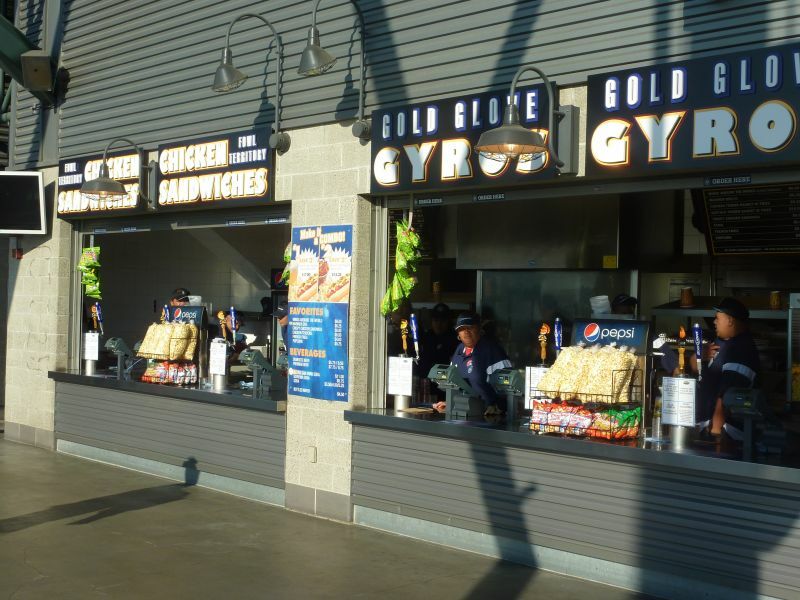 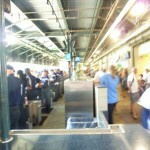 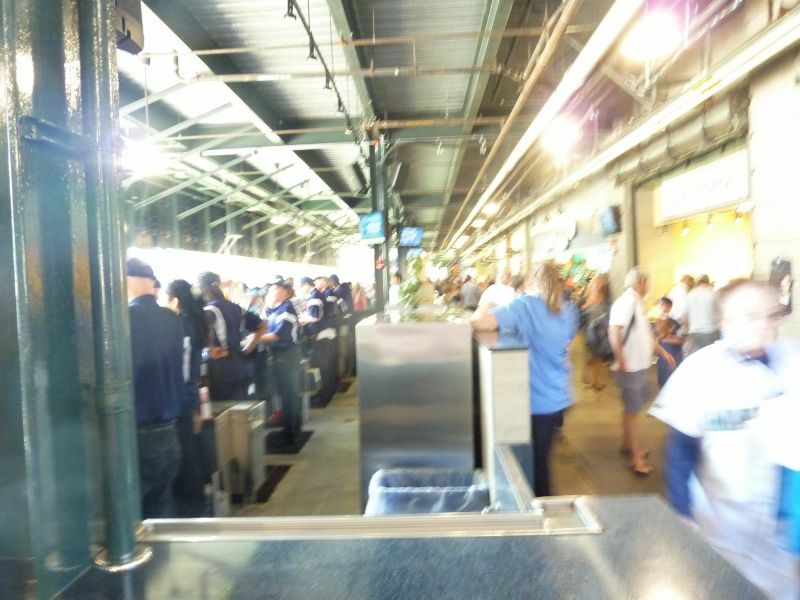 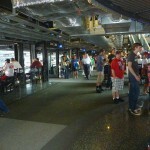 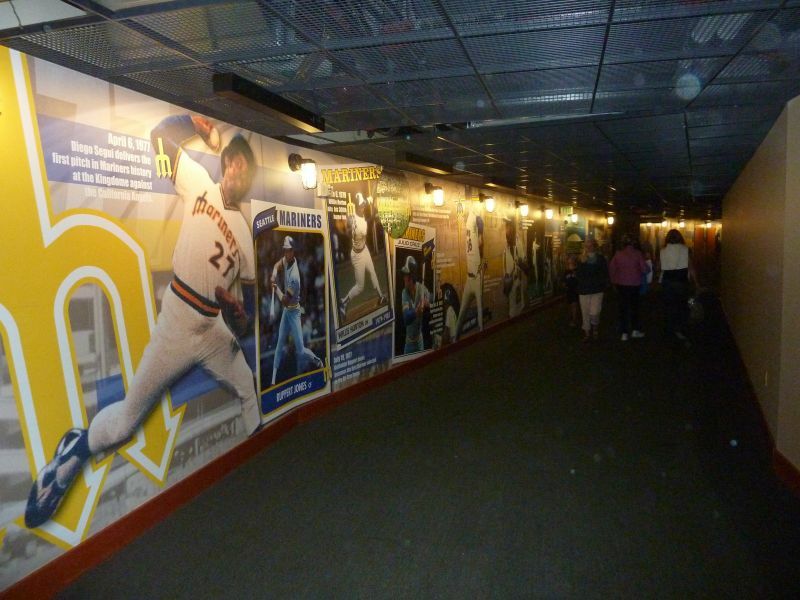 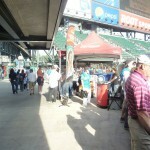 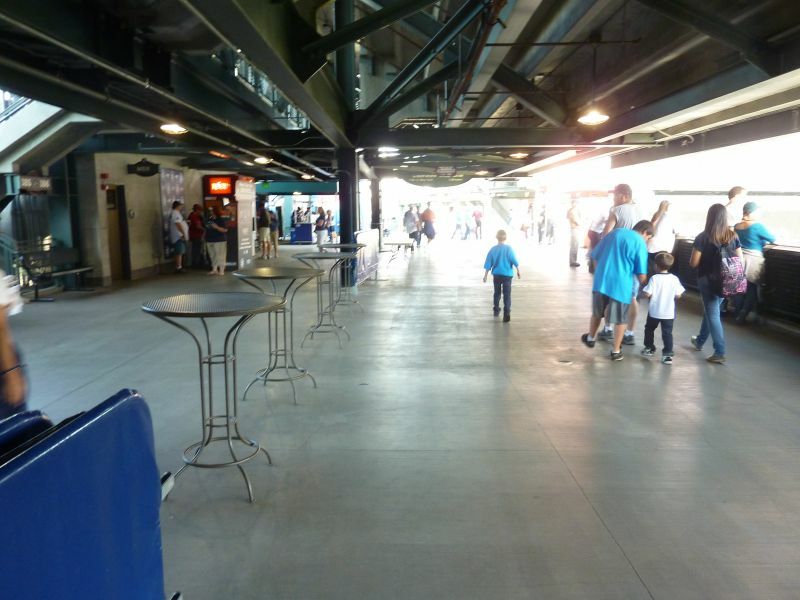 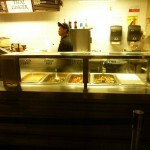 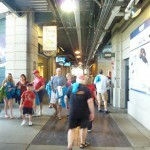 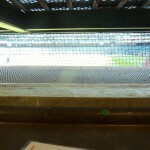 It’s the one ballpark in the majors where I feel like I took more pictures of the concourses than of the field. 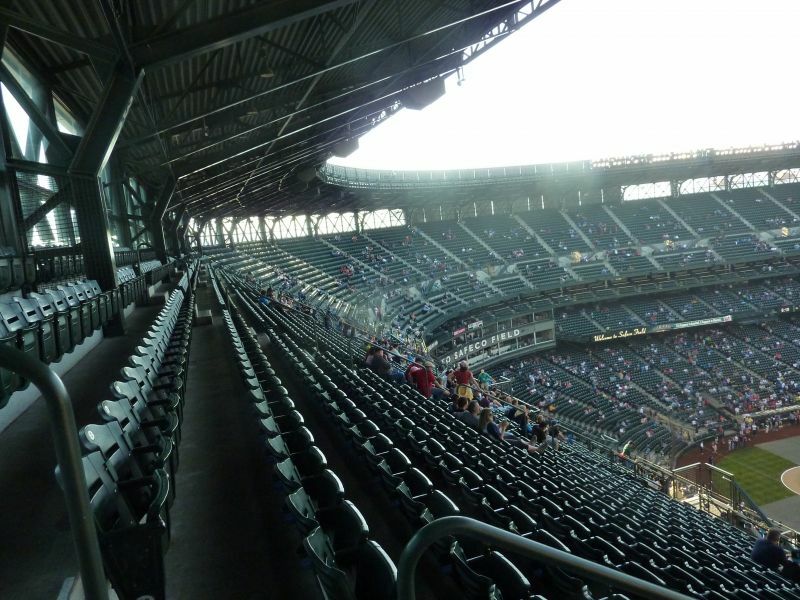 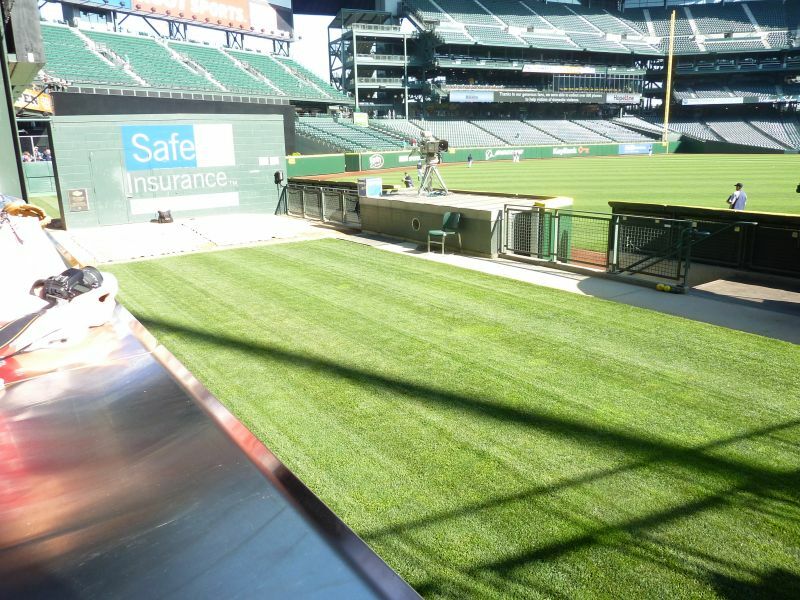 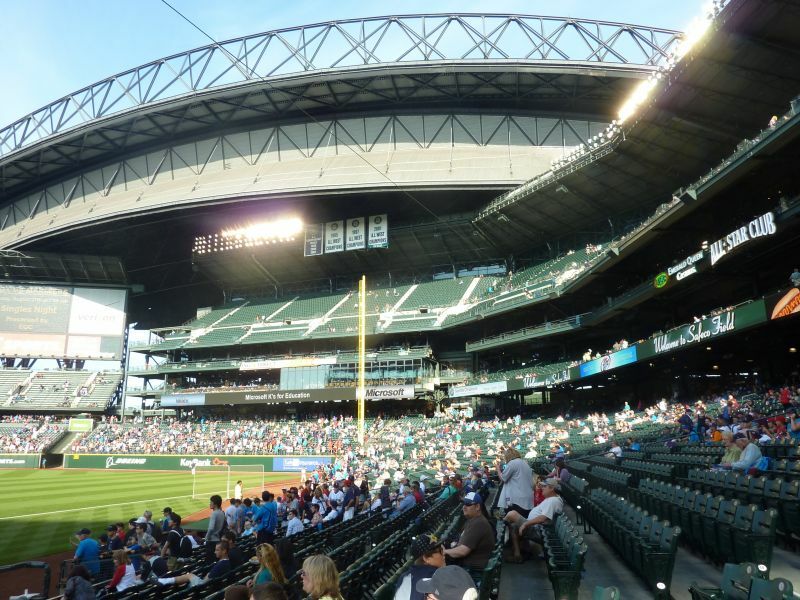 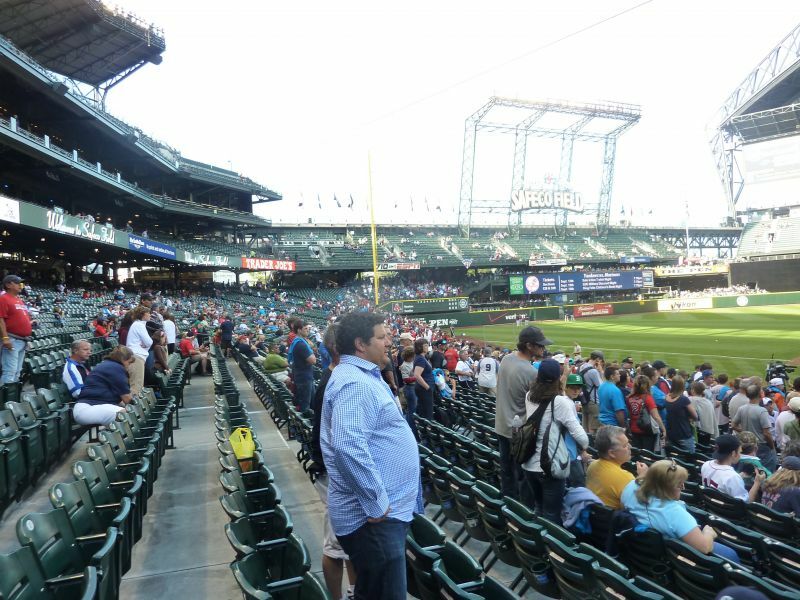 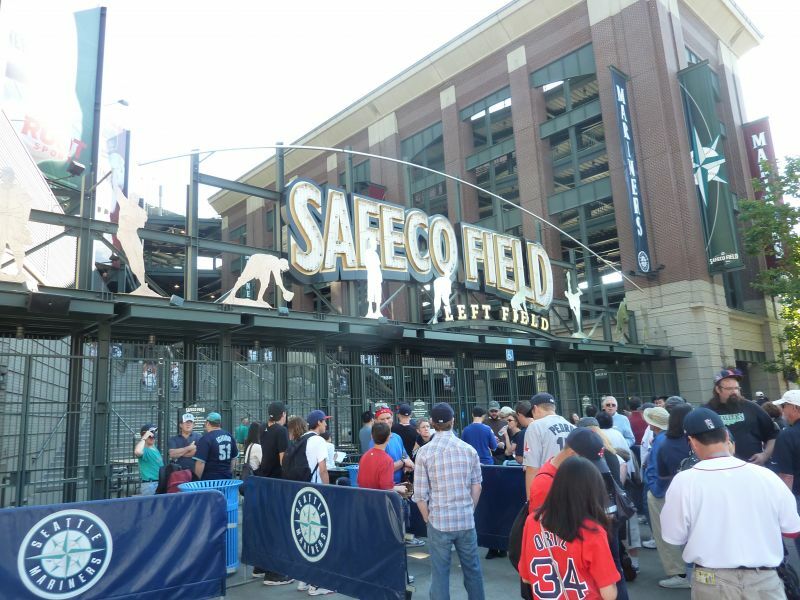 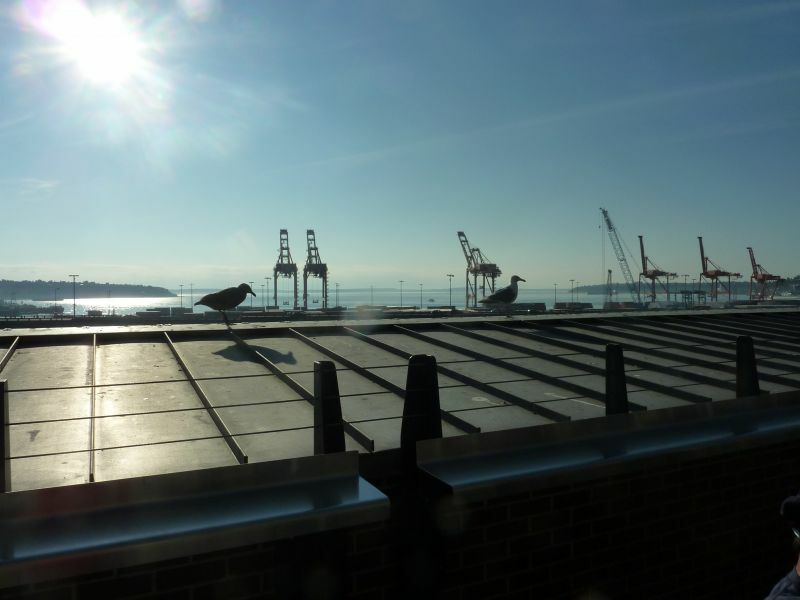 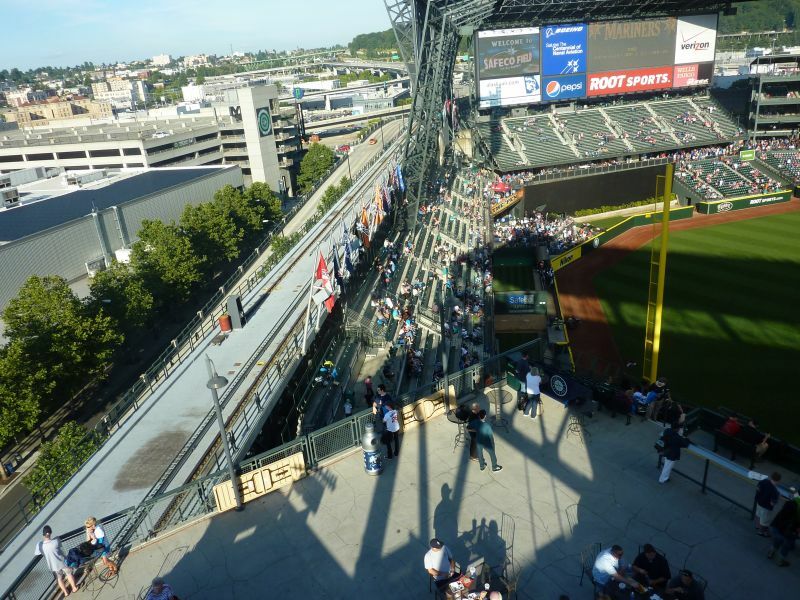 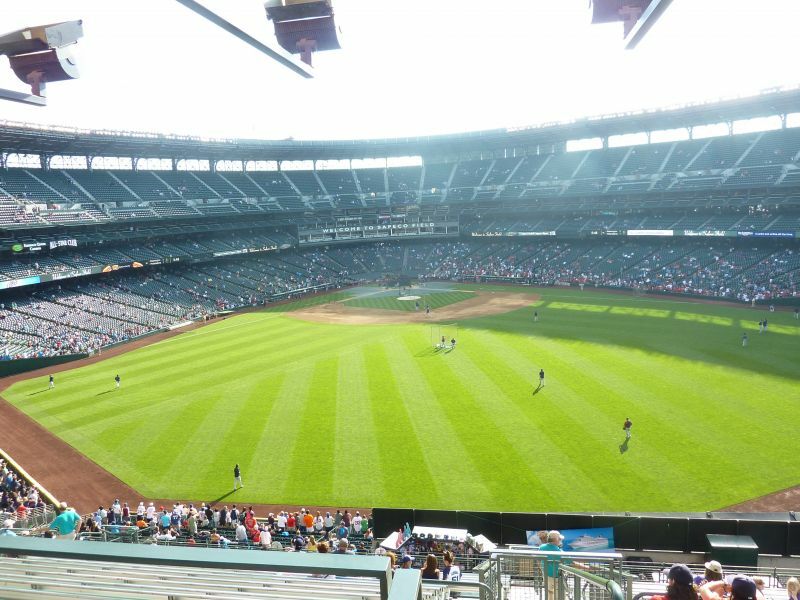 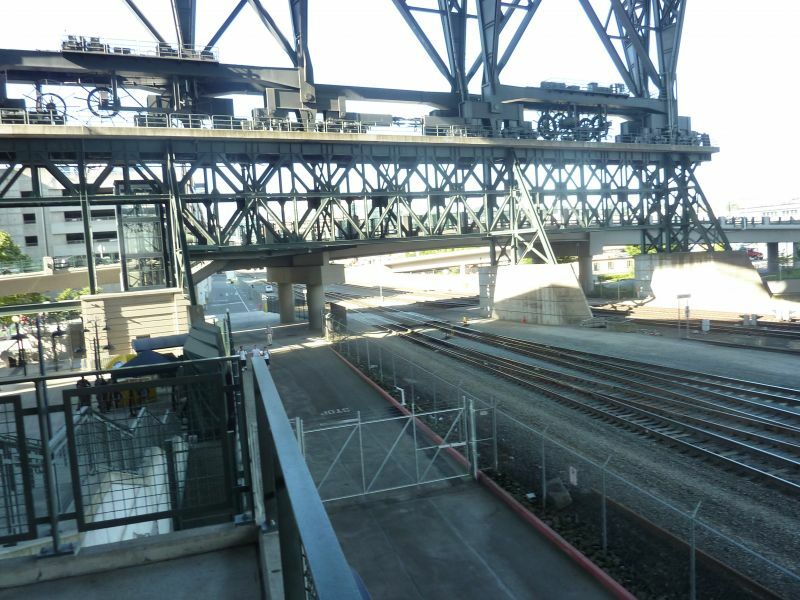 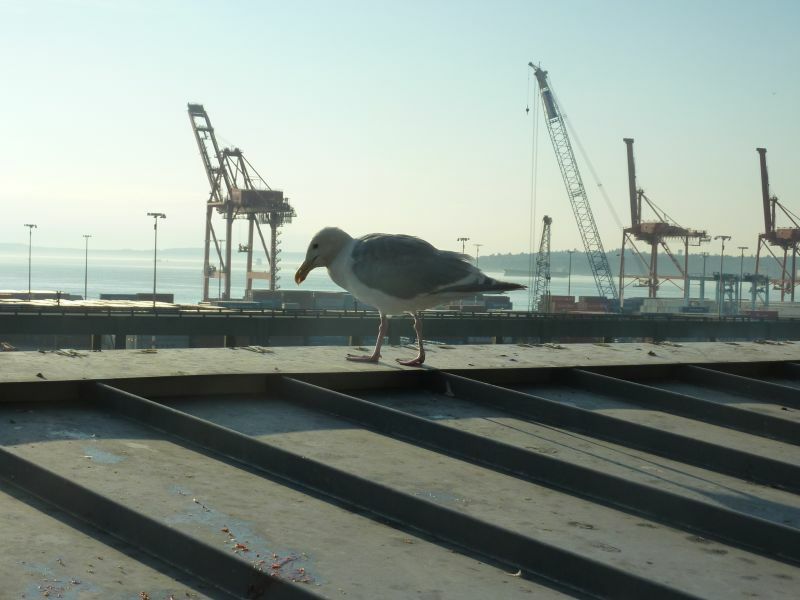 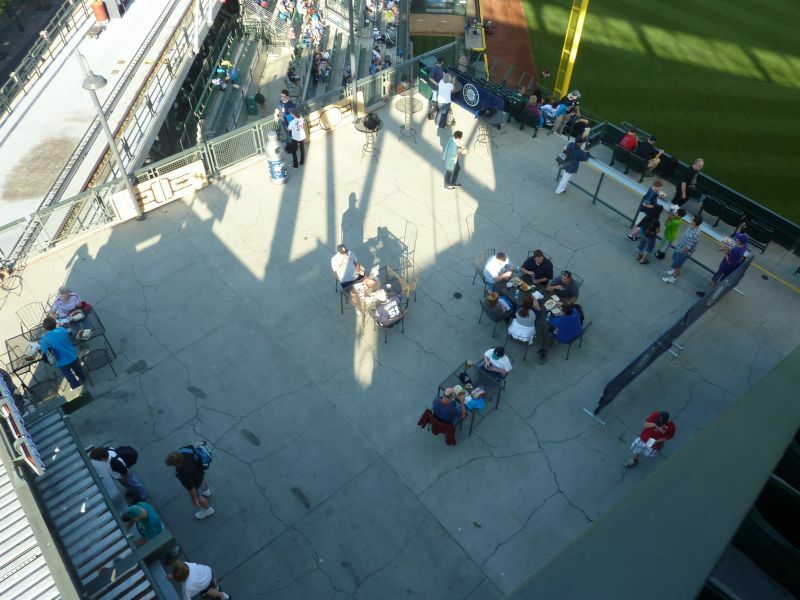 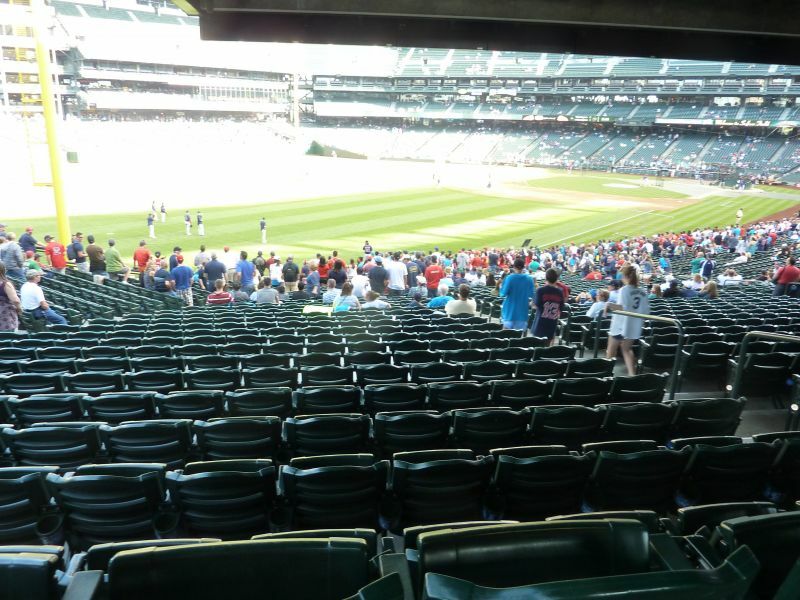 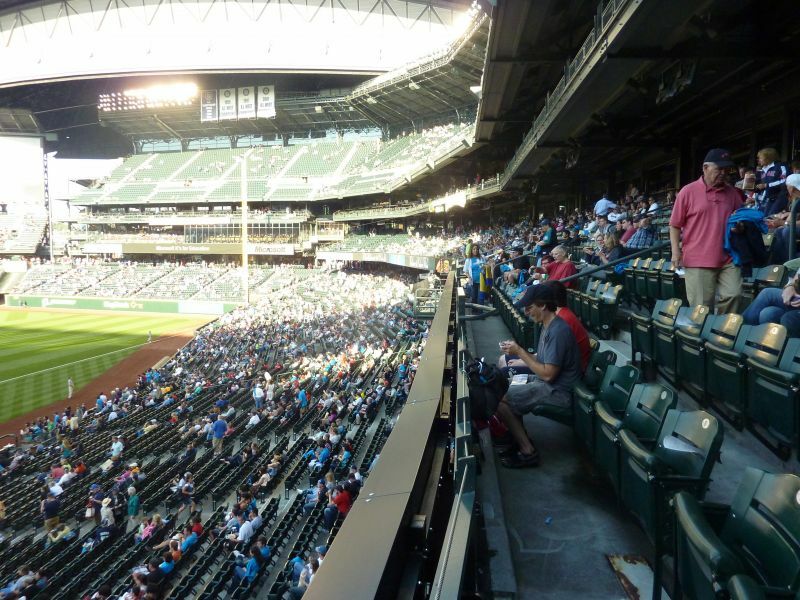 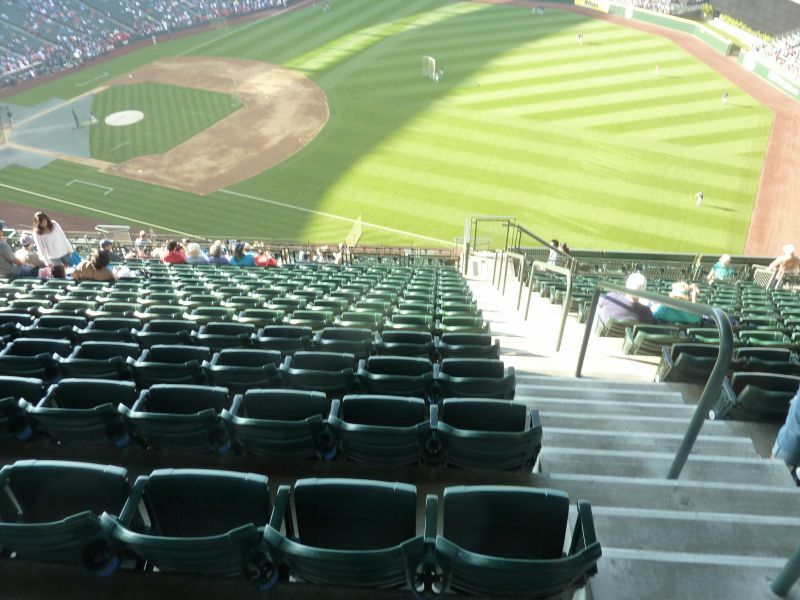 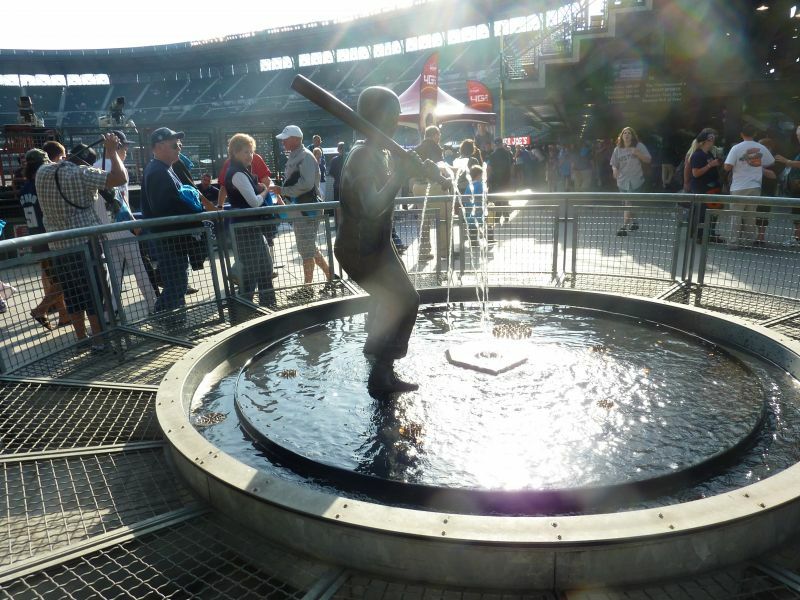 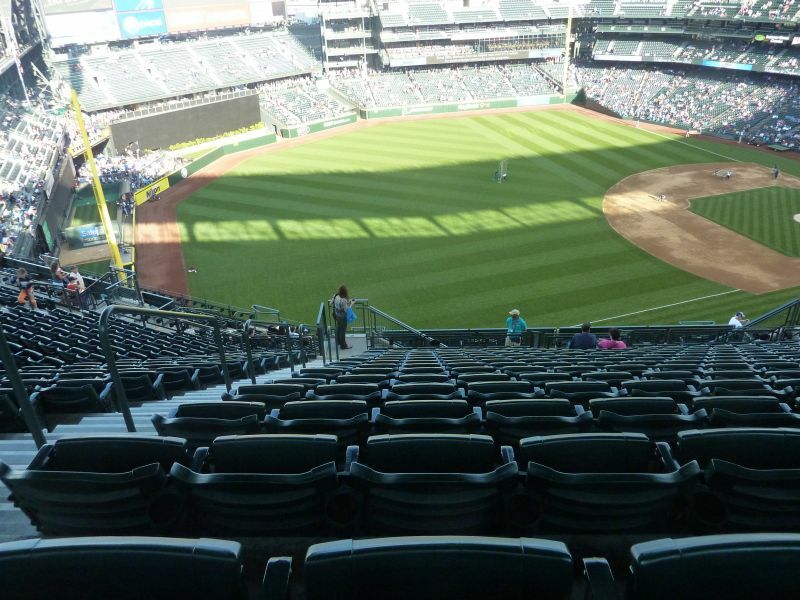 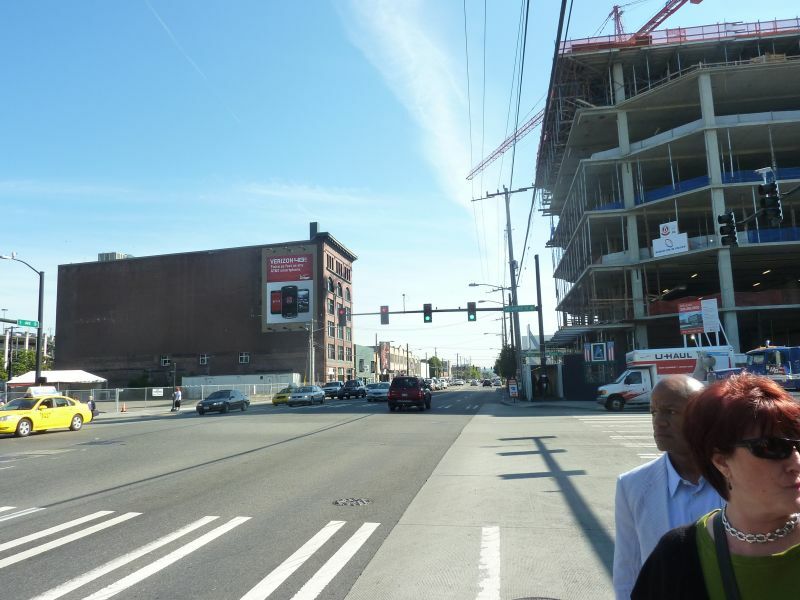 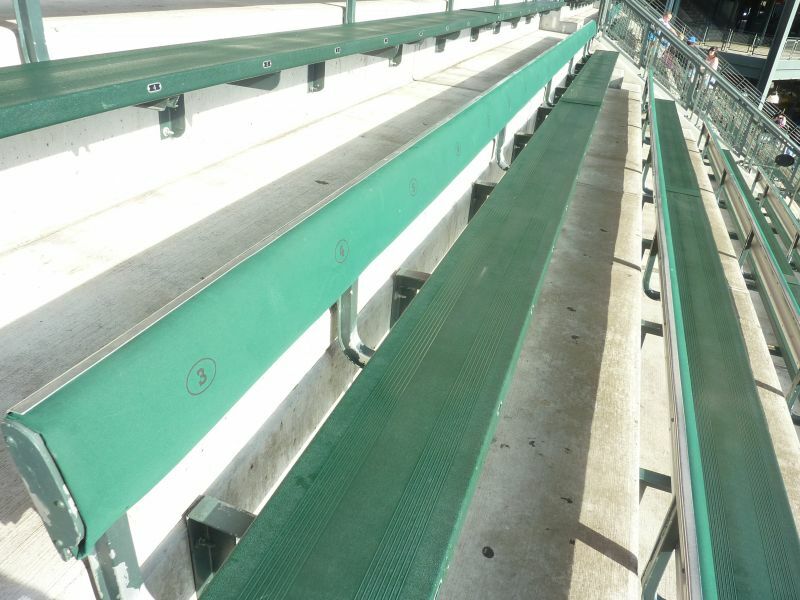 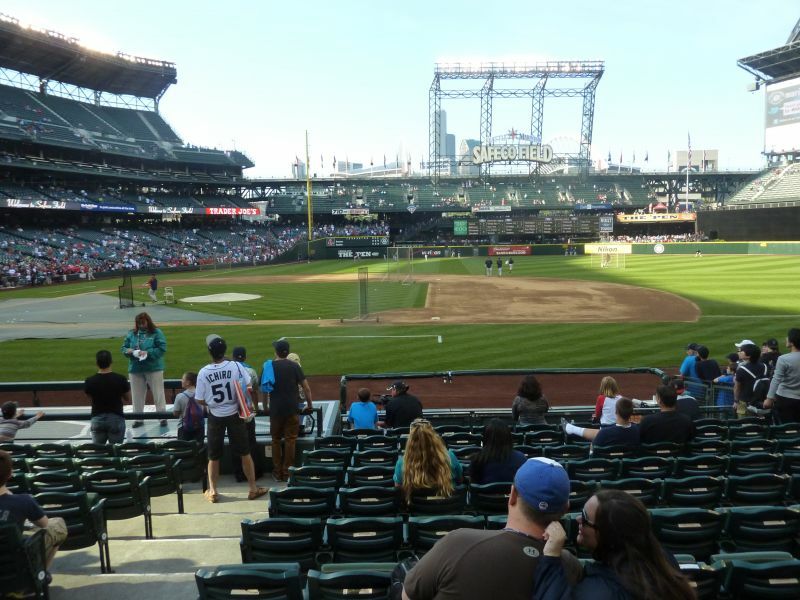 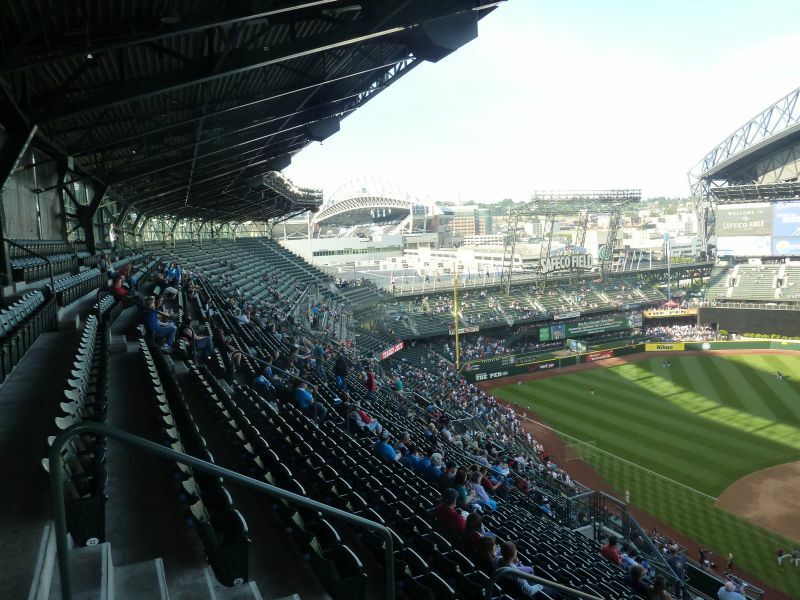 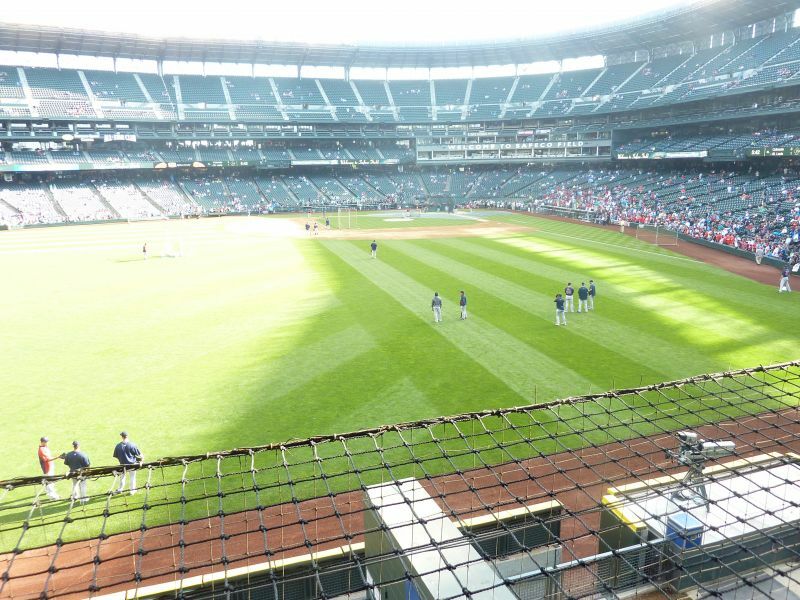 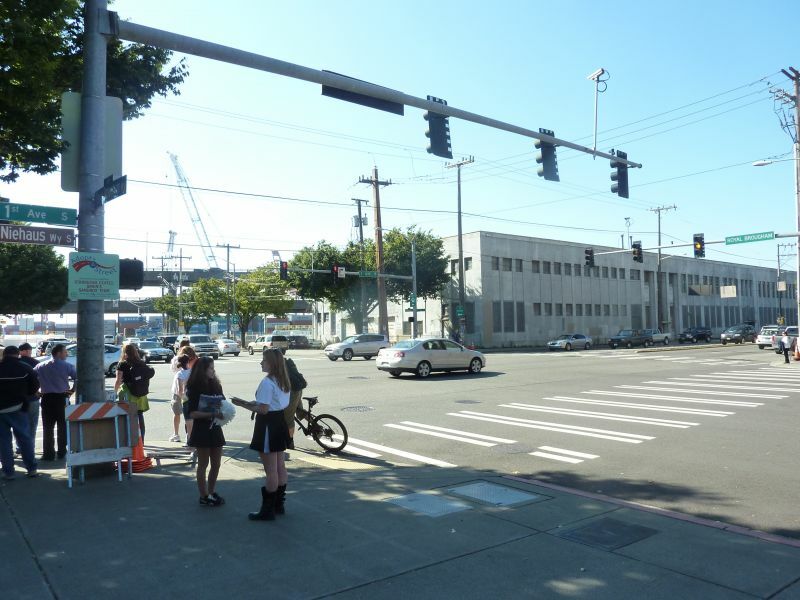 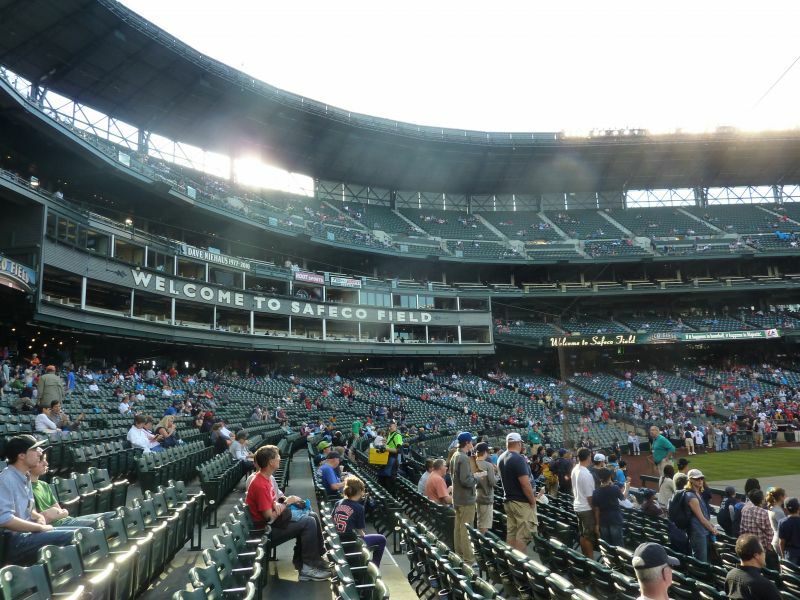 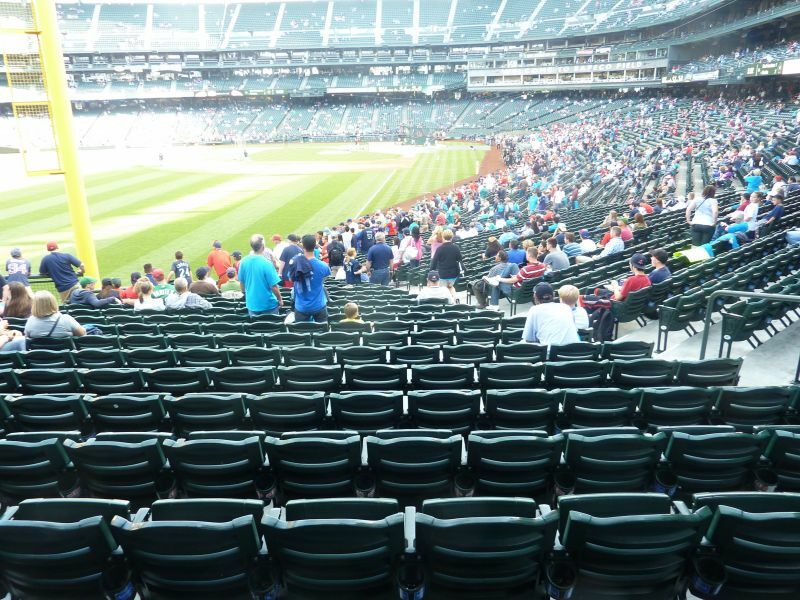 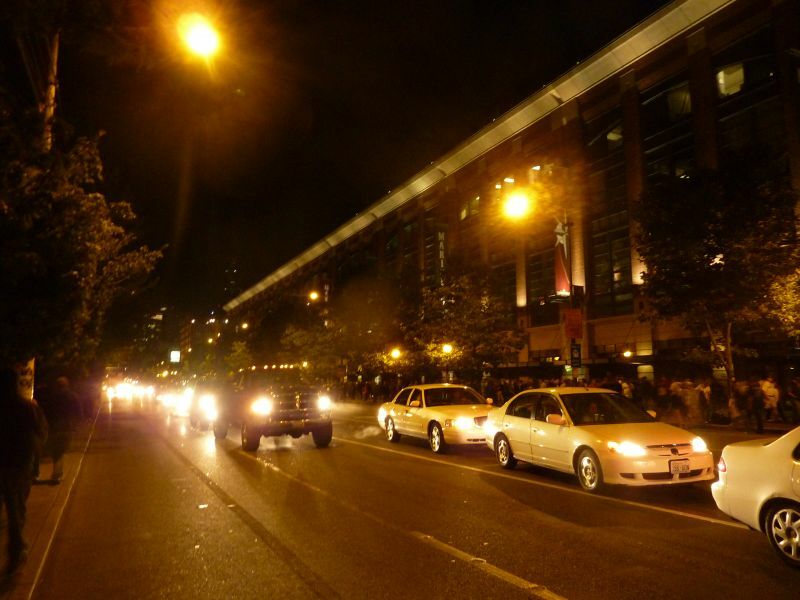 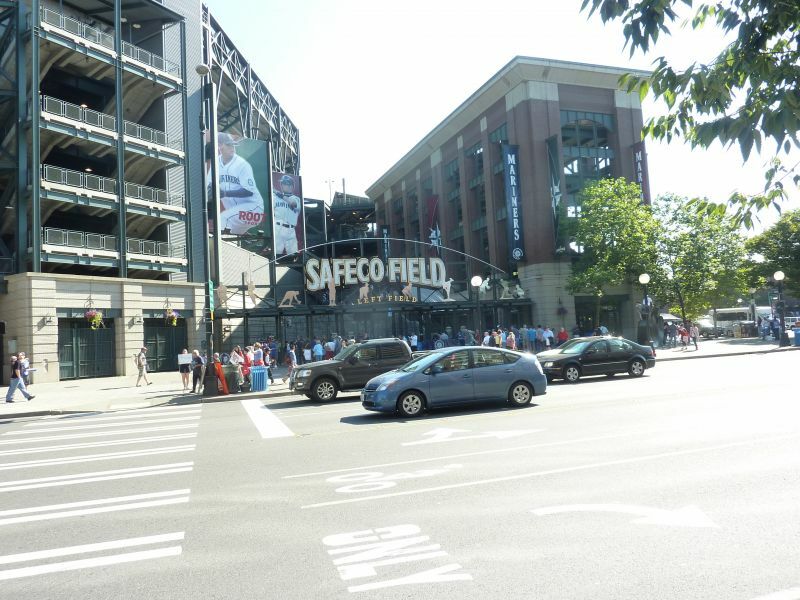 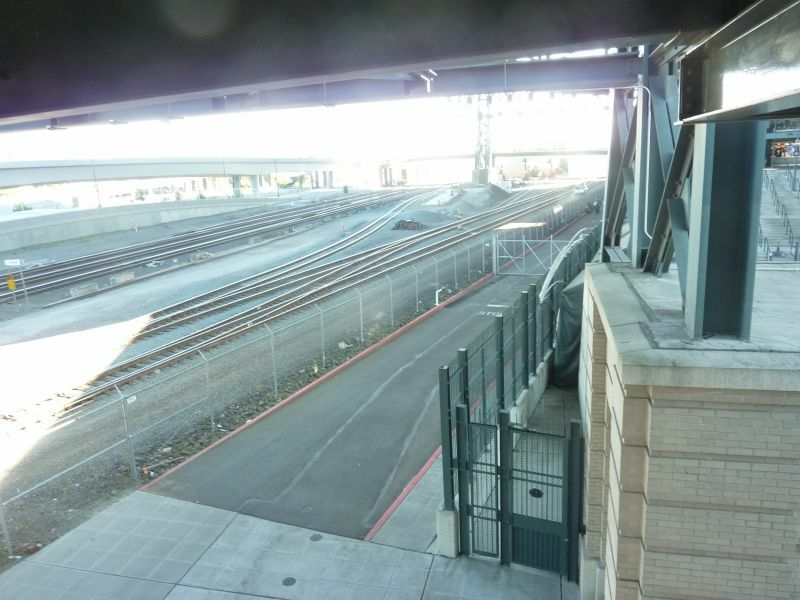 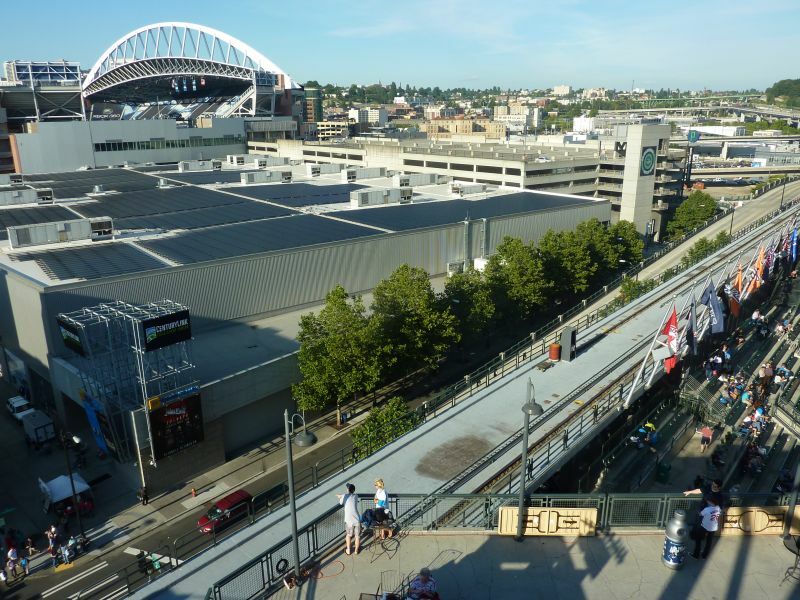 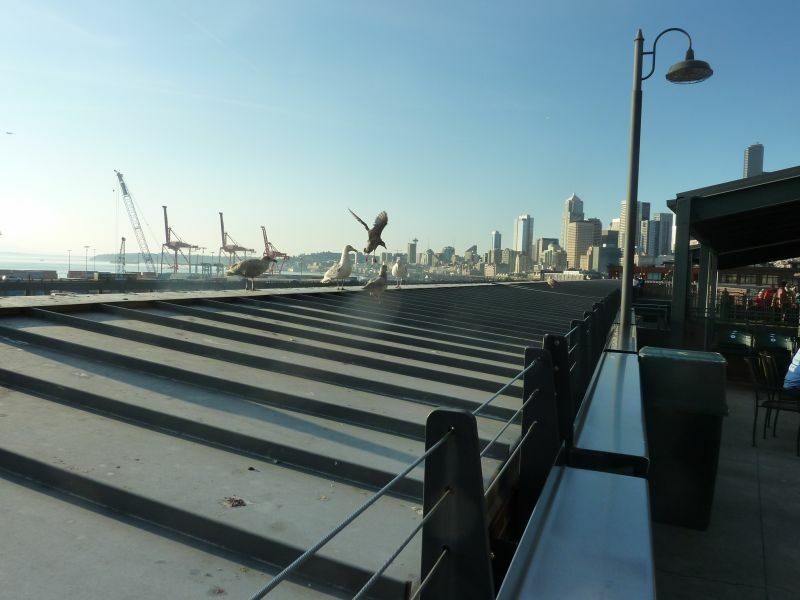 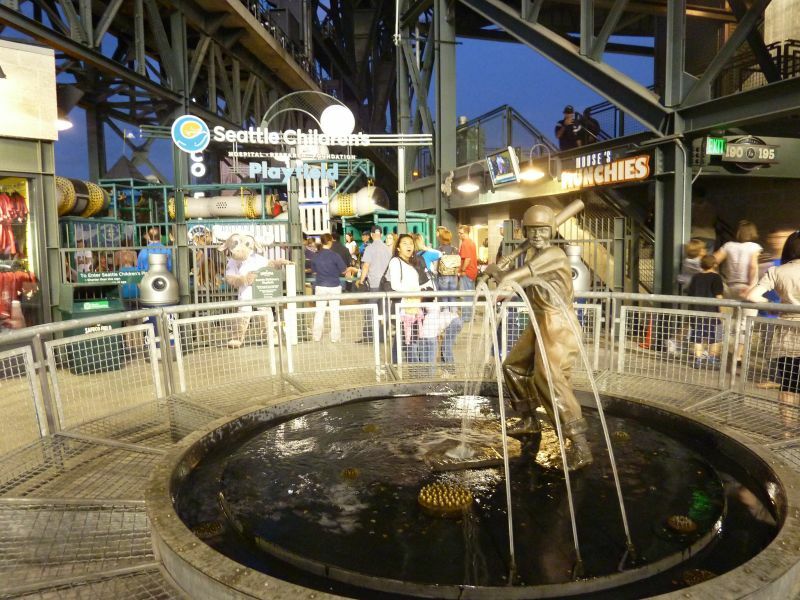 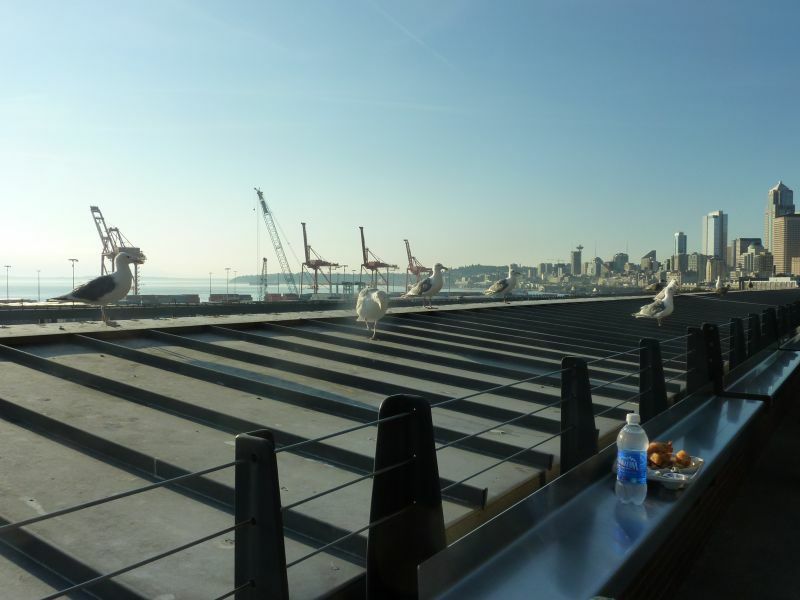 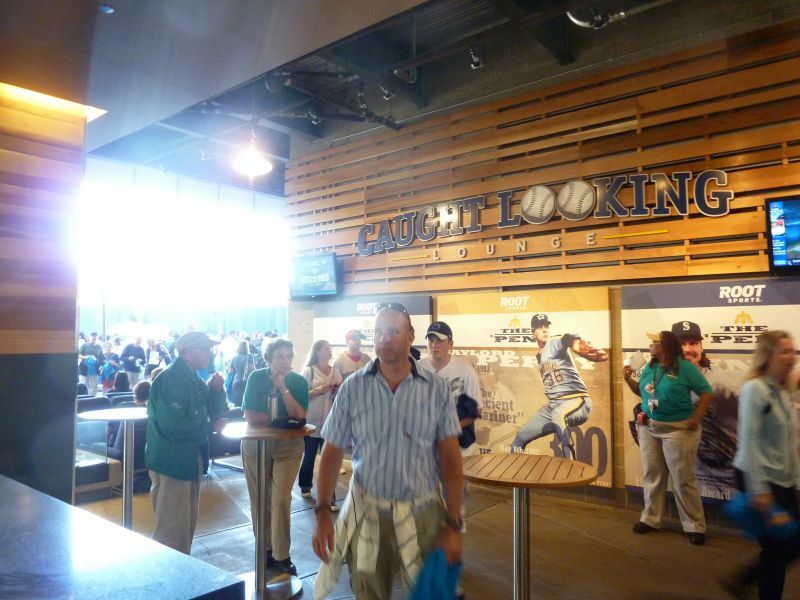 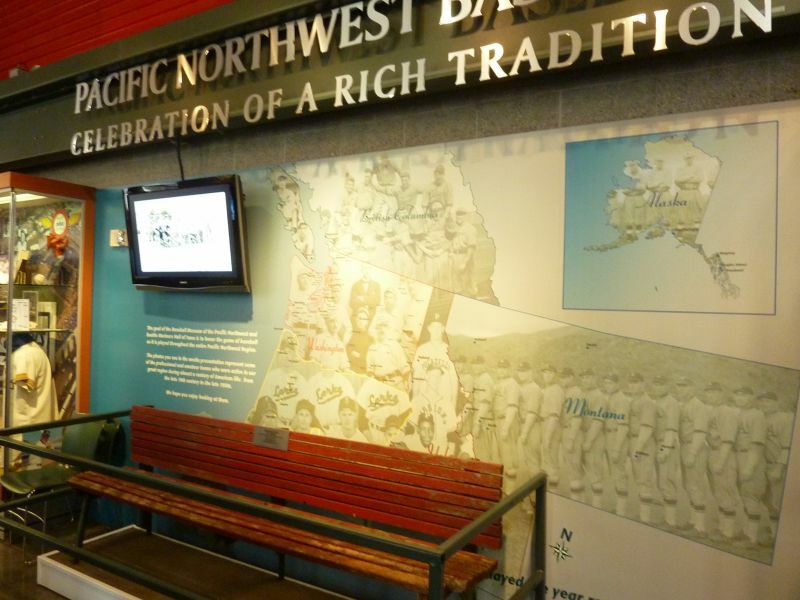 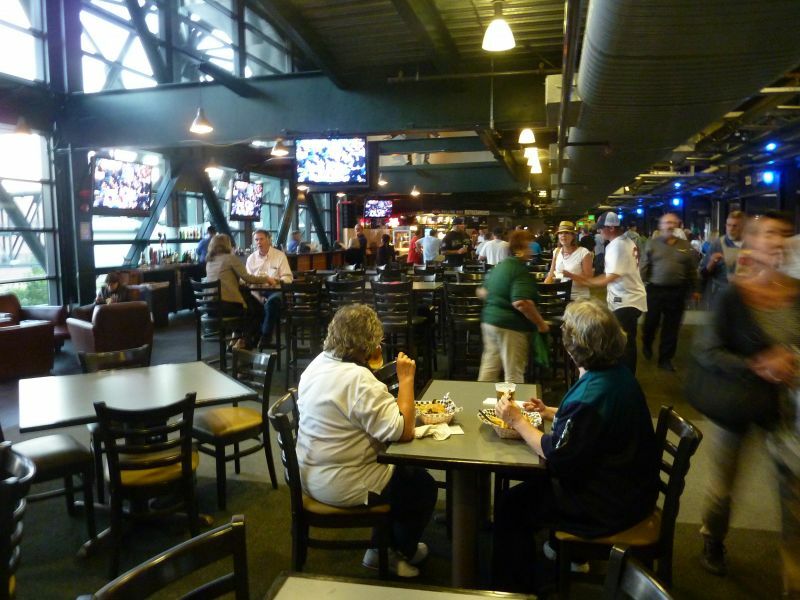 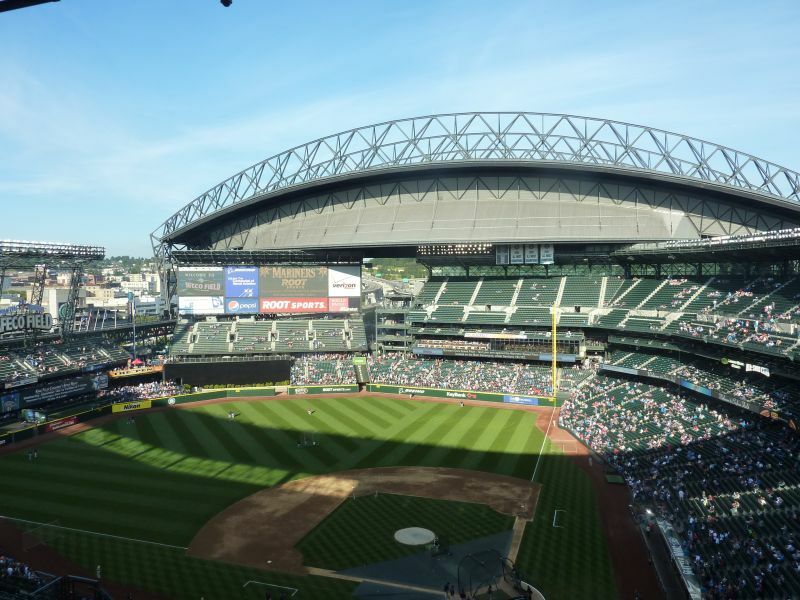 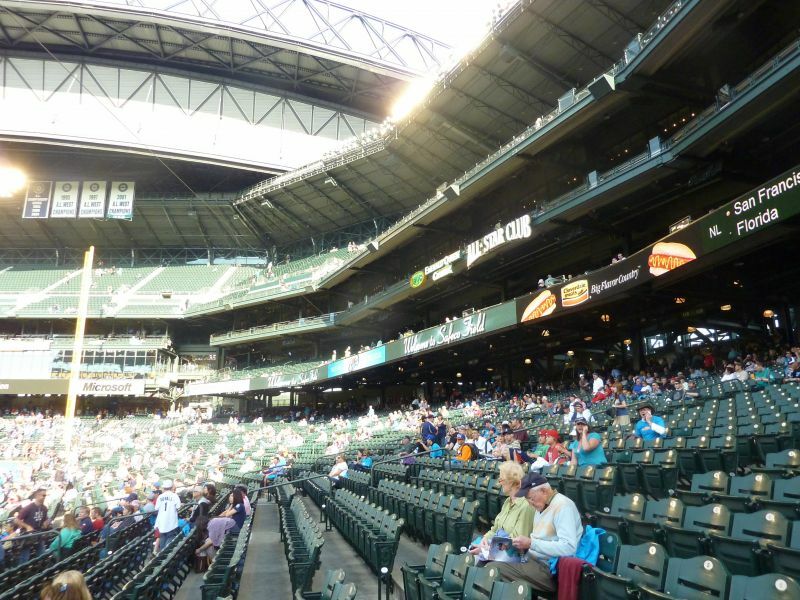 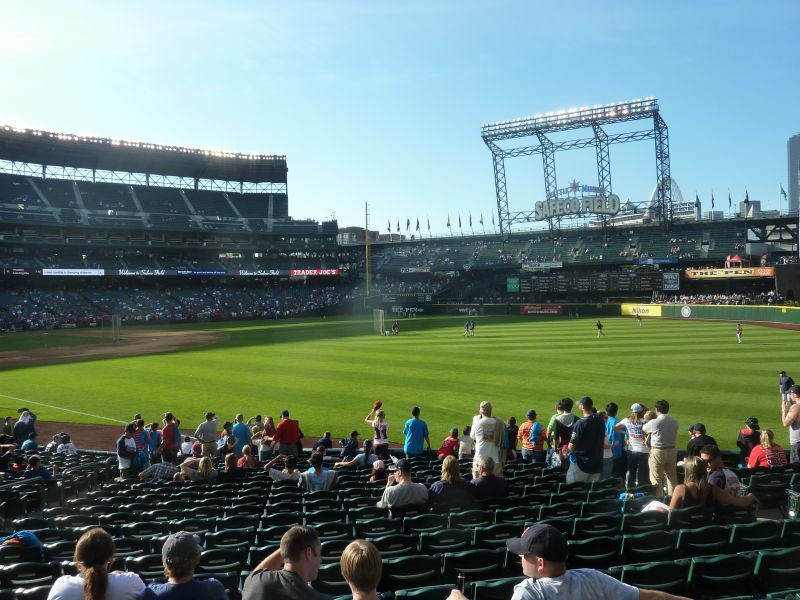 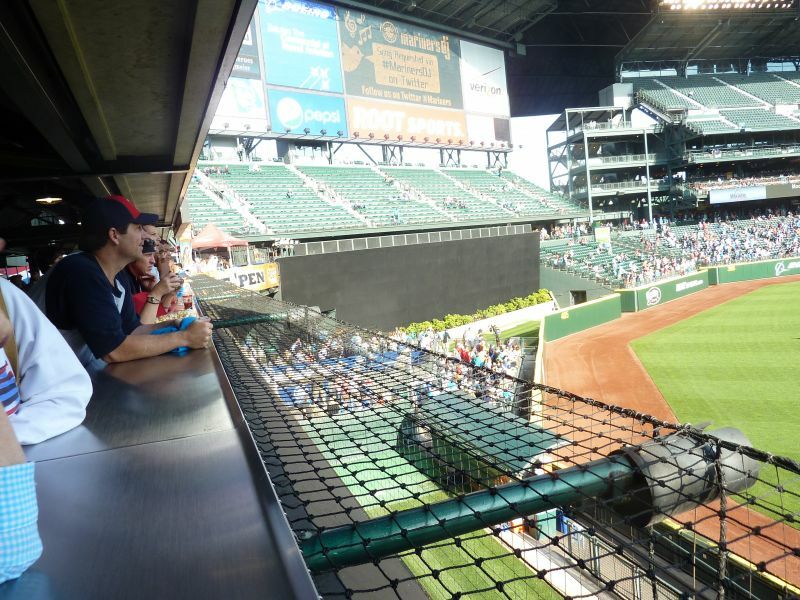 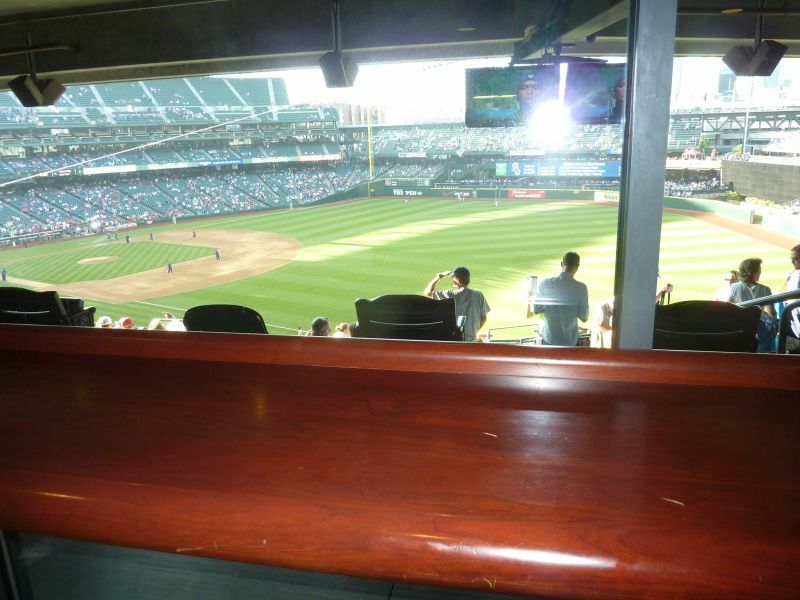 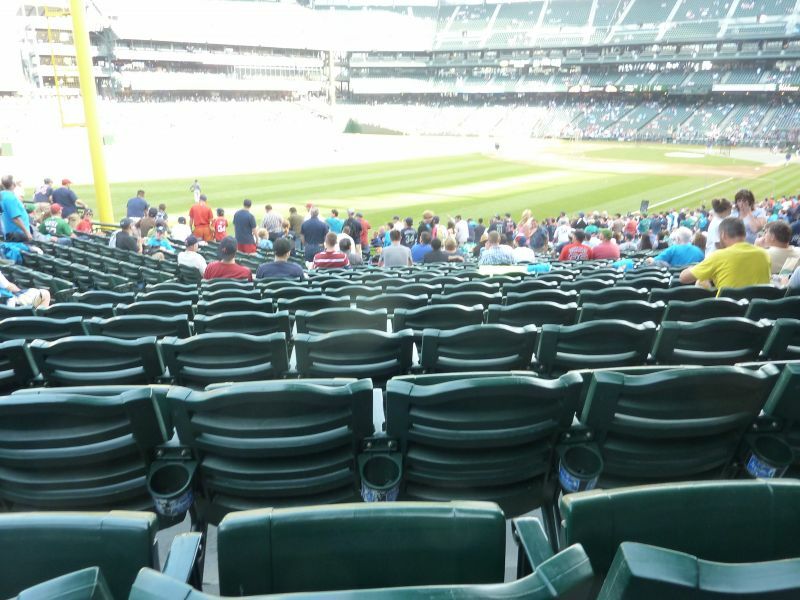 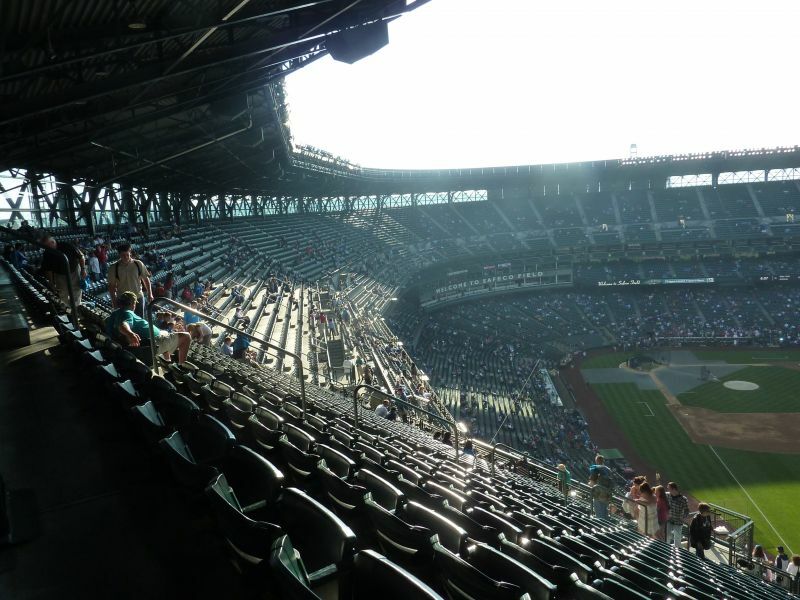 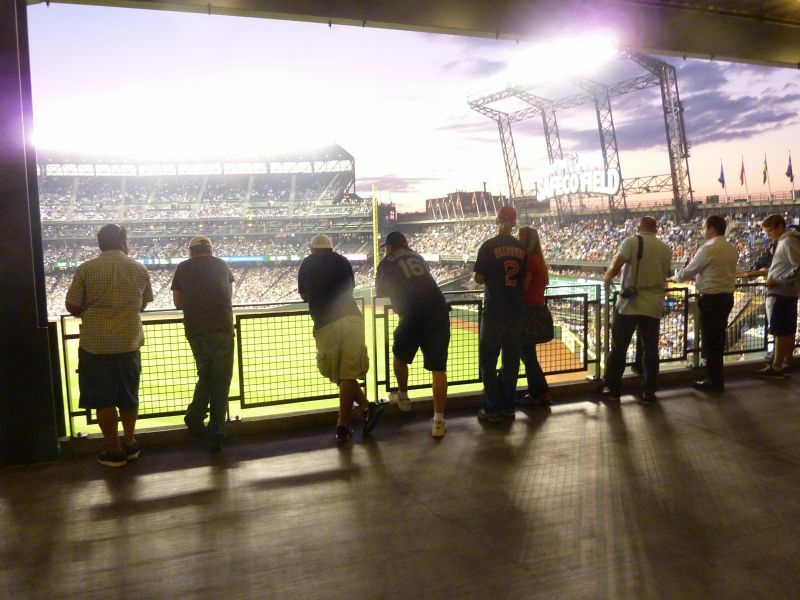 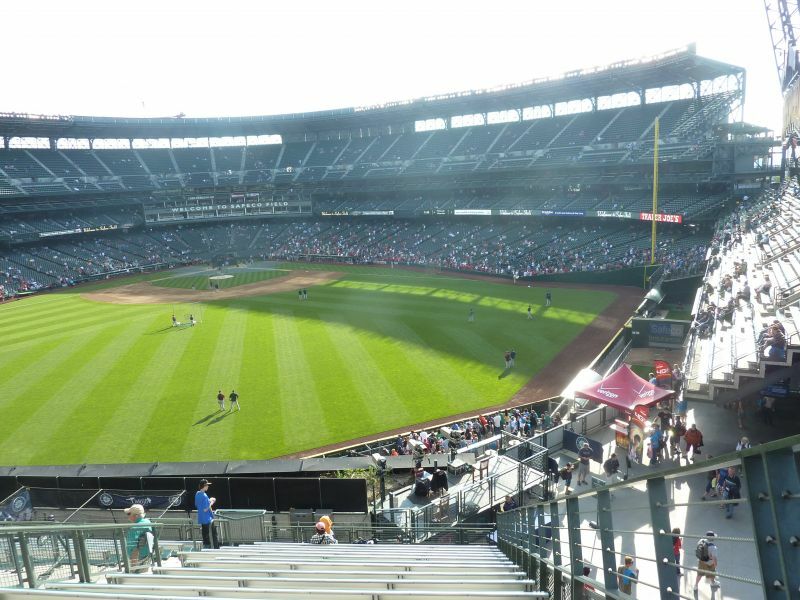 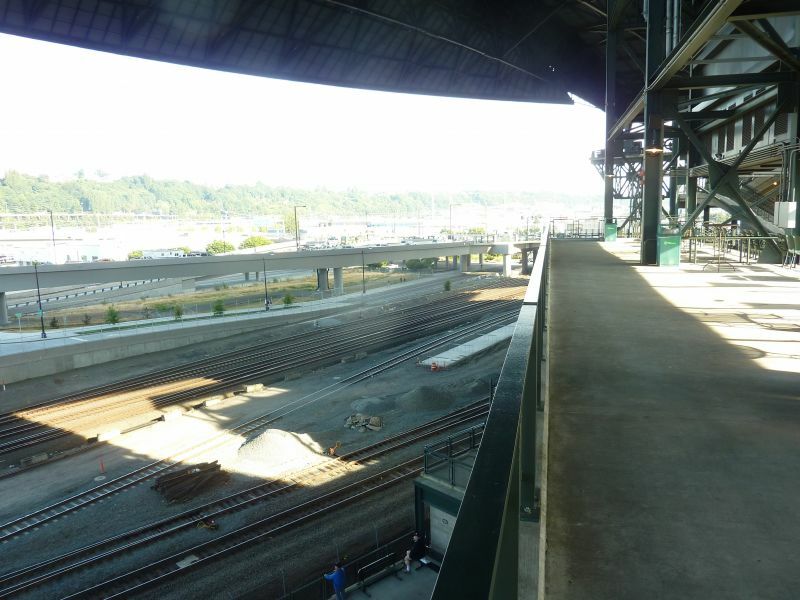 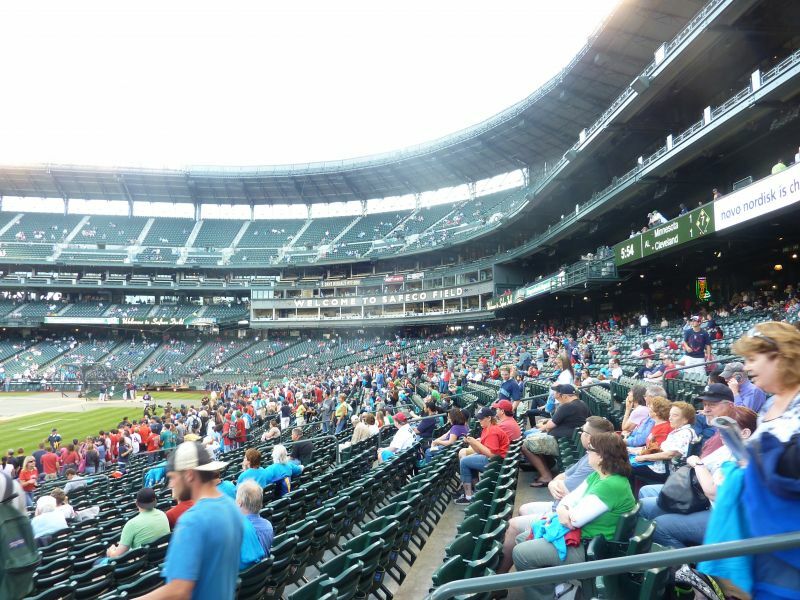 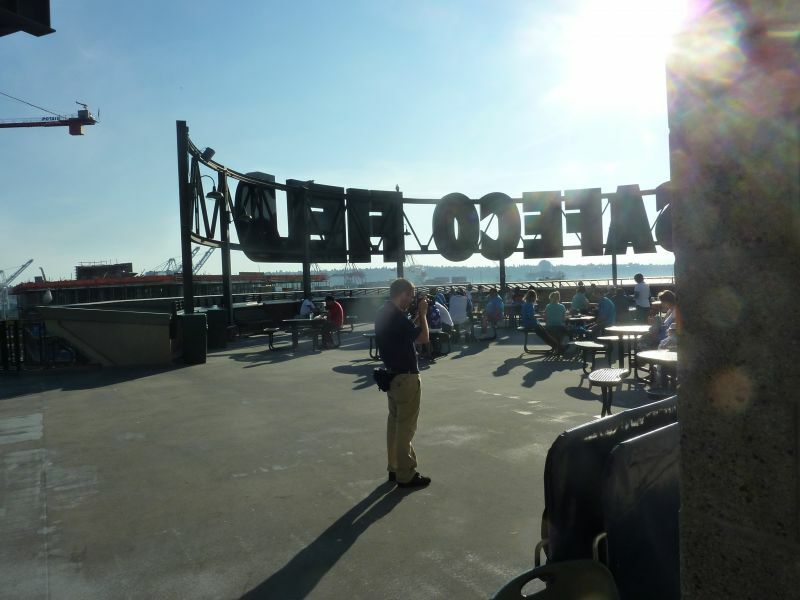 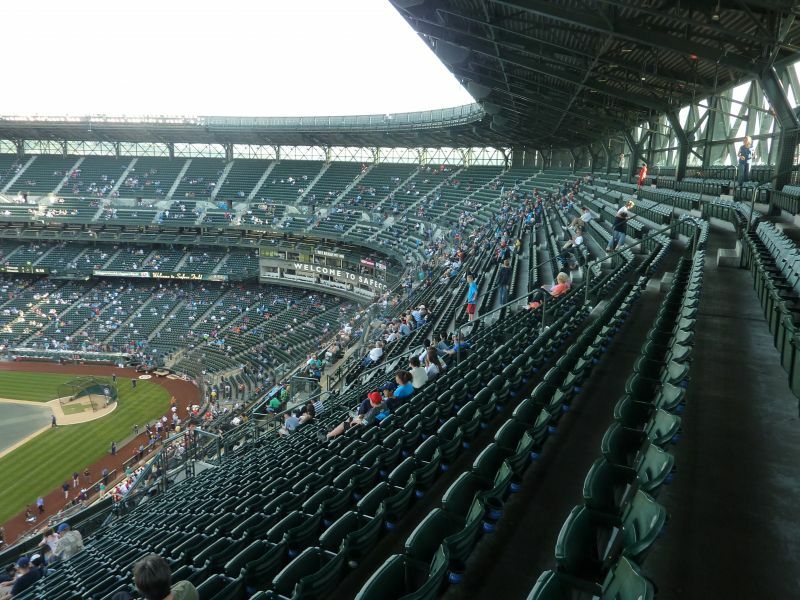 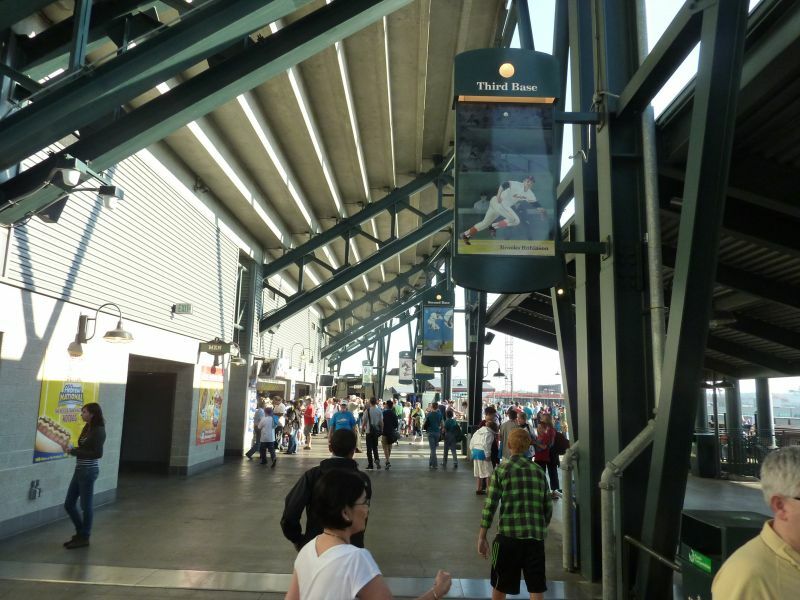 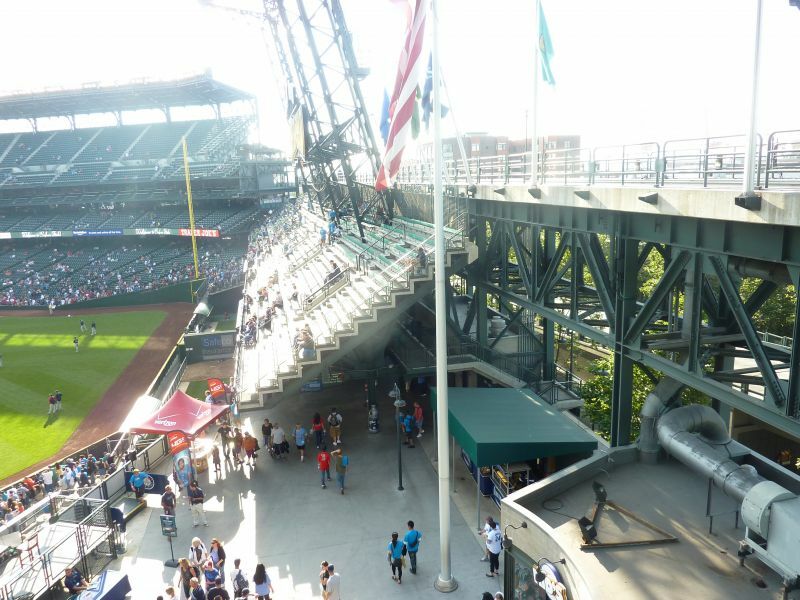 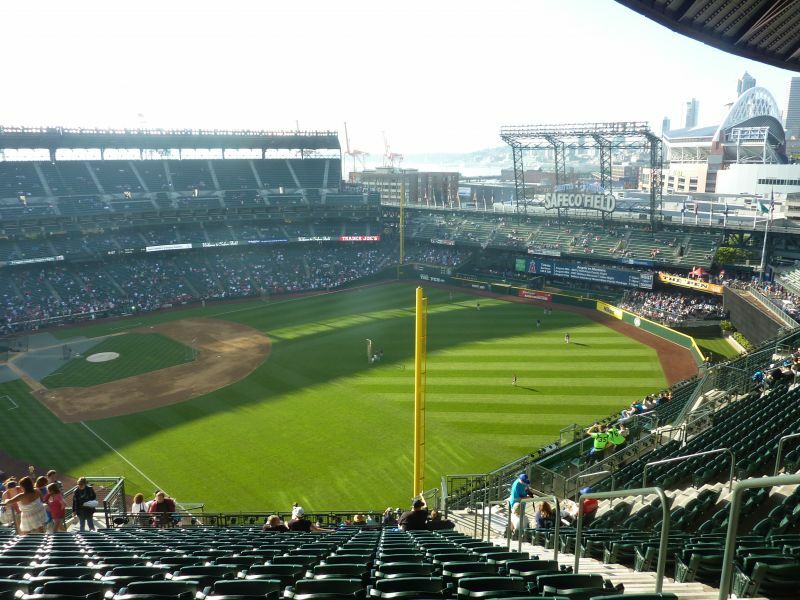 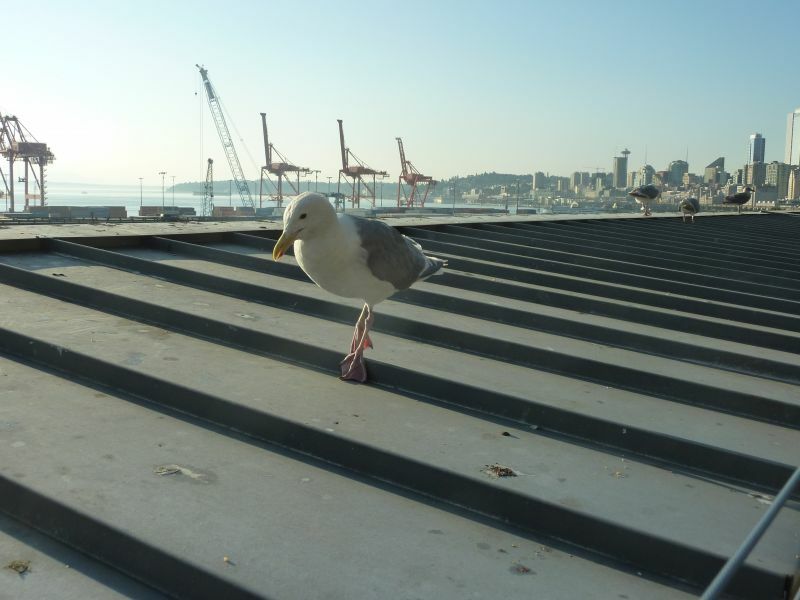 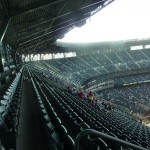 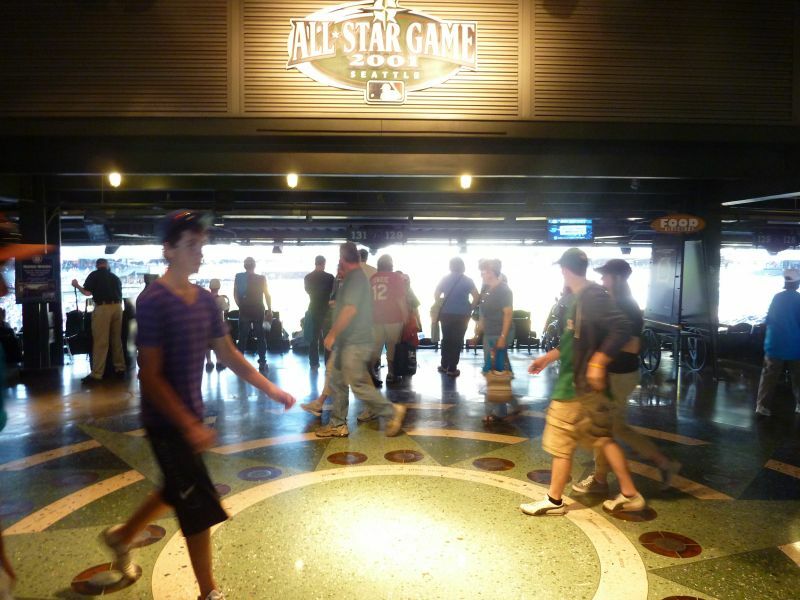 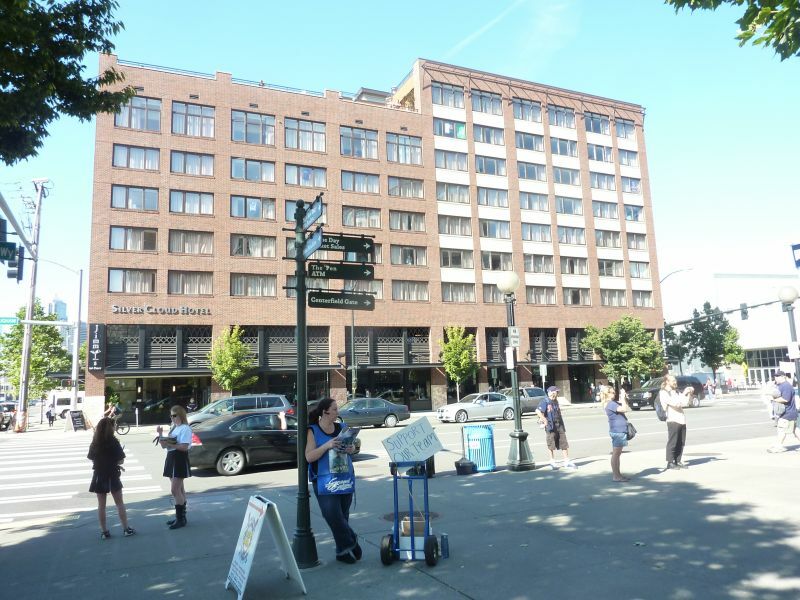 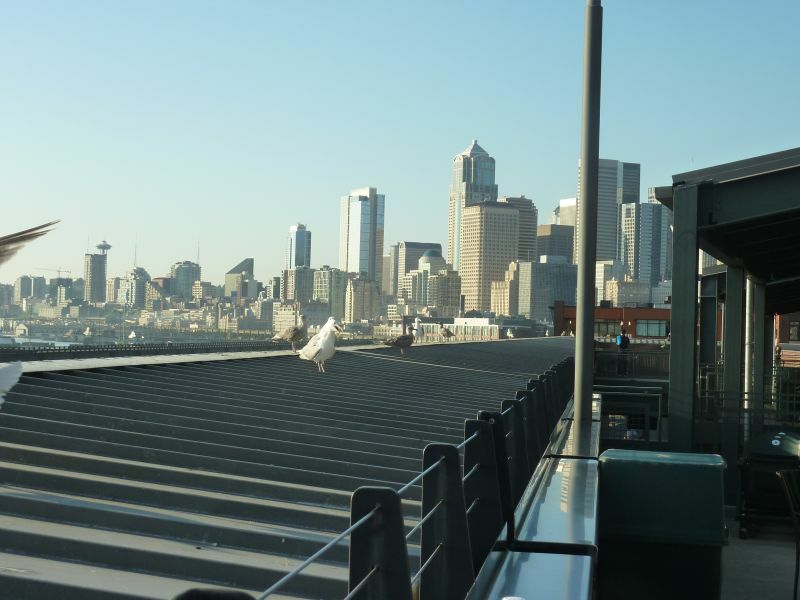 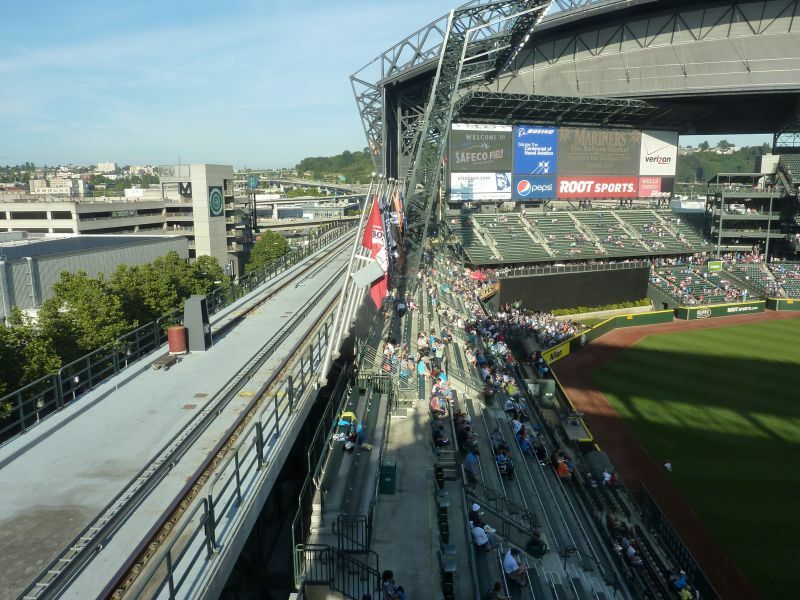 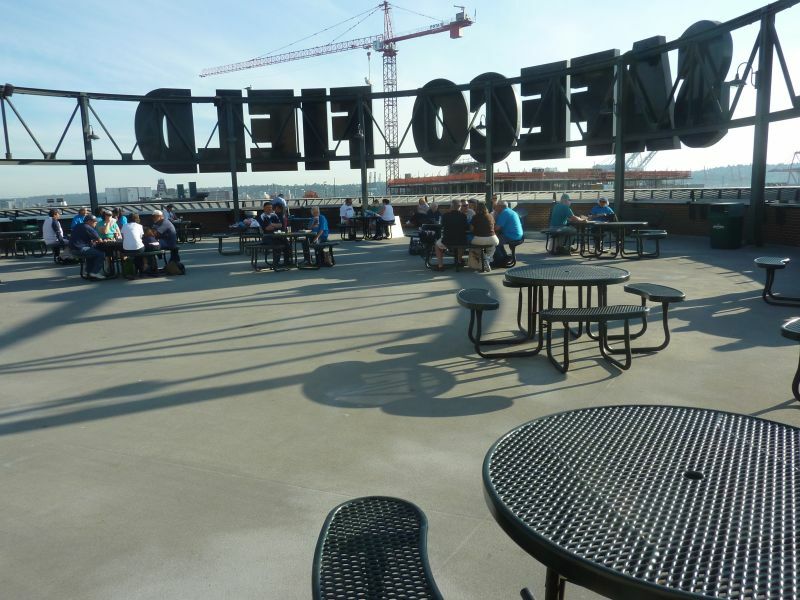 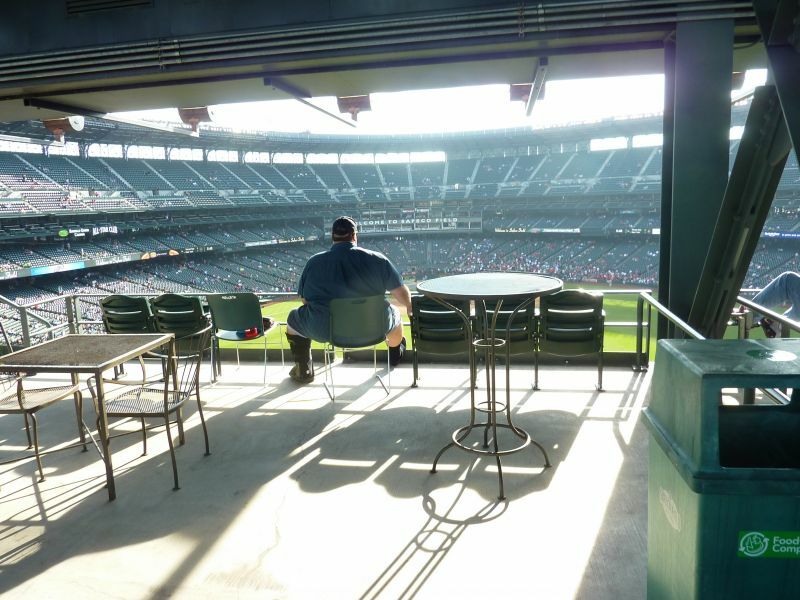 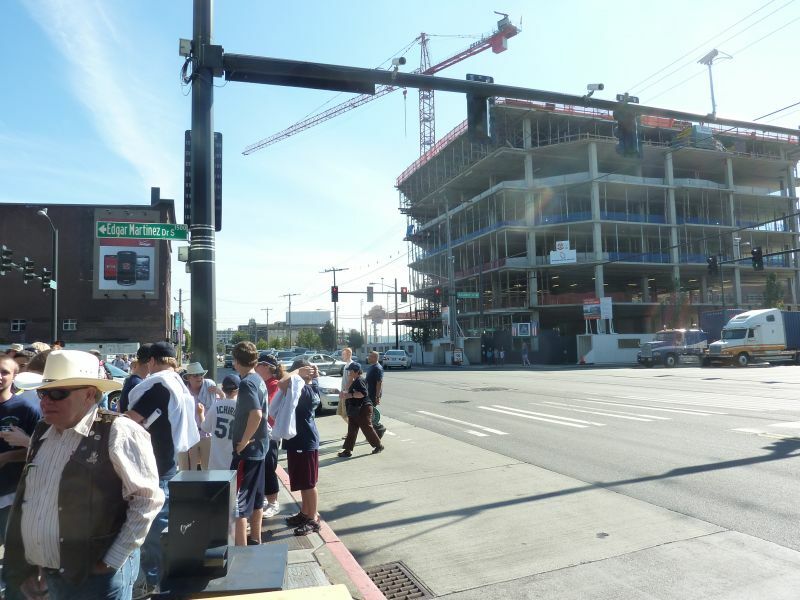 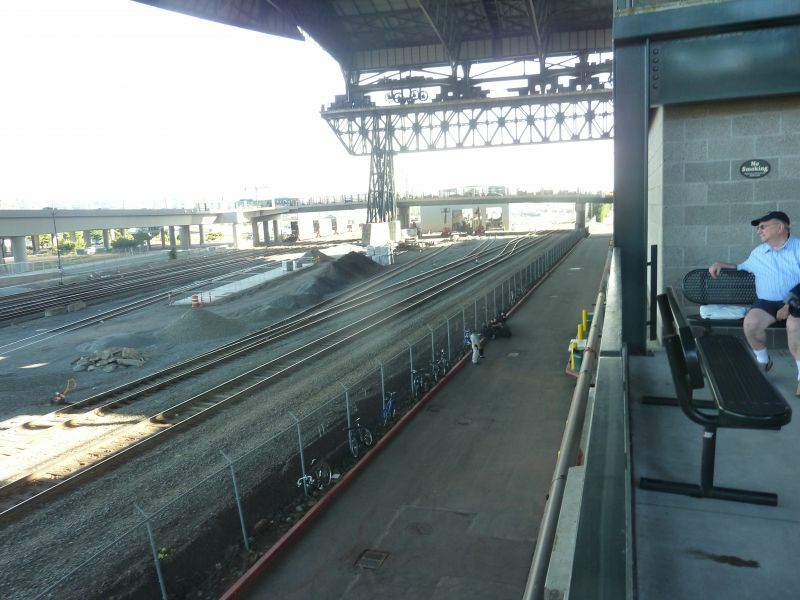 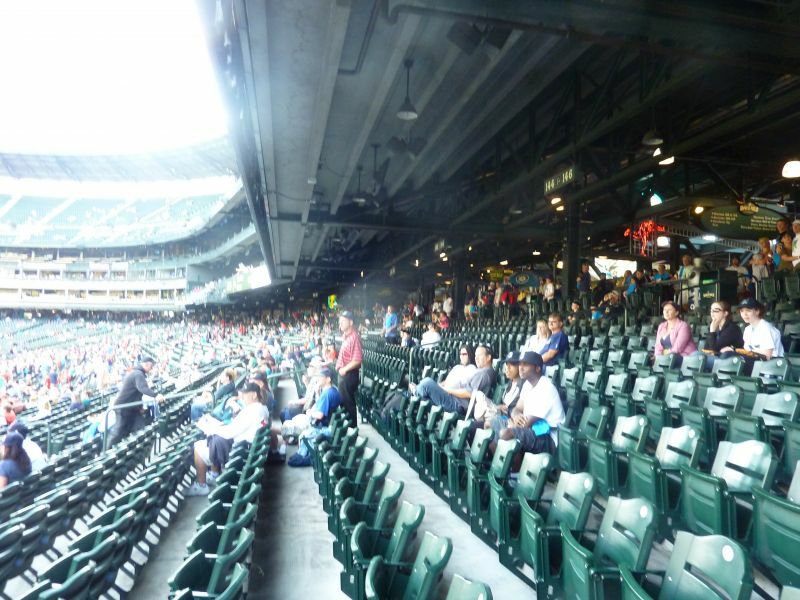 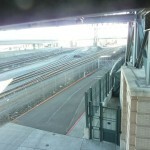 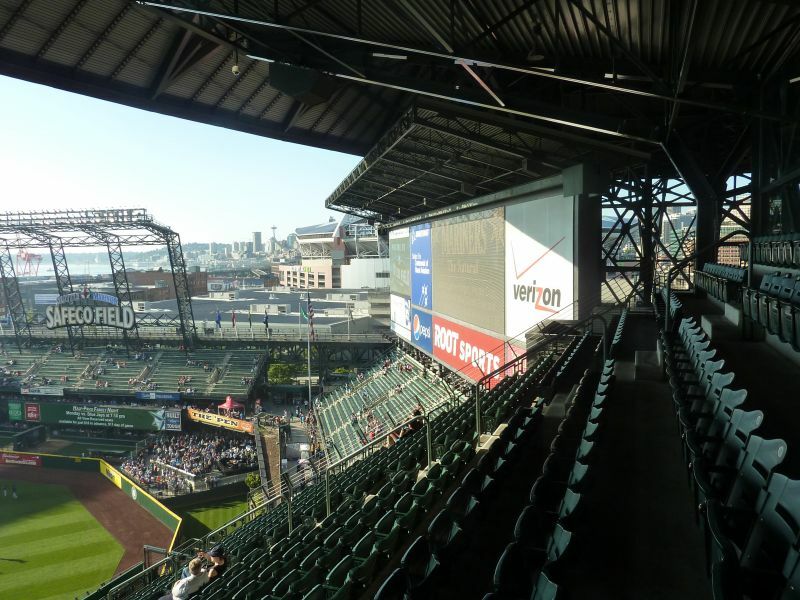 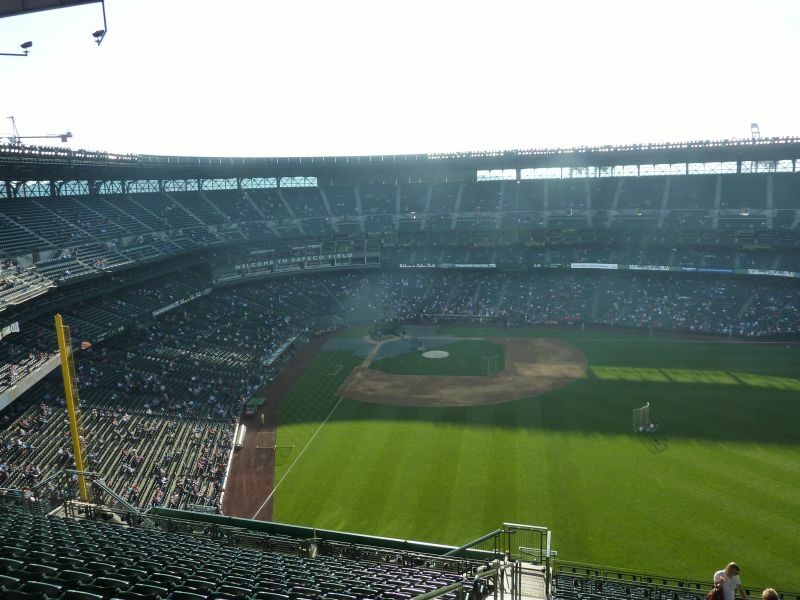 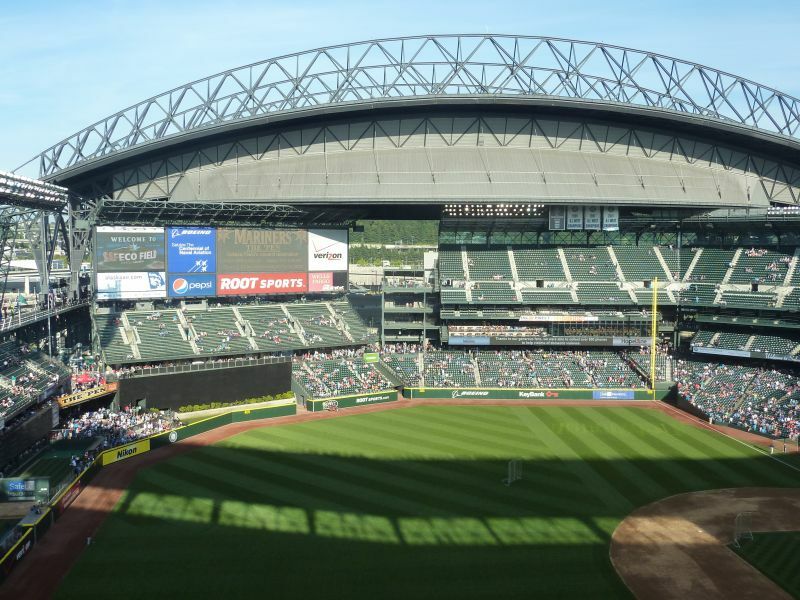 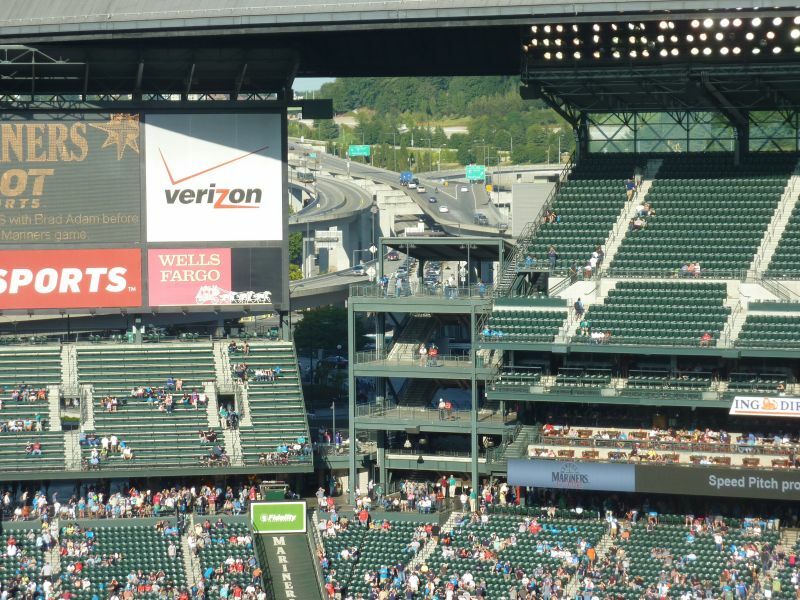 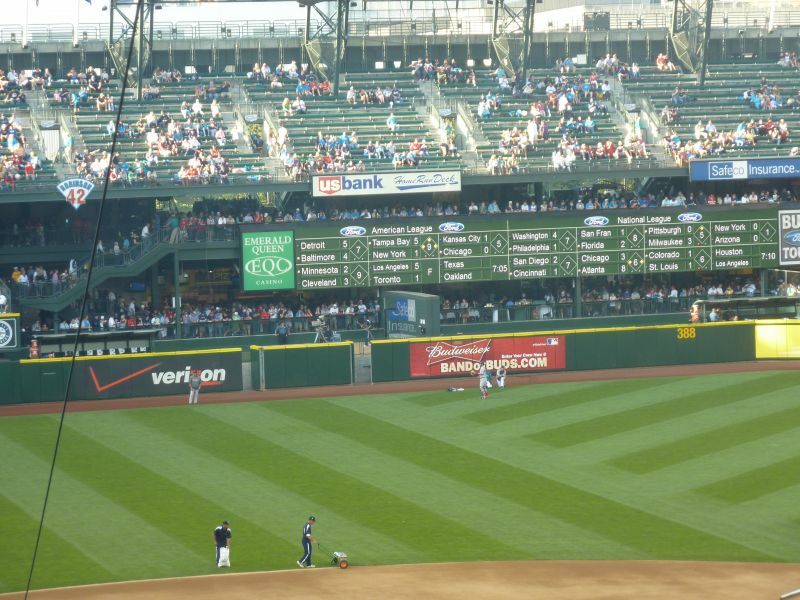 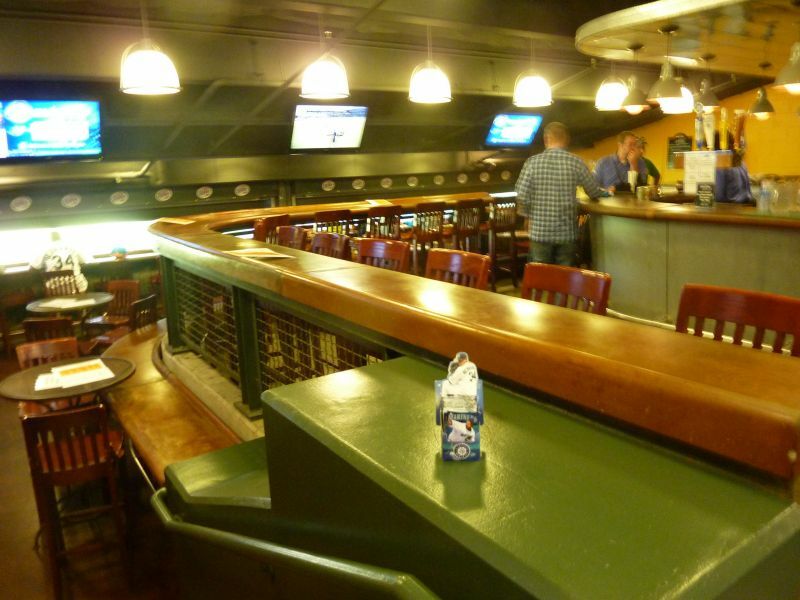 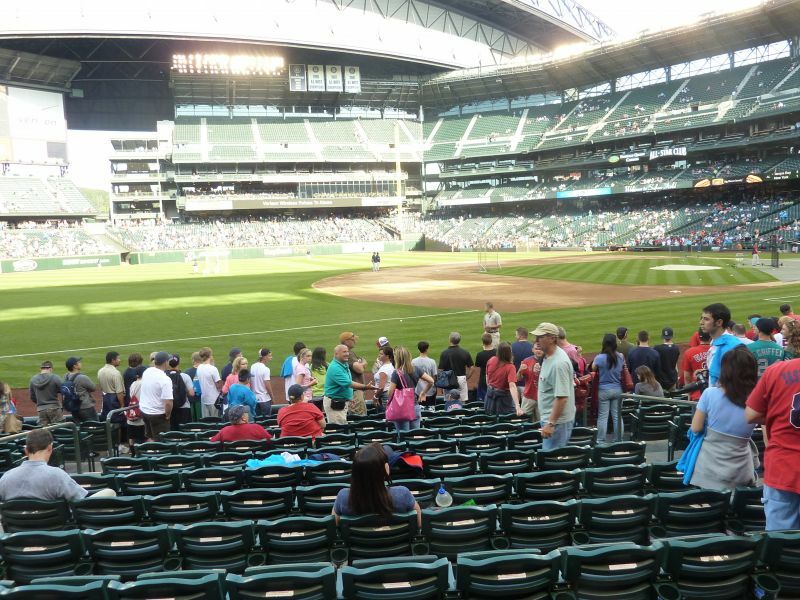 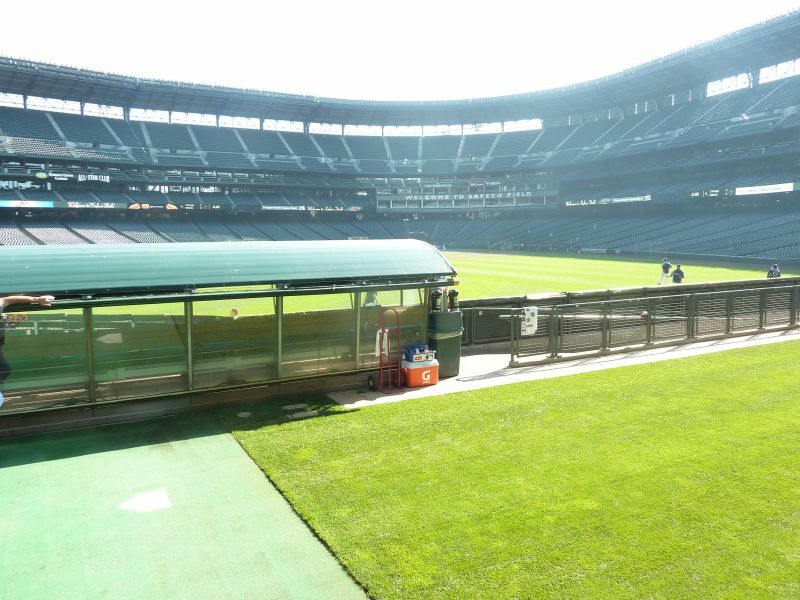 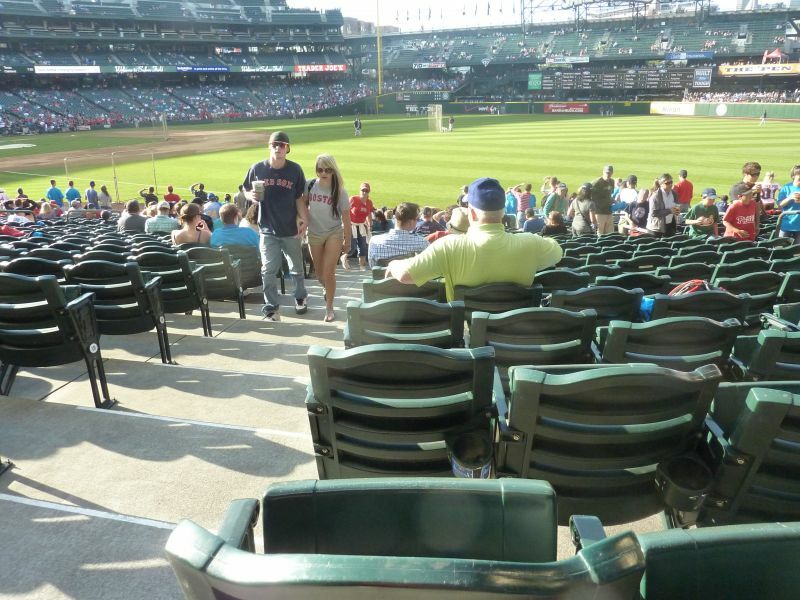 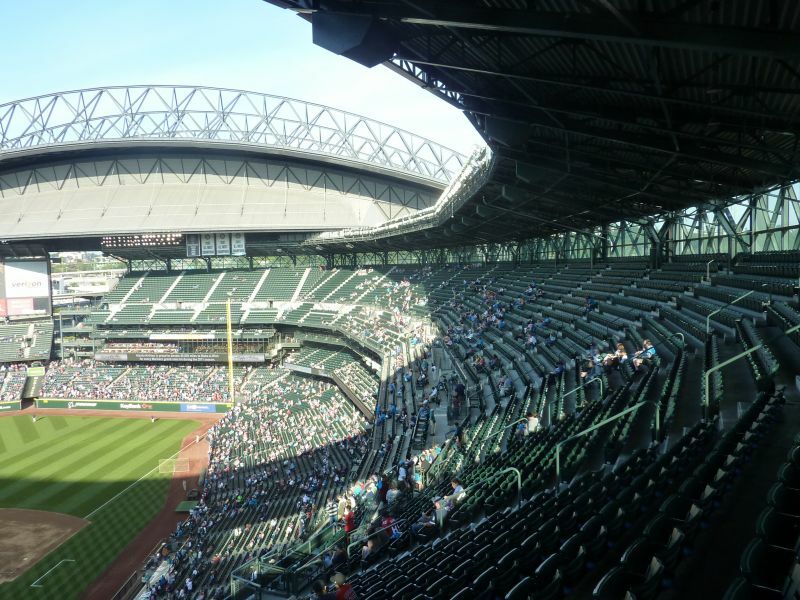 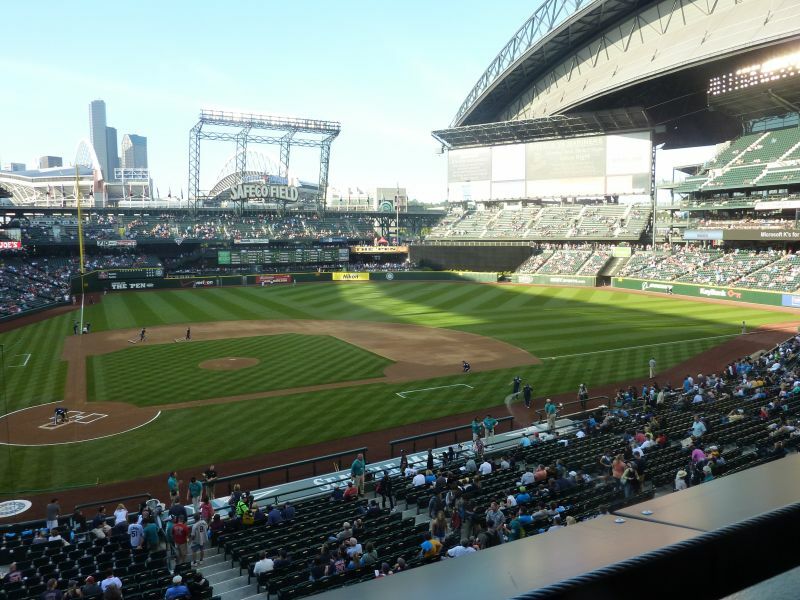 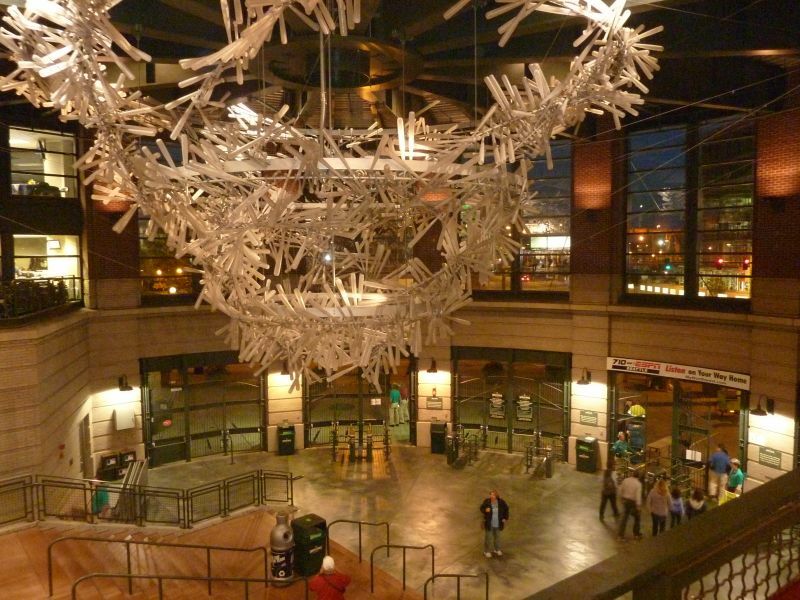 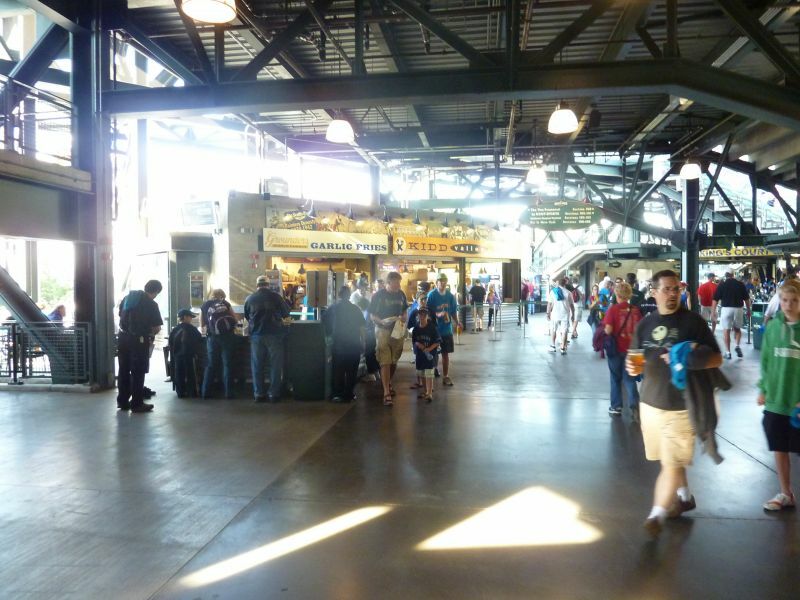 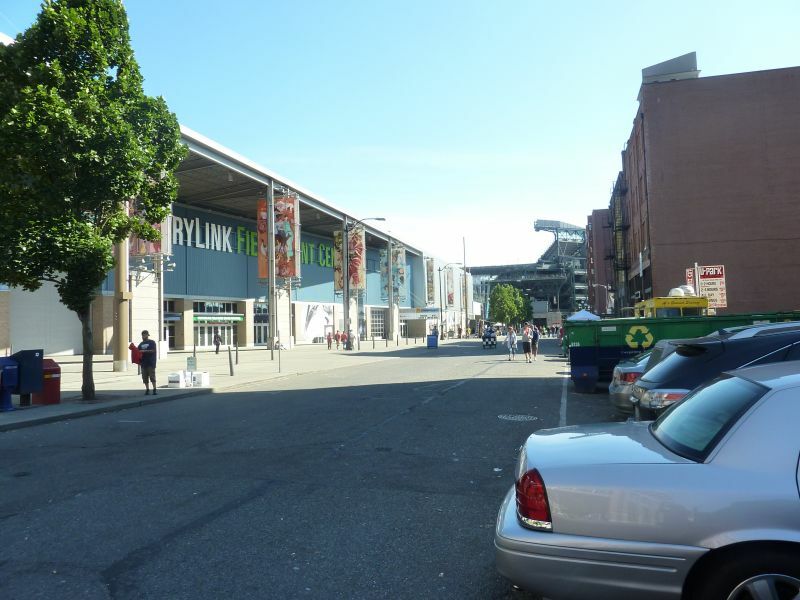 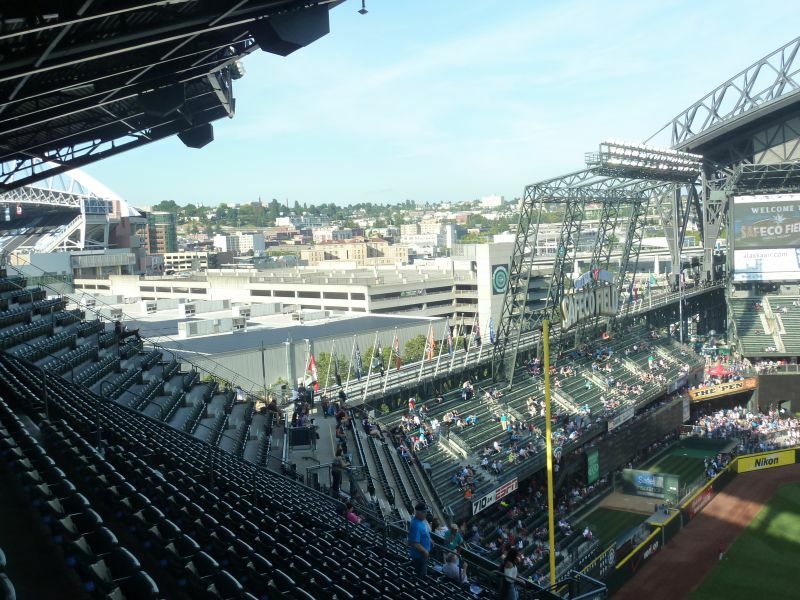 Seattle’s ballpark is so overhyped its failures overshadow its superior amenities. 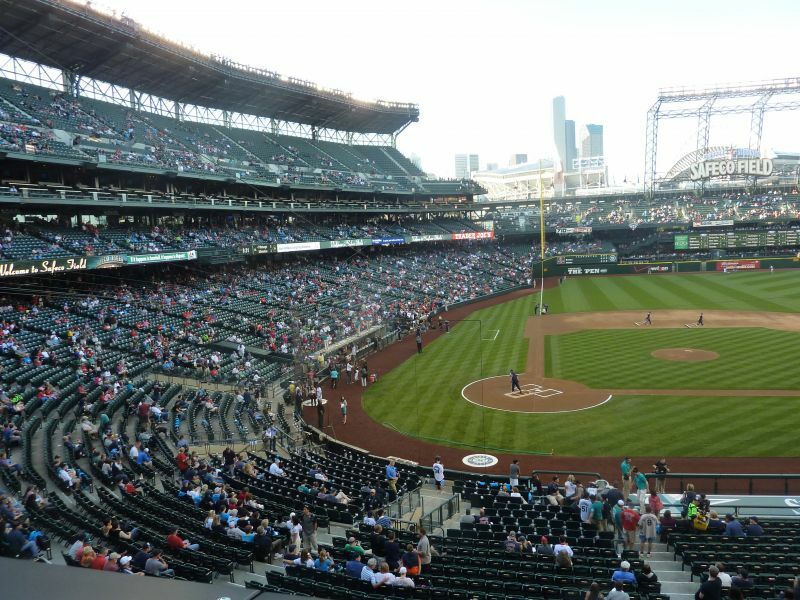 So Safeco Field is still a great ballpark, but because it seems so overhyped to me, I feel like the fact that its not that aesthetically outstanding overshadows its unbelievable features and fan friendly atmosphere. 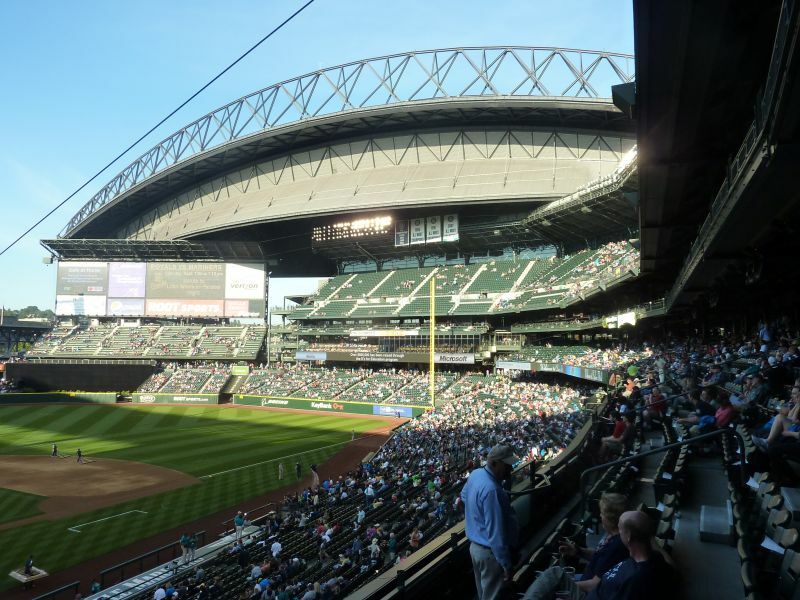 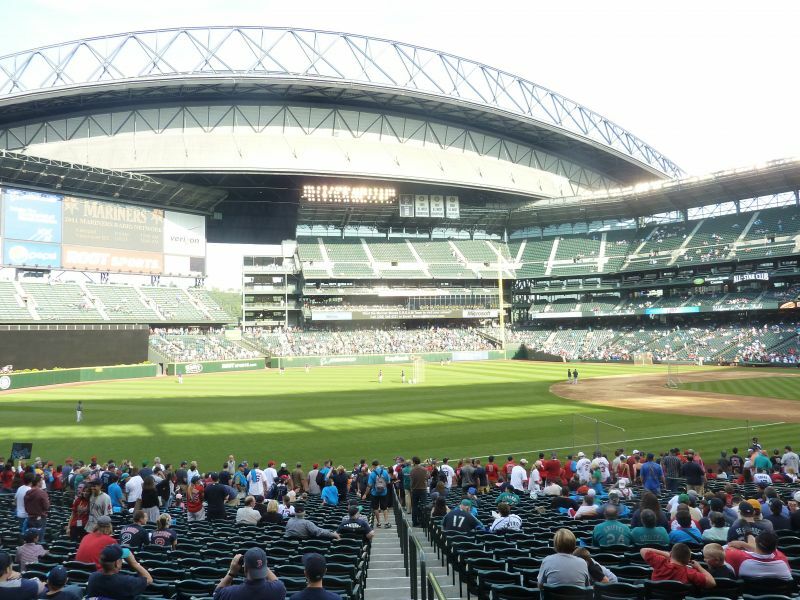 It’s largely about expectations, as I expected to go on this diatribe about how Safeco is overrated, and it certainly is in terms of architecture, but it’s obviously an amazing facility. 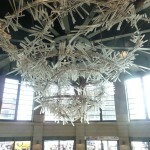 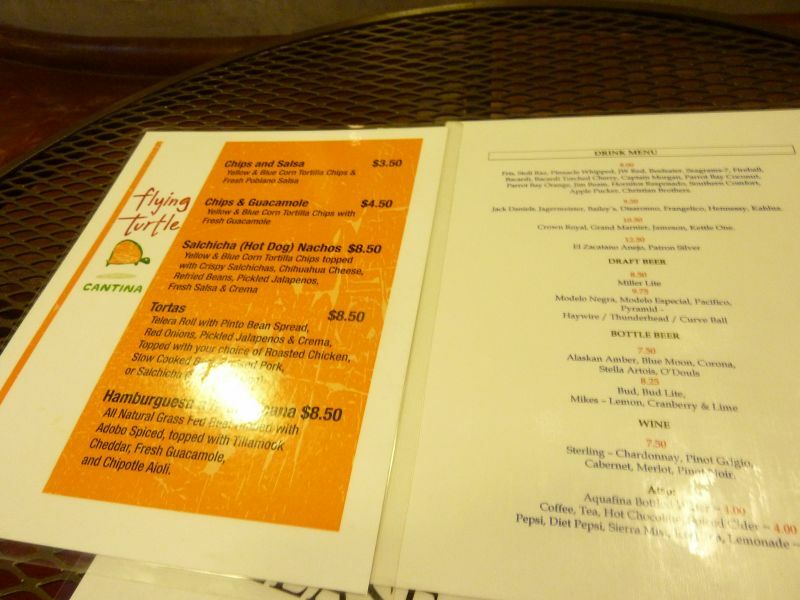 Unfortunately, aesthetics are everything, so it’s not going to rate as highly as it could overall. 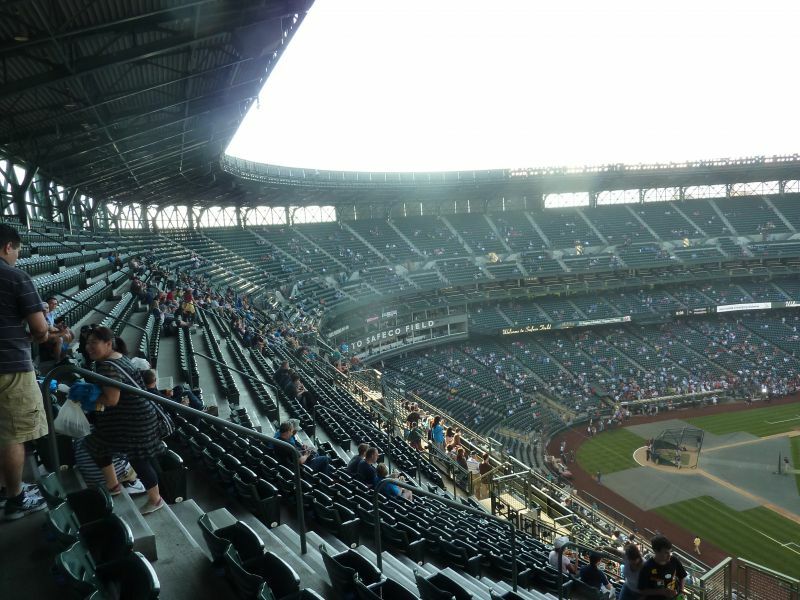 But I now understand anyone that says this is a top 5 ballpark. 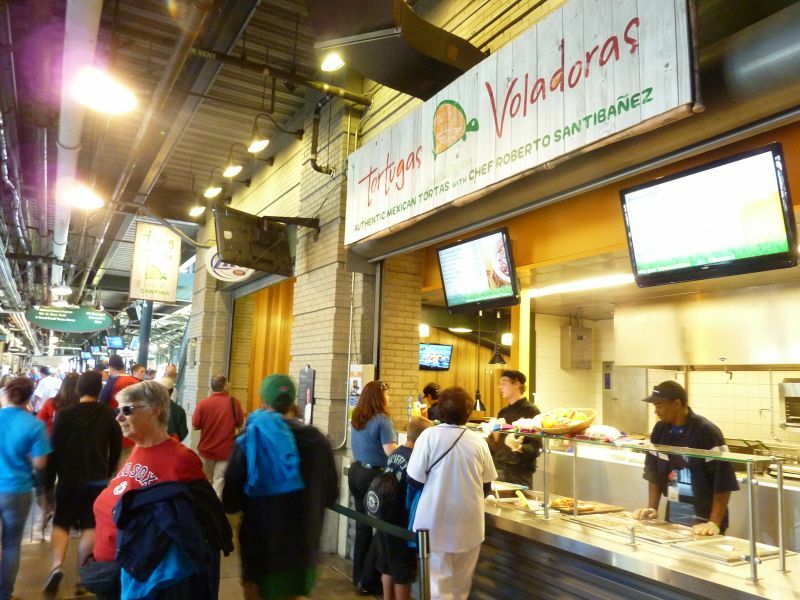 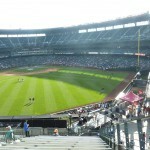 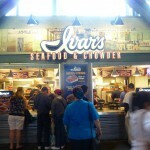 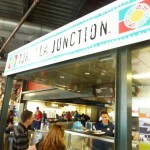 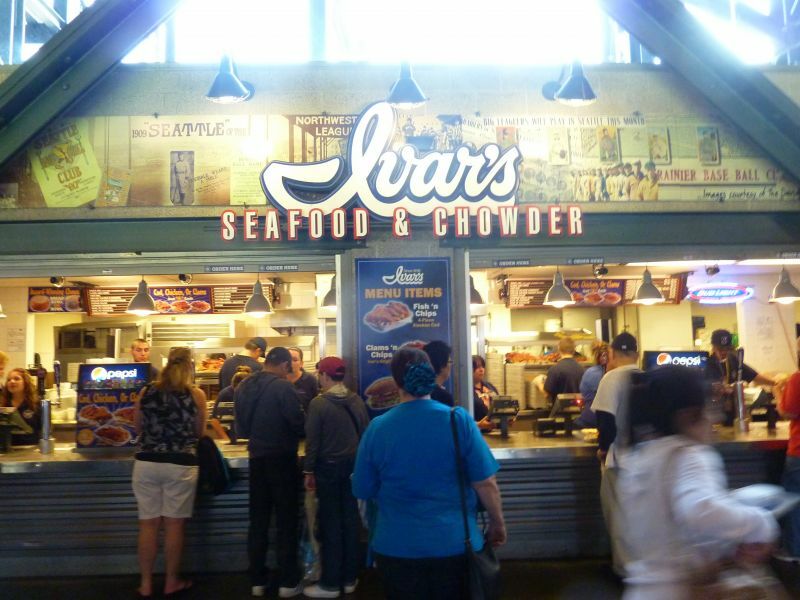 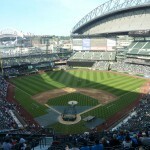 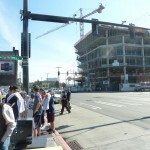 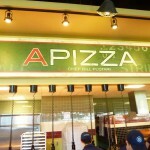 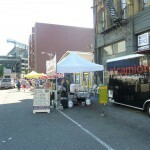 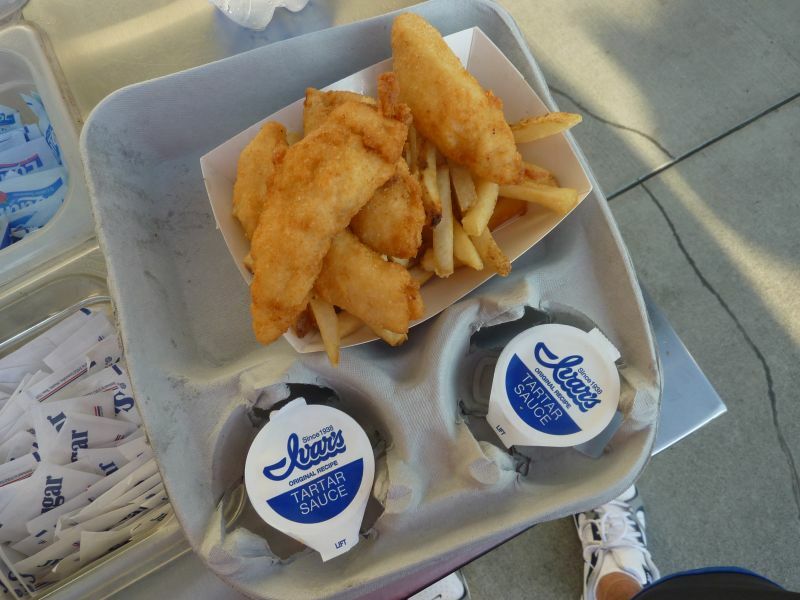 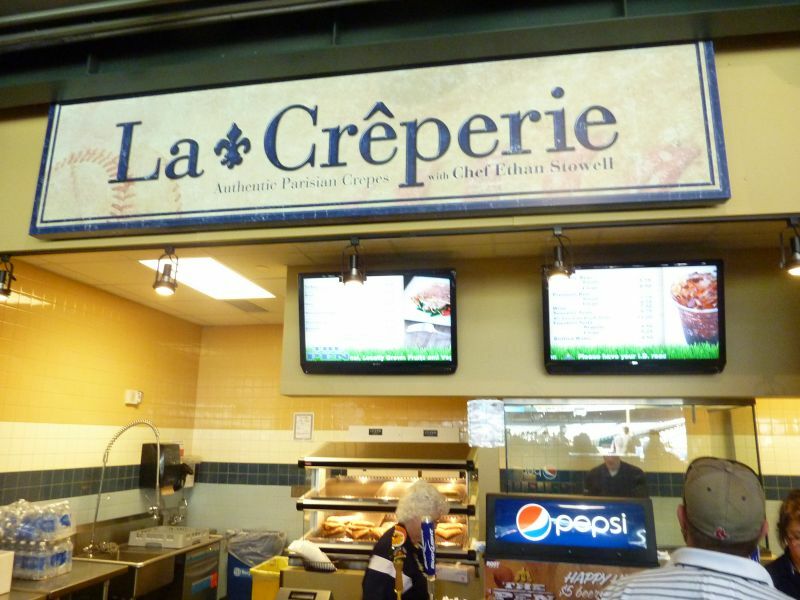 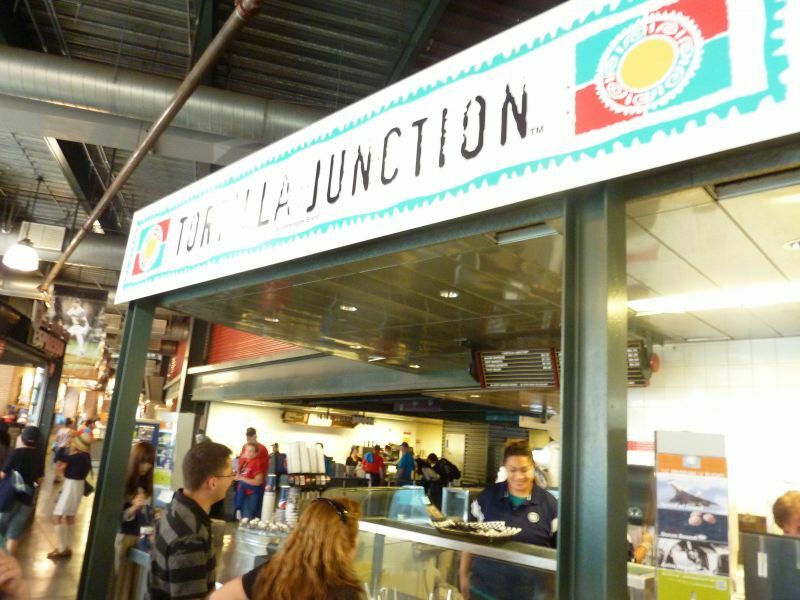 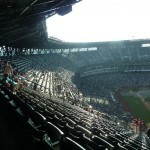 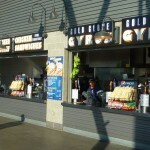 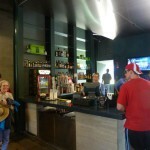 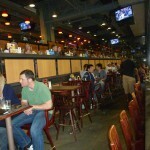 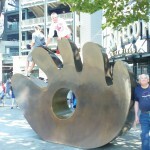 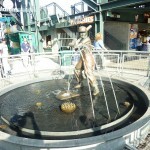 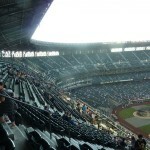 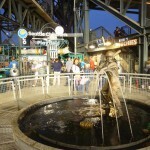 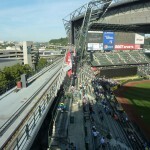 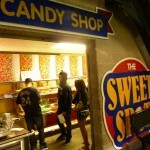 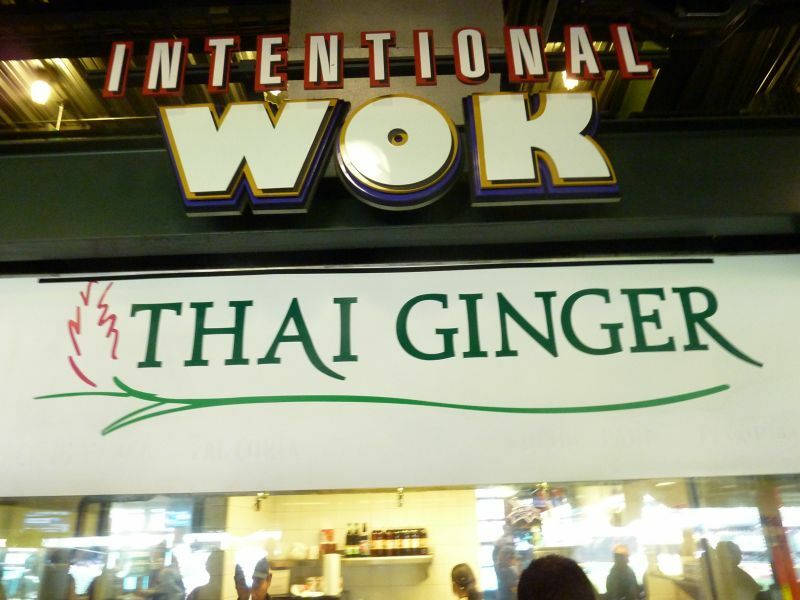 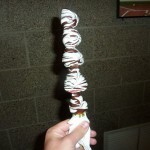 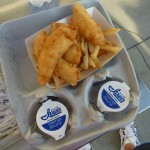 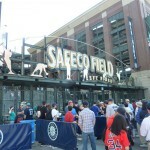 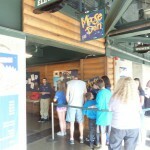 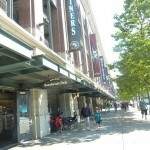 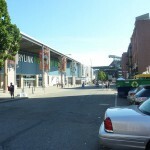 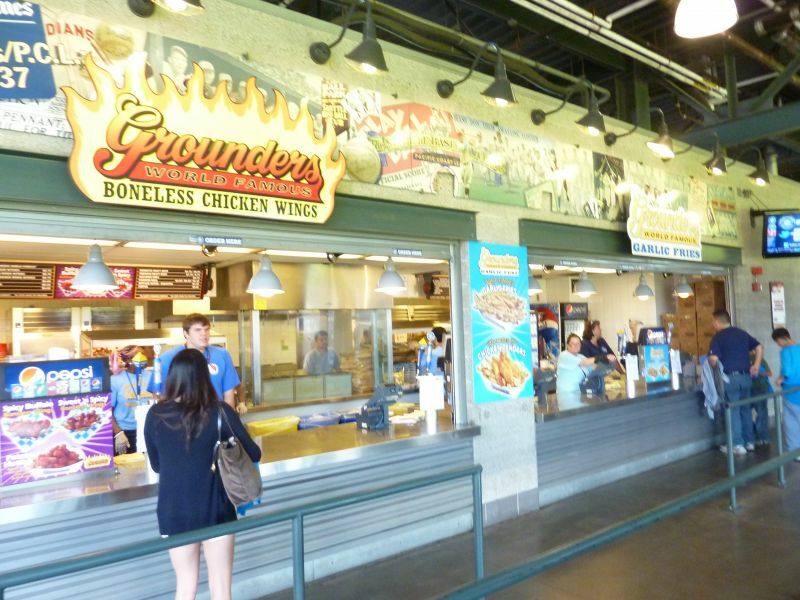 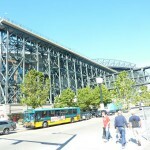 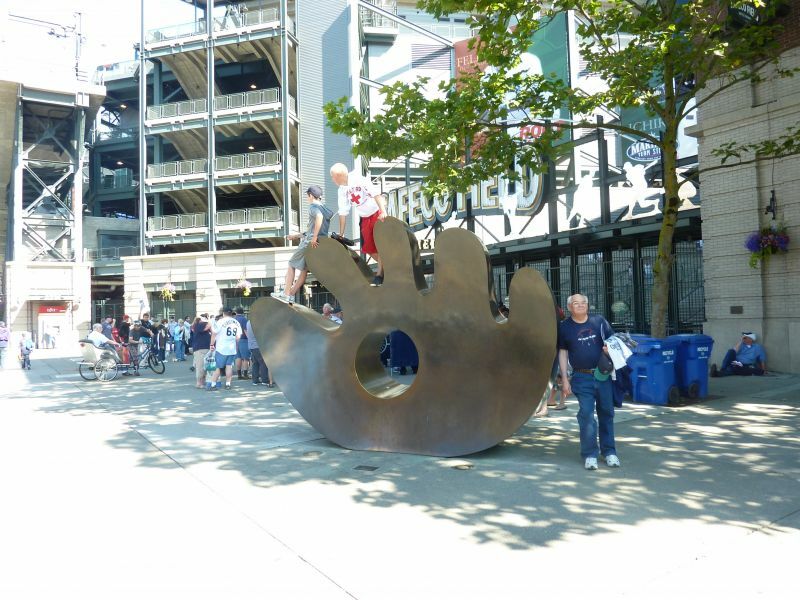 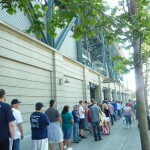 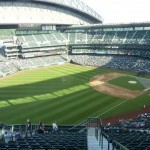 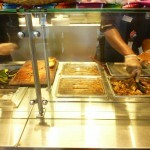 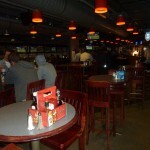 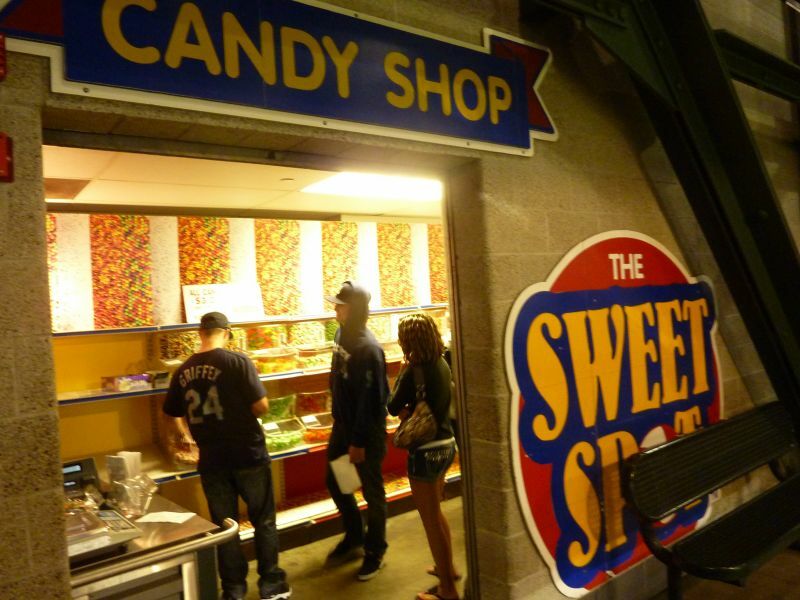 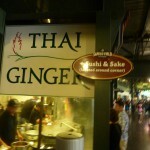 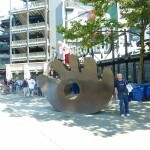 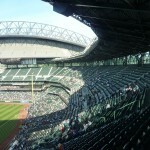 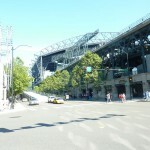 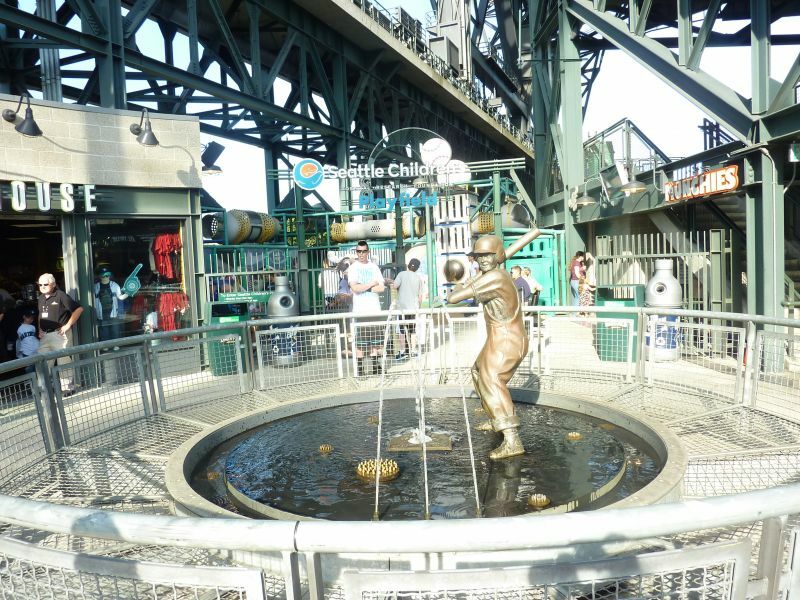 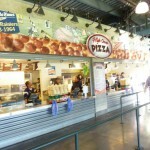 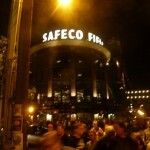 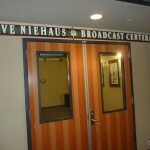 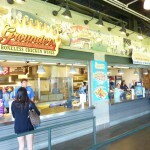 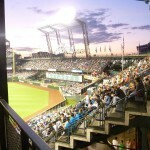 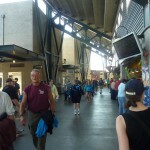 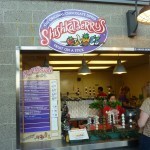 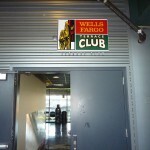 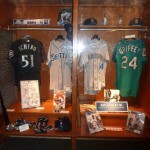 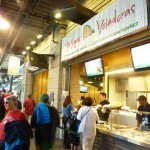 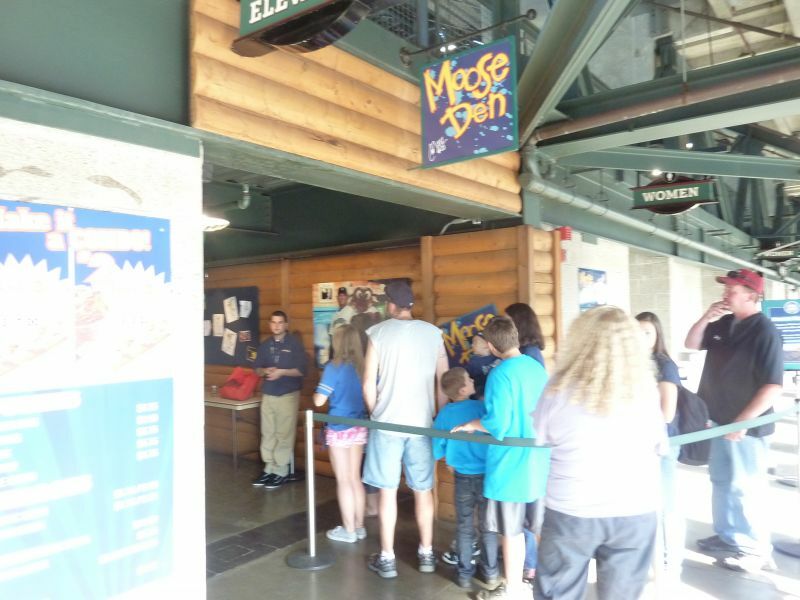 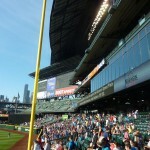 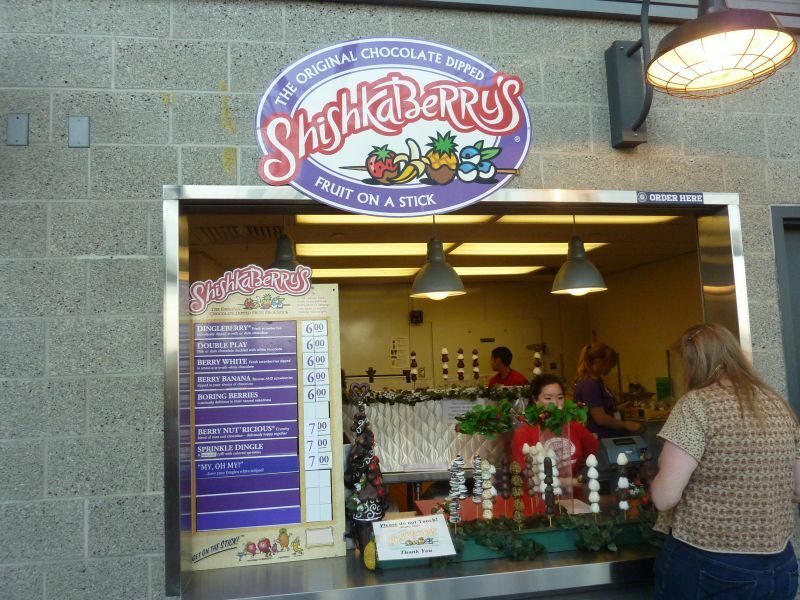 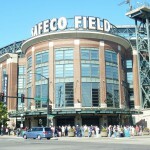 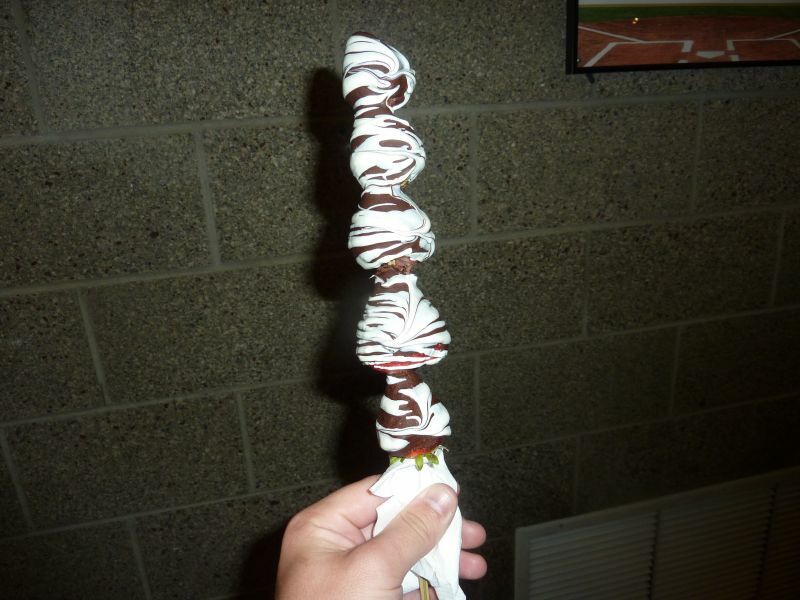 It’s hard to believe it opened in 1999, because in many ways no ballpark has come close to the effort in Seattle since. 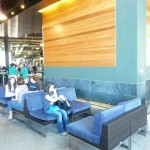 It just falls so terribly short in aesthetic design.